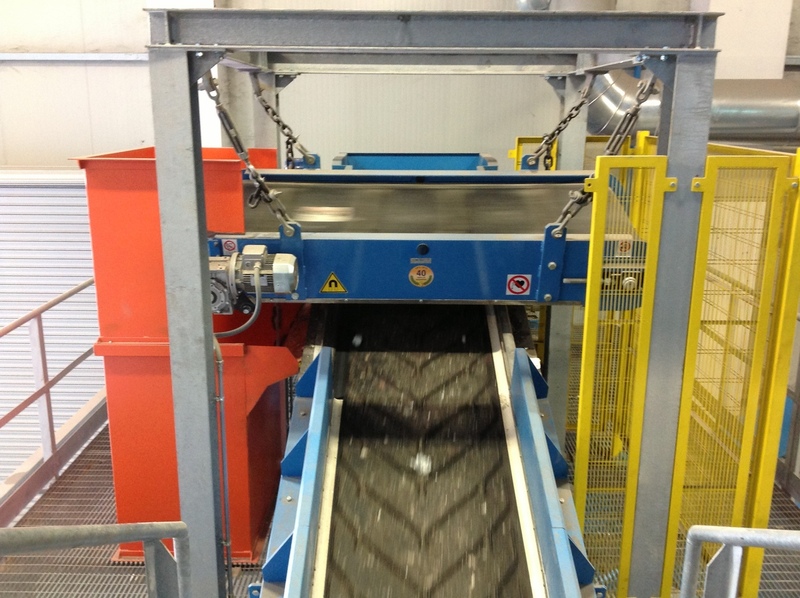 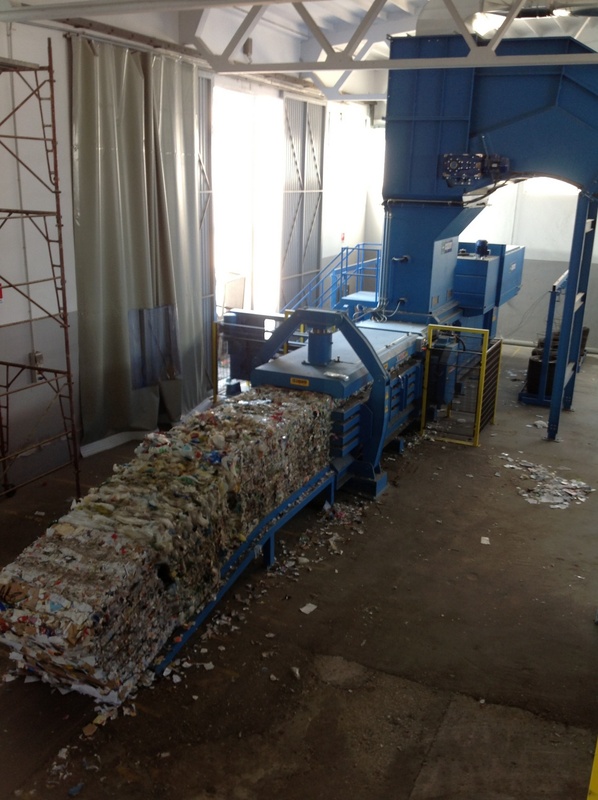 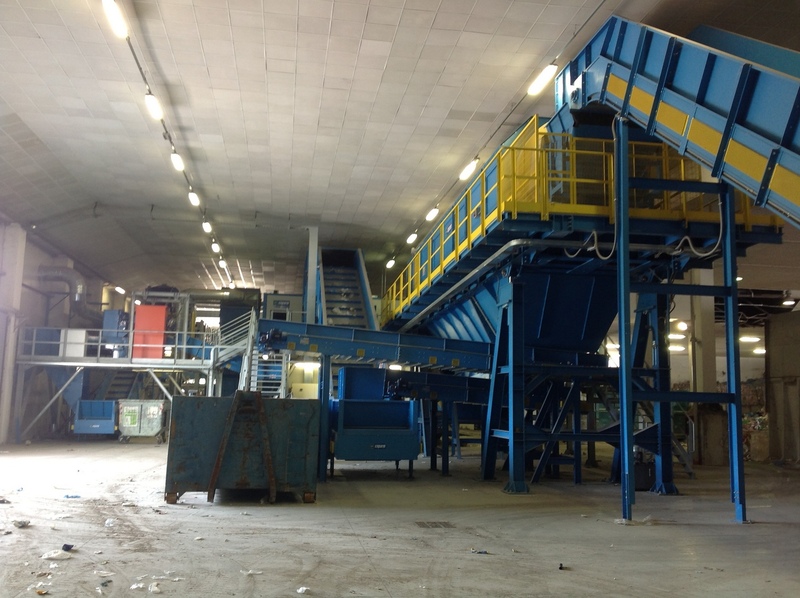 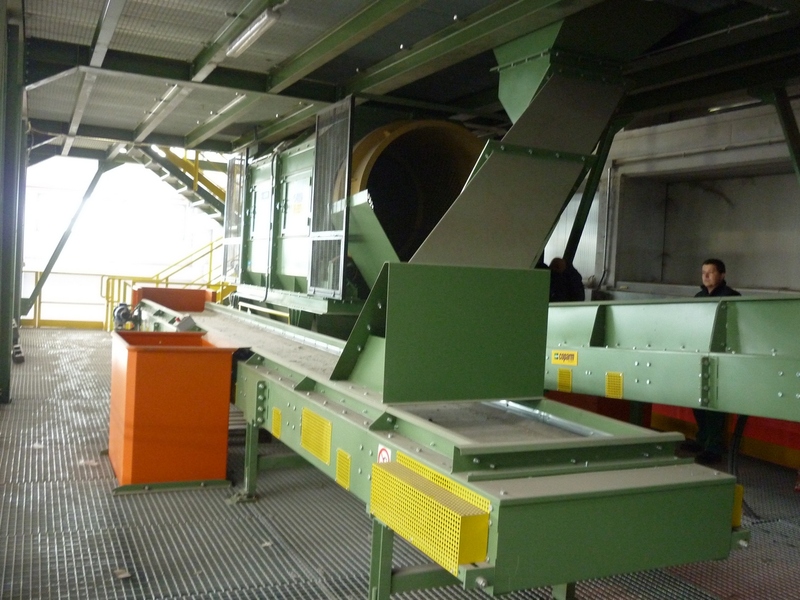 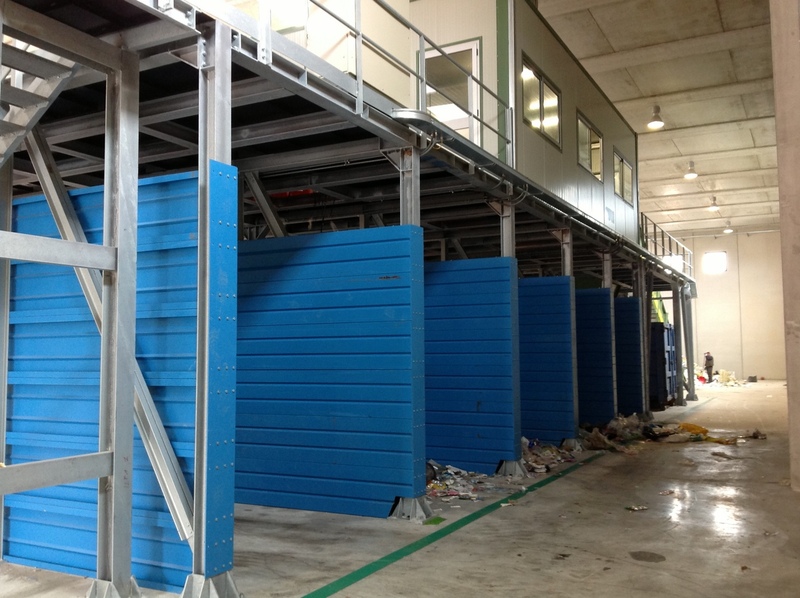 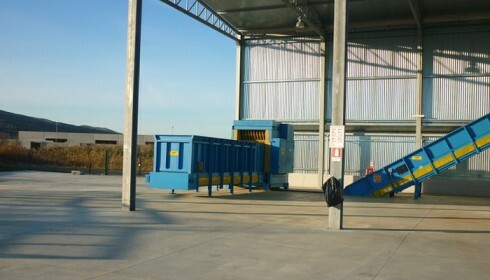 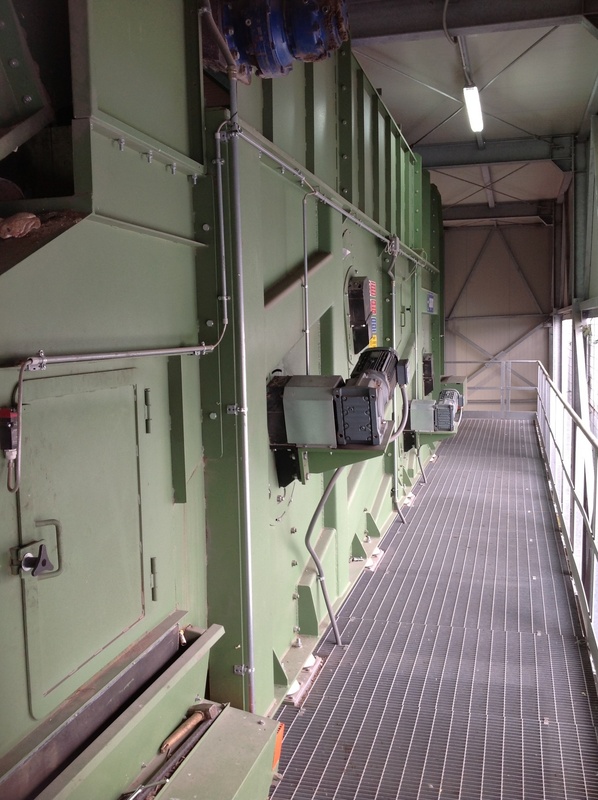 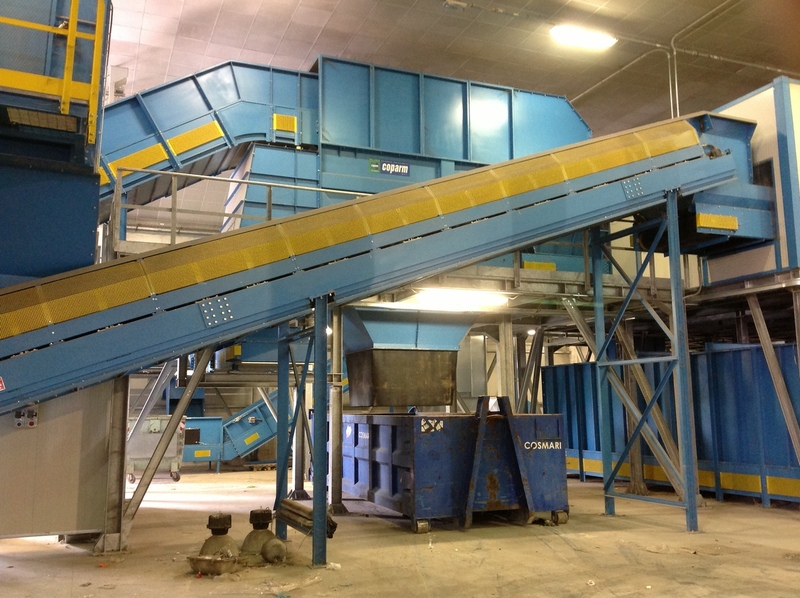 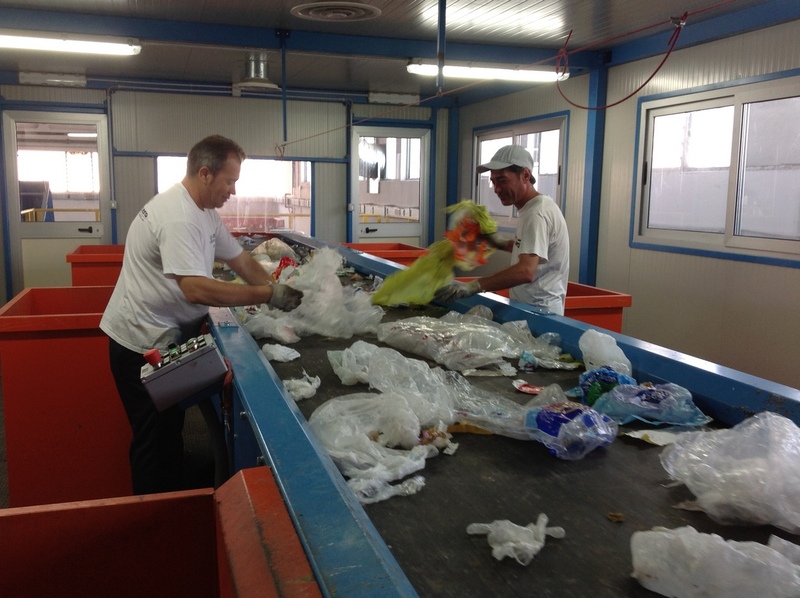 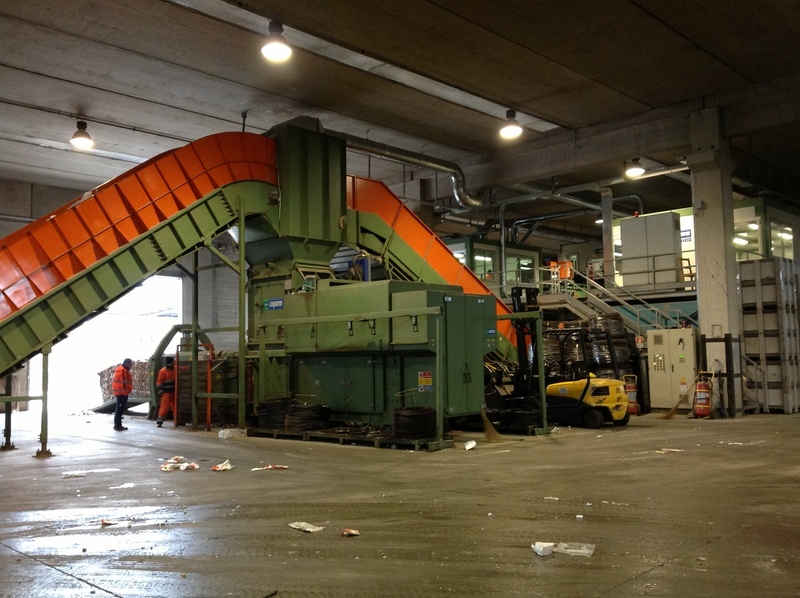 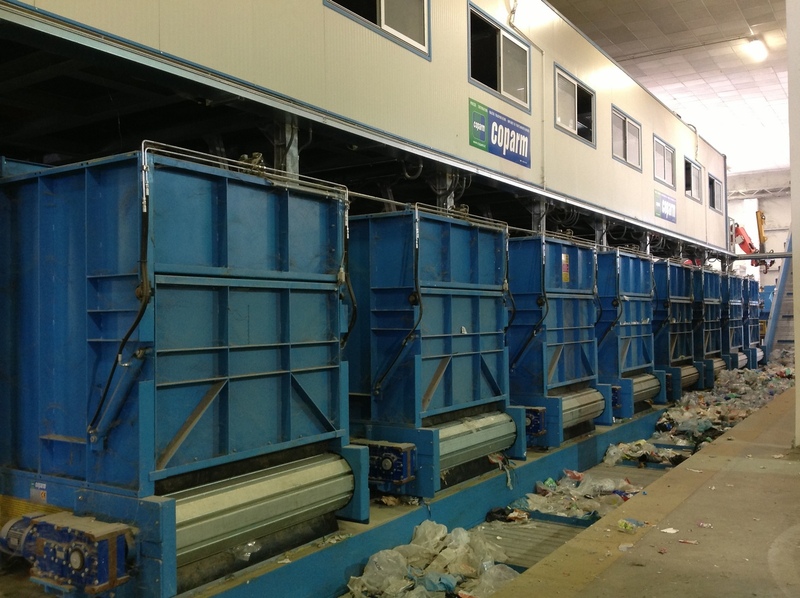 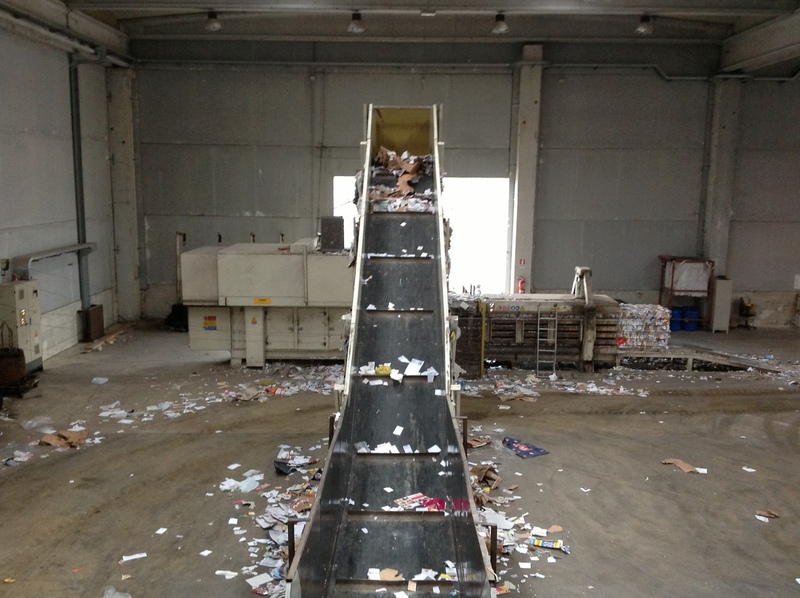 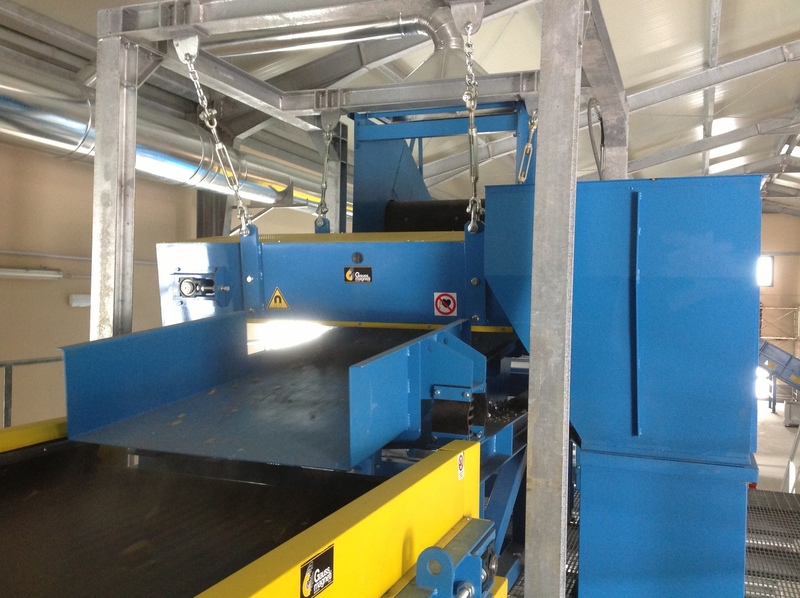 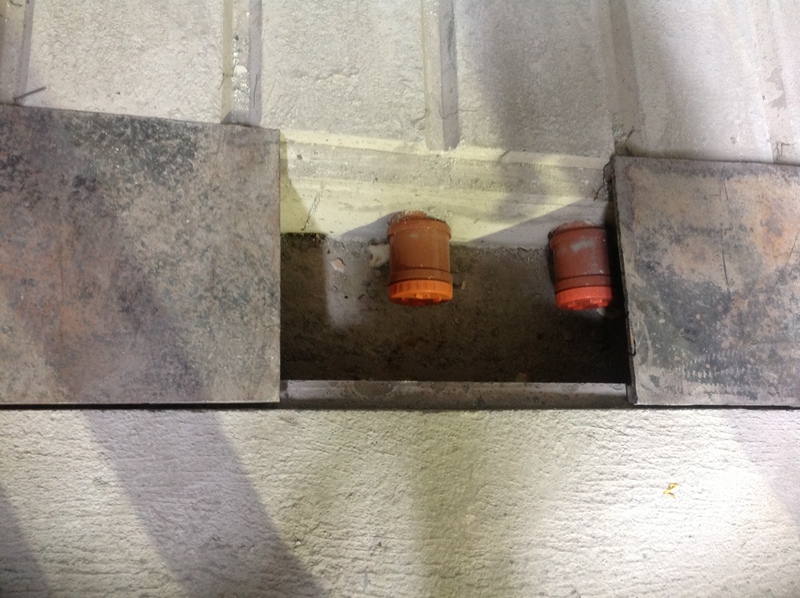 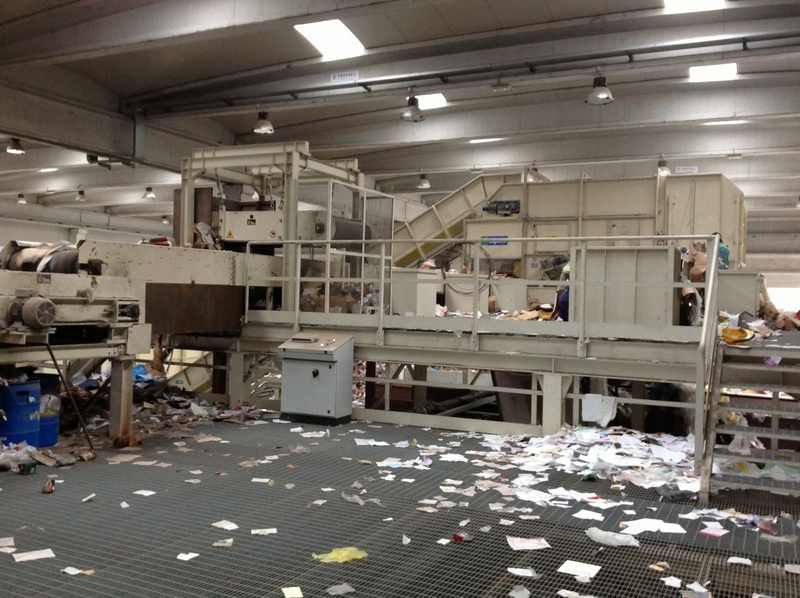 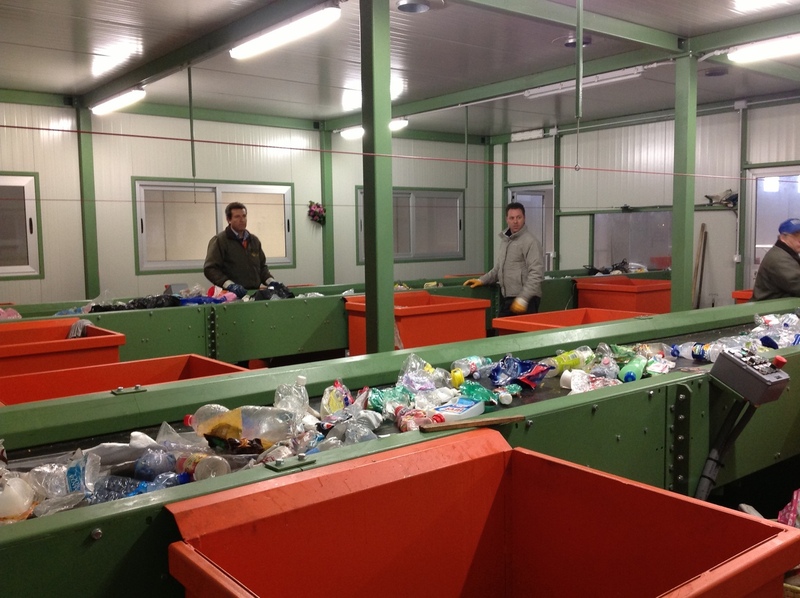 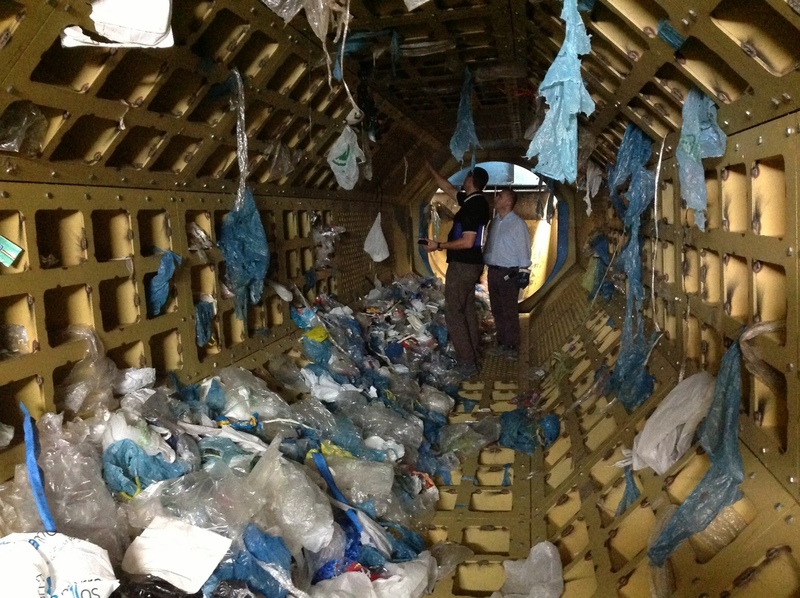 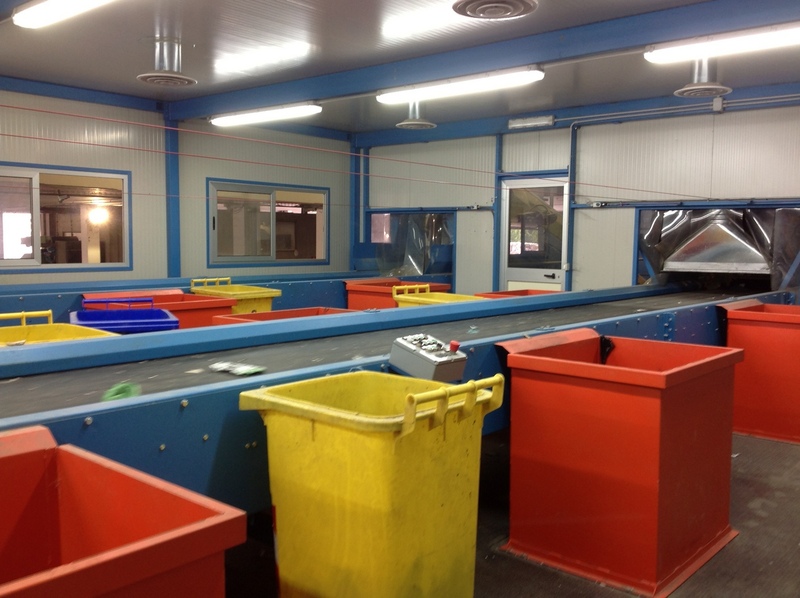 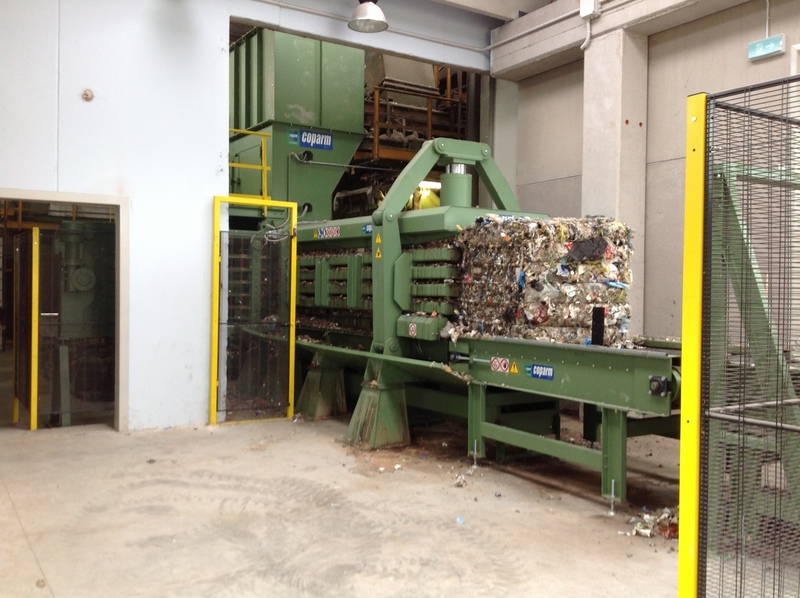 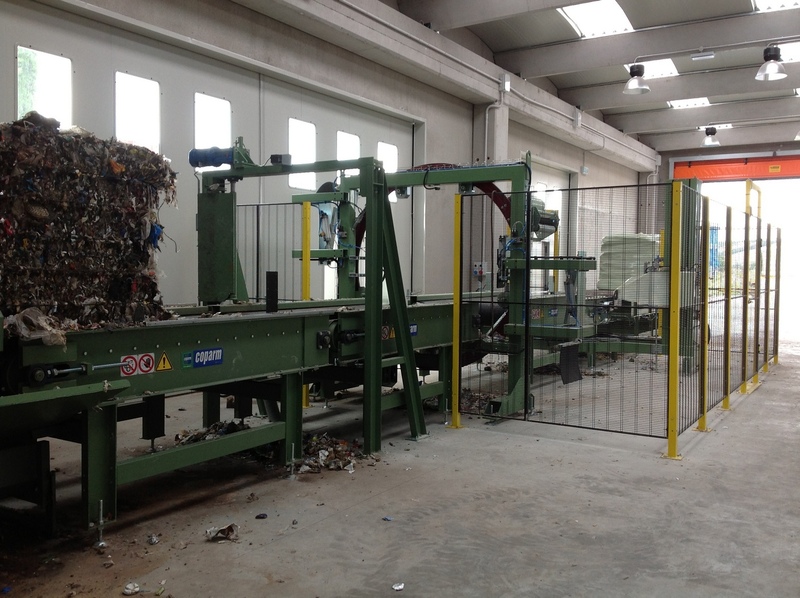 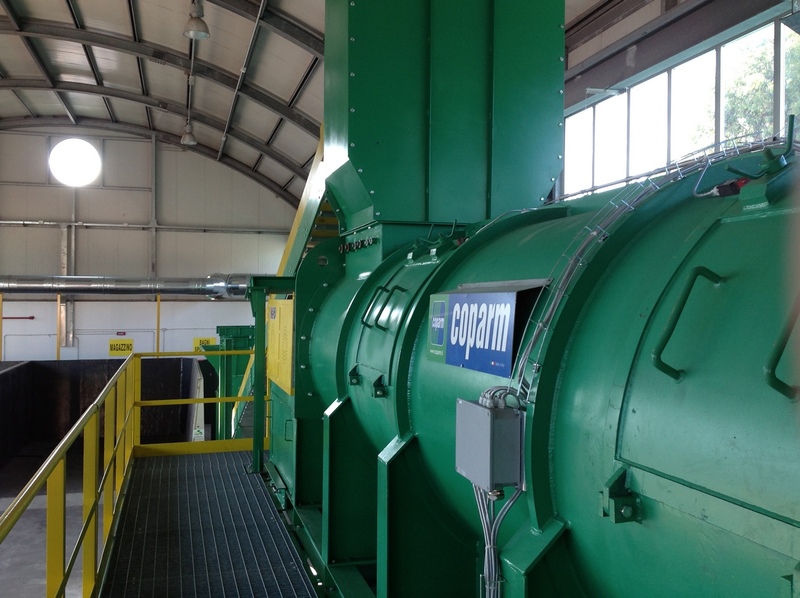 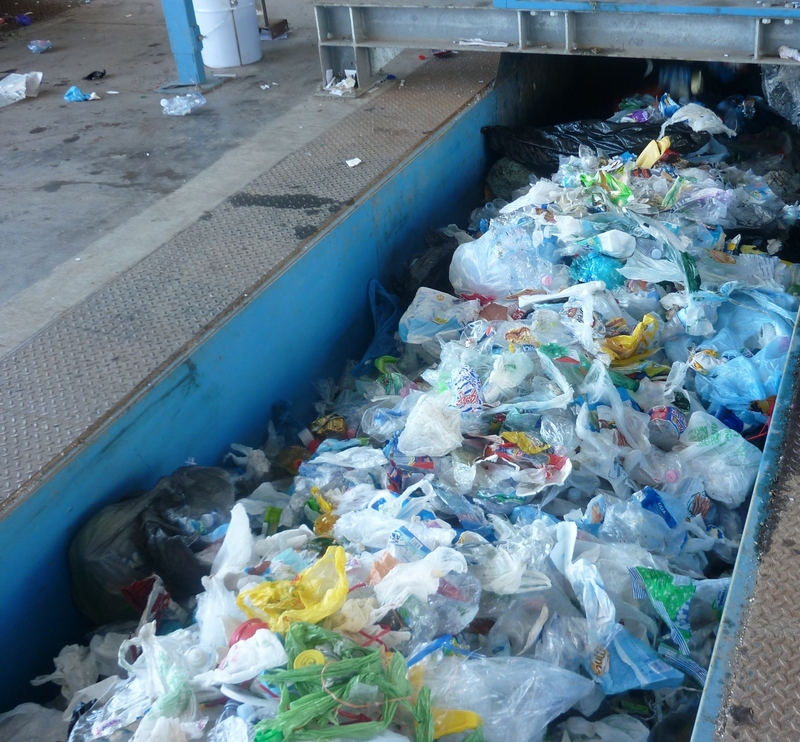 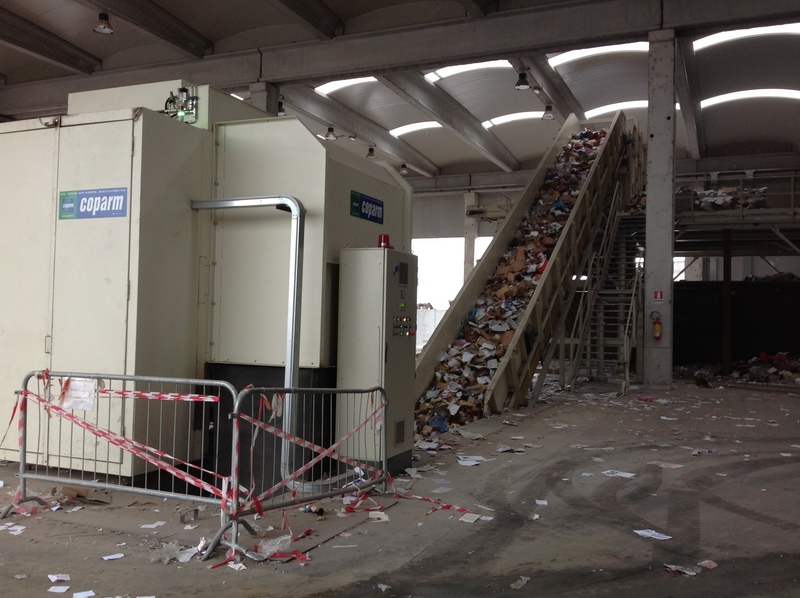 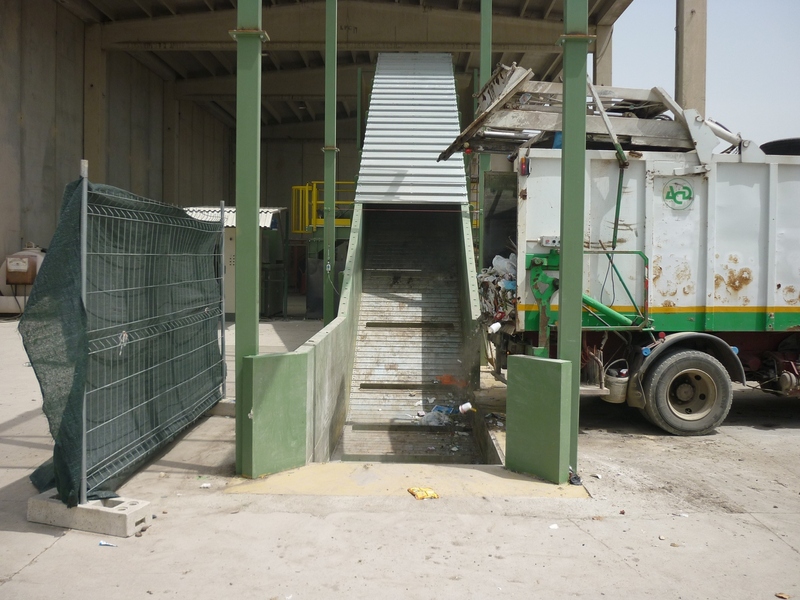 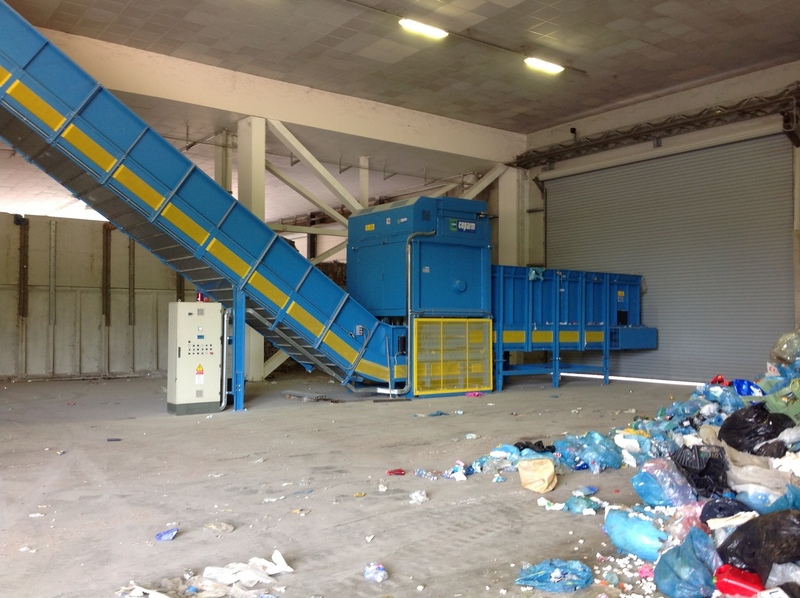 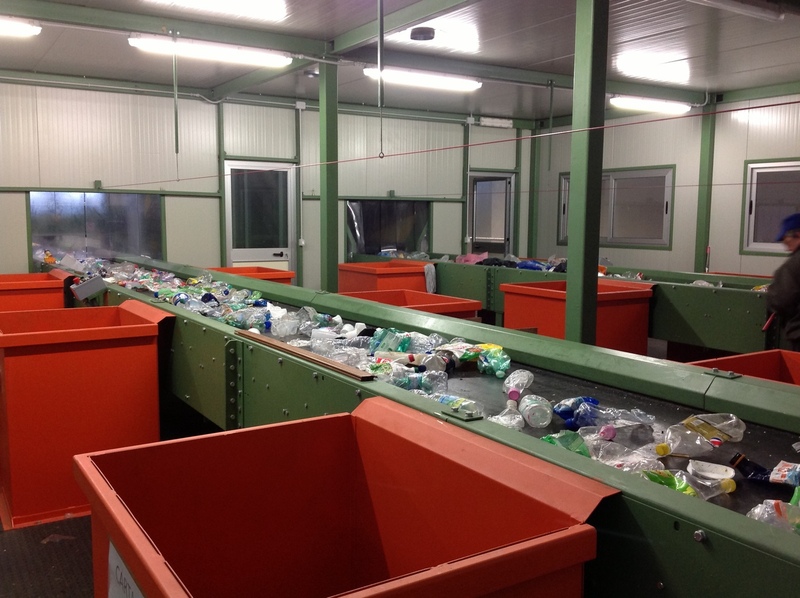 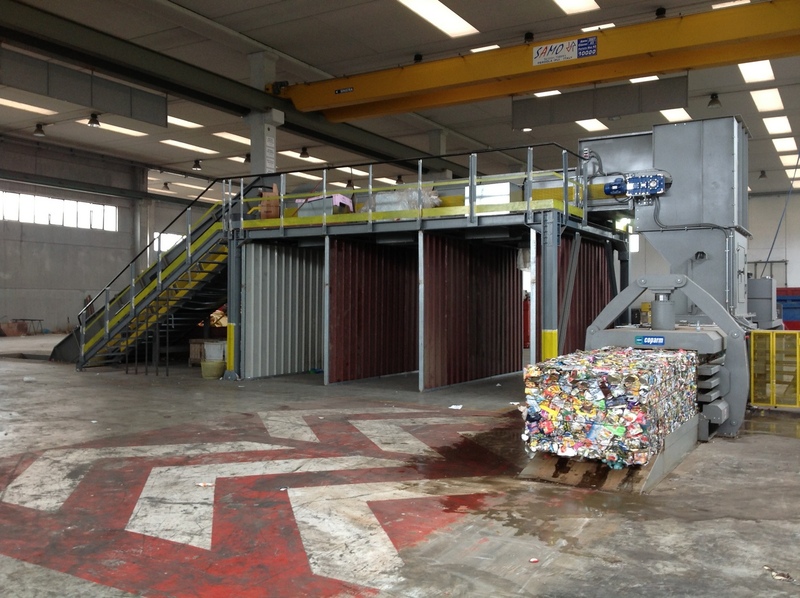 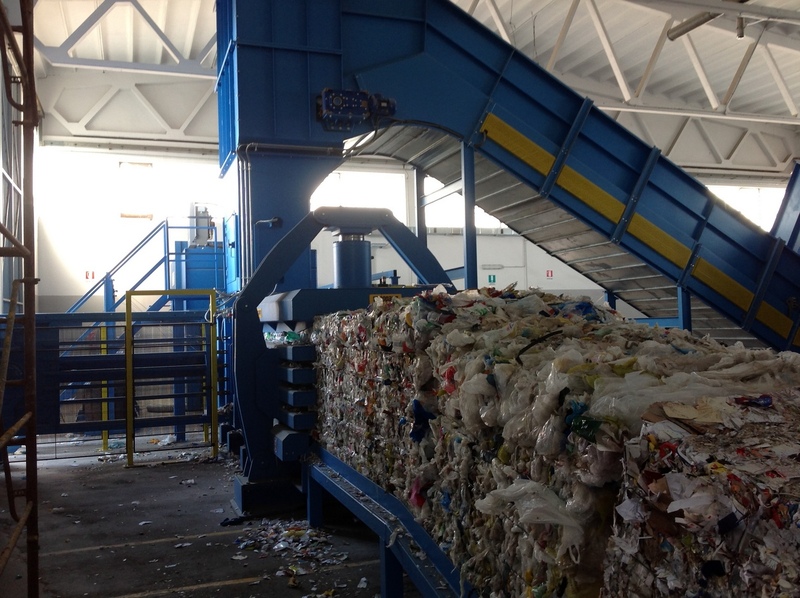 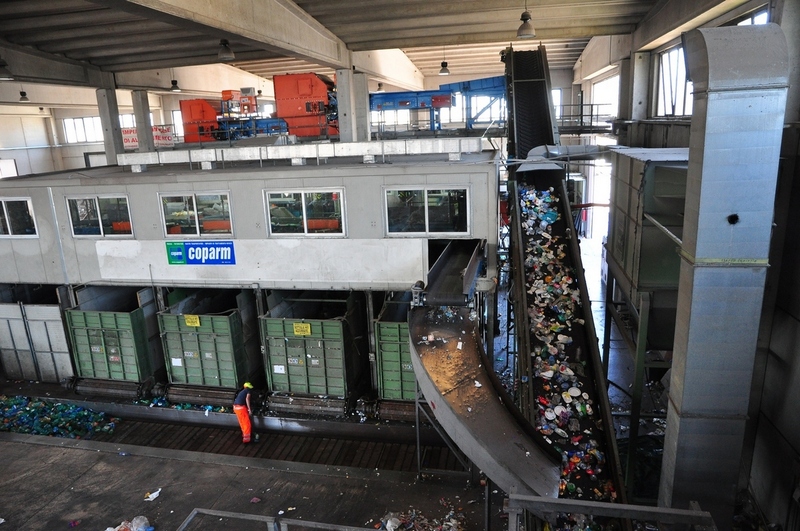 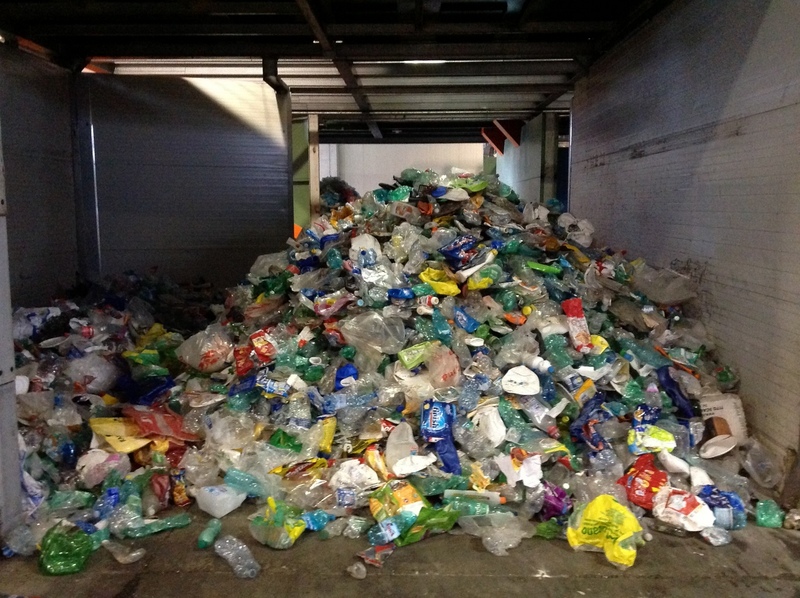 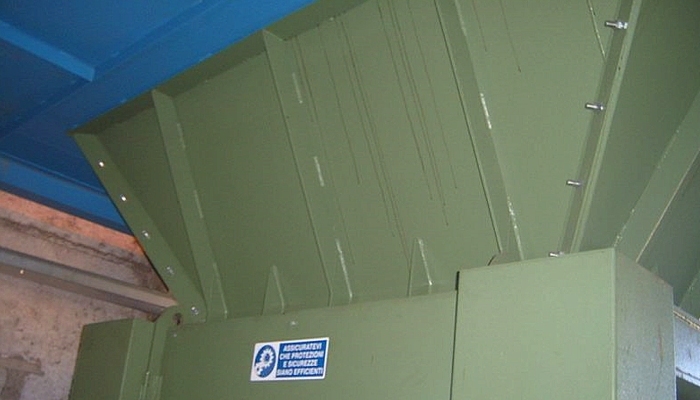 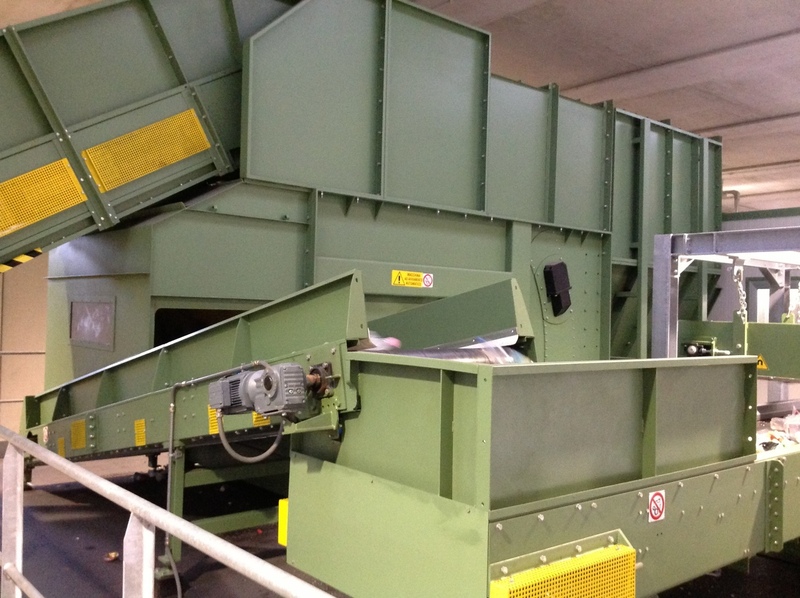 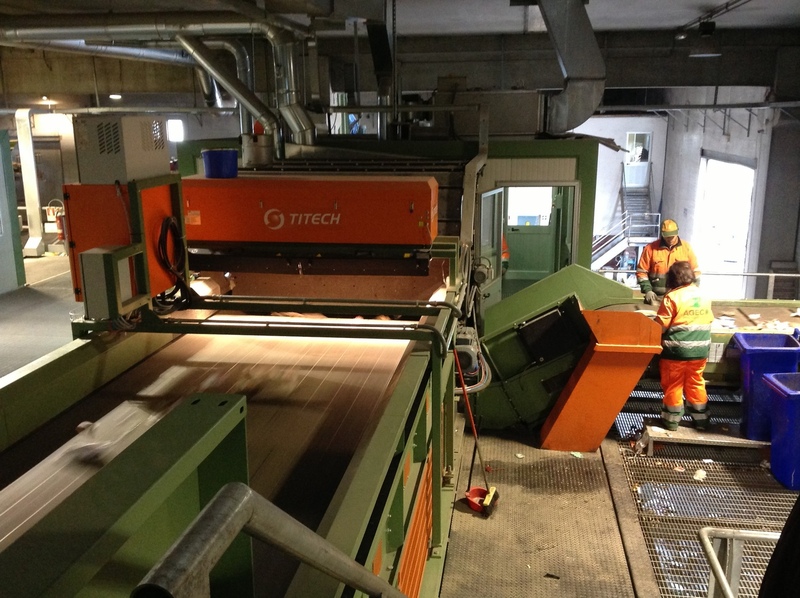 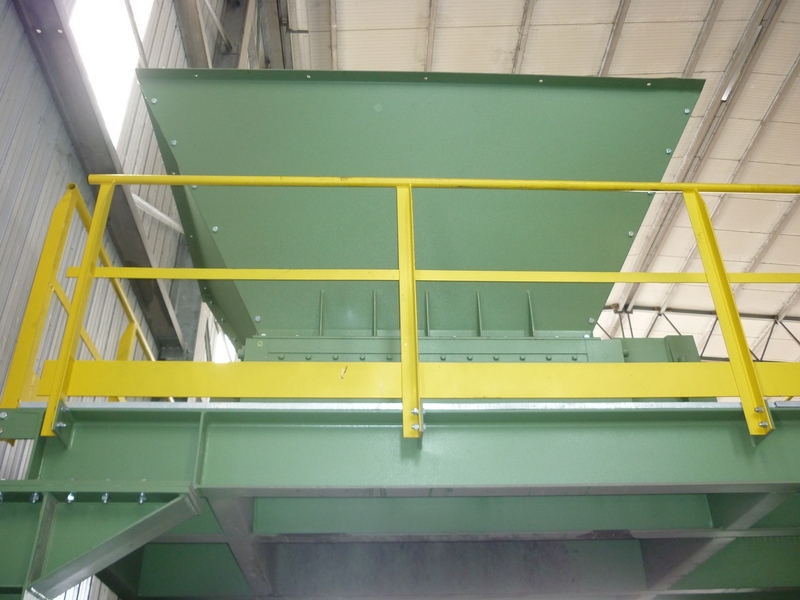 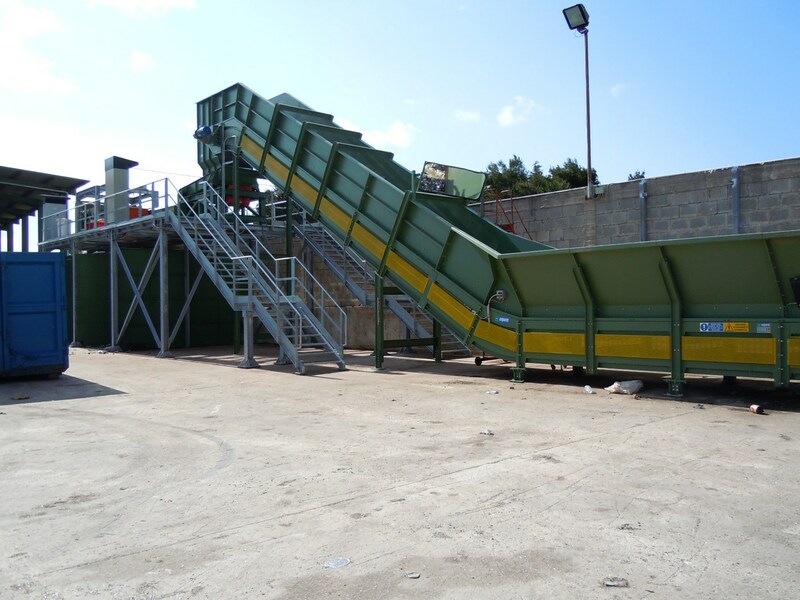 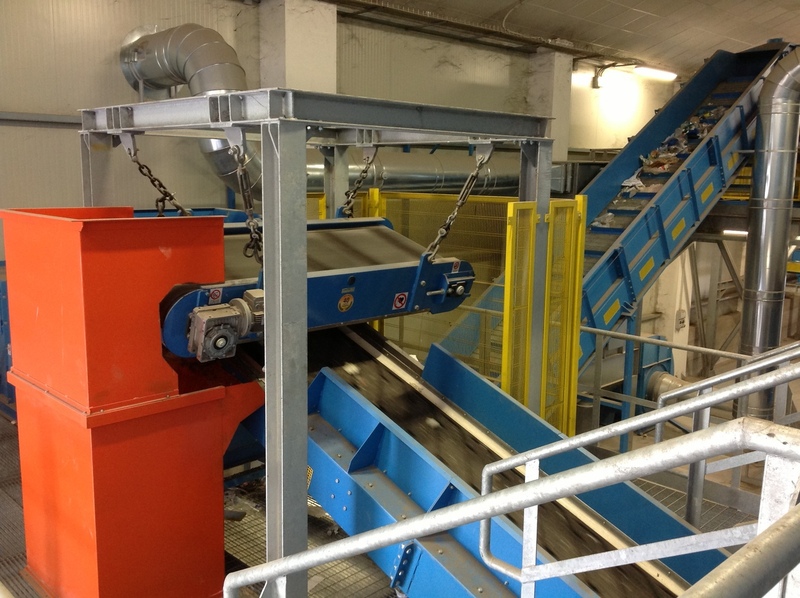 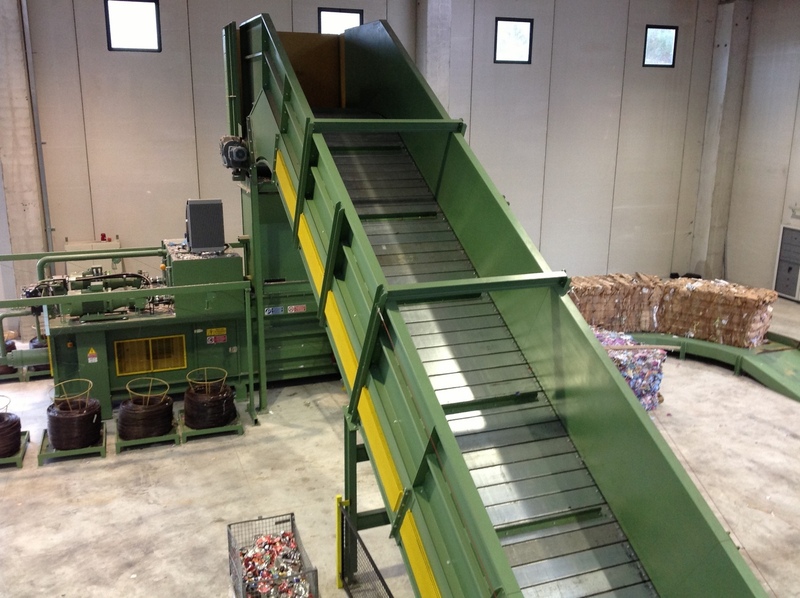 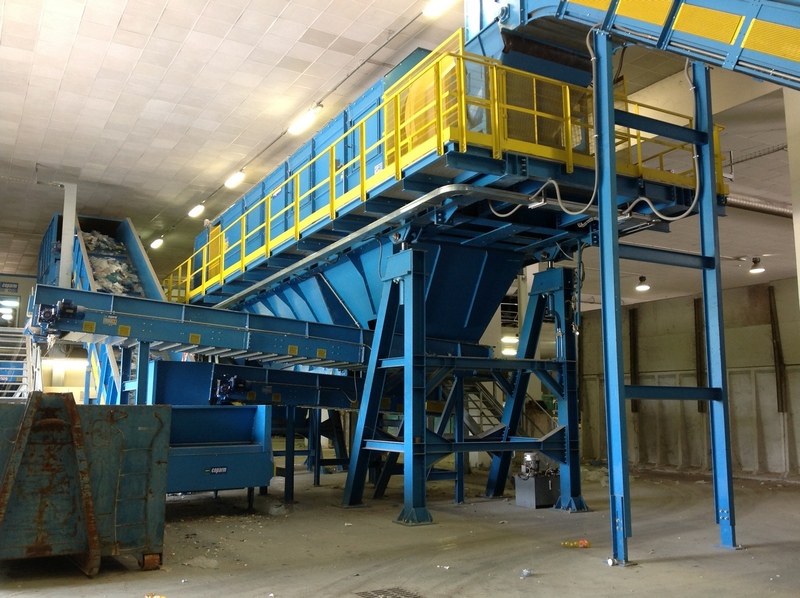 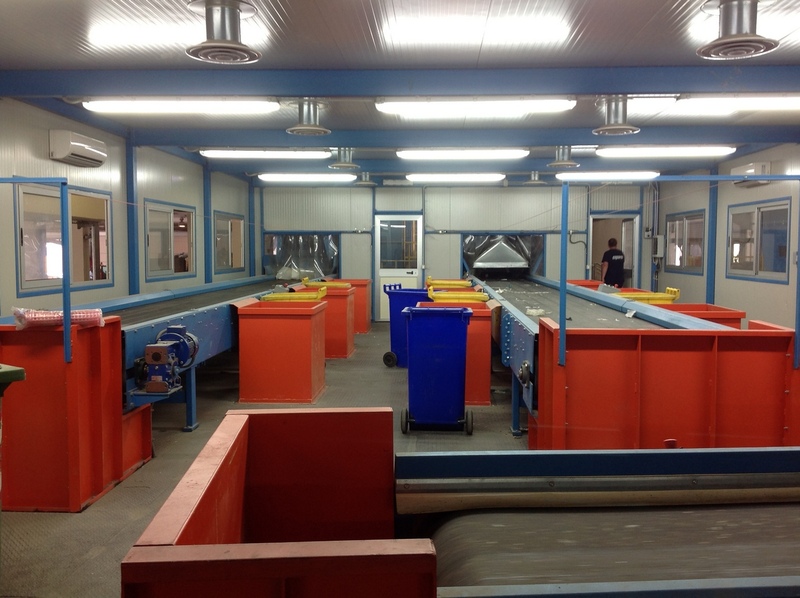 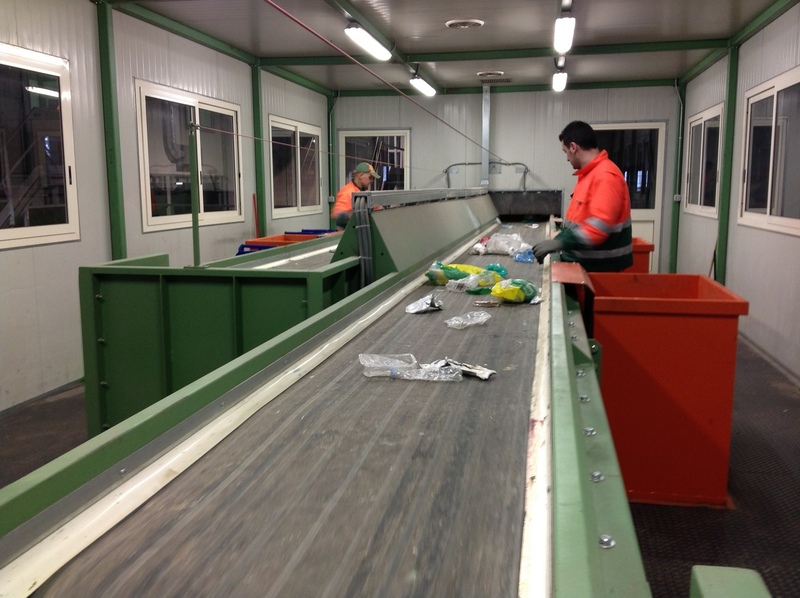 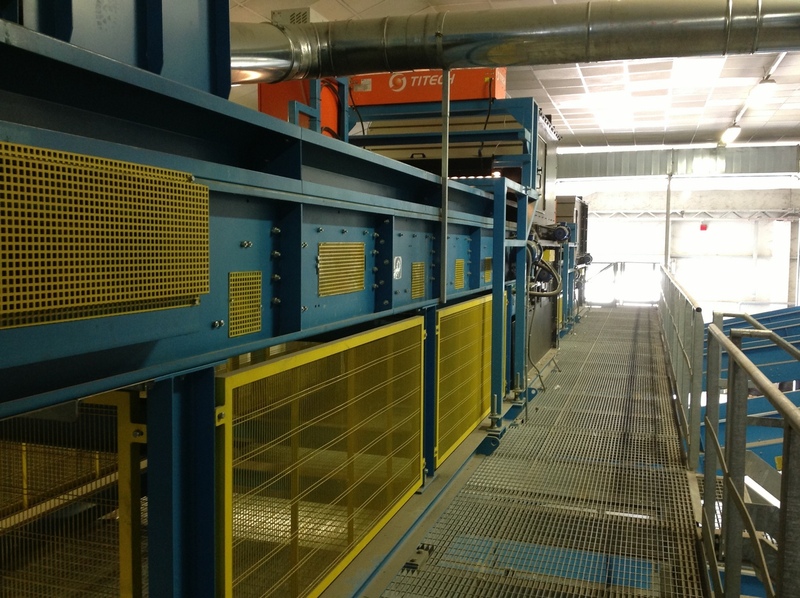 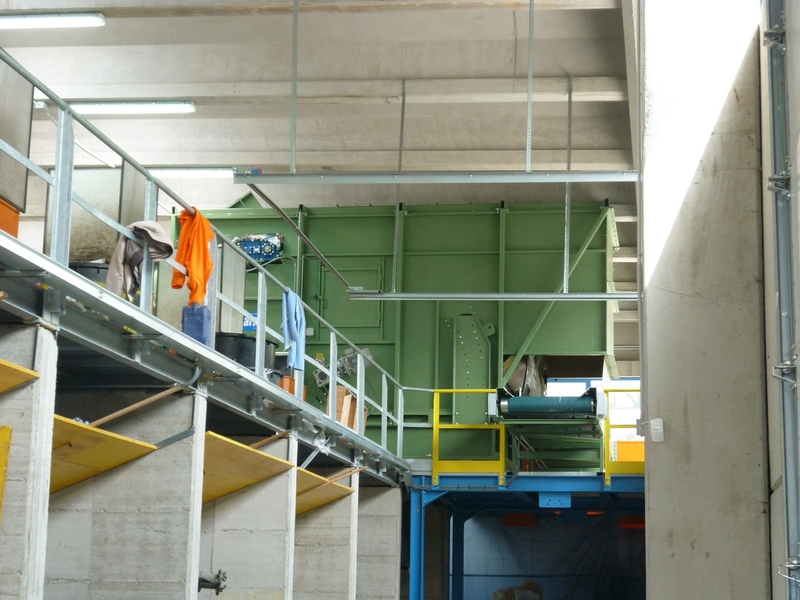 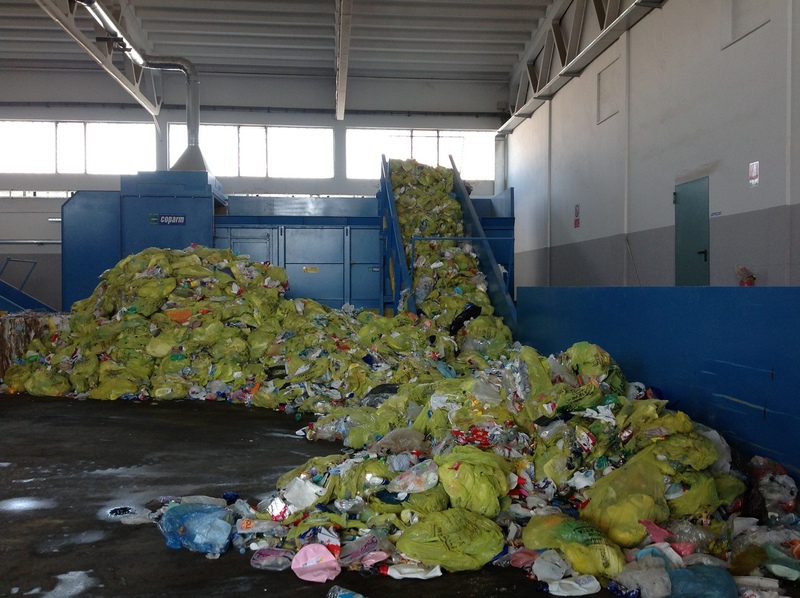 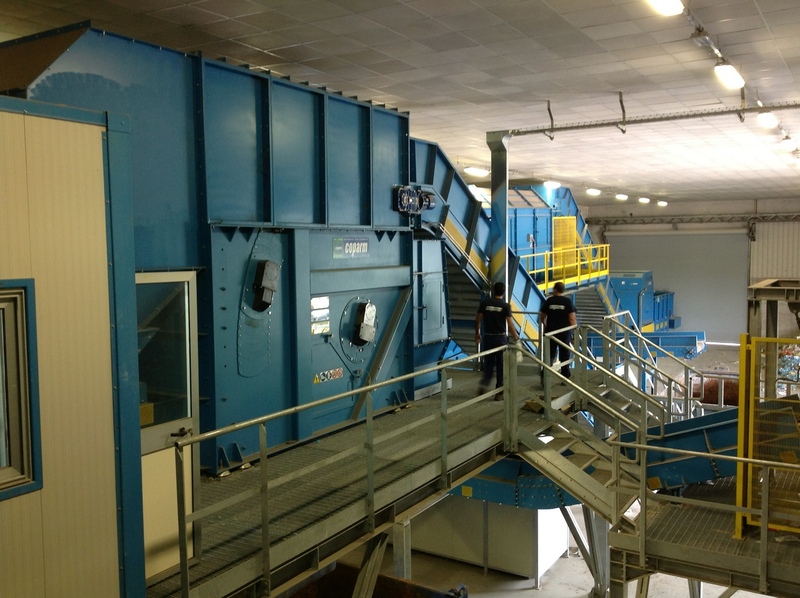 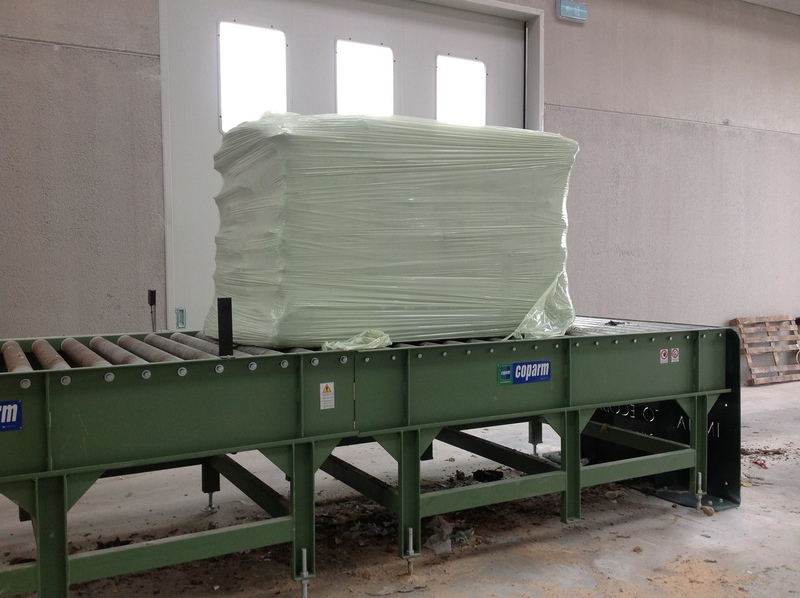 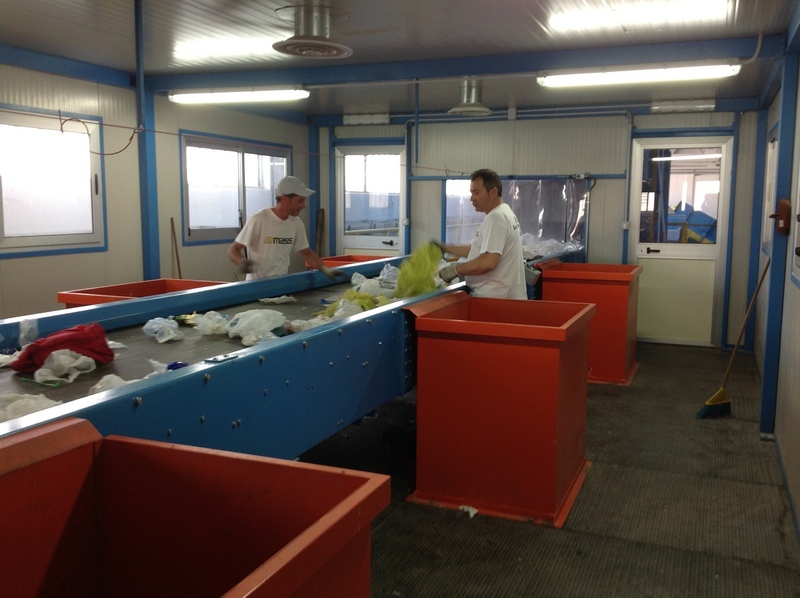 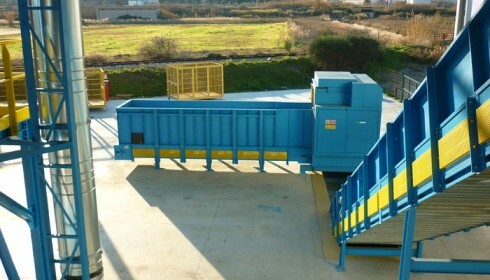 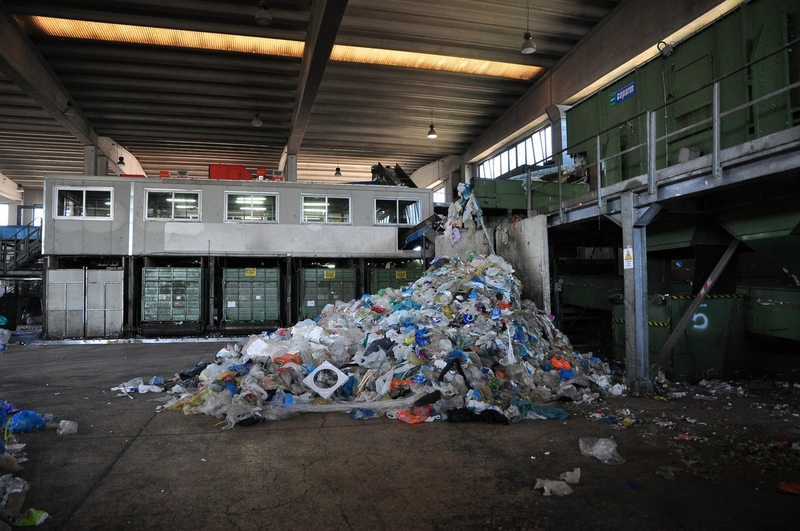 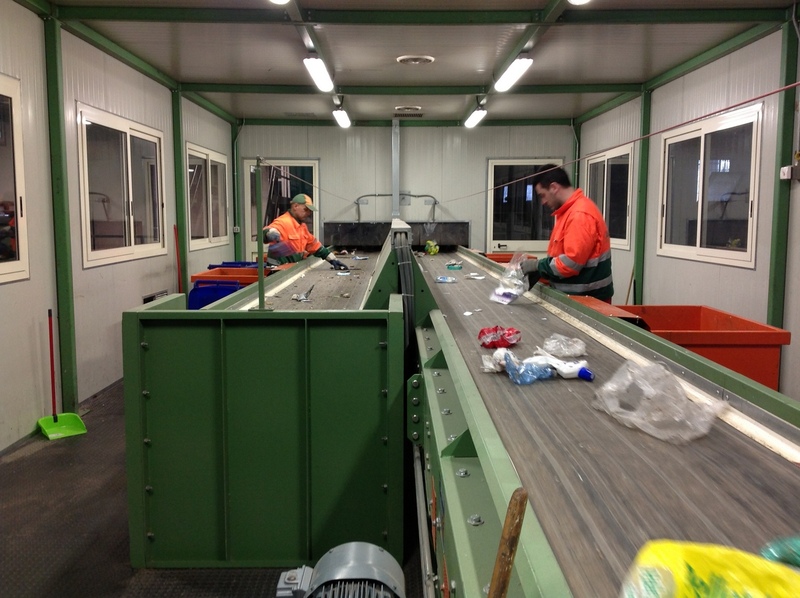 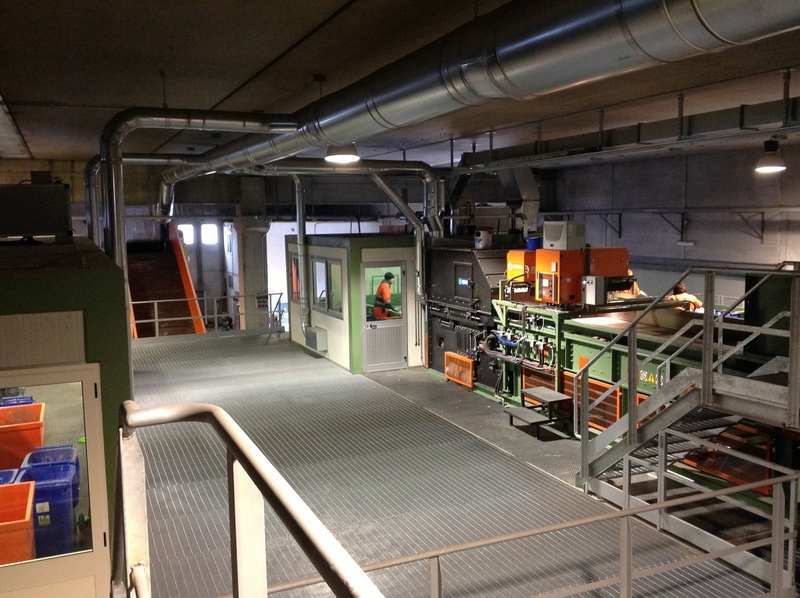 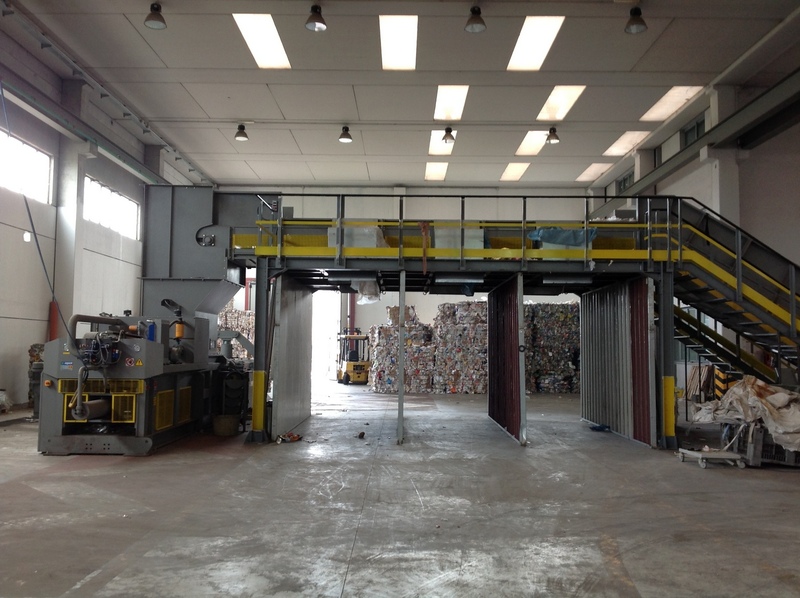 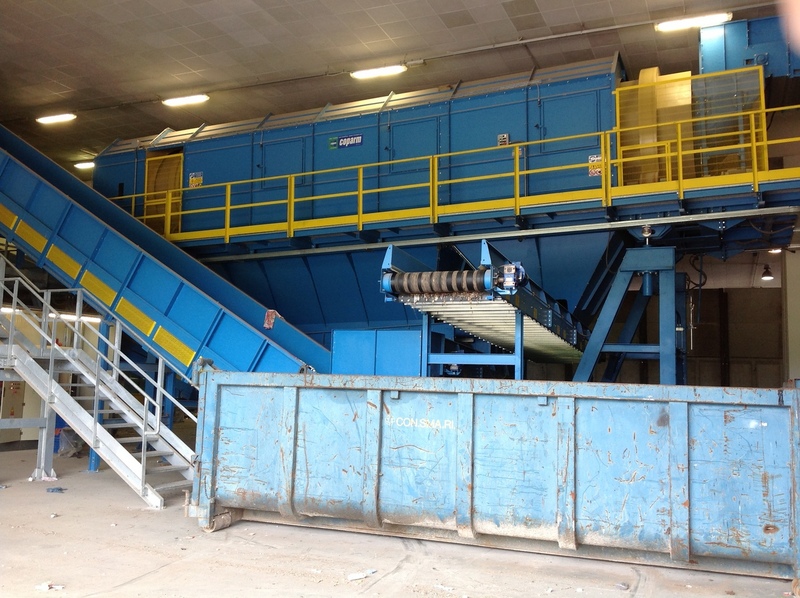 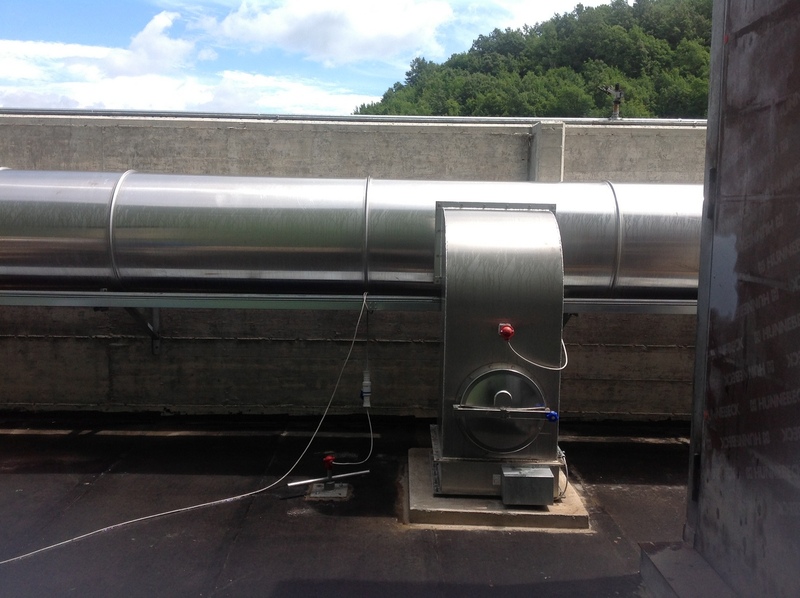 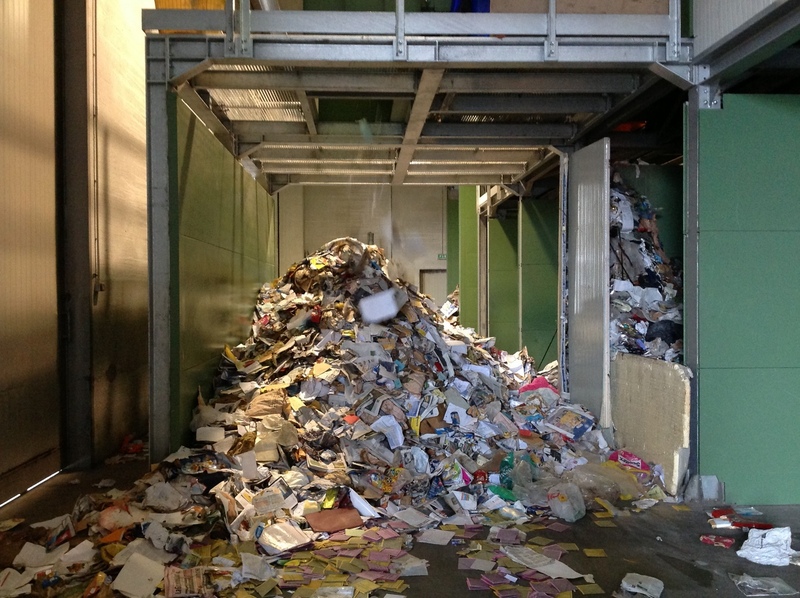 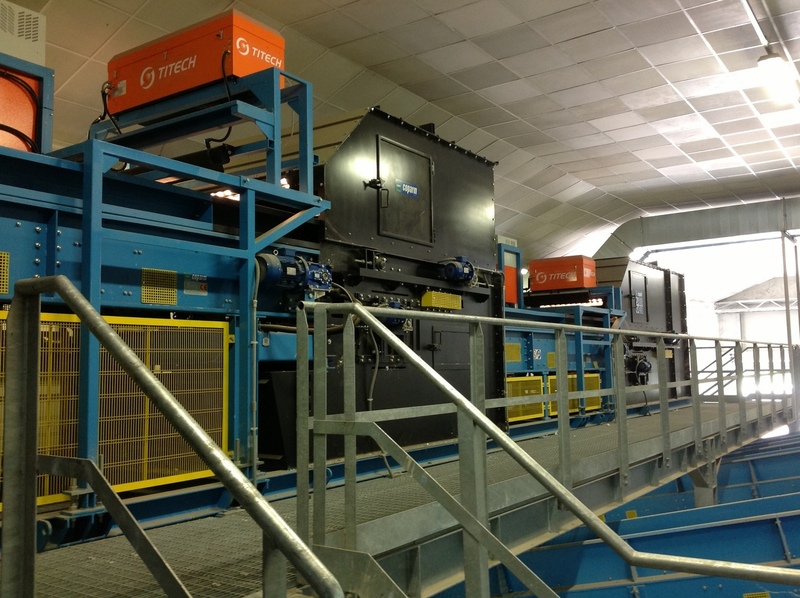 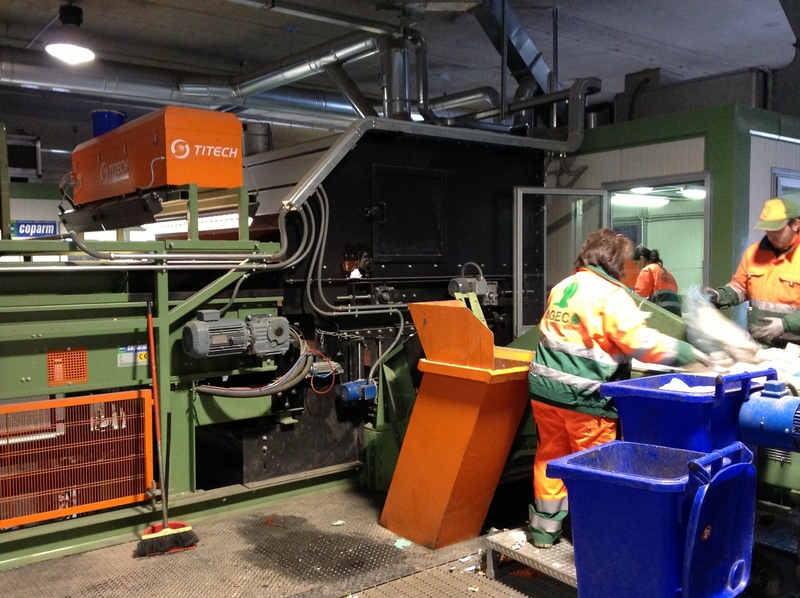 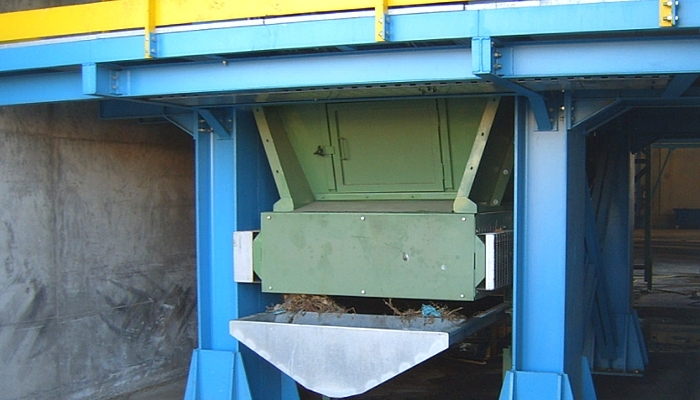 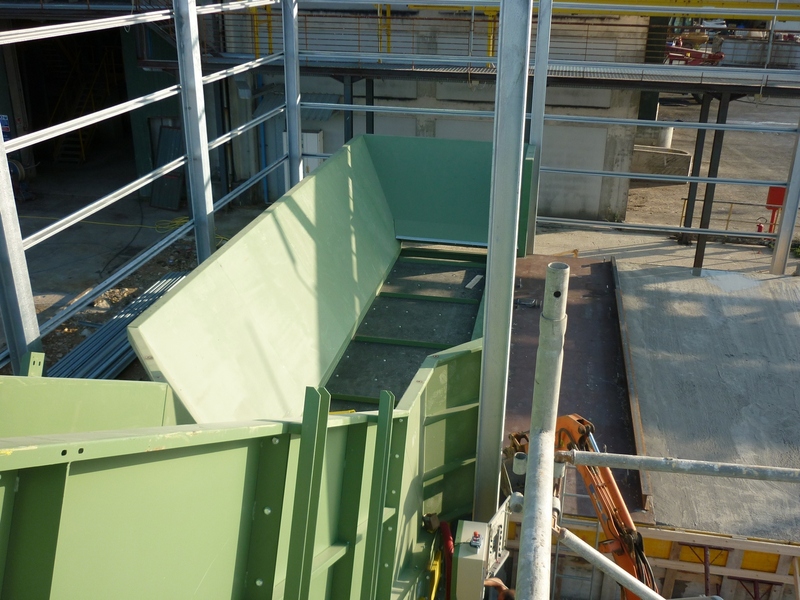 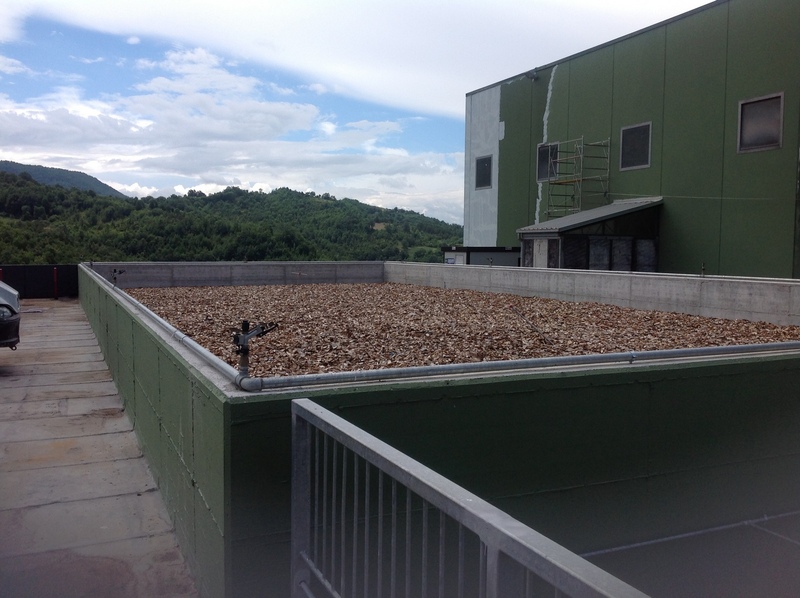 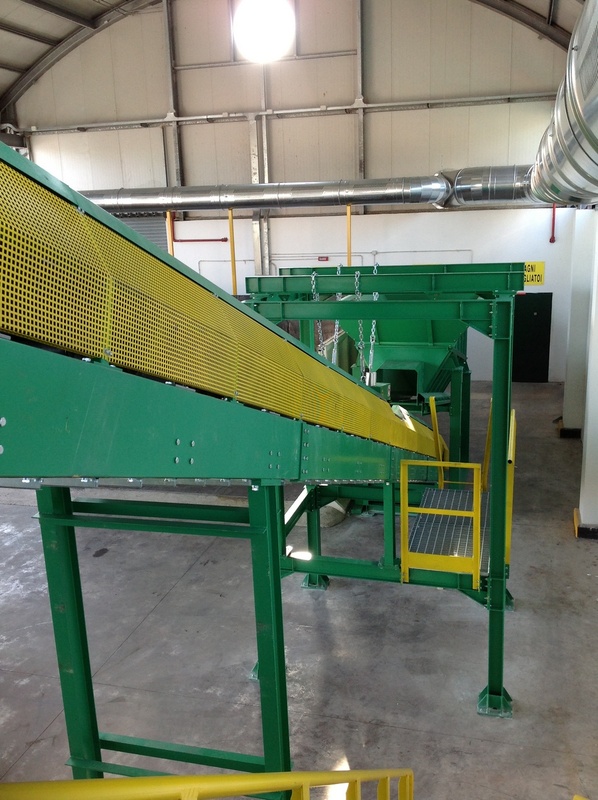 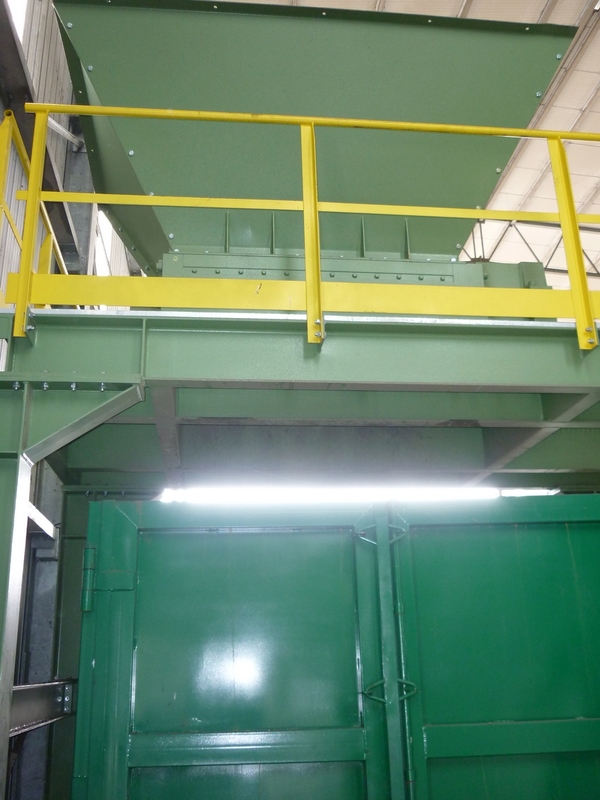 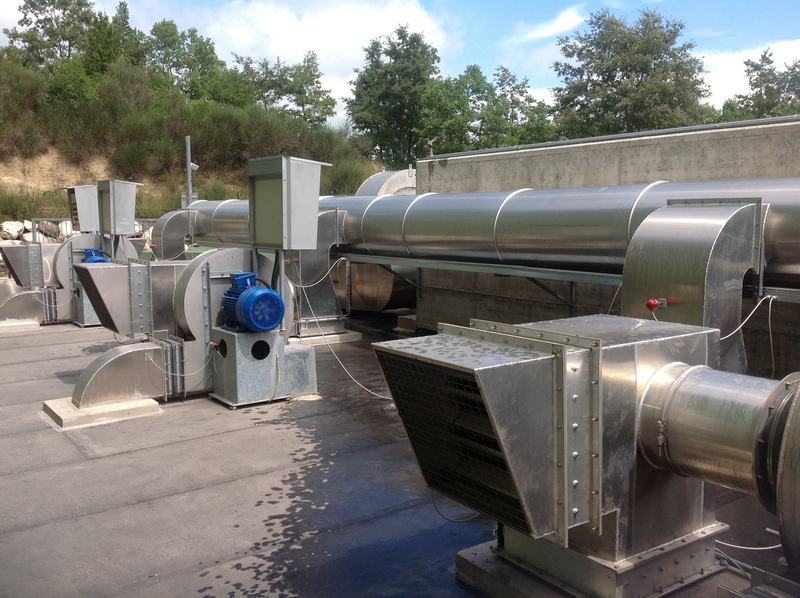 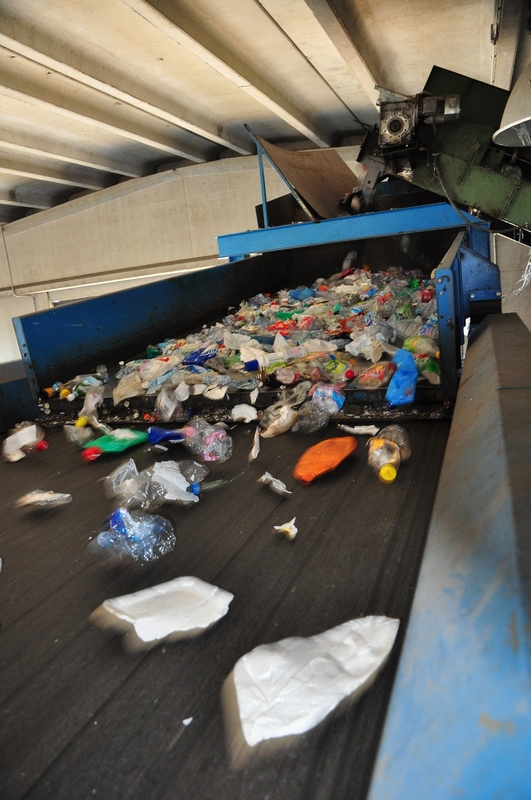 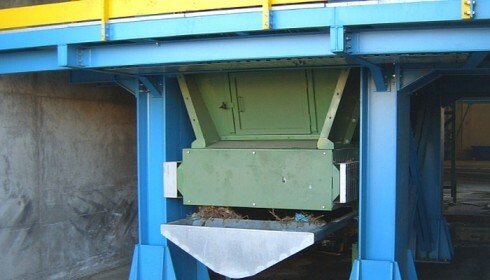 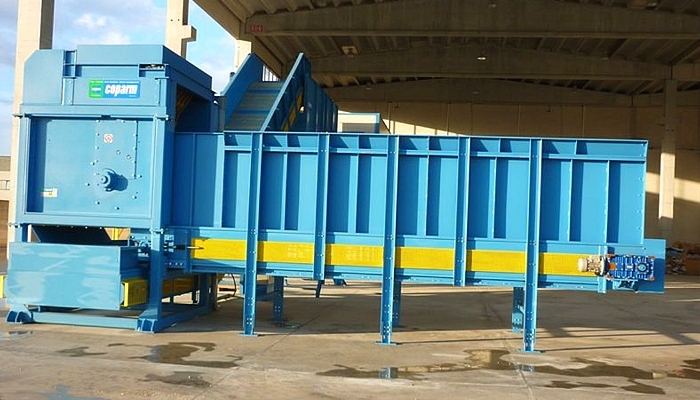 These waste bag openers are very powerful to be installed at the head of treatment plants for municipal solid waste. 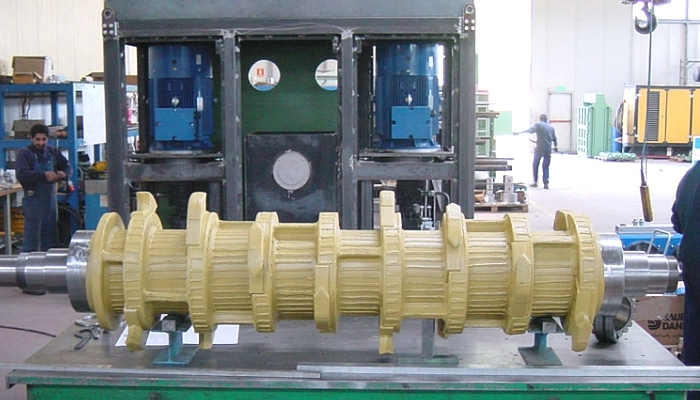 They are characterized by a high reliability thanks to a treatment capacity and to couples of considerable magnitude. 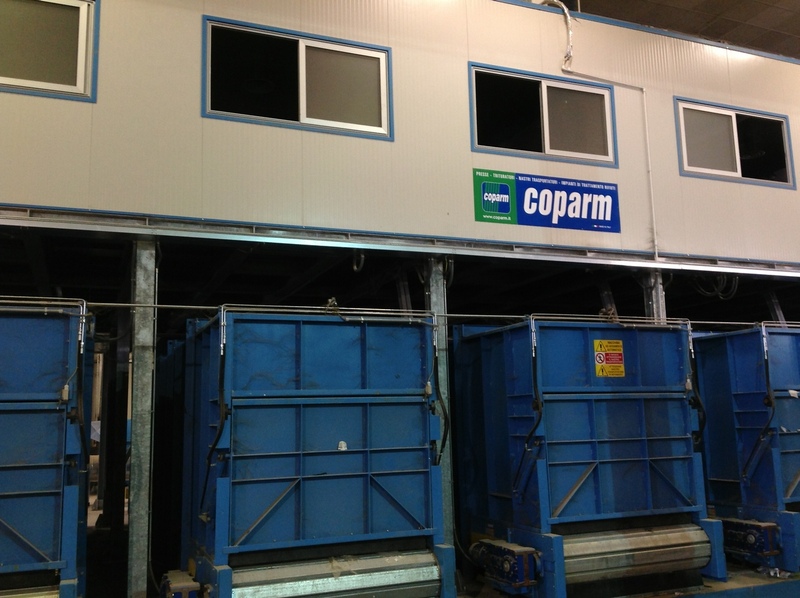 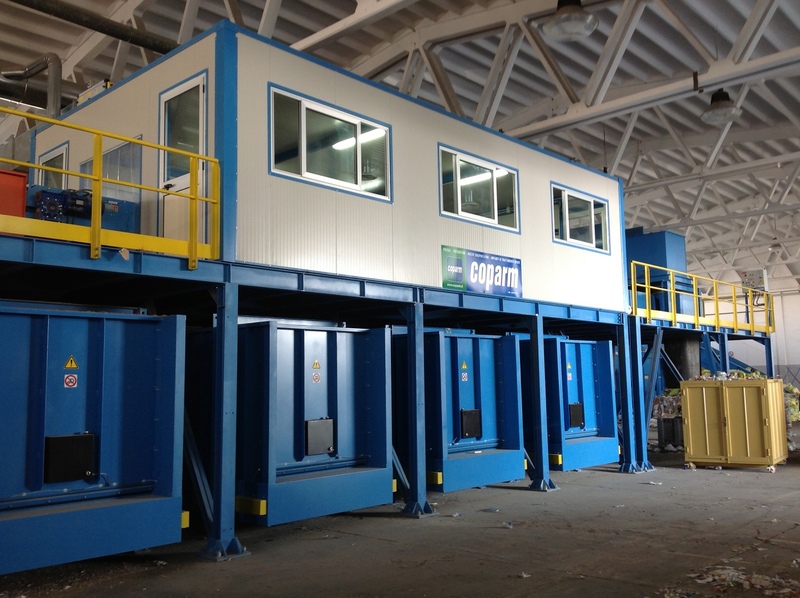 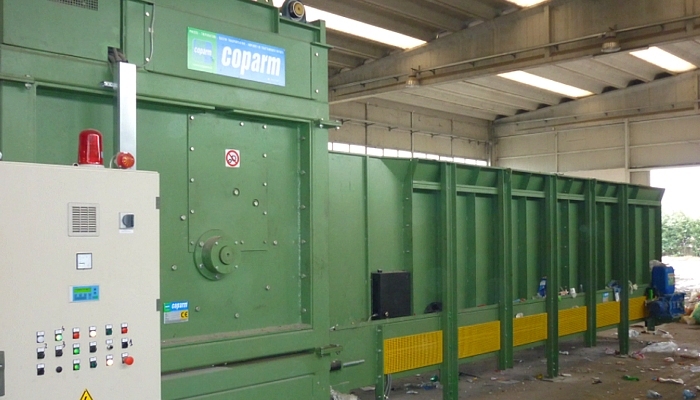 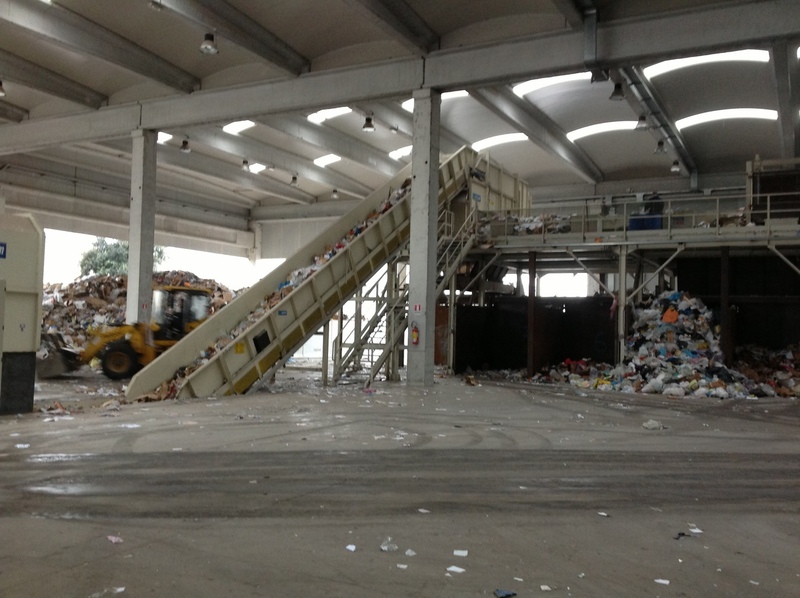 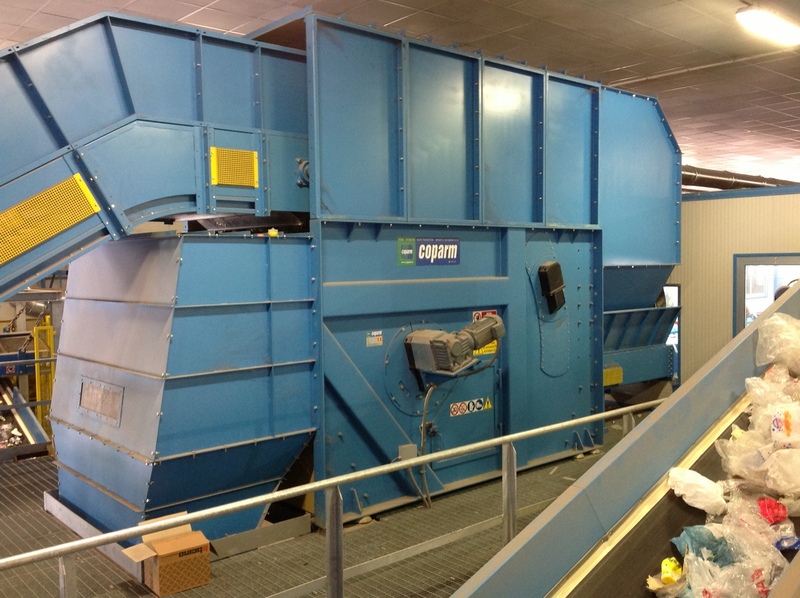 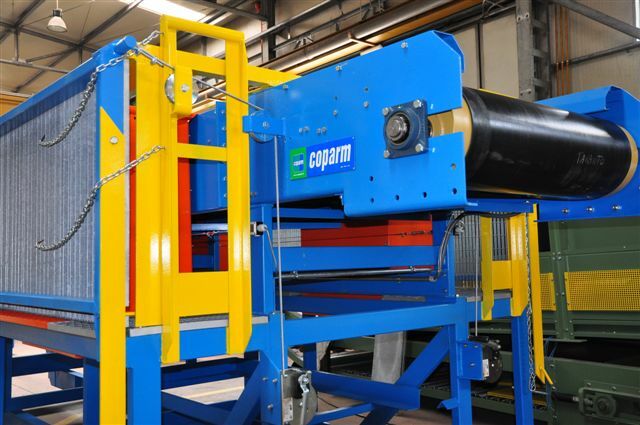 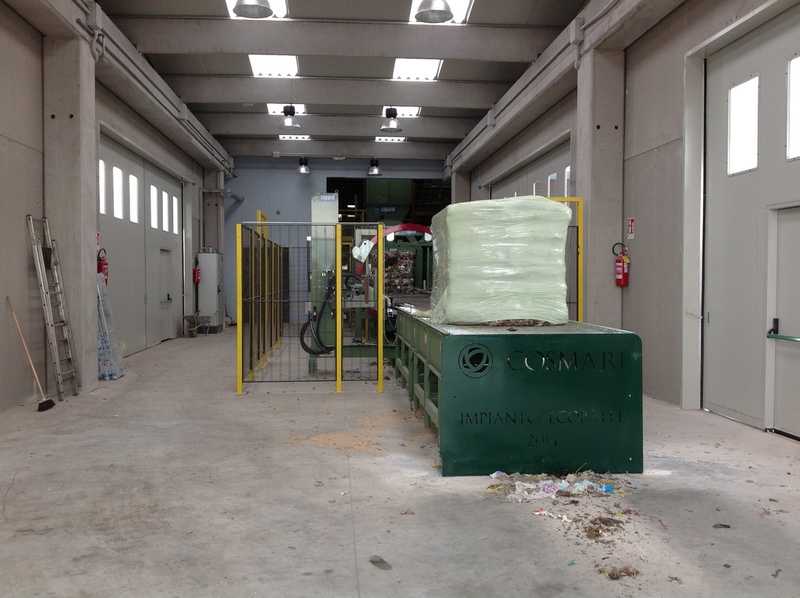 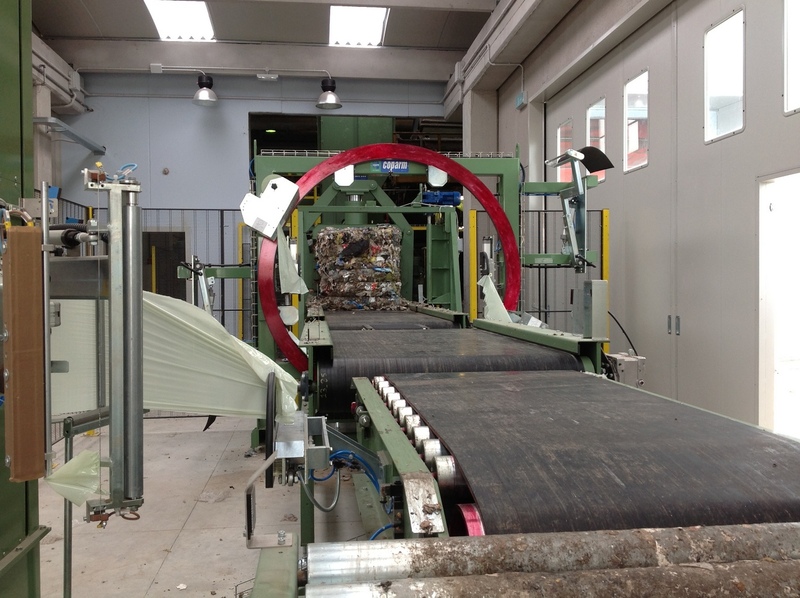 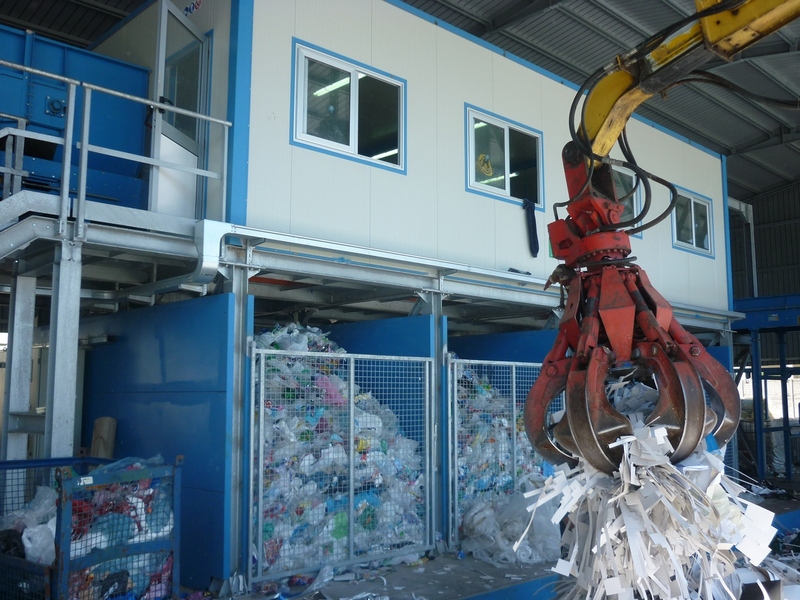 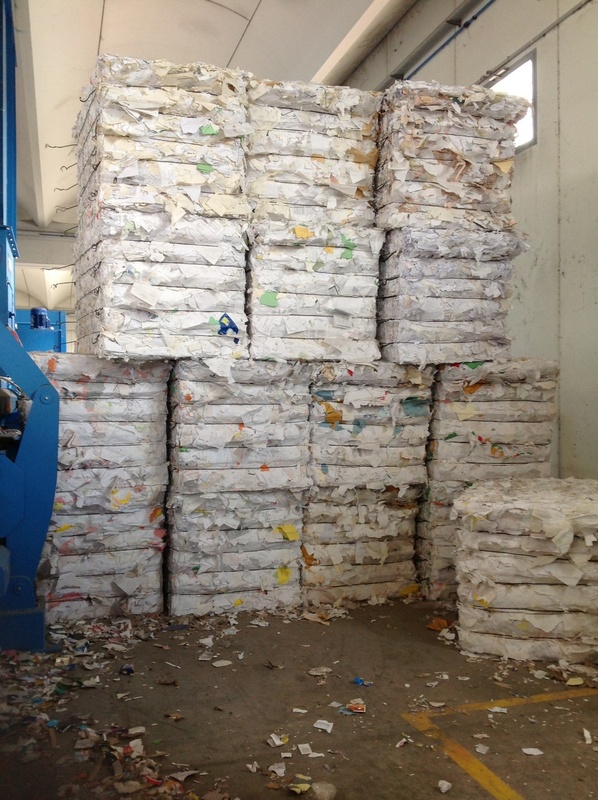 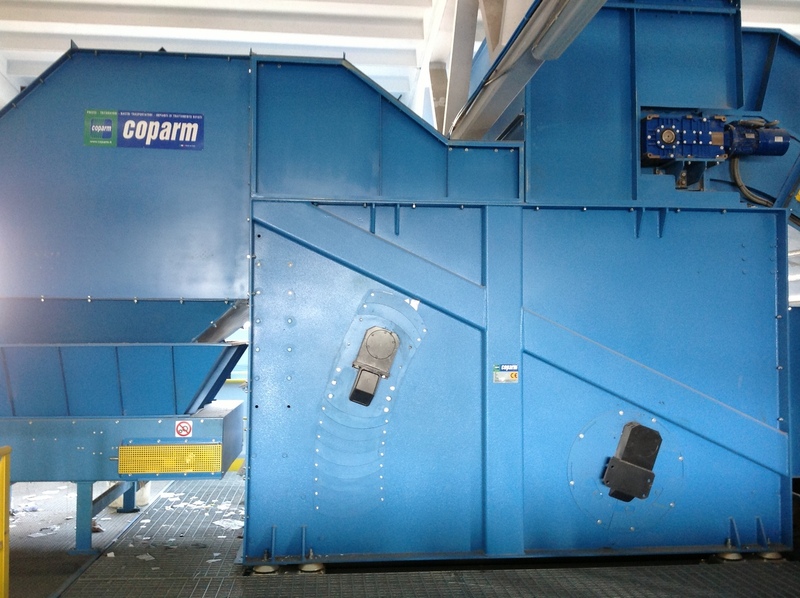 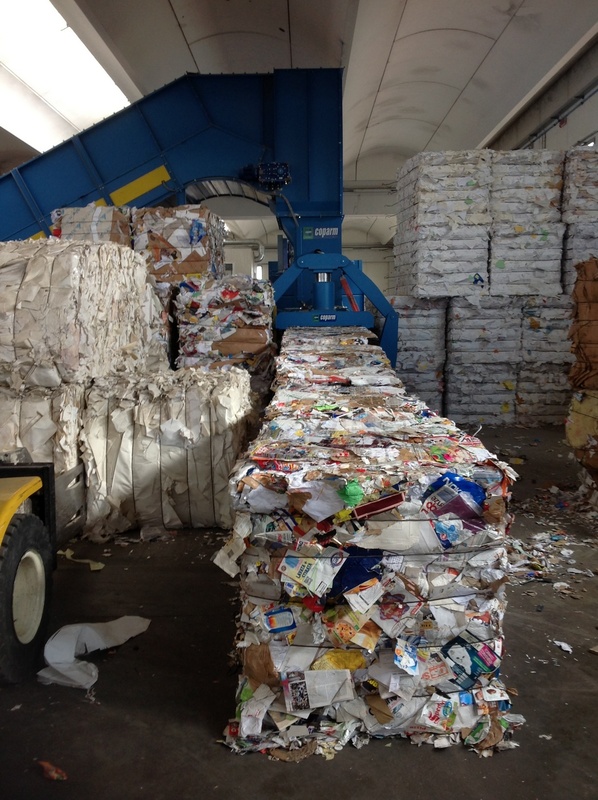 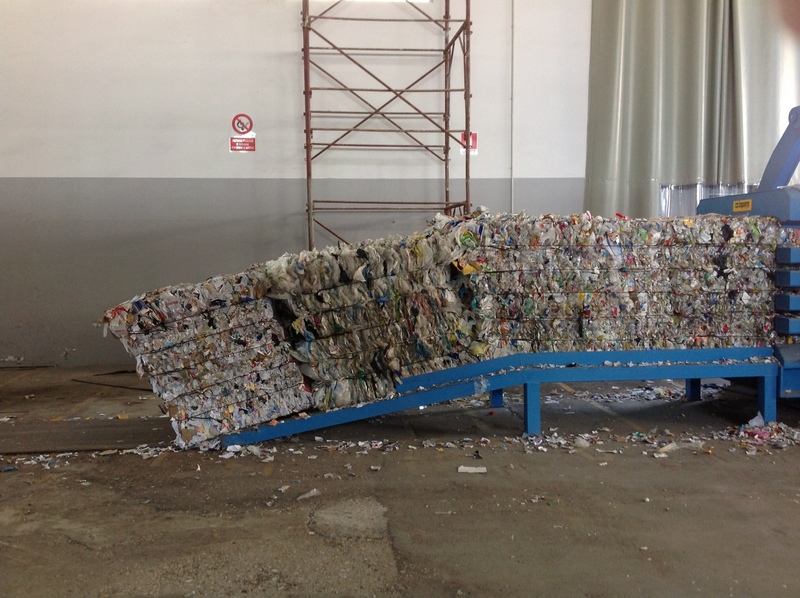 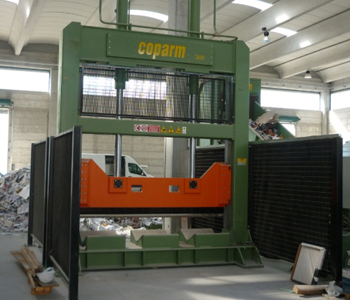 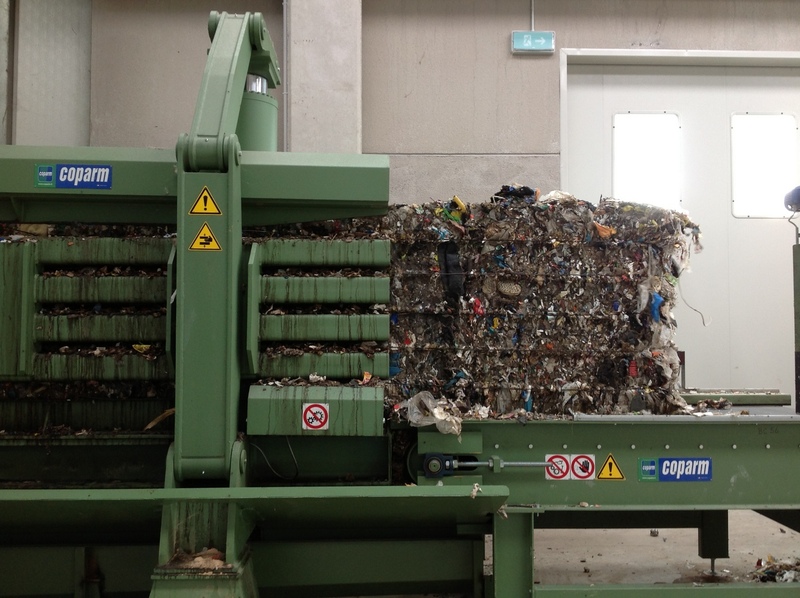 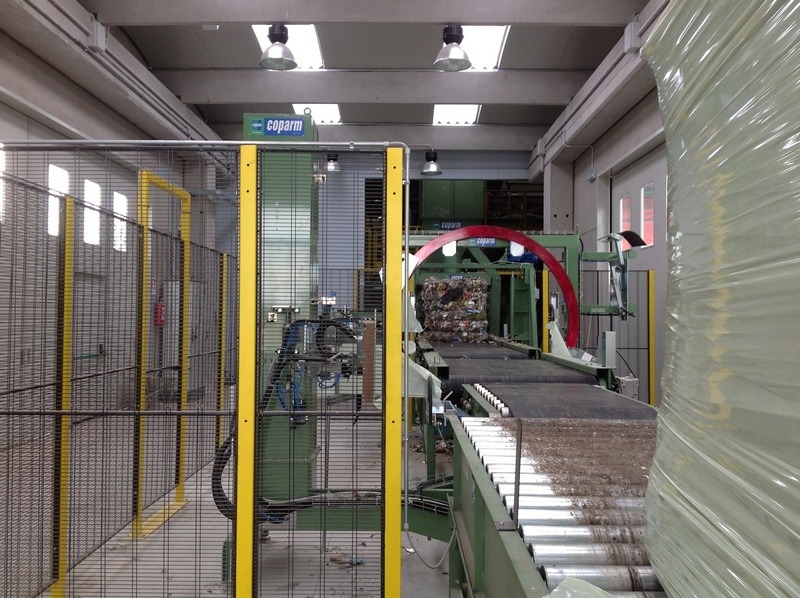 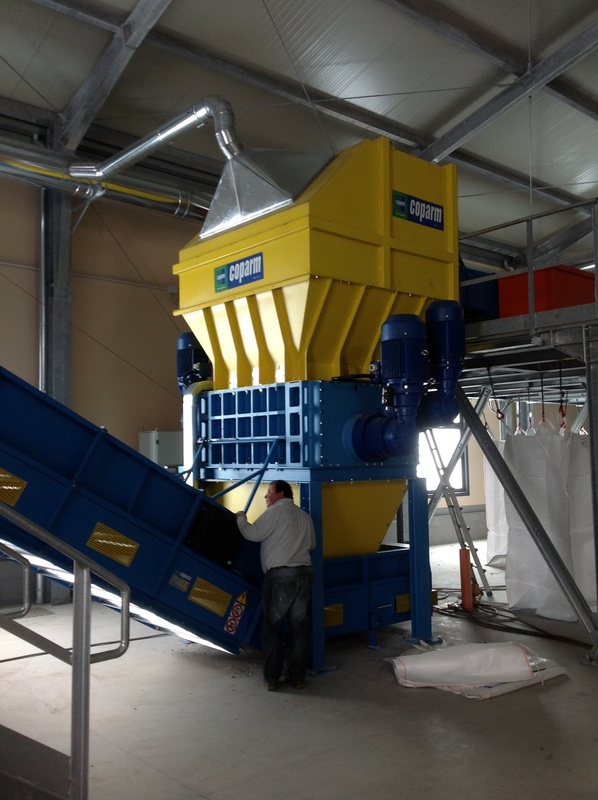 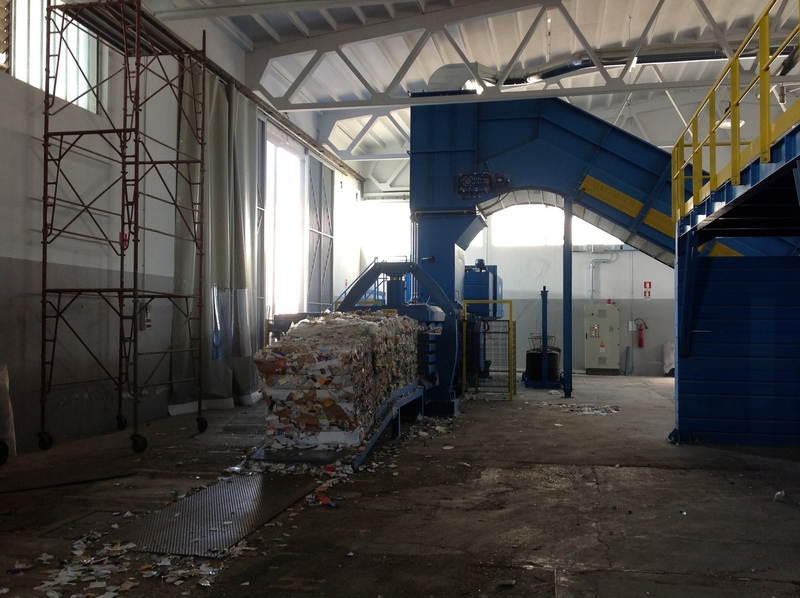 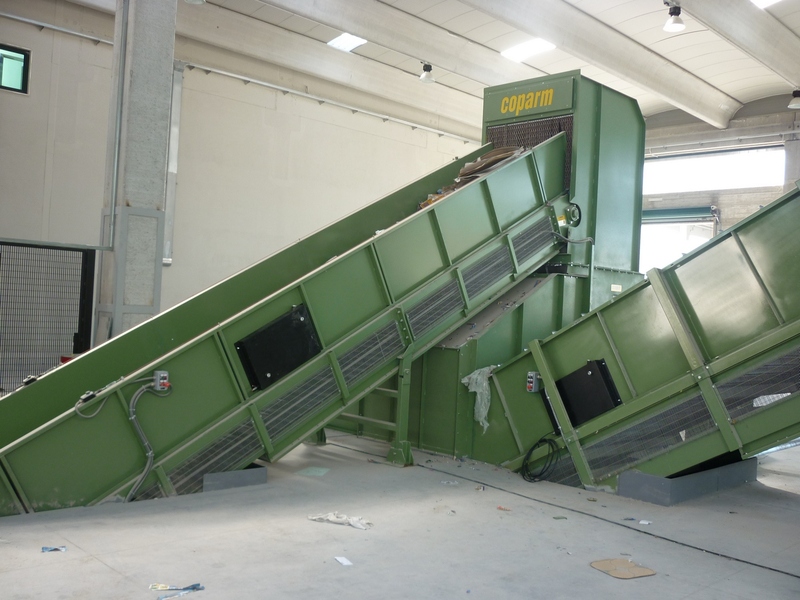 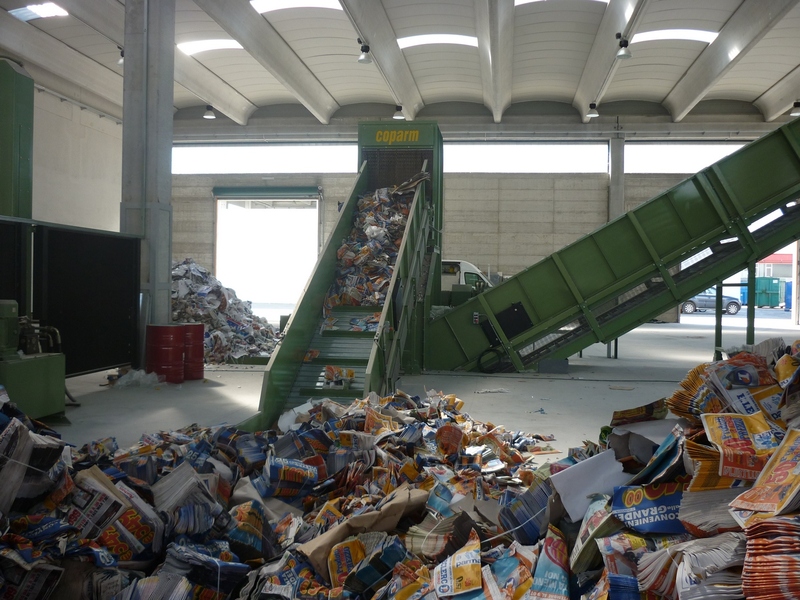 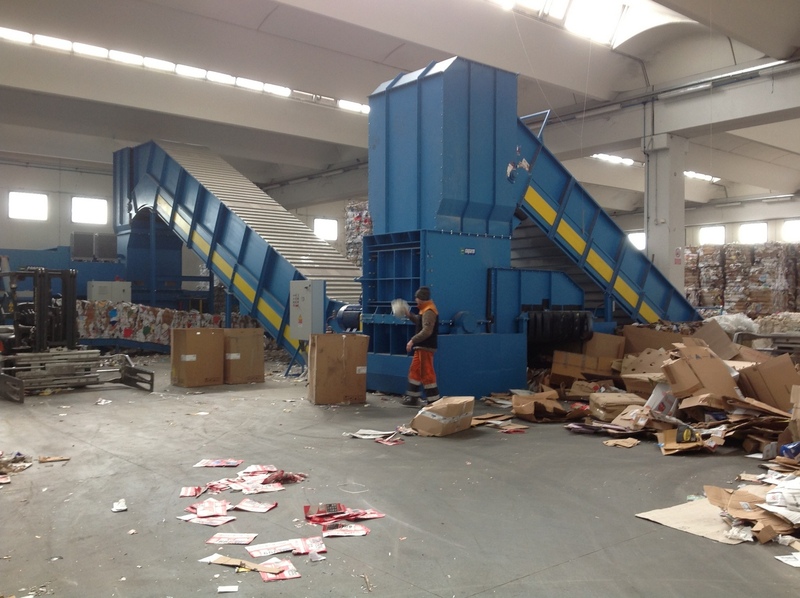 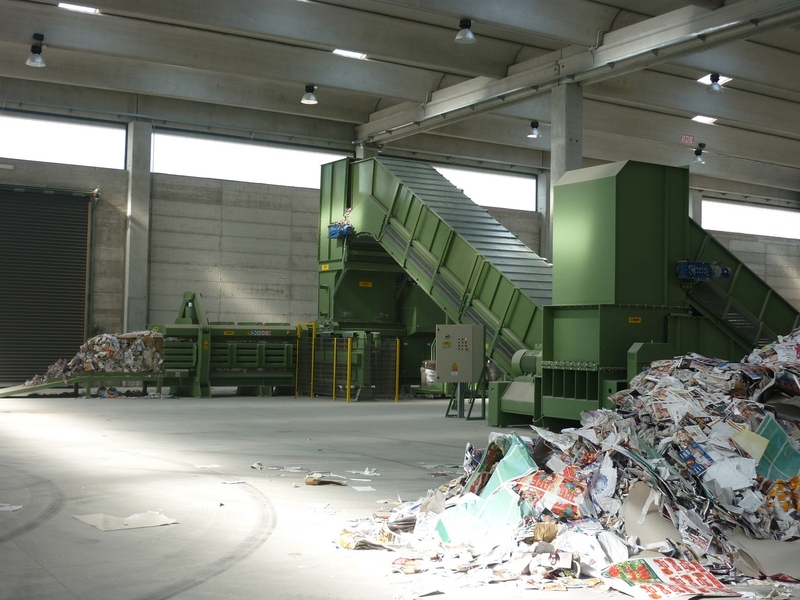 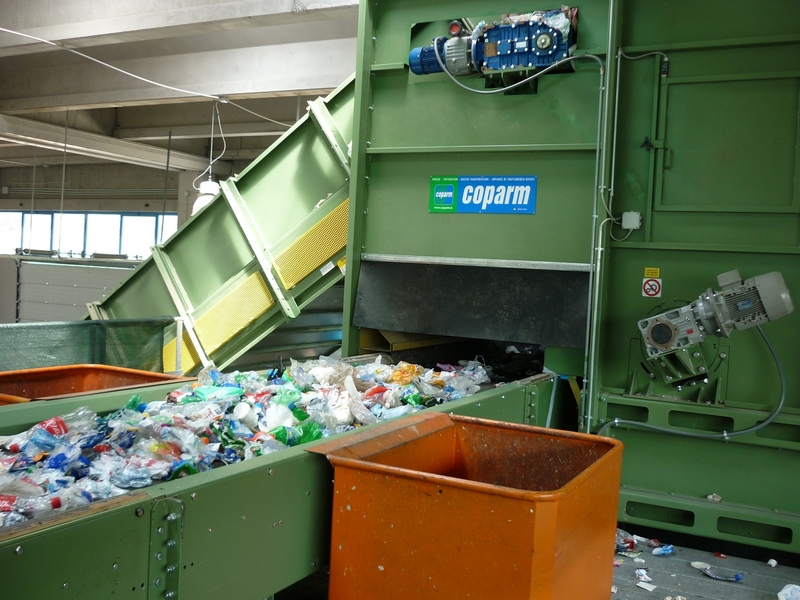 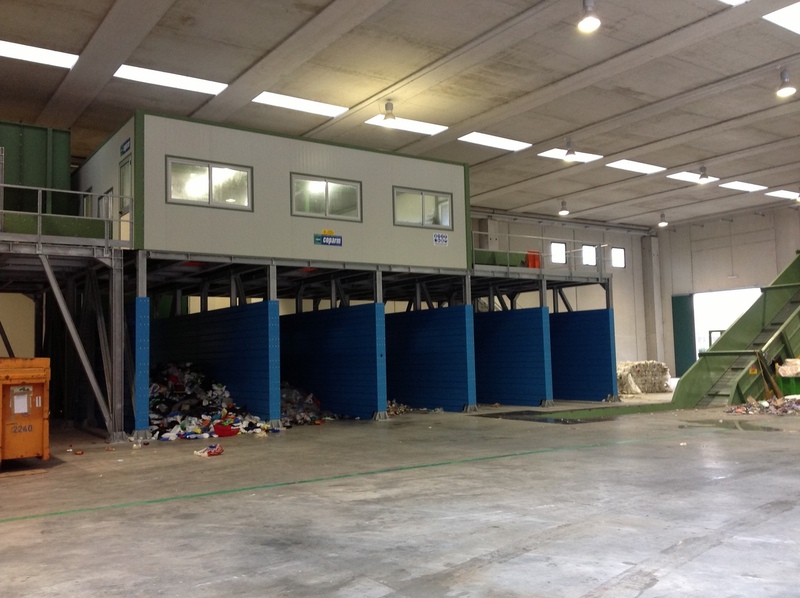 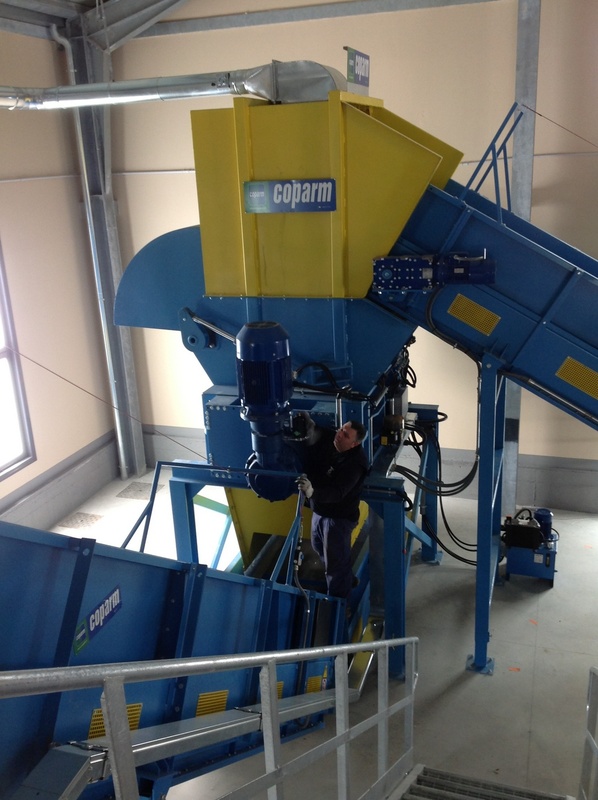 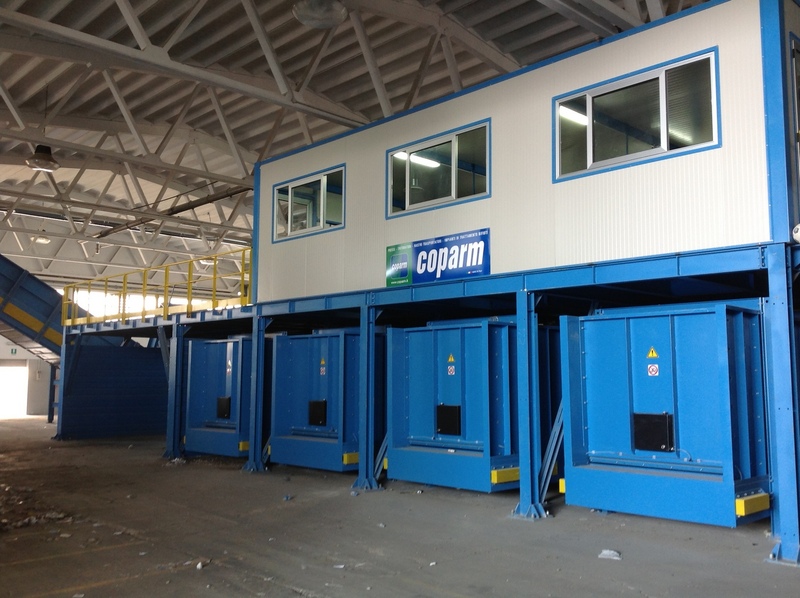 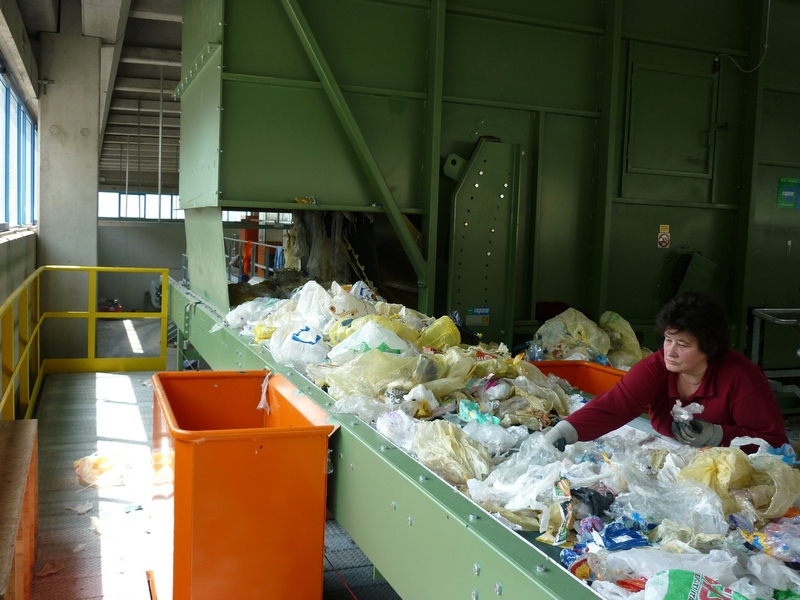 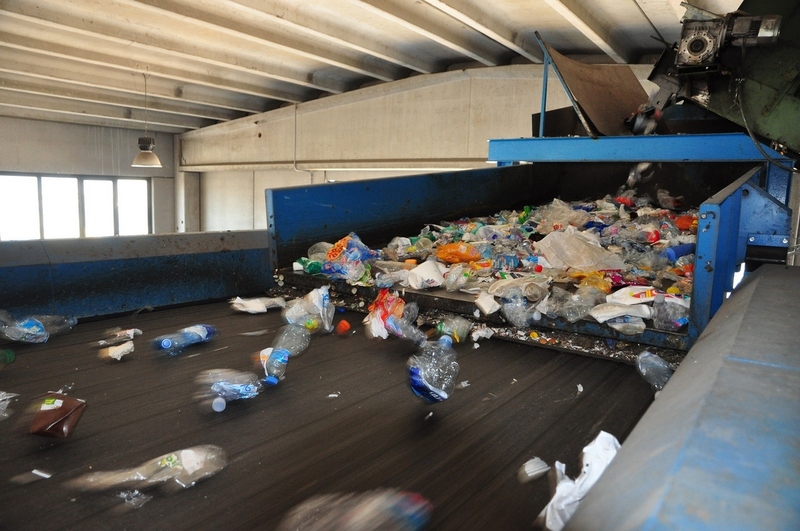 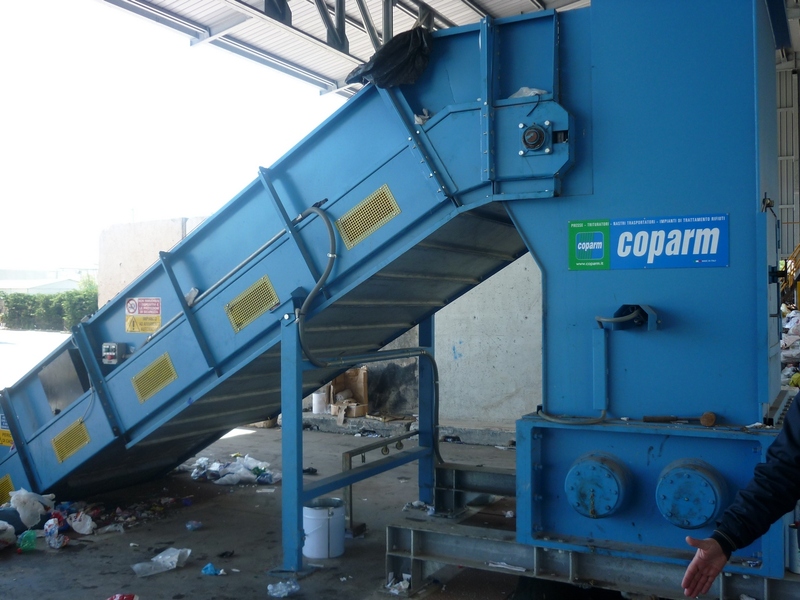 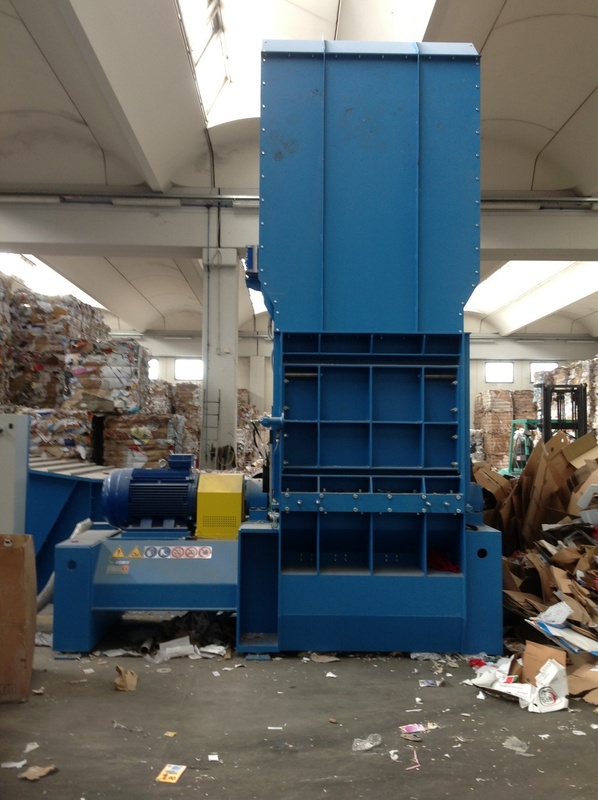 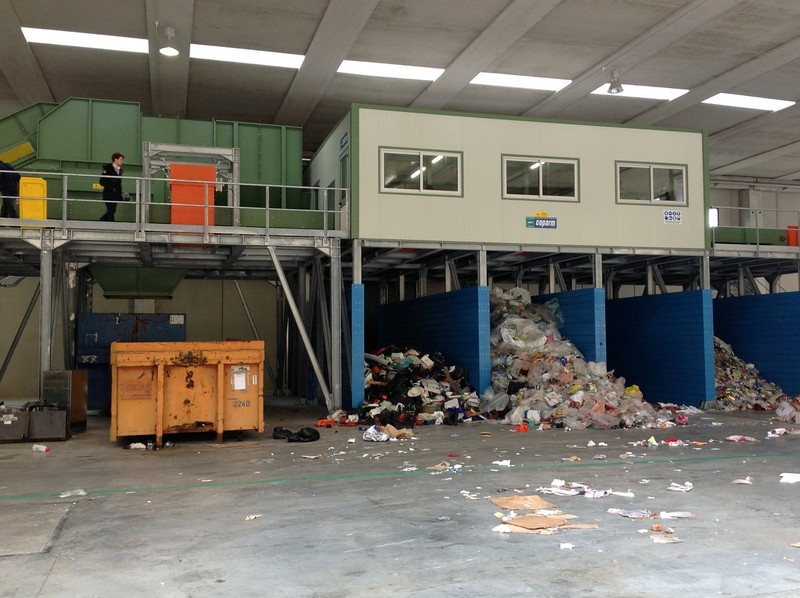 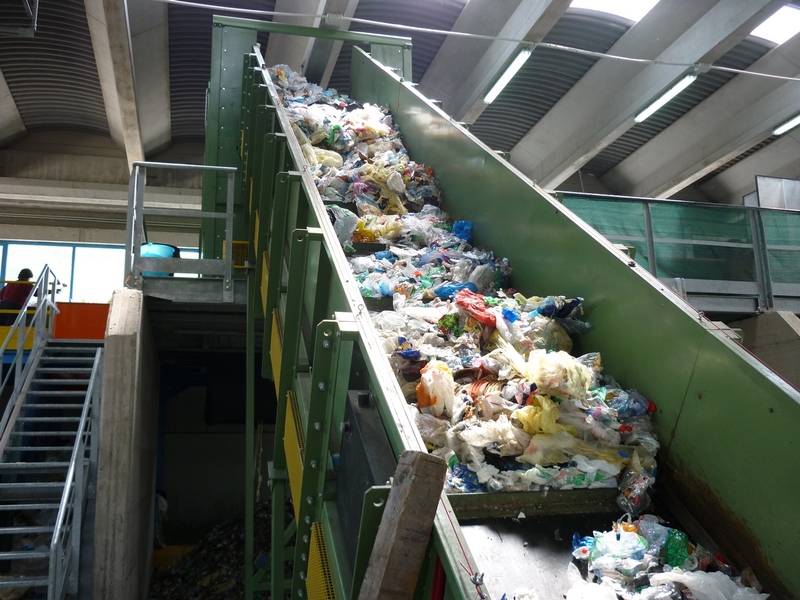 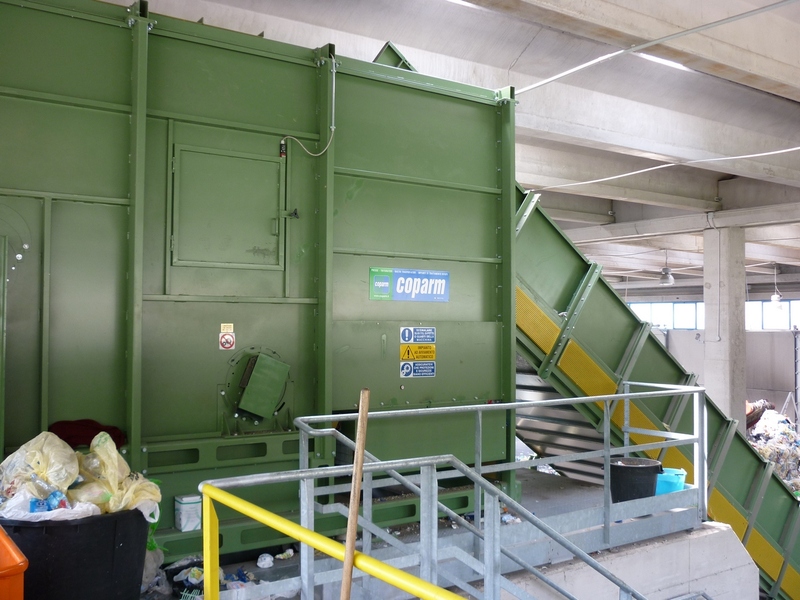 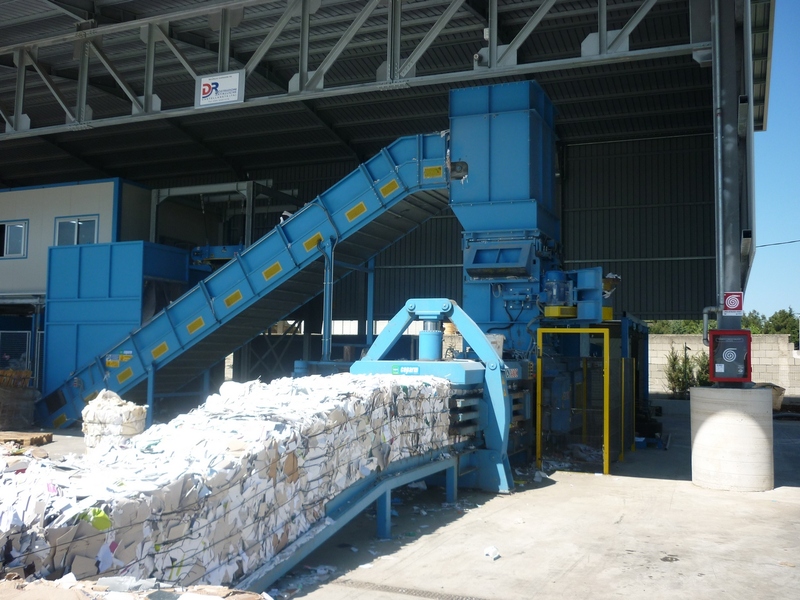 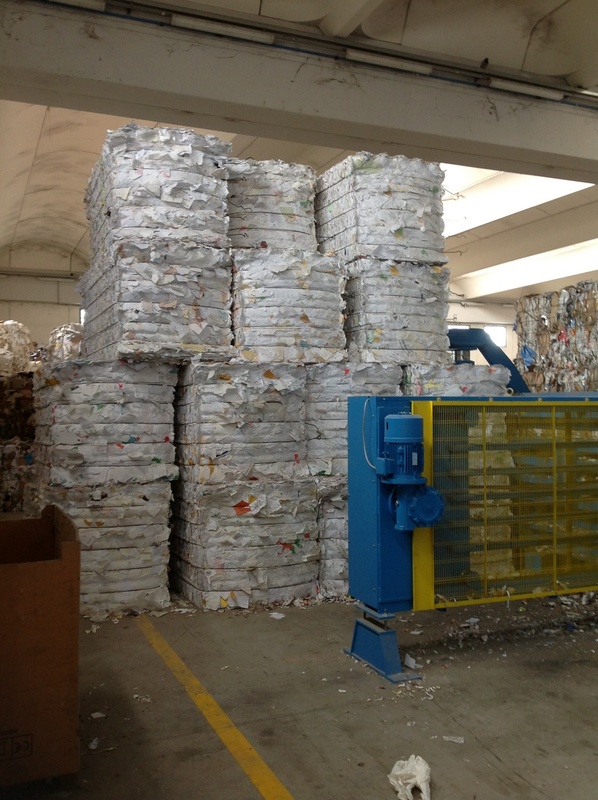 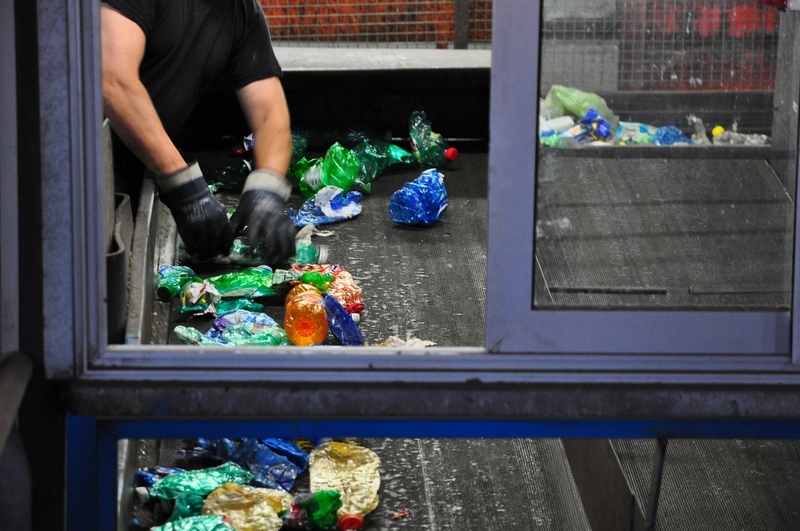 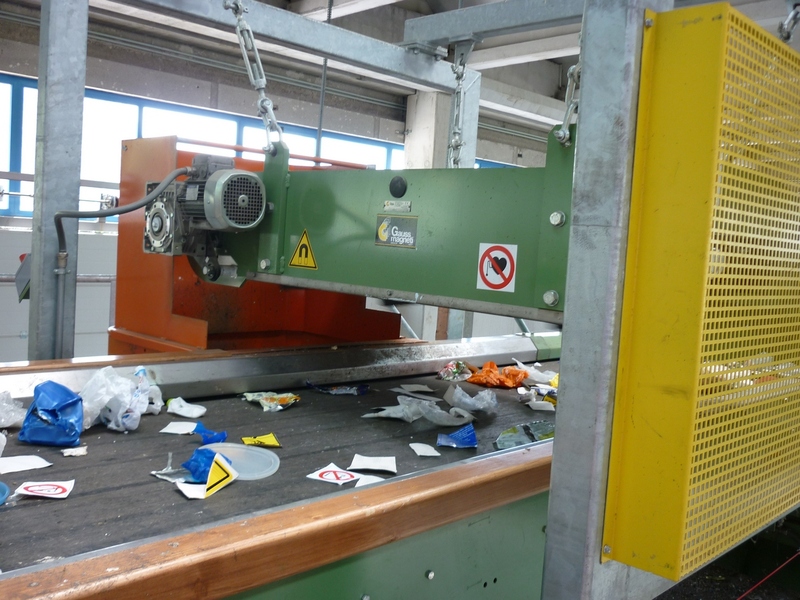 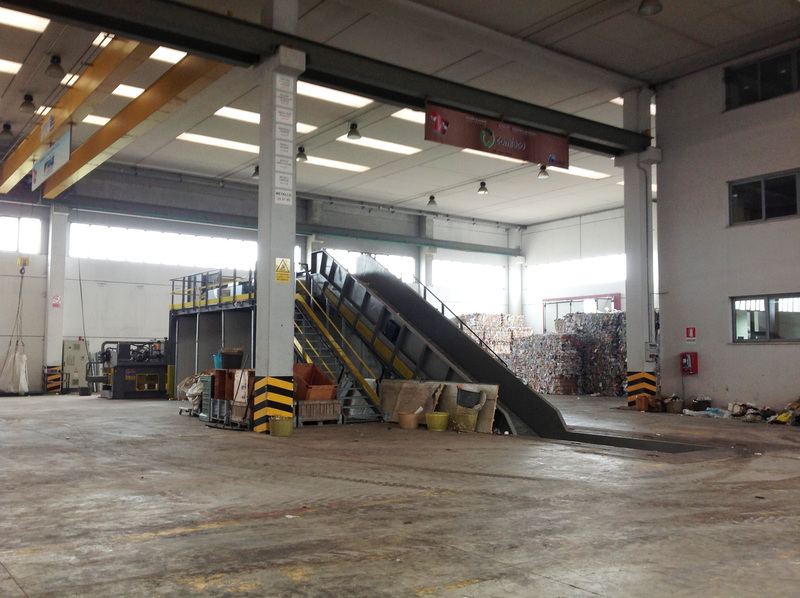 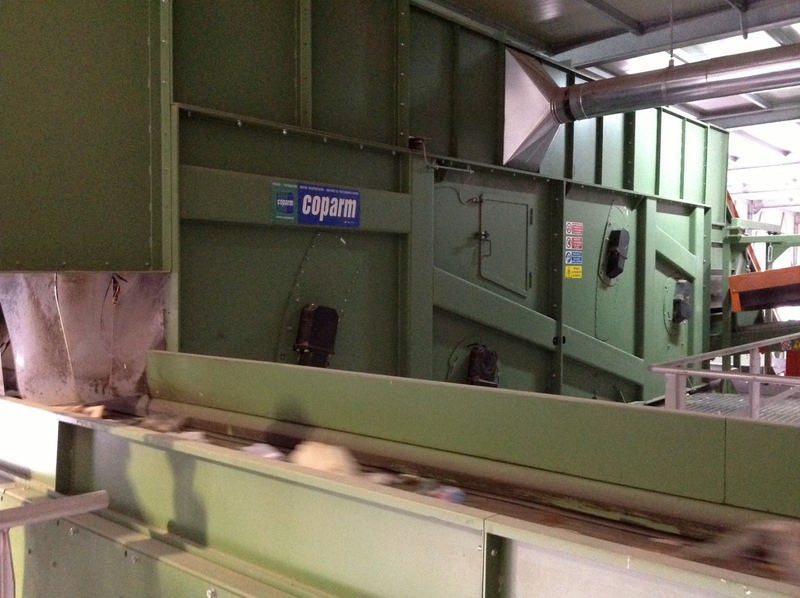 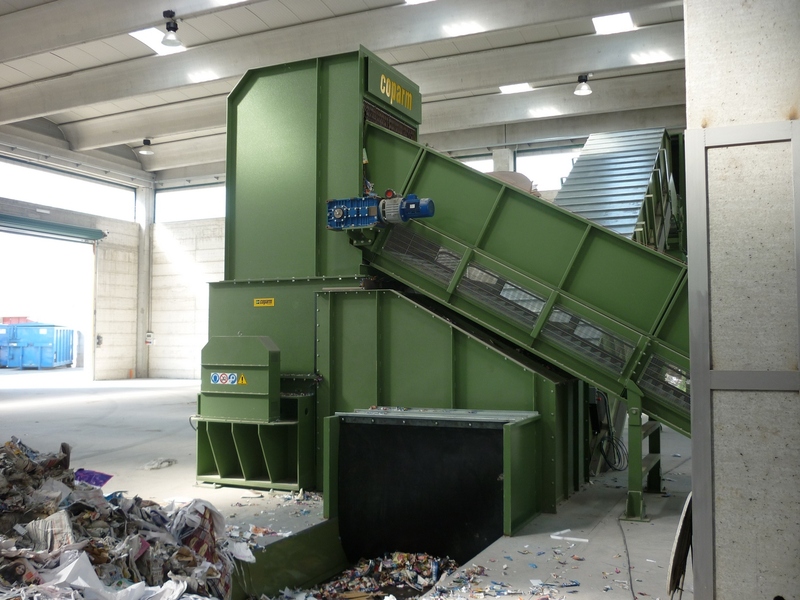 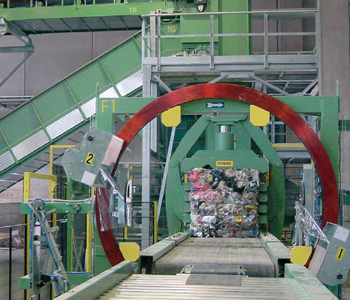 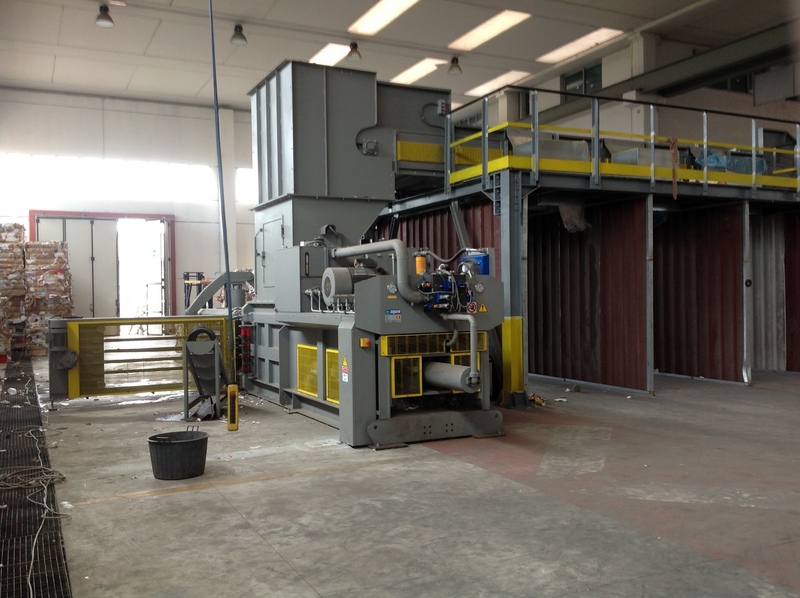 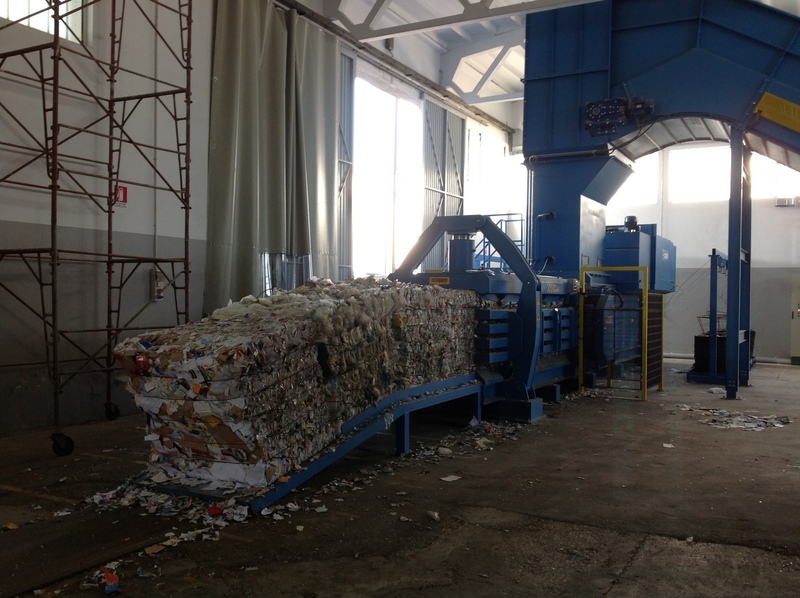 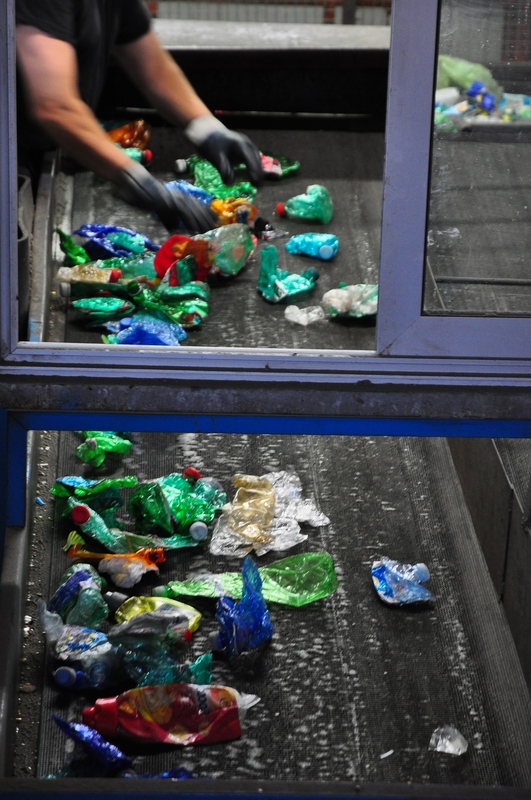 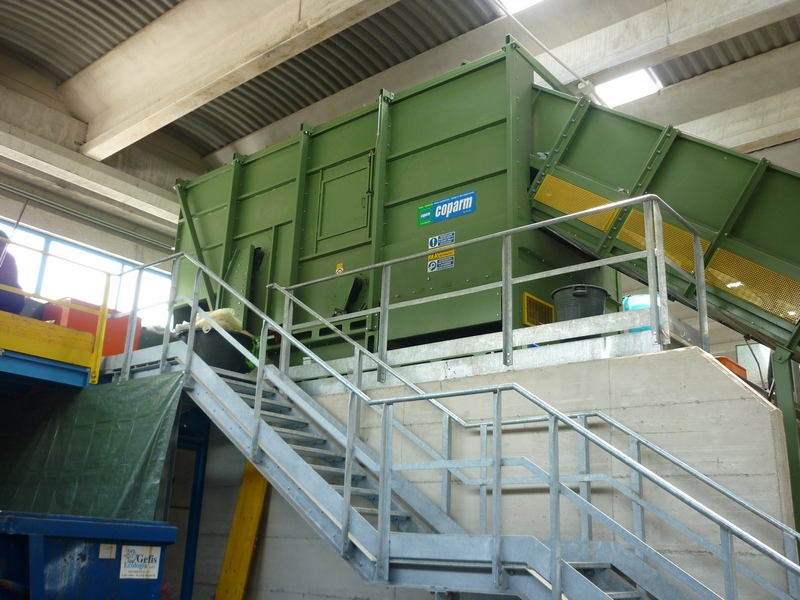 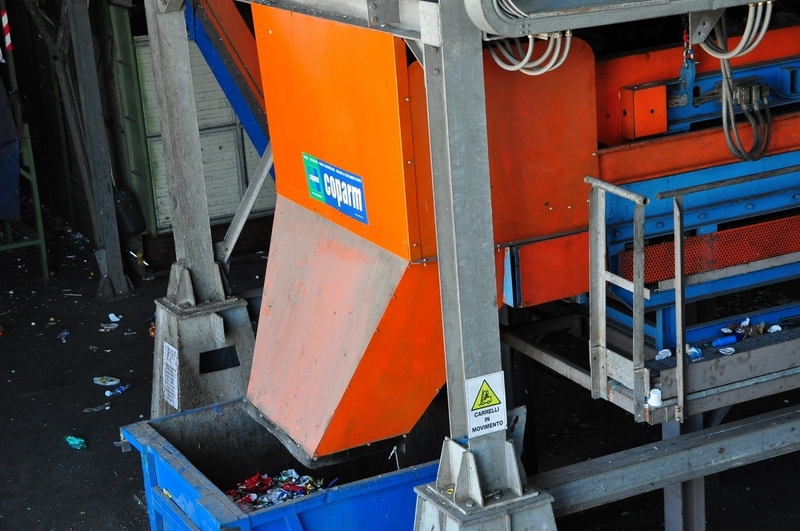 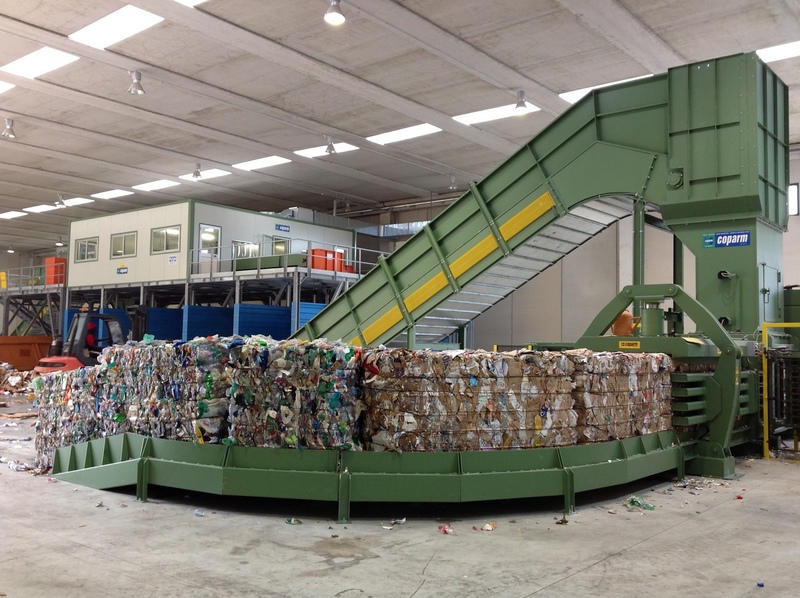 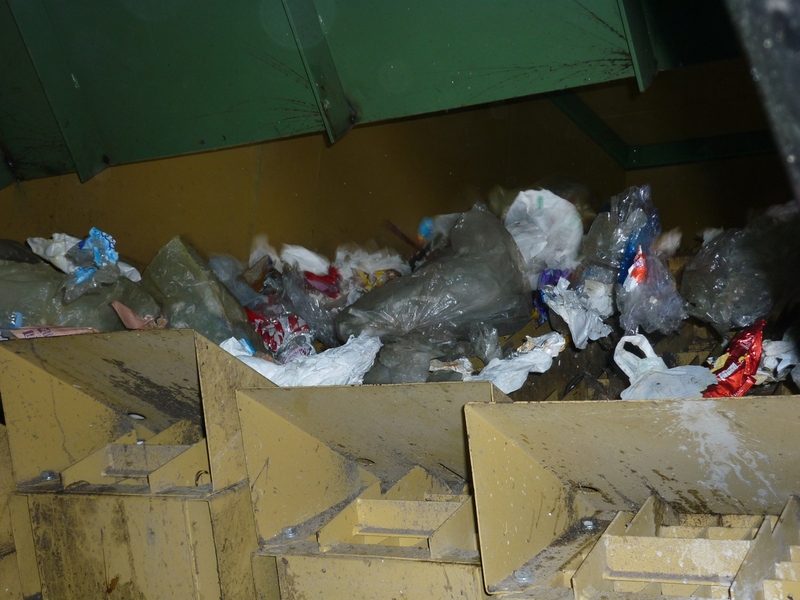 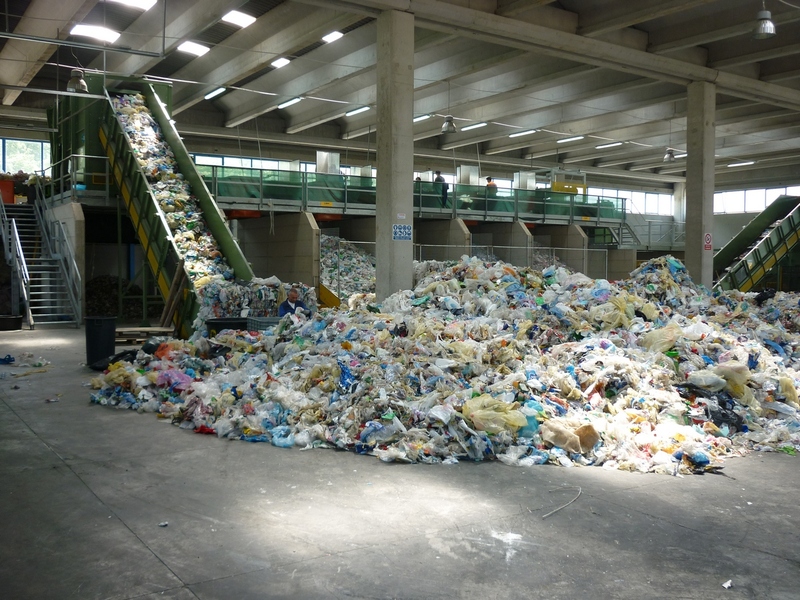 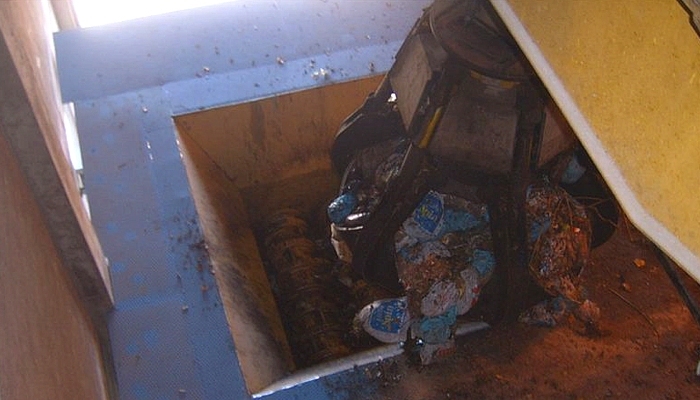 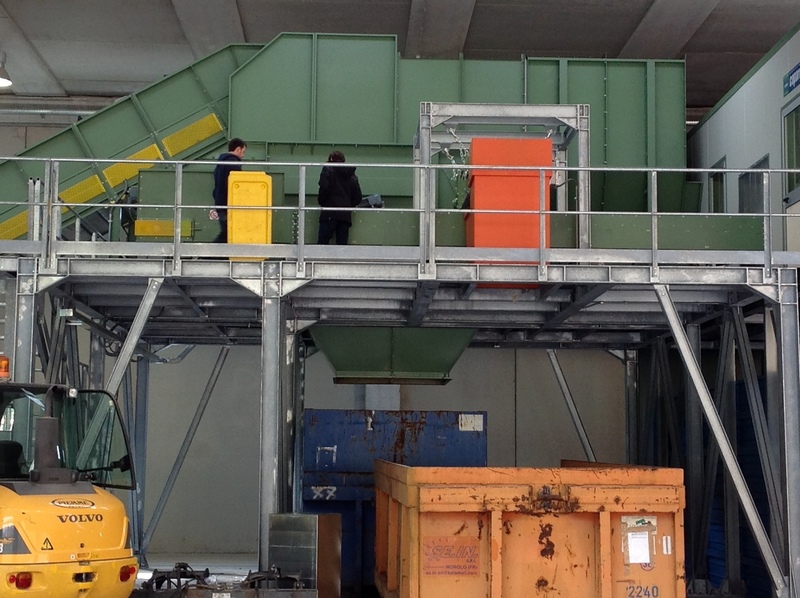 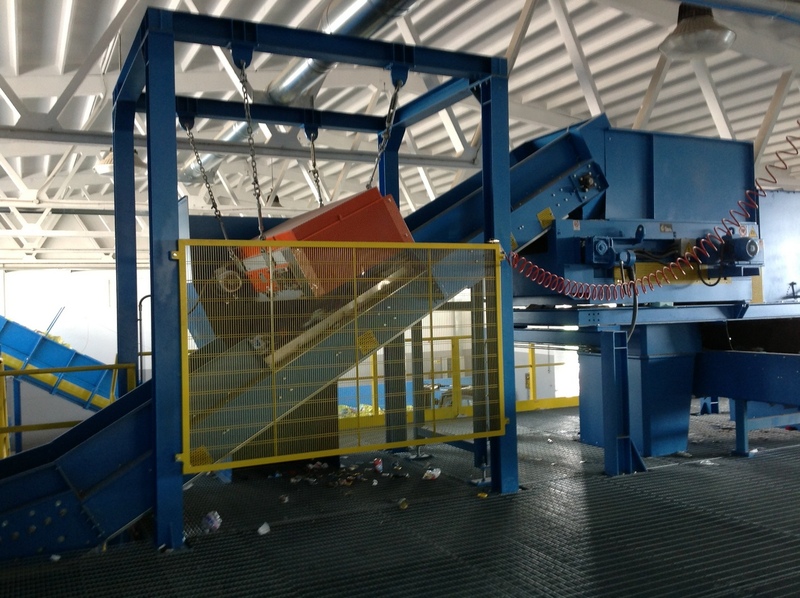 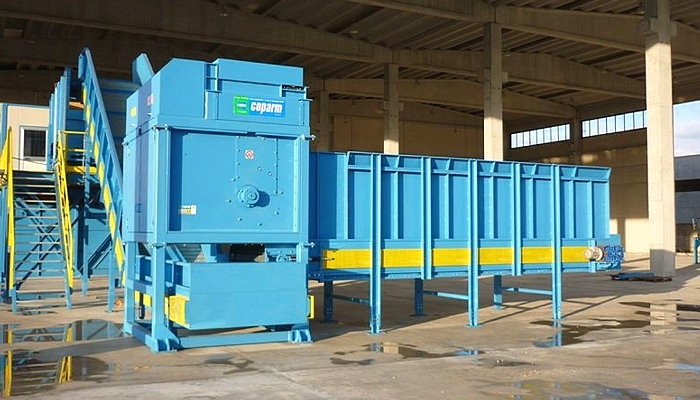 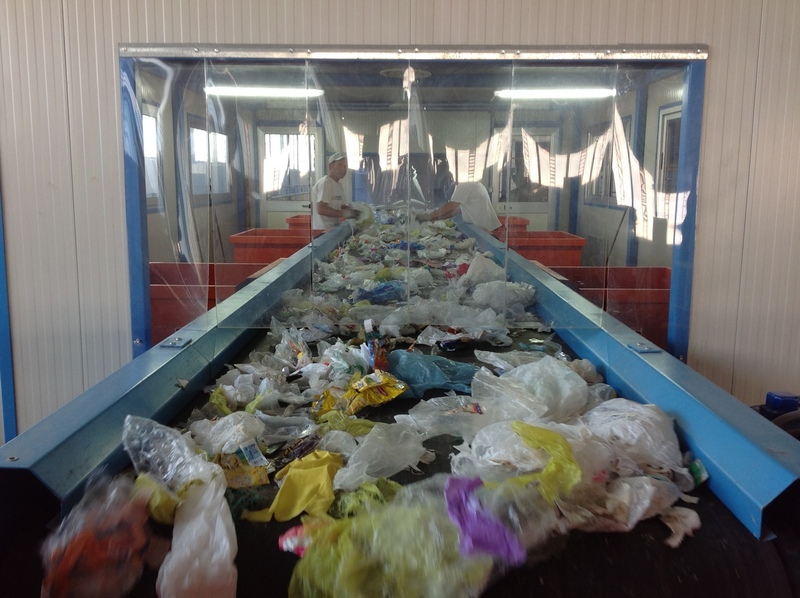 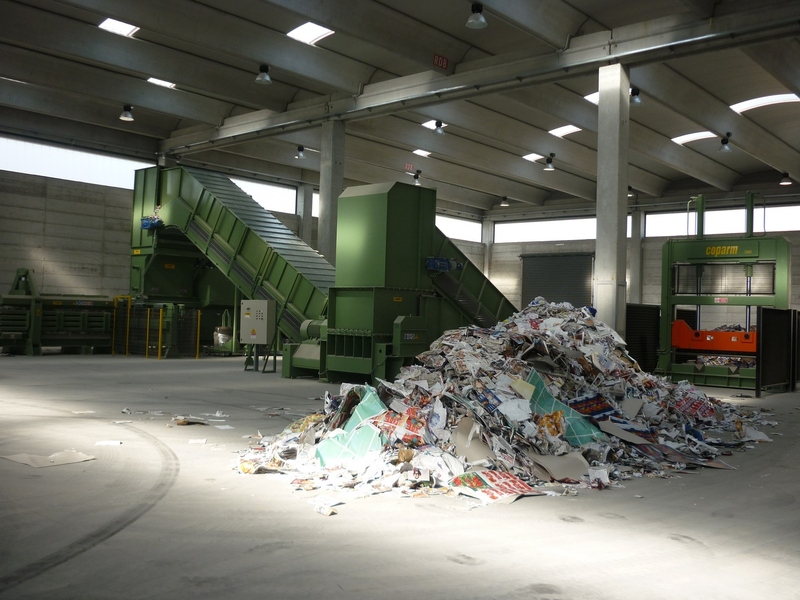 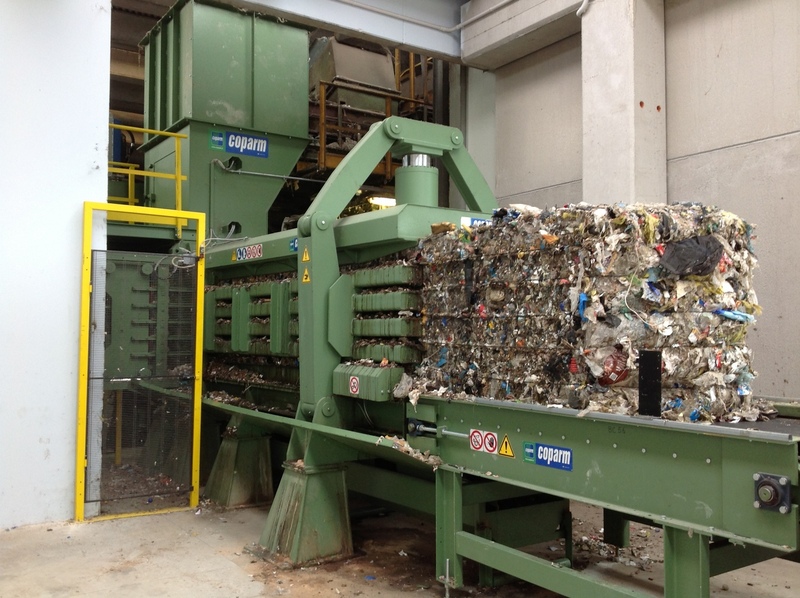 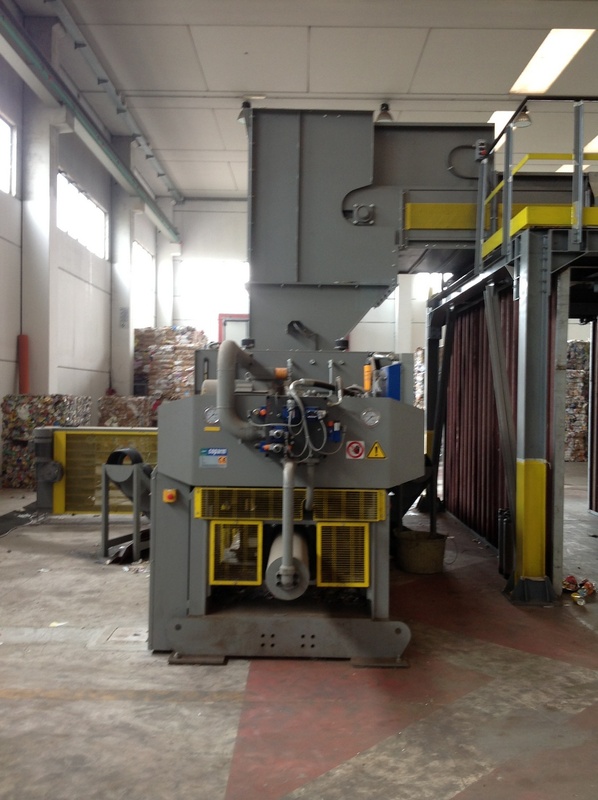 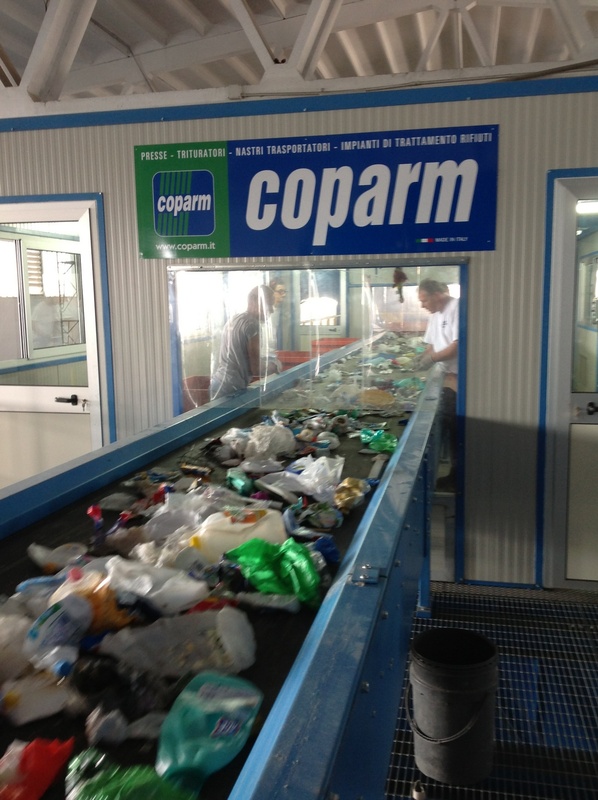 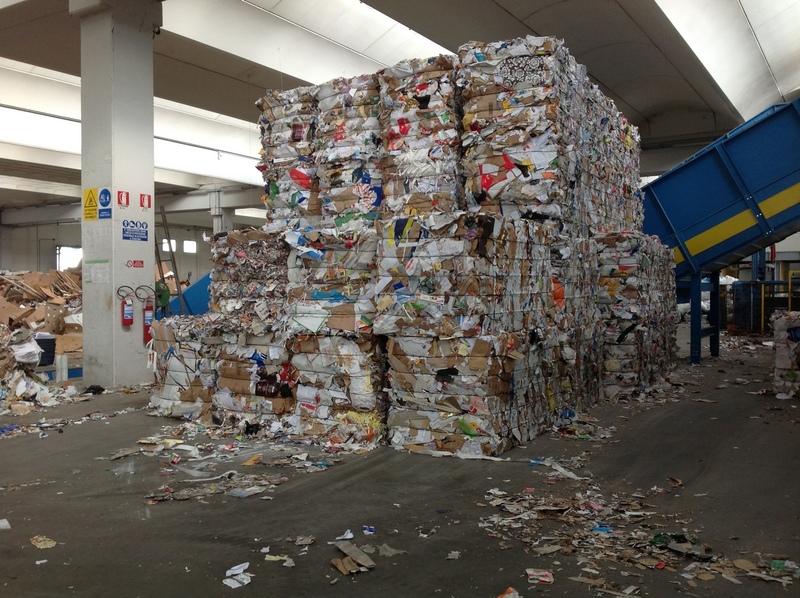 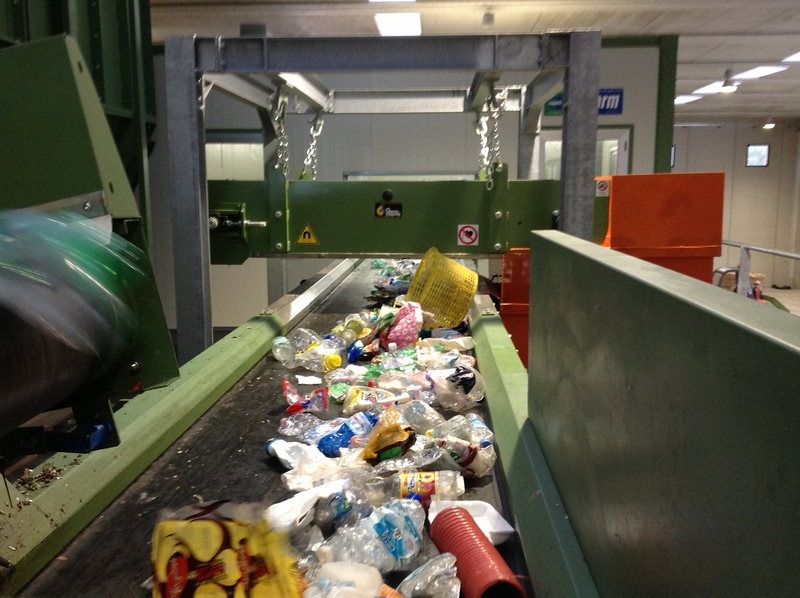 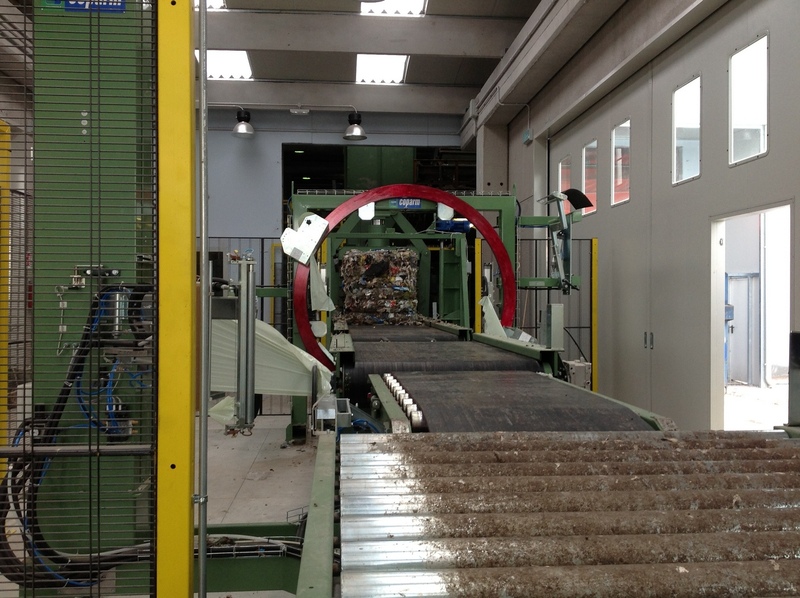 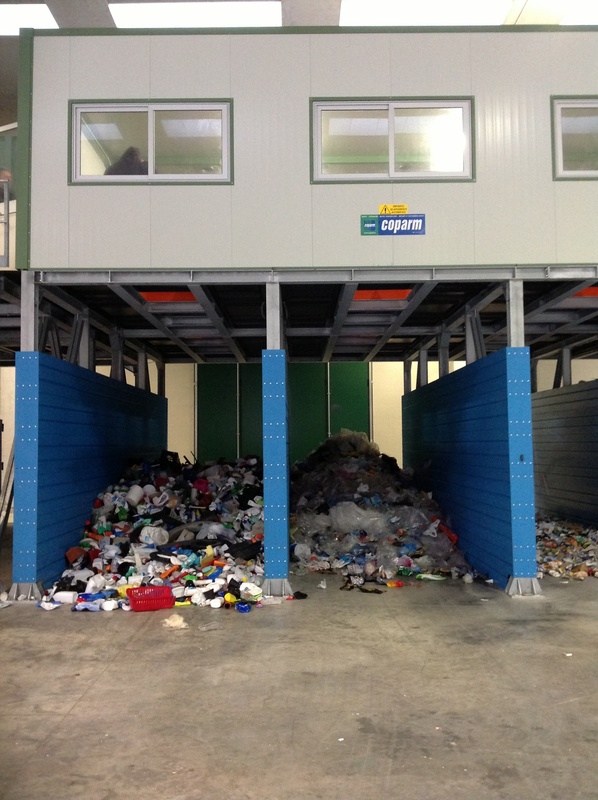 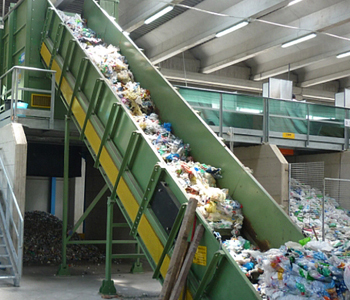 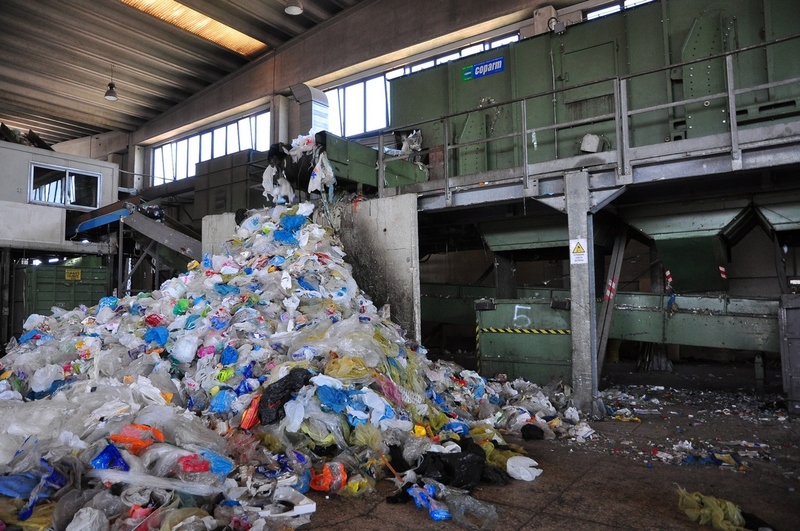 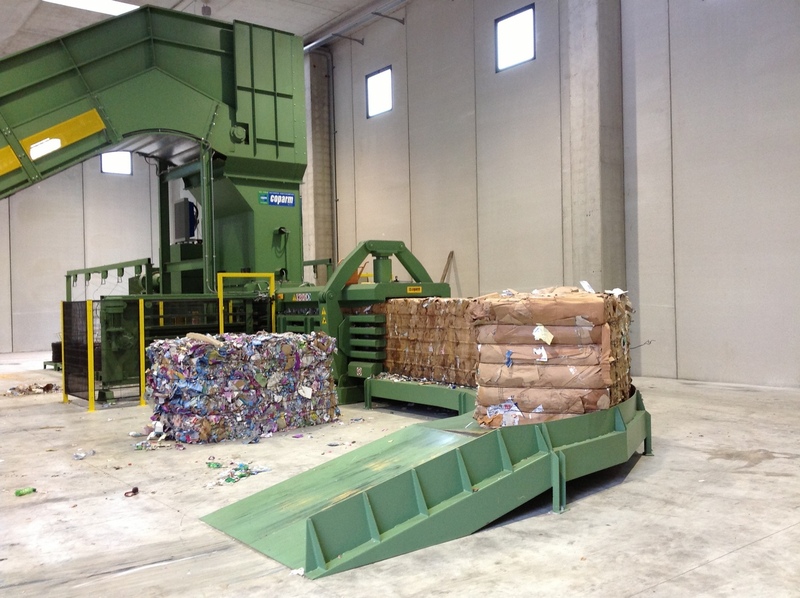 Coparm’s waste bag openers are innovative and specific machine that allows the opening and emptying of bags containing the material, the construction method adopted also allows you to rip and empty 98% of bags introduced without cutting or damaging the contents. 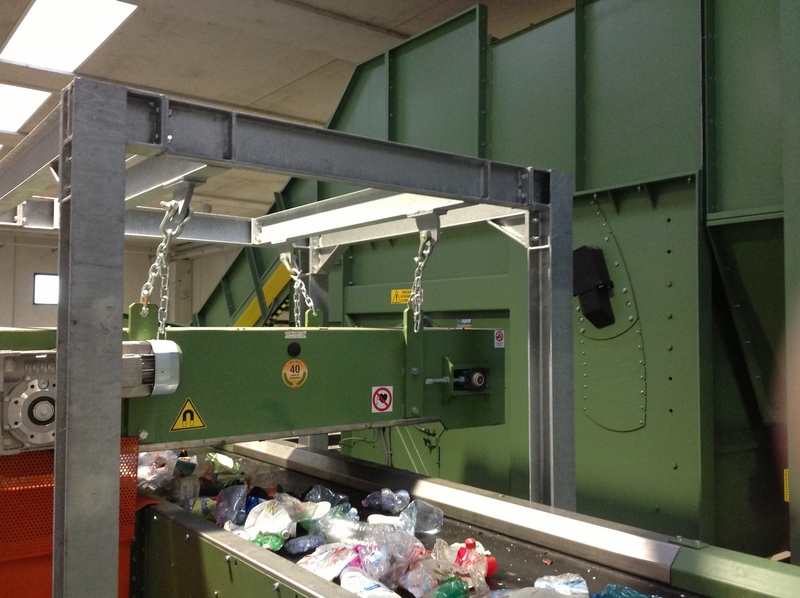 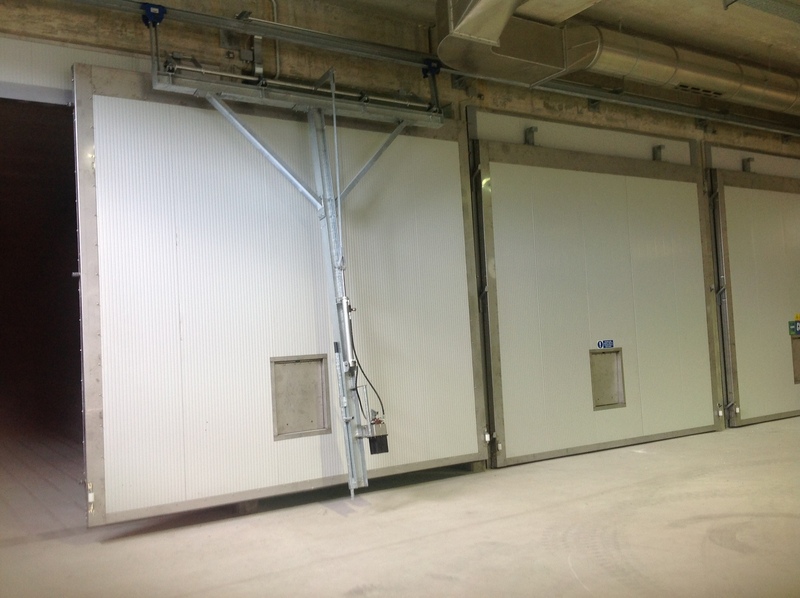 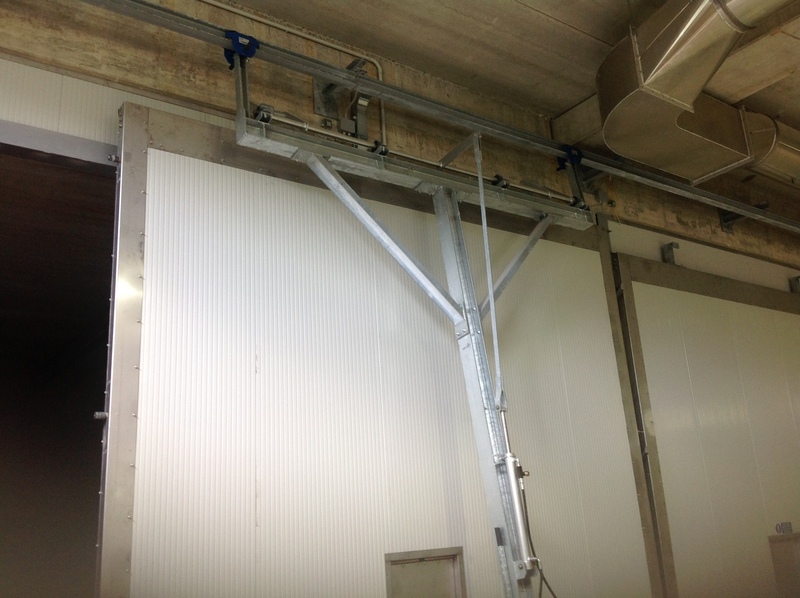 The bag opener ensures optimum opening of bags of different sizes and a constant supply to the following treatments: it is designed as a modular system, easily adaptable to individual needs. The machine turns out to be of great reliability and does not require frequent cleaning operations since equipped with a special system that does not allow the winding of long products (films, holding, VHS tapes, etc. 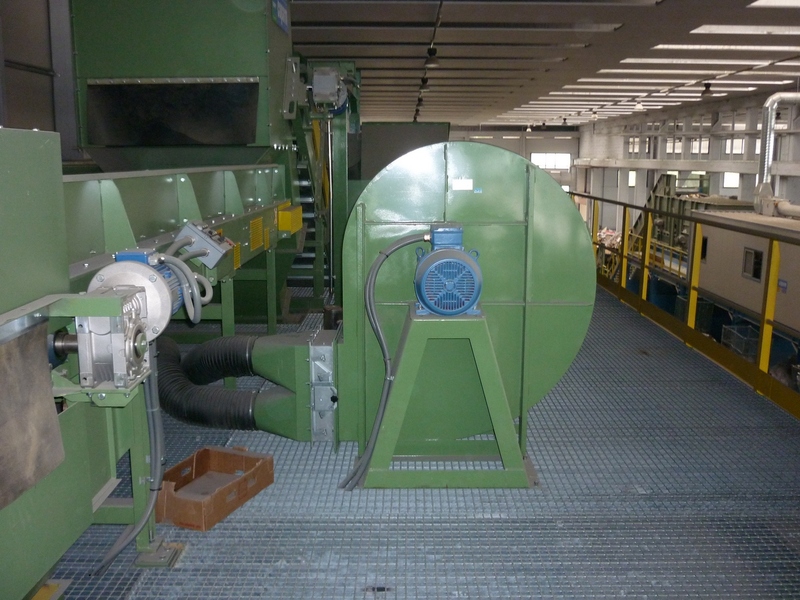 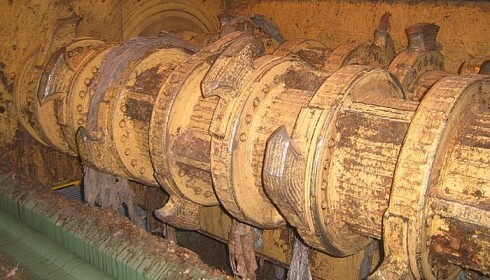 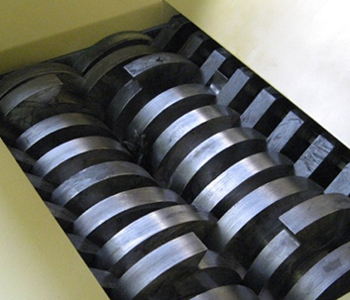 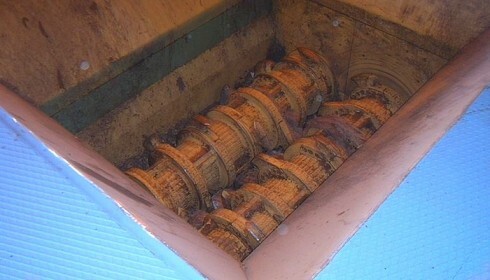 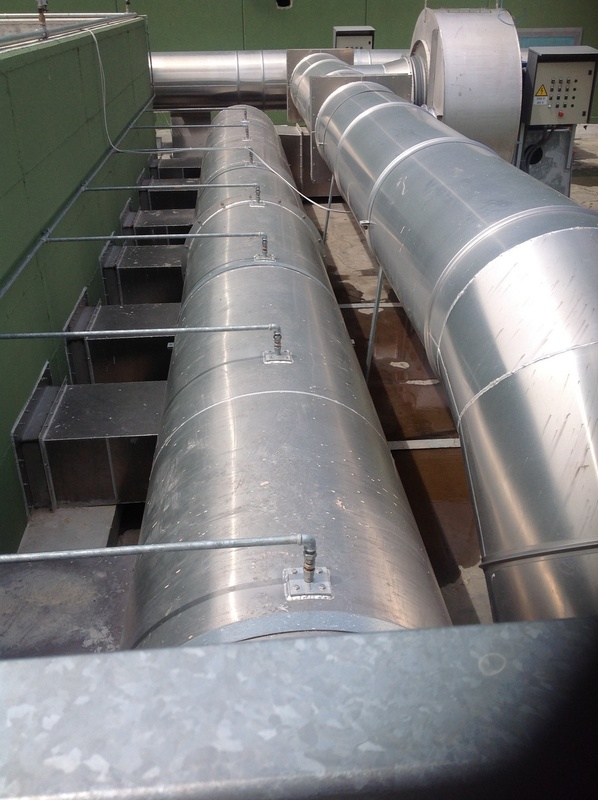 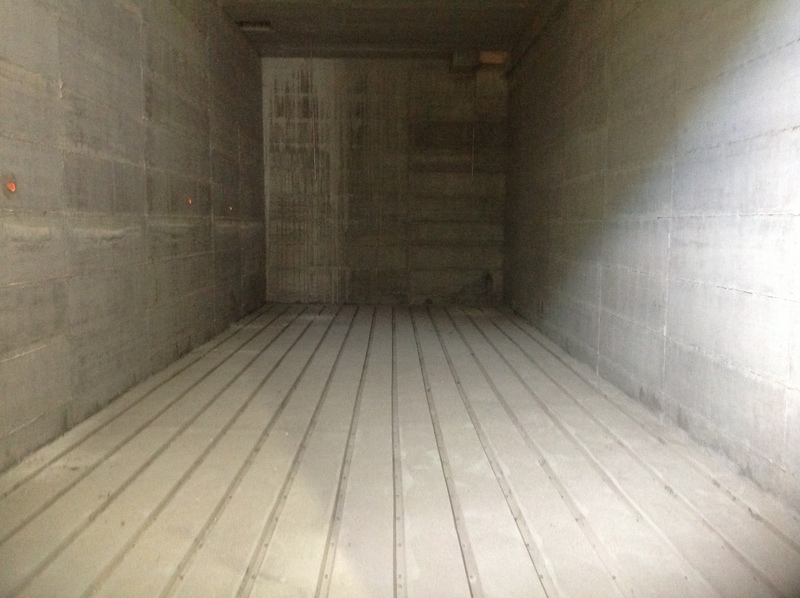 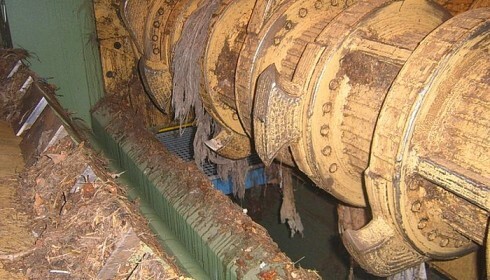 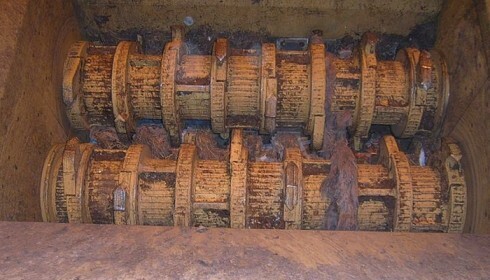 ), around the rotor while keeping the same in conditions of extreme cleanliness. 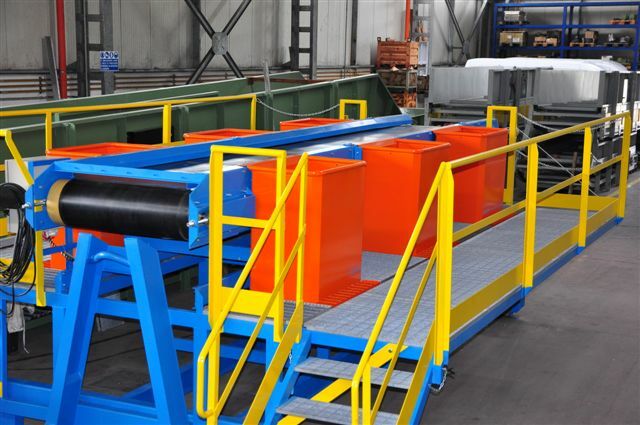 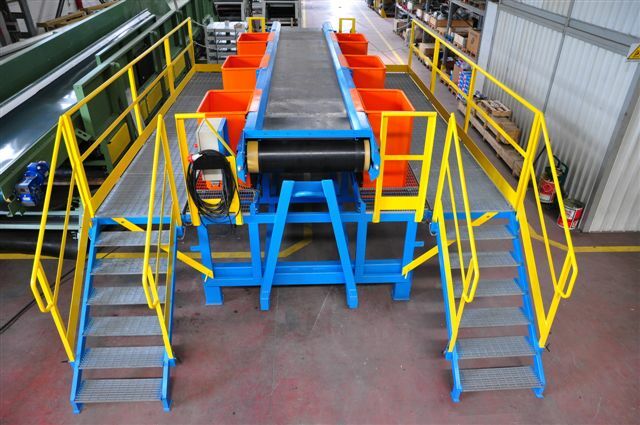 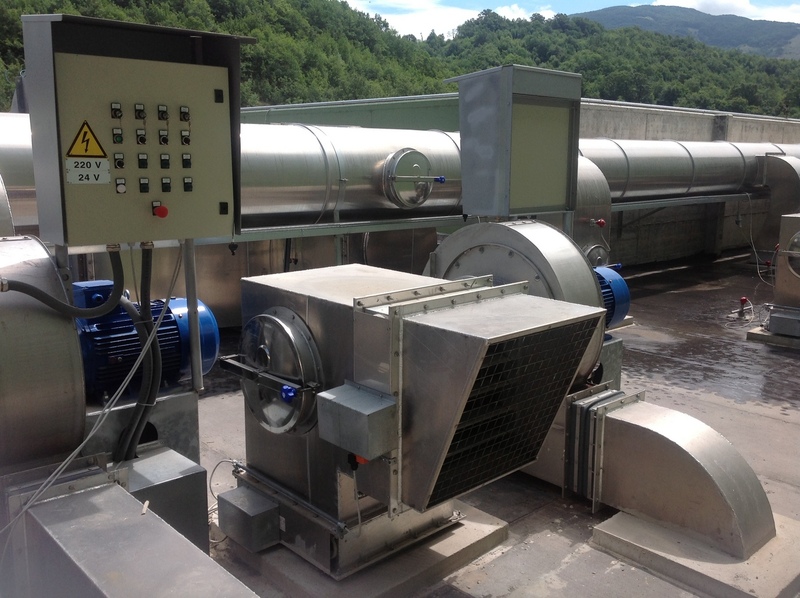 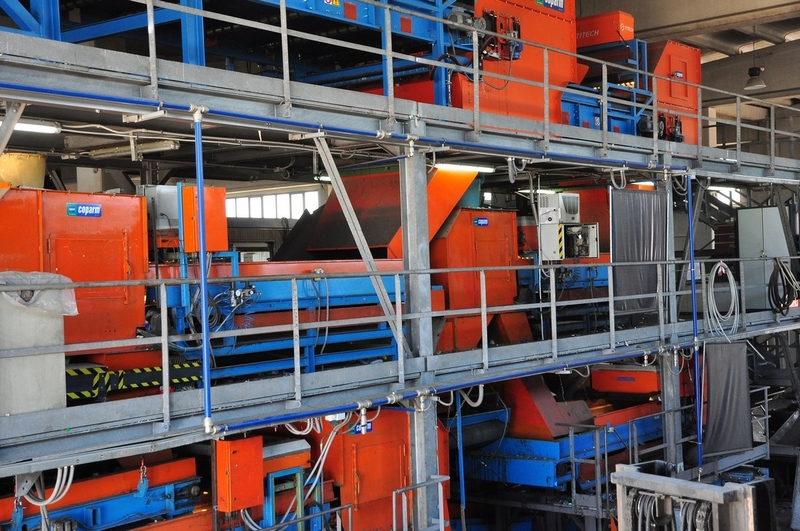 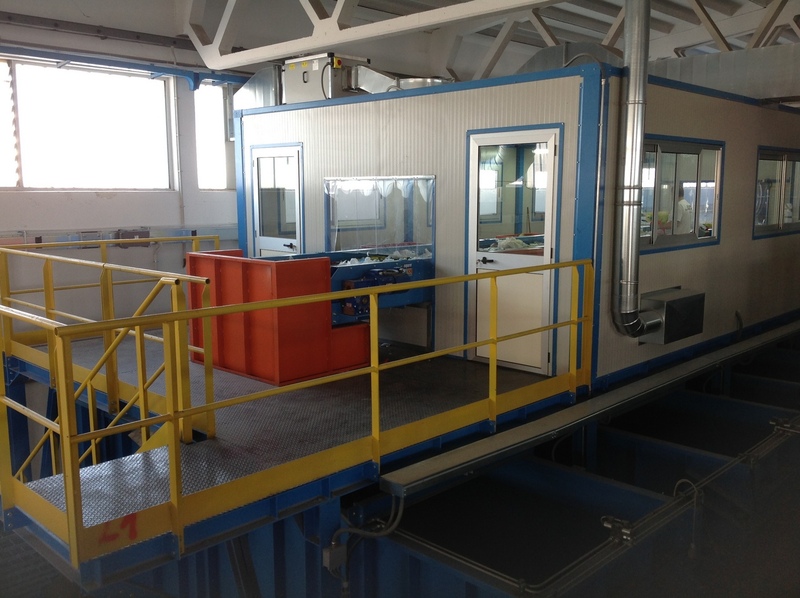 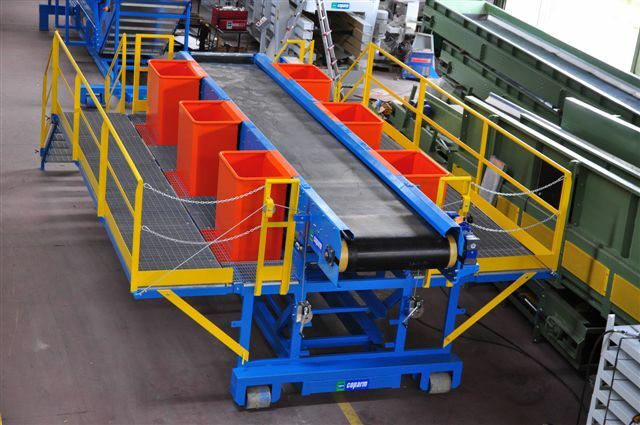 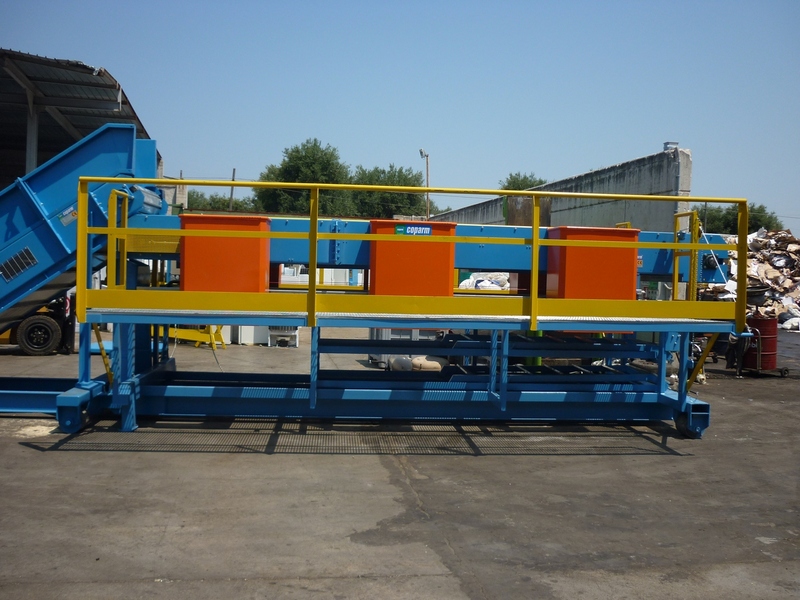 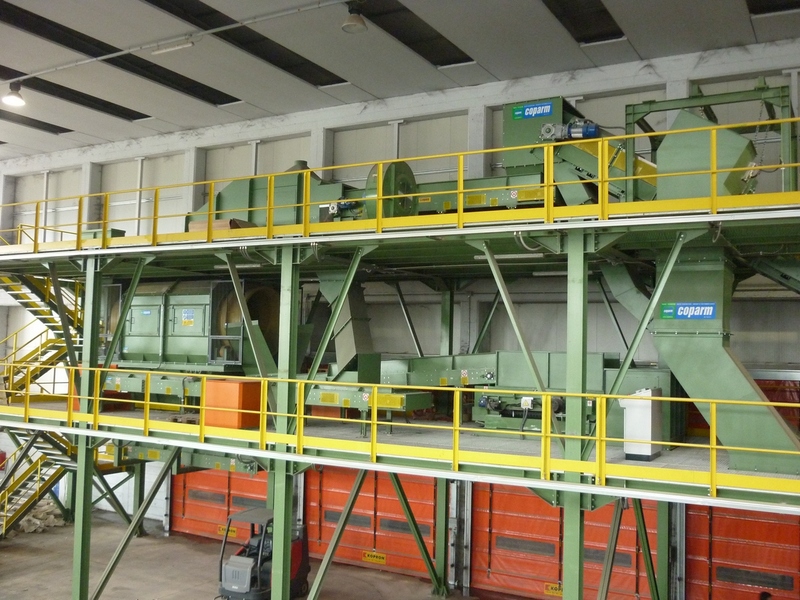 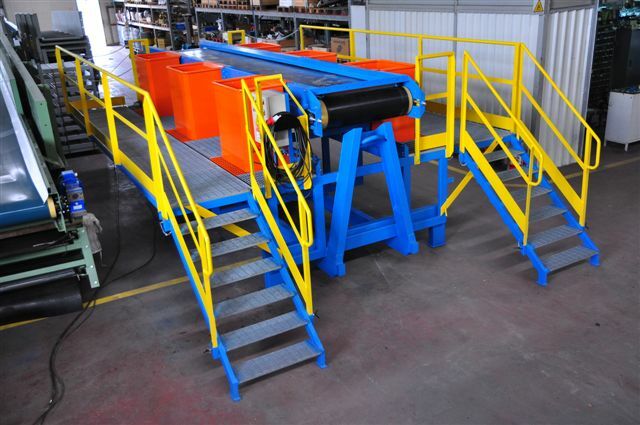 Furthermore, the conformation of the machine is such as to ensure the feeding of the downstream plants in an adjustable manner and constant, ensuring for this constancy of production. 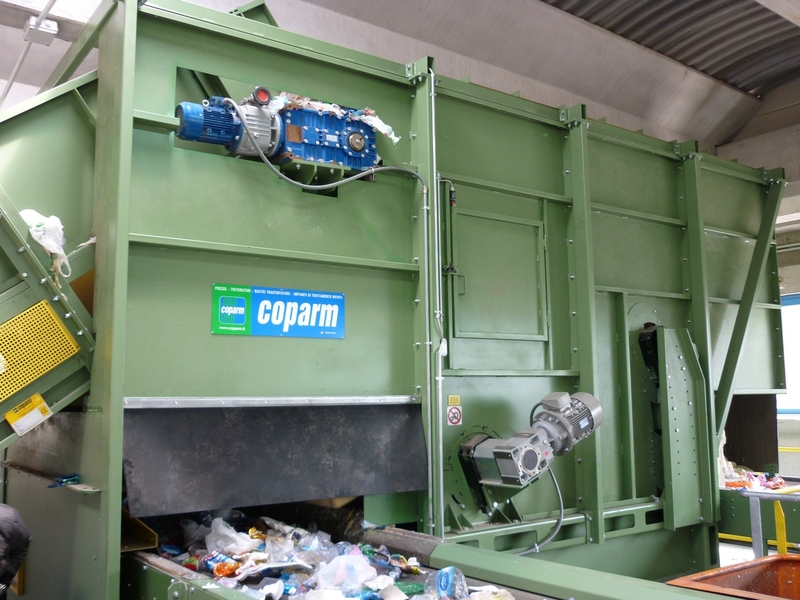 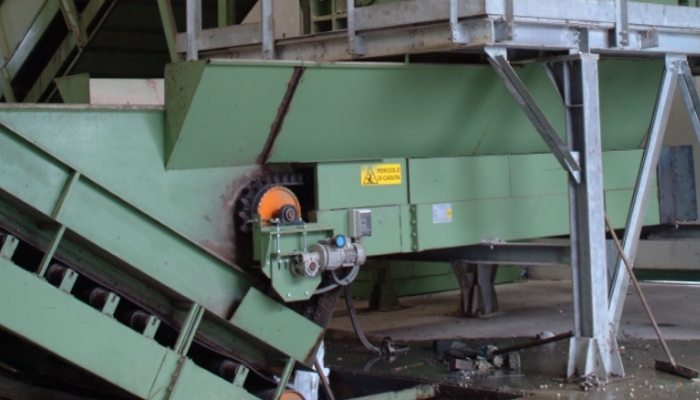 Coparm’s bag openers , have electro-hydraulic counter-rotating rotors and are constituted by a grinding chamber in sturdy electro-welded structure appropriately sized rotors grinding, inserts cleaners, large planetary gears, support stand and feed hopper. 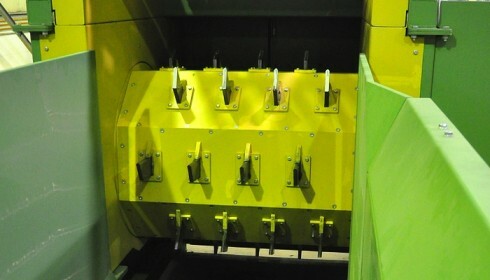 The criterion of operation allows these bag openers work with the rotors in counter sense and vice versa. 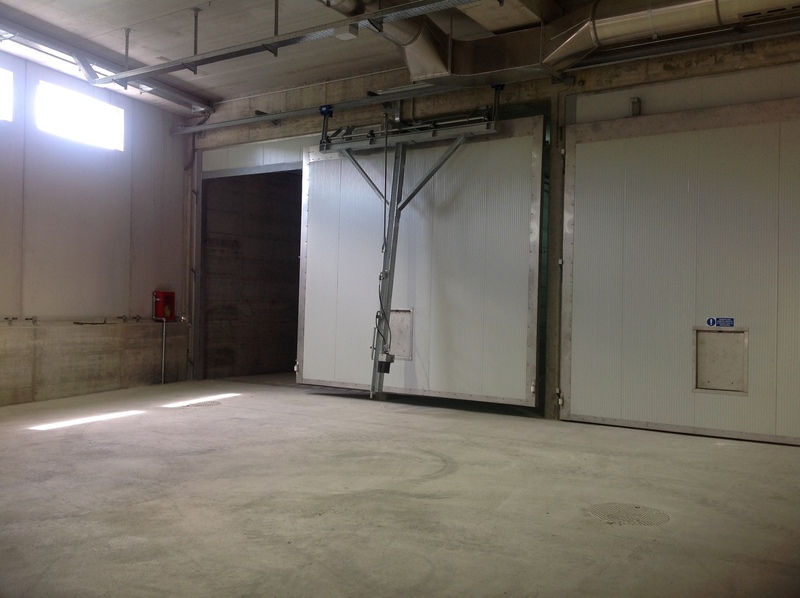 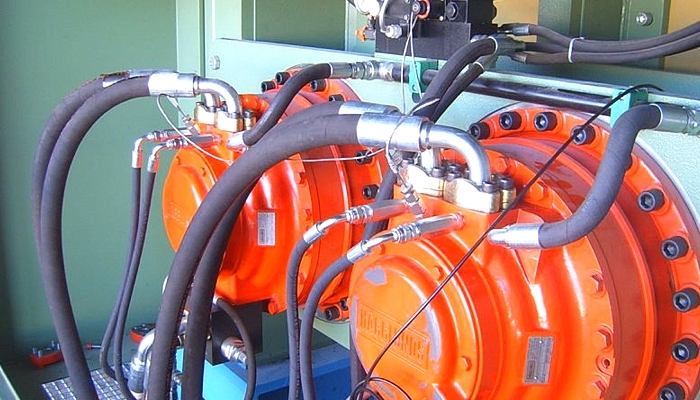 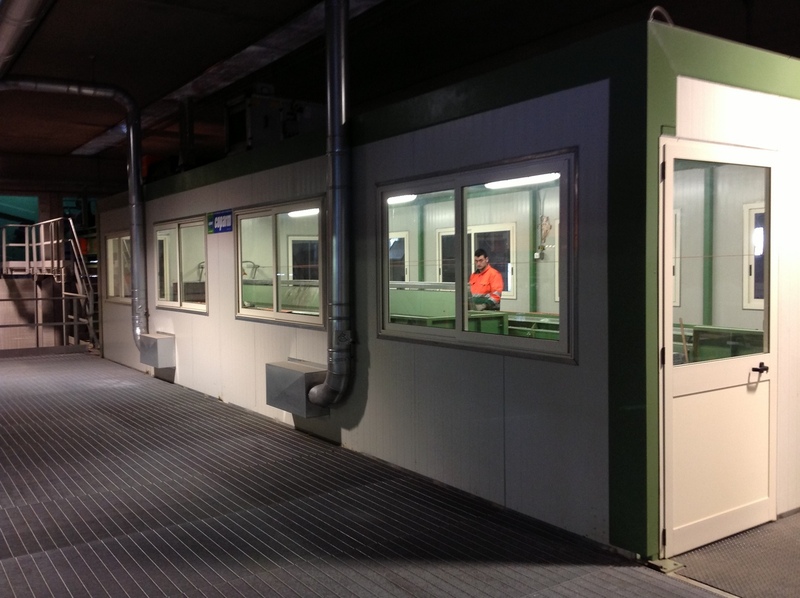 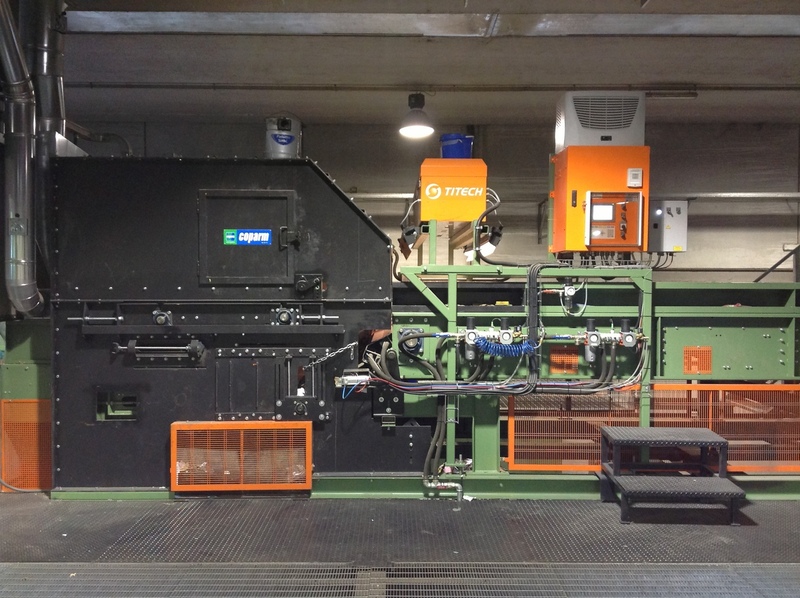 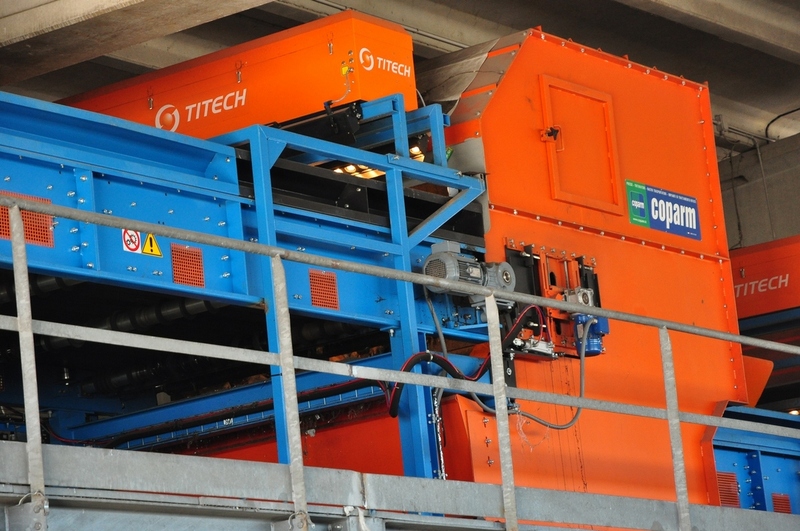 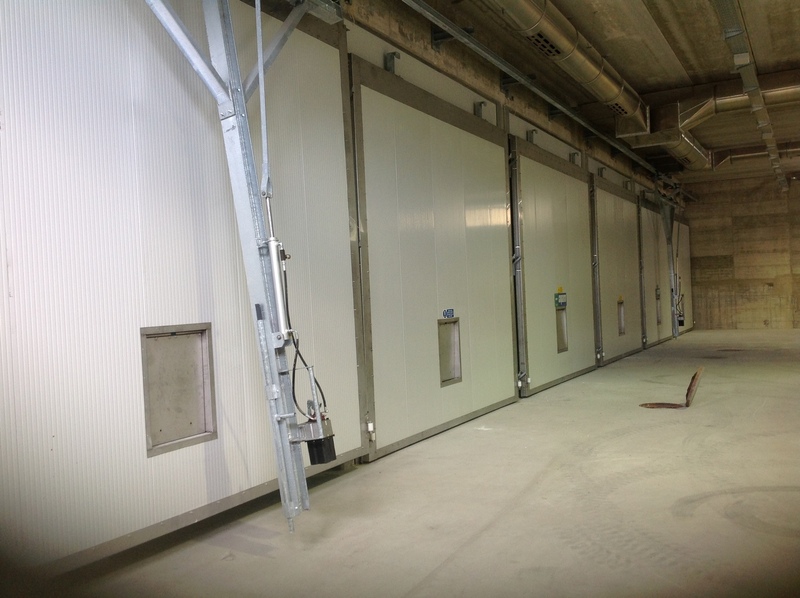 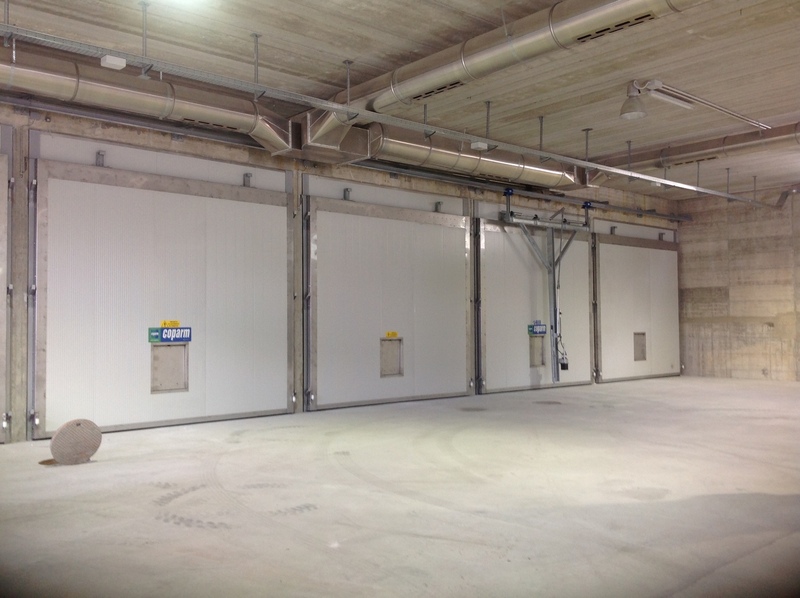 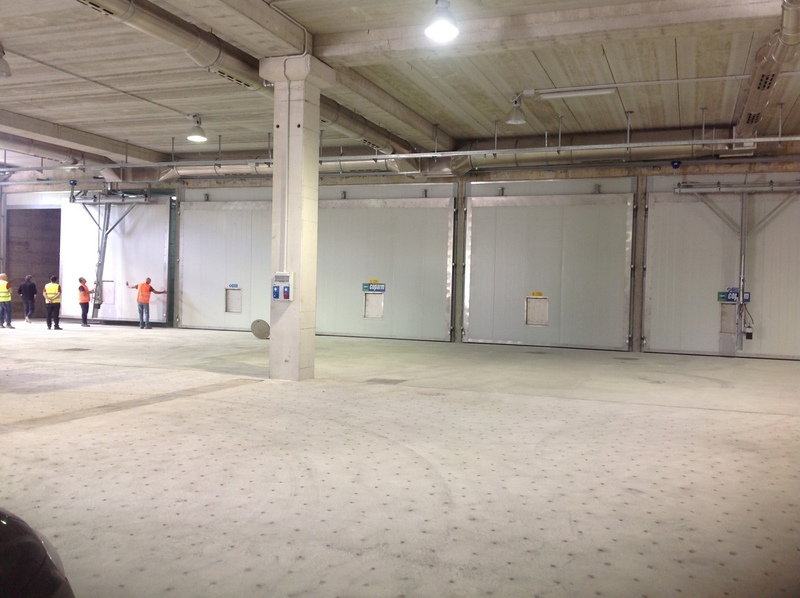 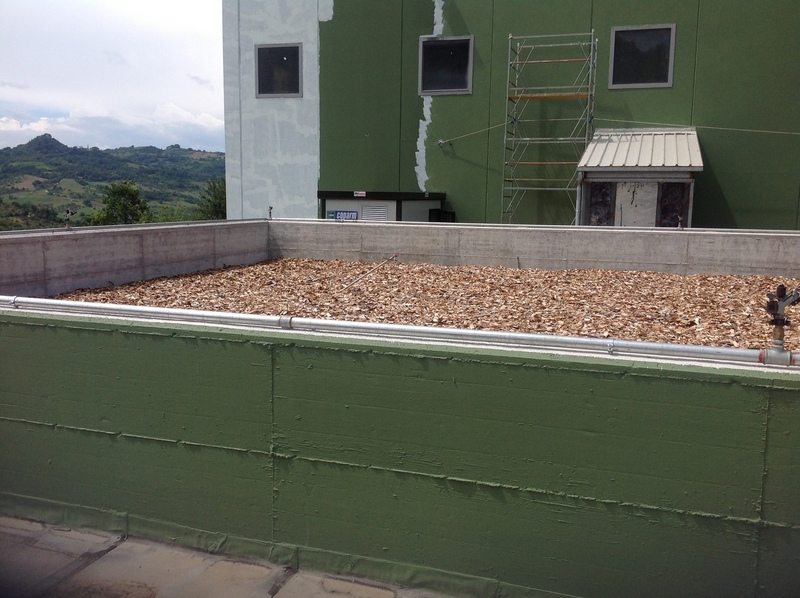 The essential feature of these applications is certainly the sturdiness which together with the large values of torque applied to trees and to a sophisticated electronic control system pressures, make these machines a reliable and highly productive. 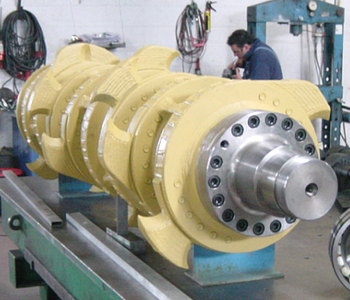 The rotors are equipped with which these machines are made of alloy steel of prime quality. 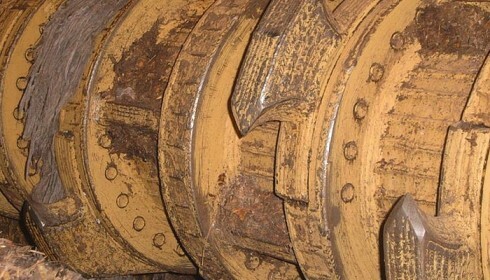 Their shape, thickness, and number of knoves are defined in function of the material to be treated and of the size required at the exit. 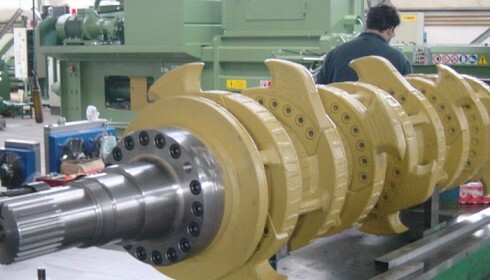 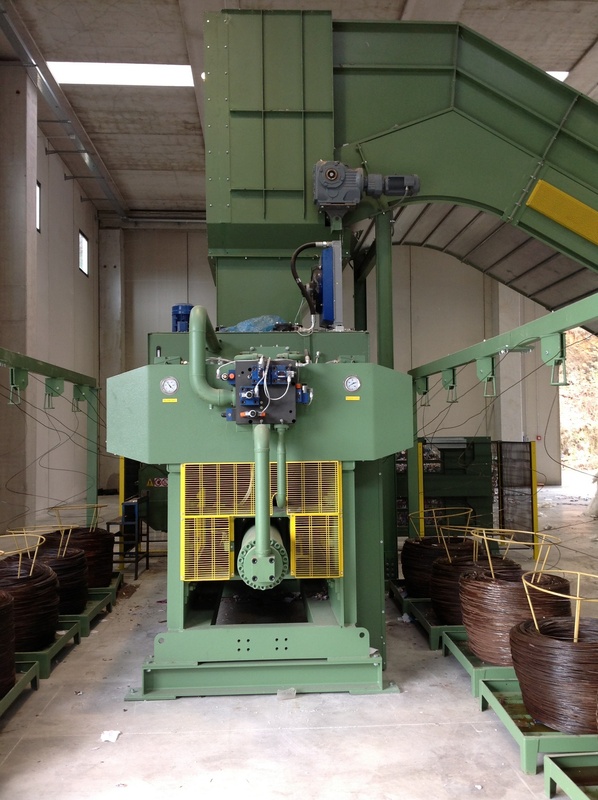 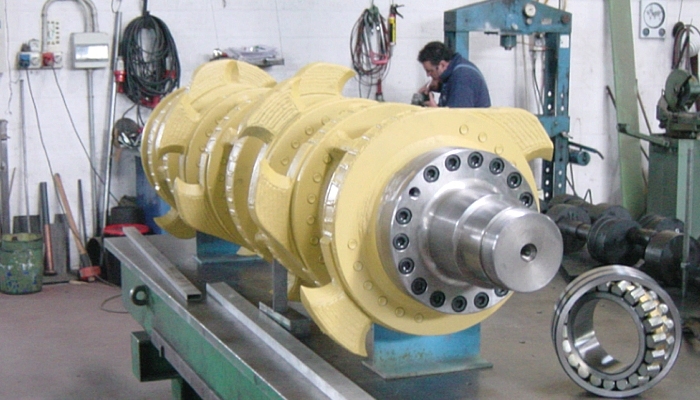 The control system of the machine is able to adjust the pressure up to a maximum value, adjusted by the manufacturer, to the above which intervenes a safety function which reverses the direction of rotation of the rotors to reject the materials too tenacious. 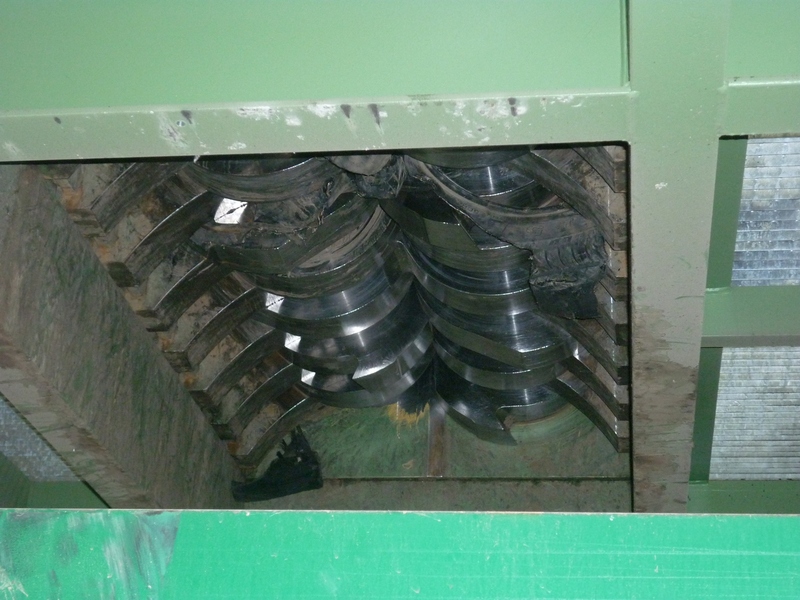 The machine can work with the rotors in clockwise and counterclockwise. 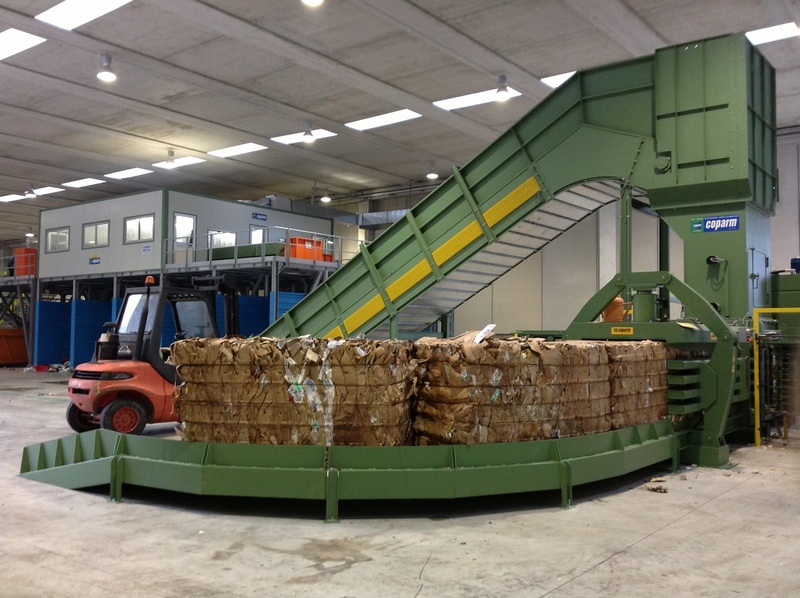 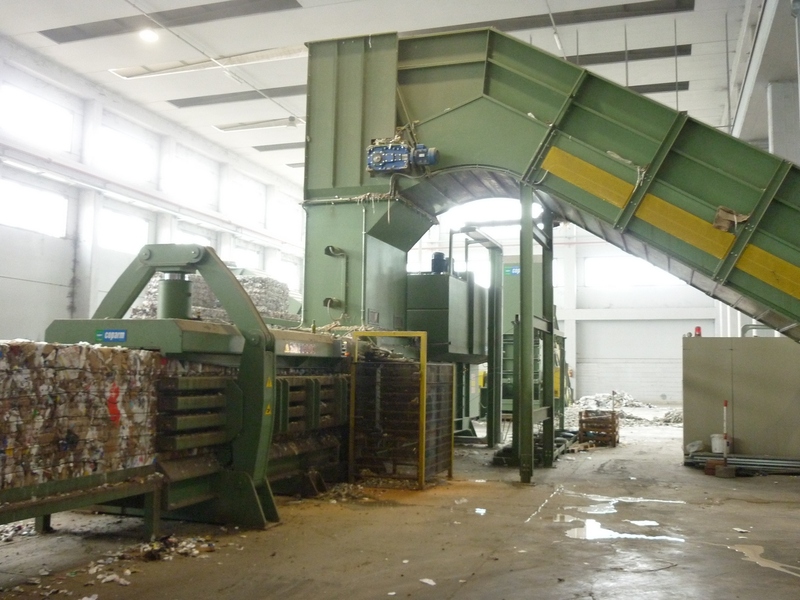 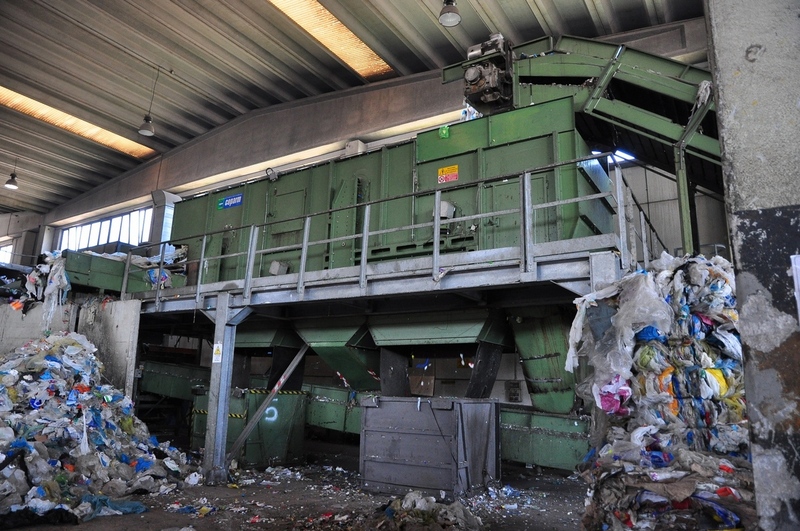 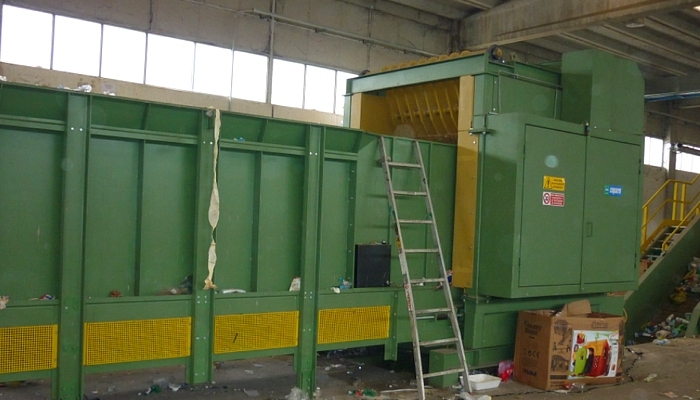 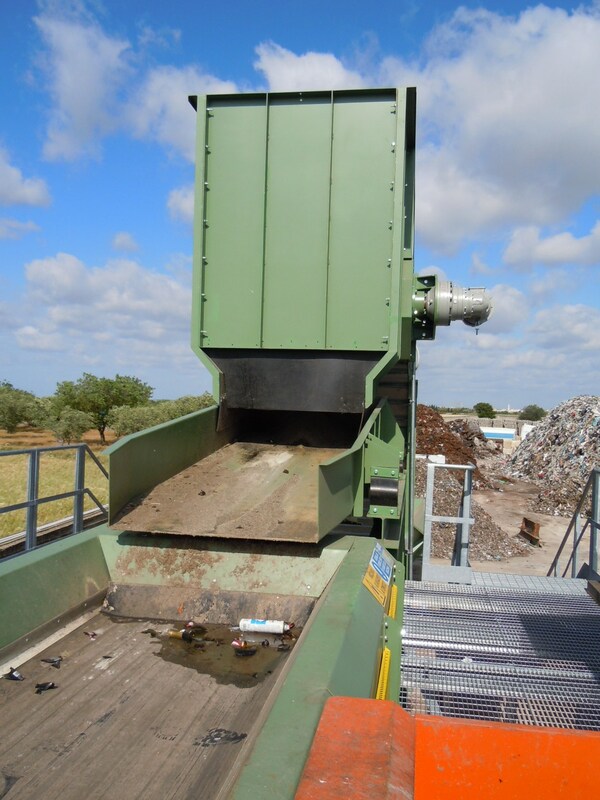 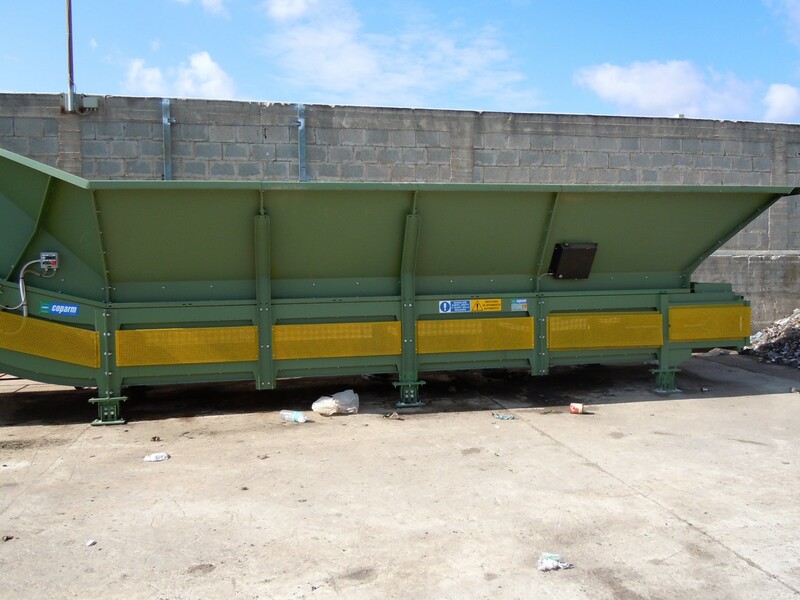 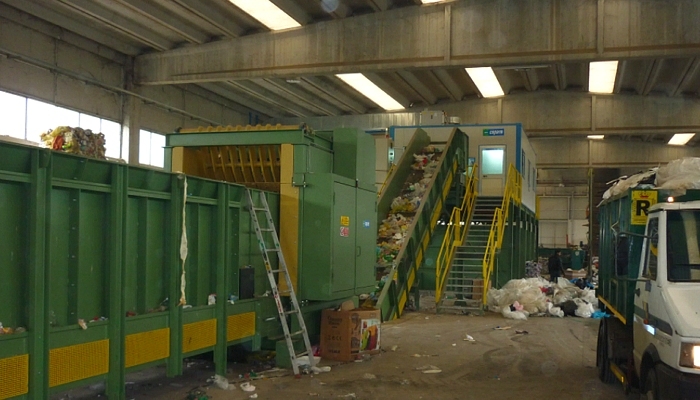 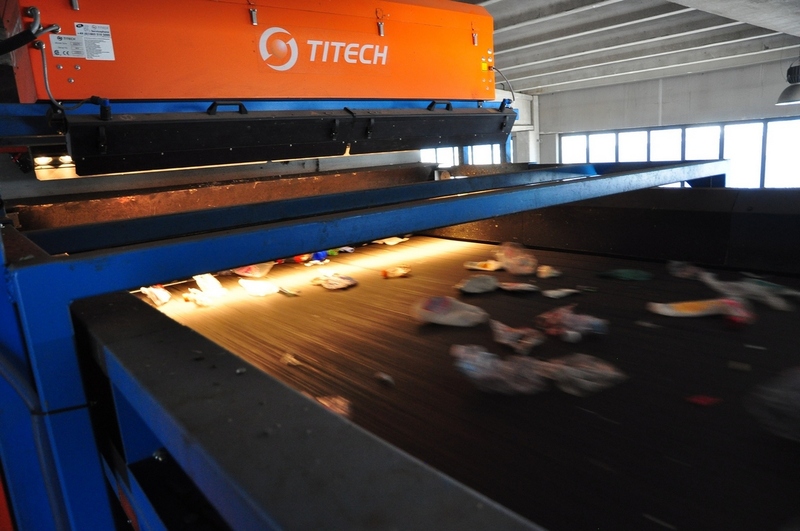 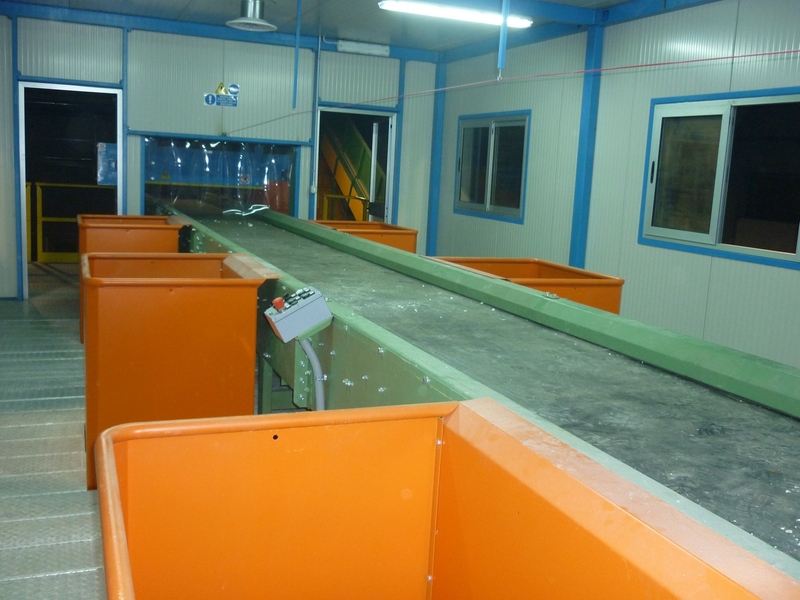 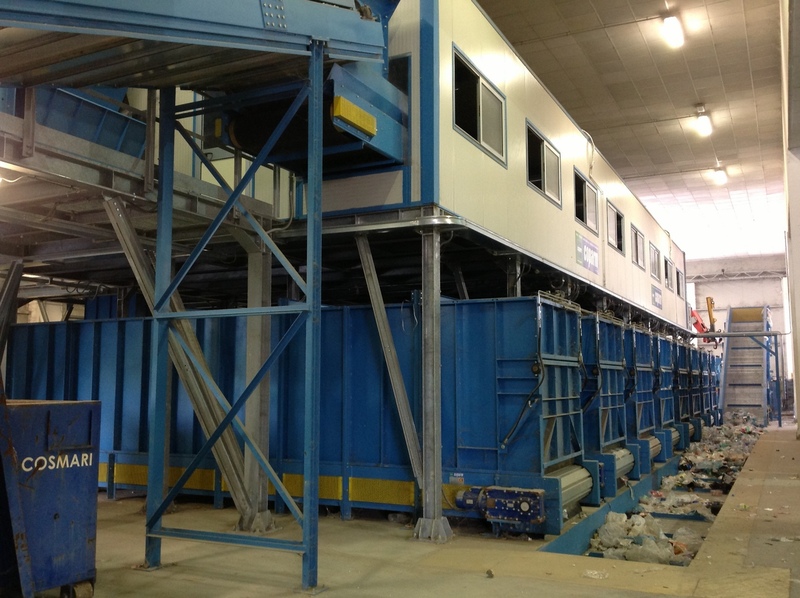 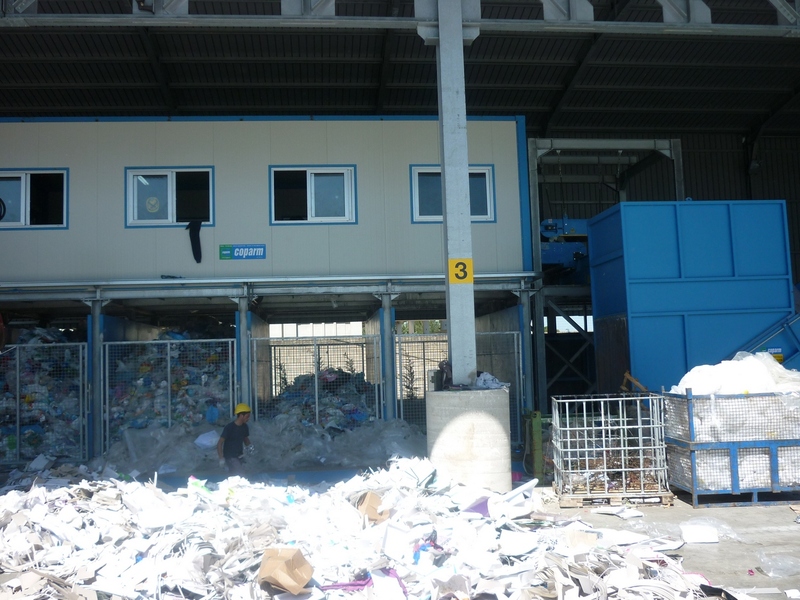 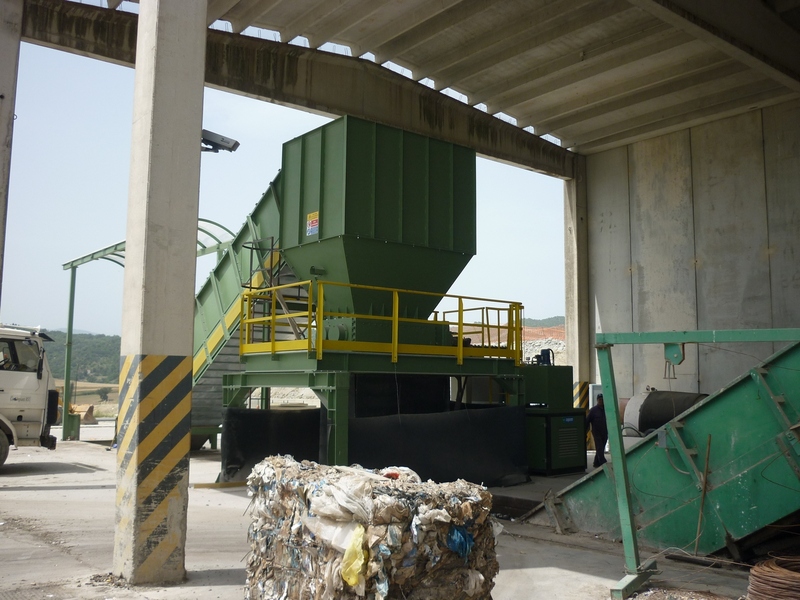 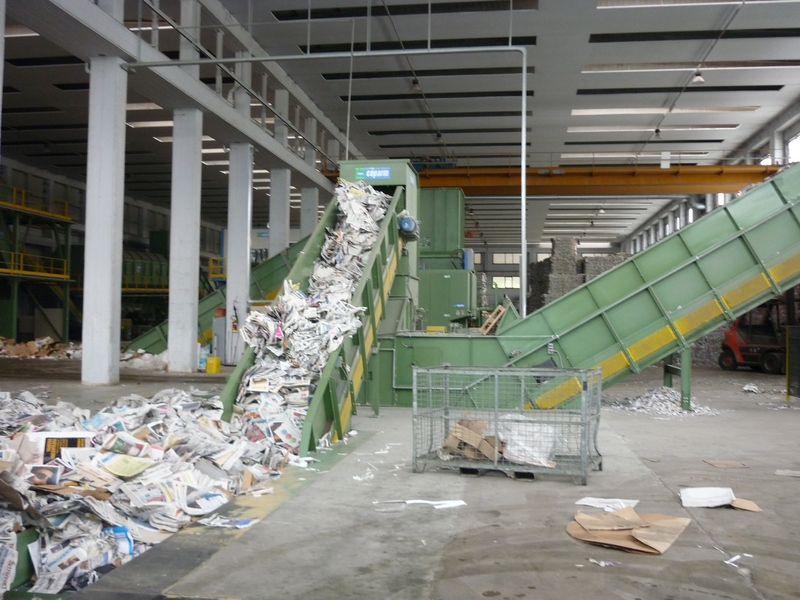 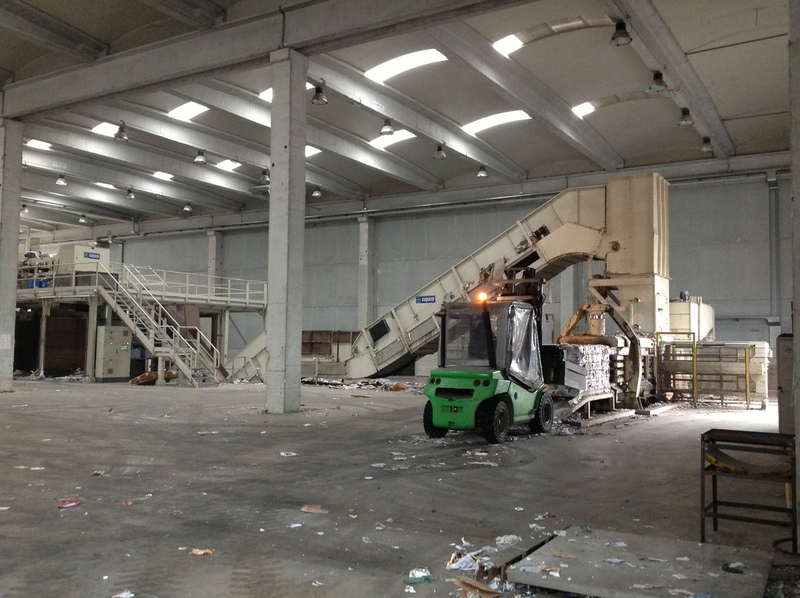 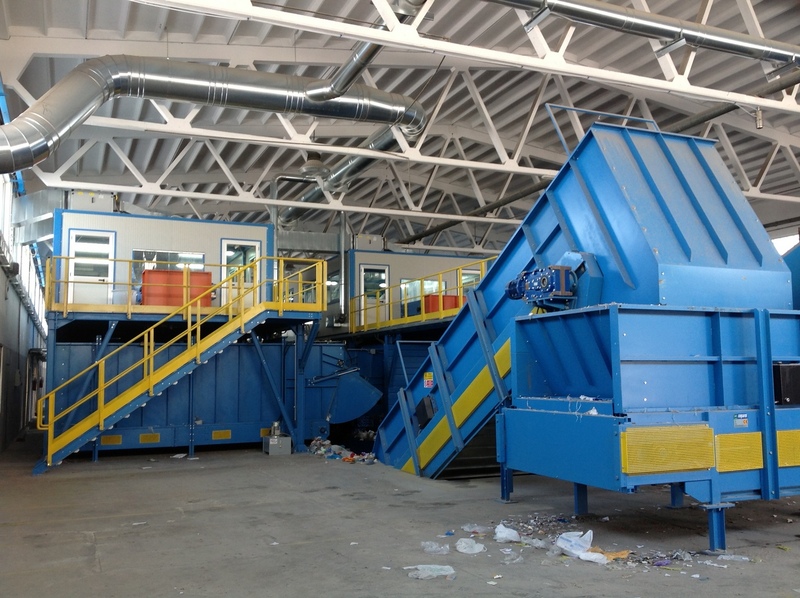 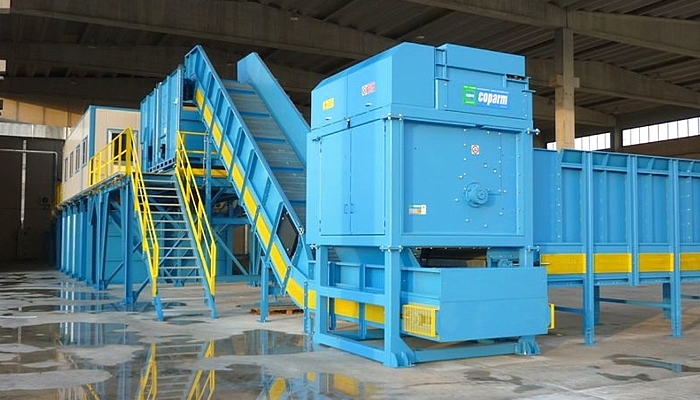 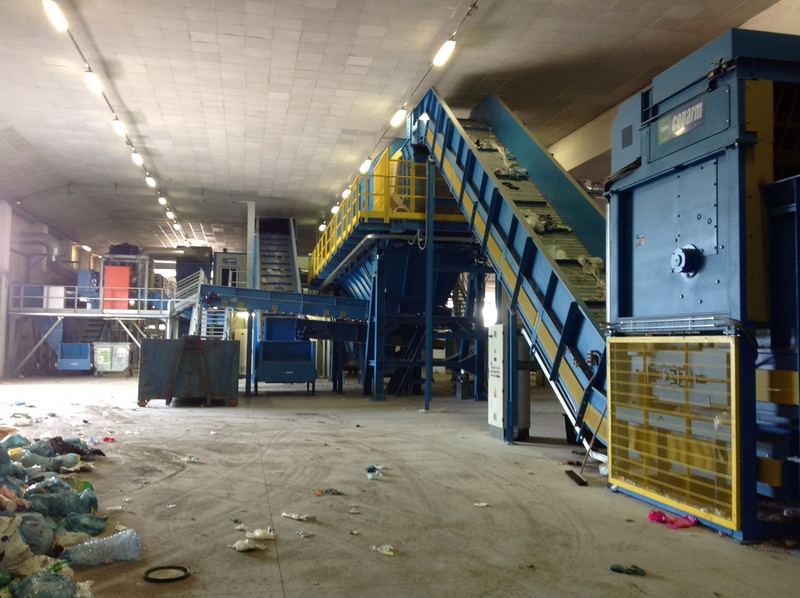 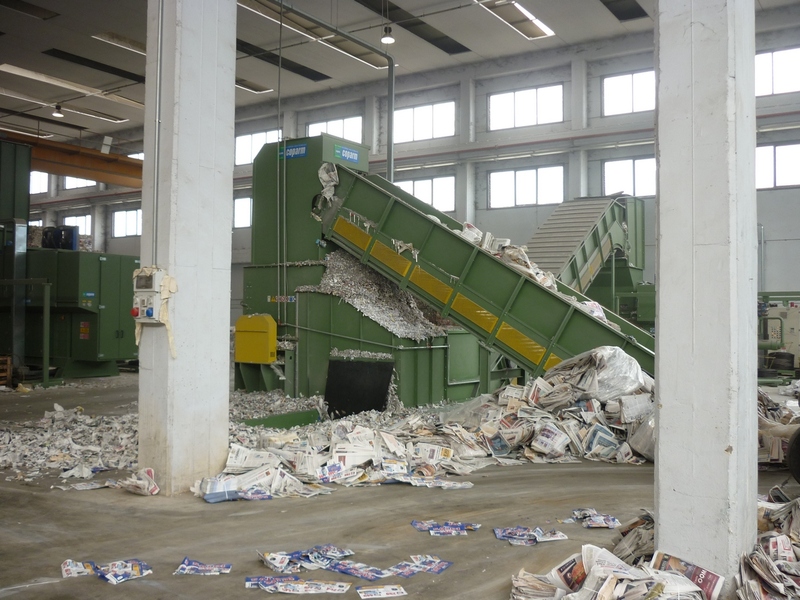 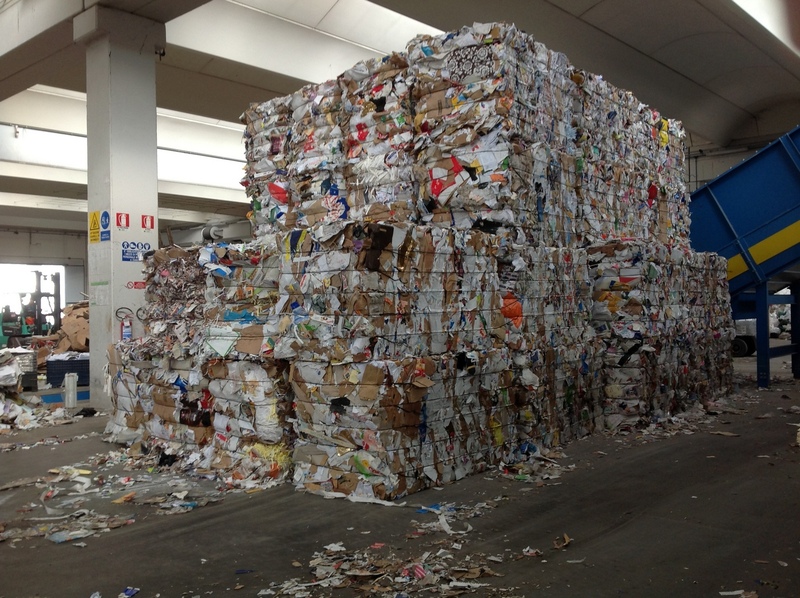 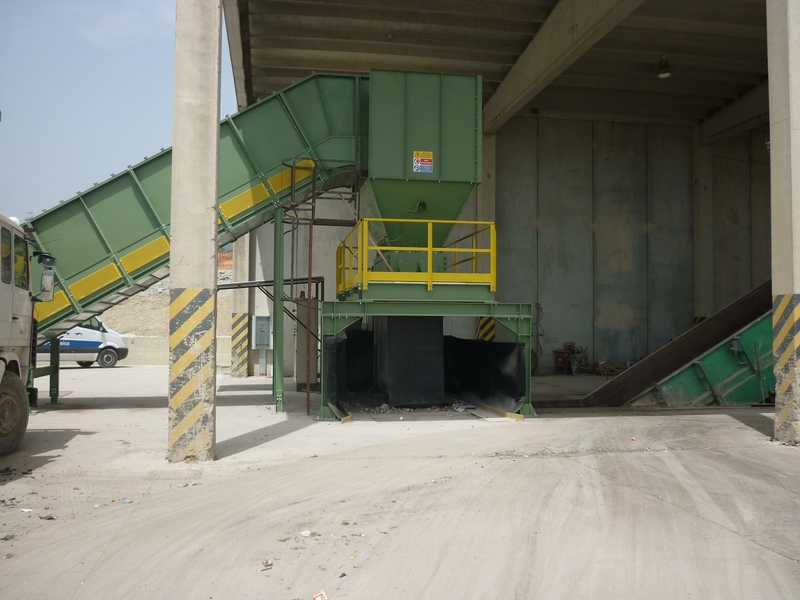 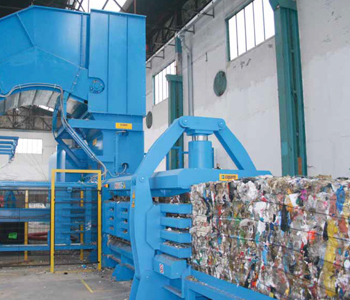 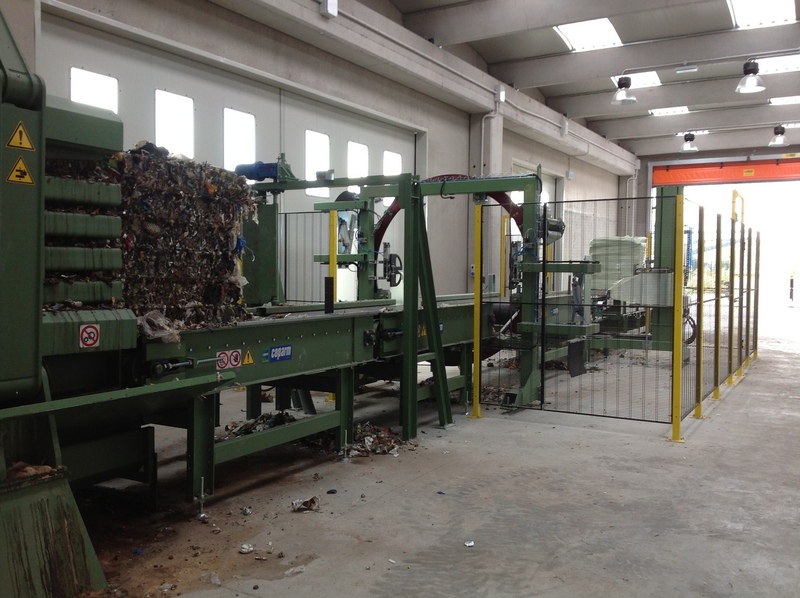 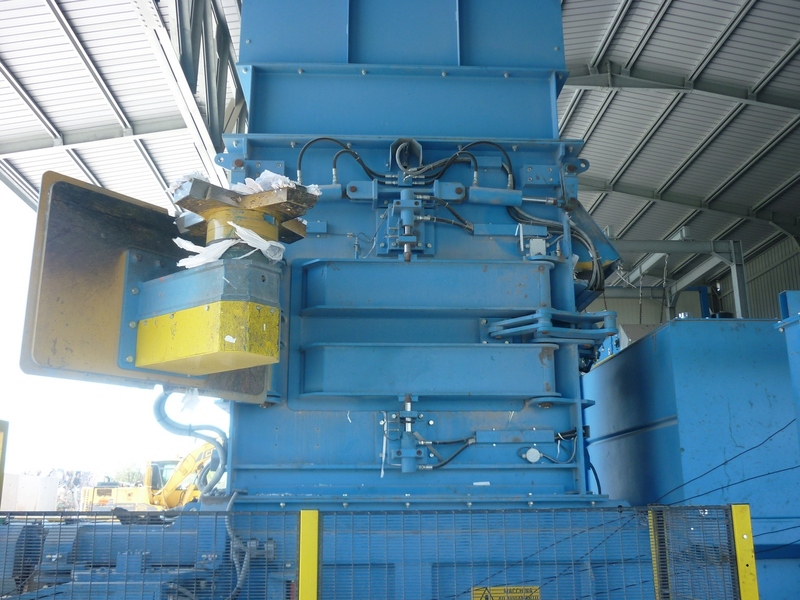 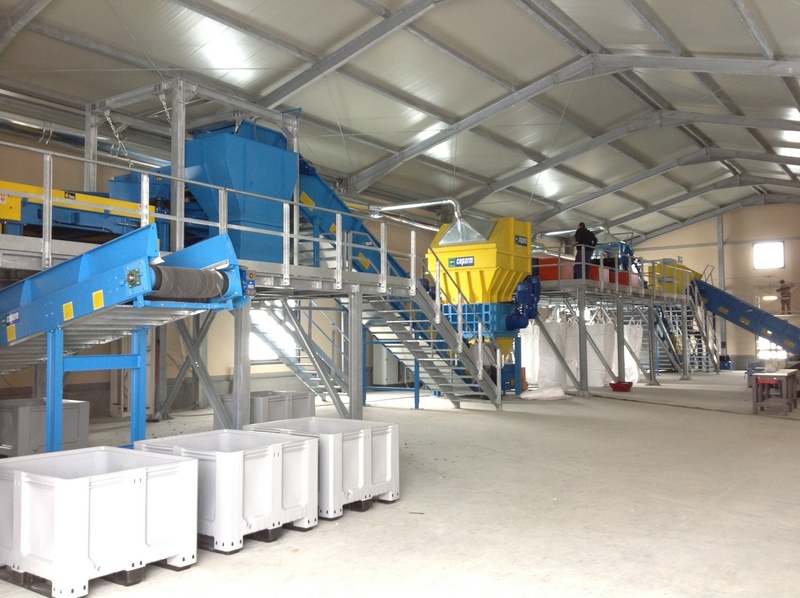 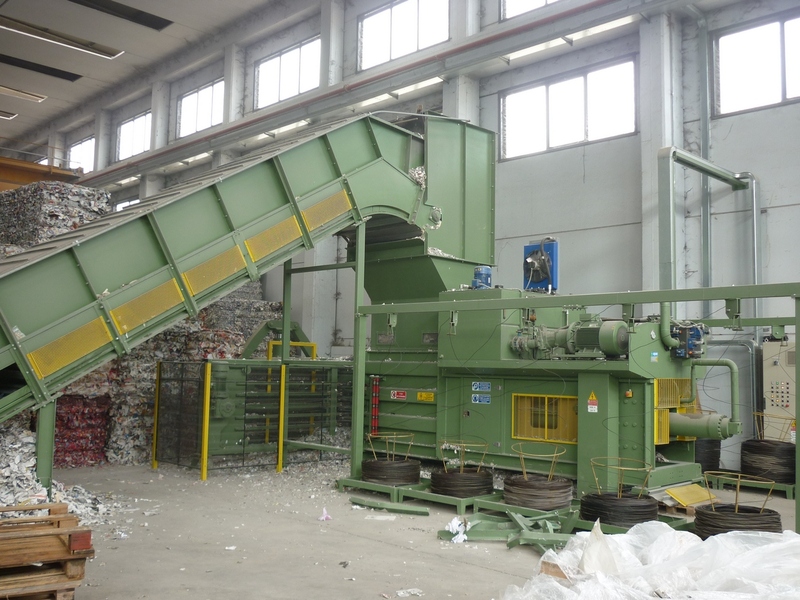 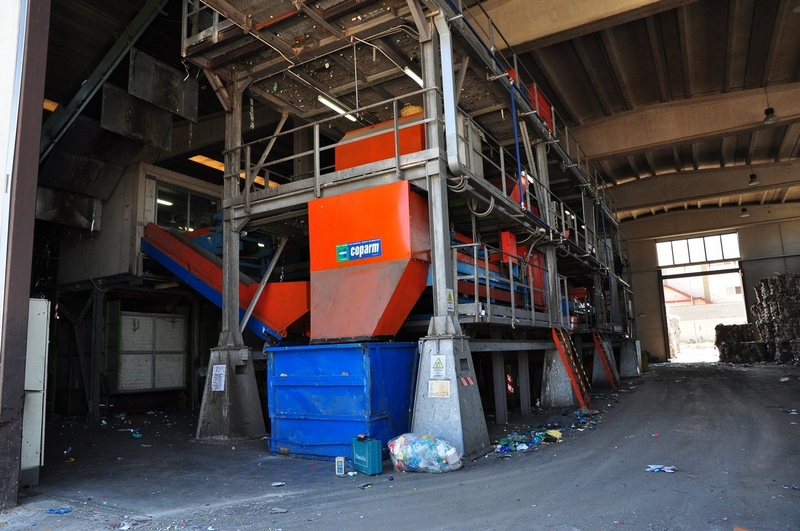 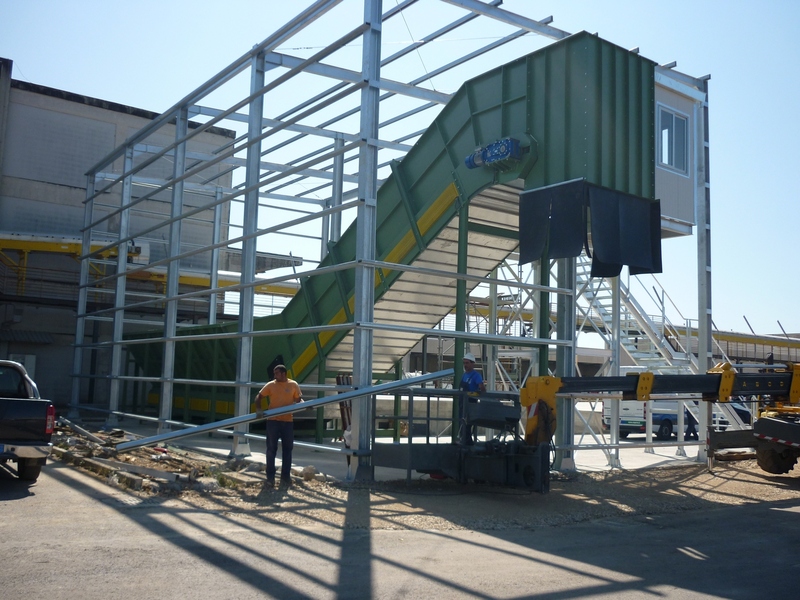 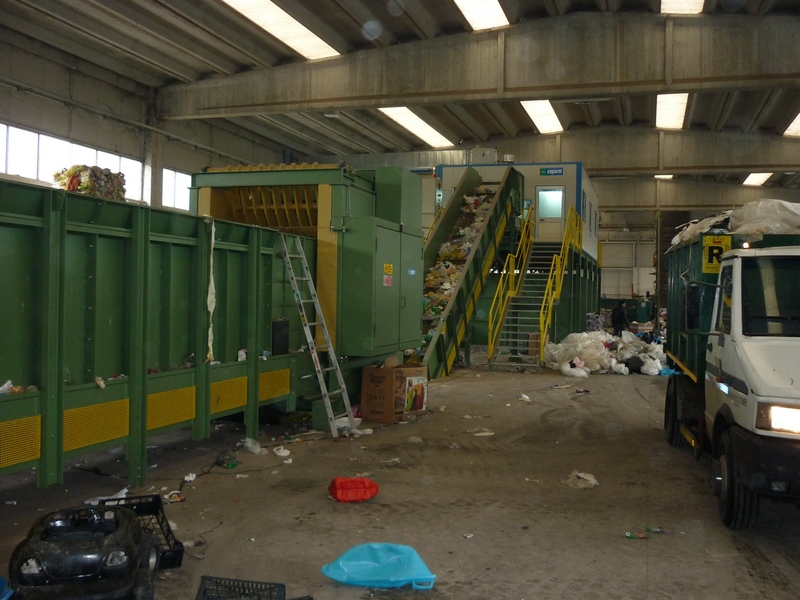 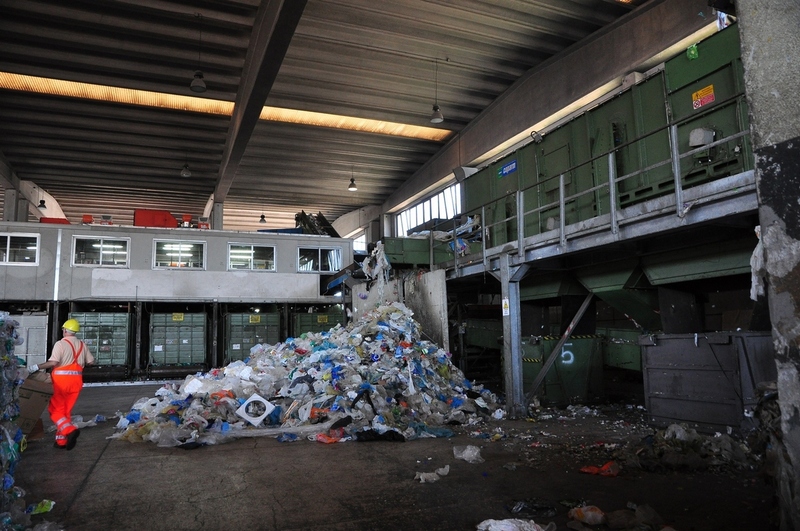 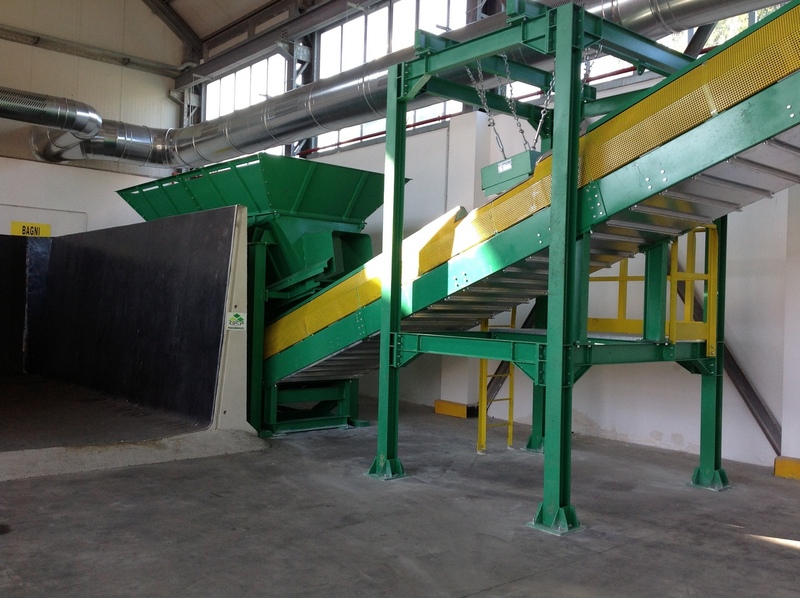 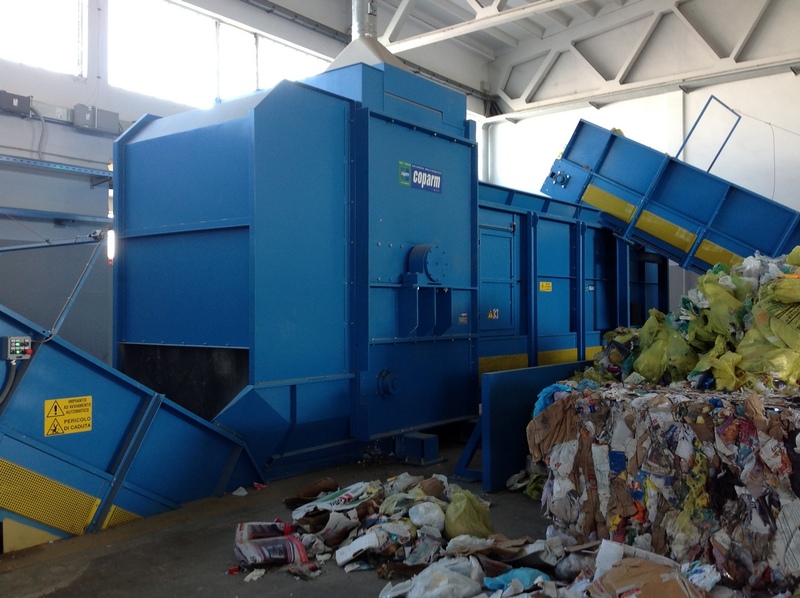 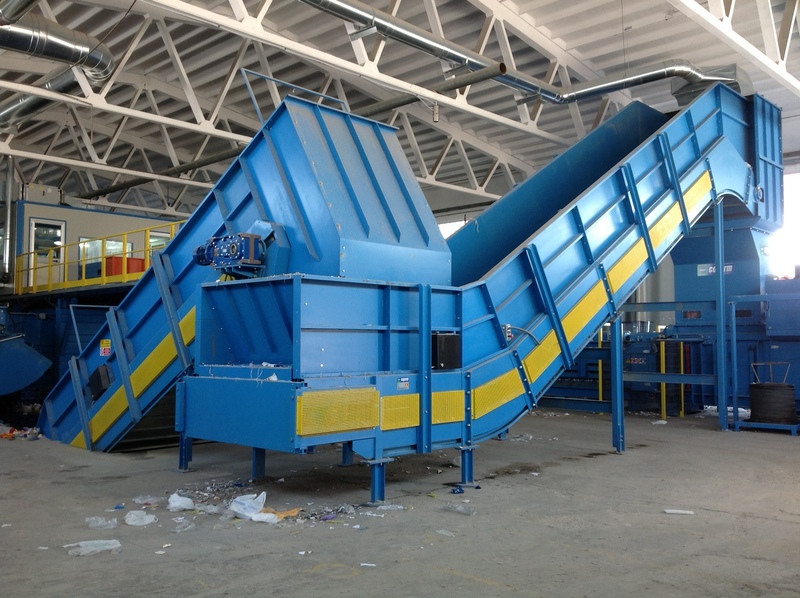 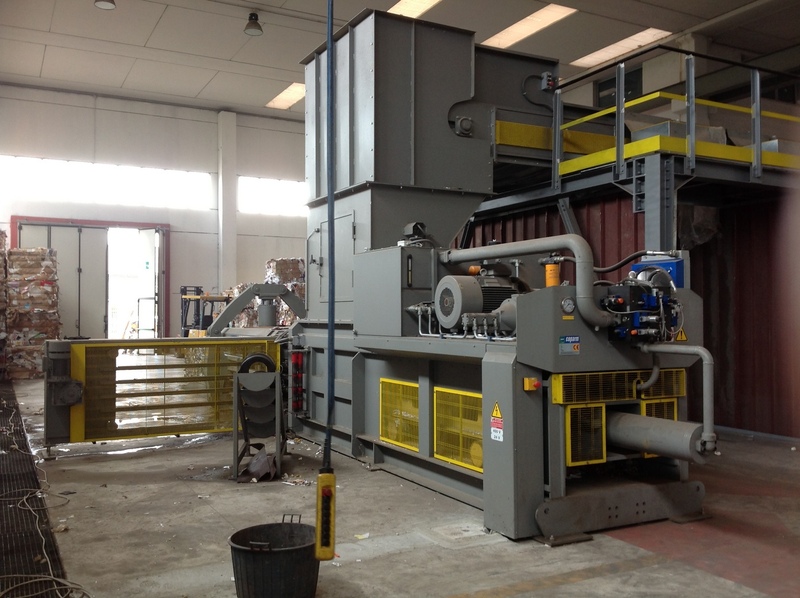 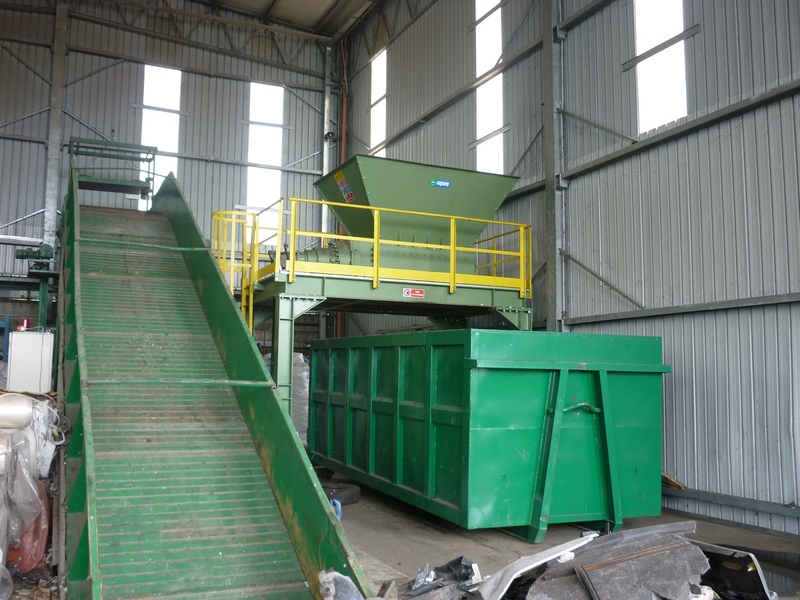 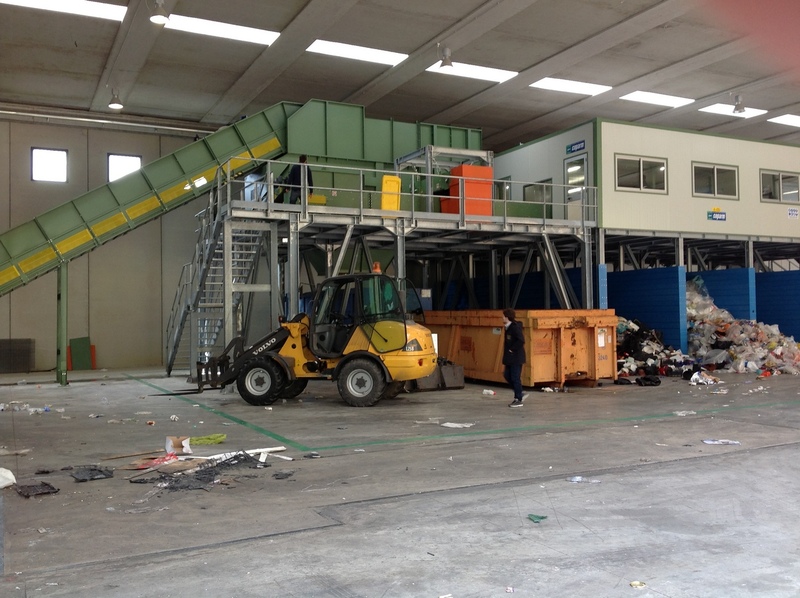 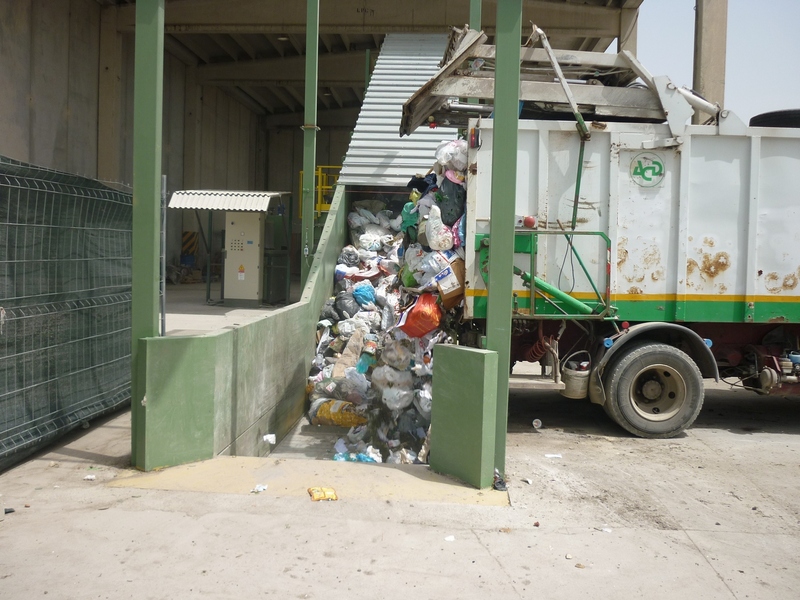 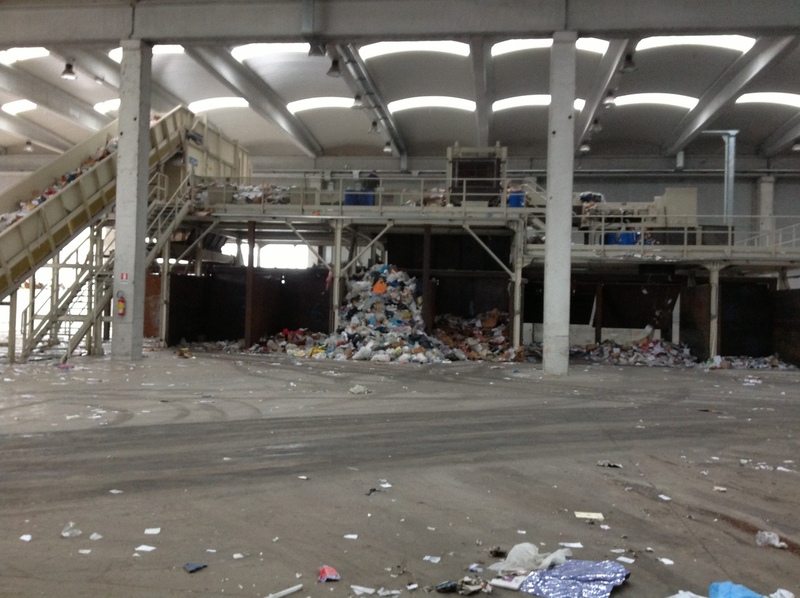 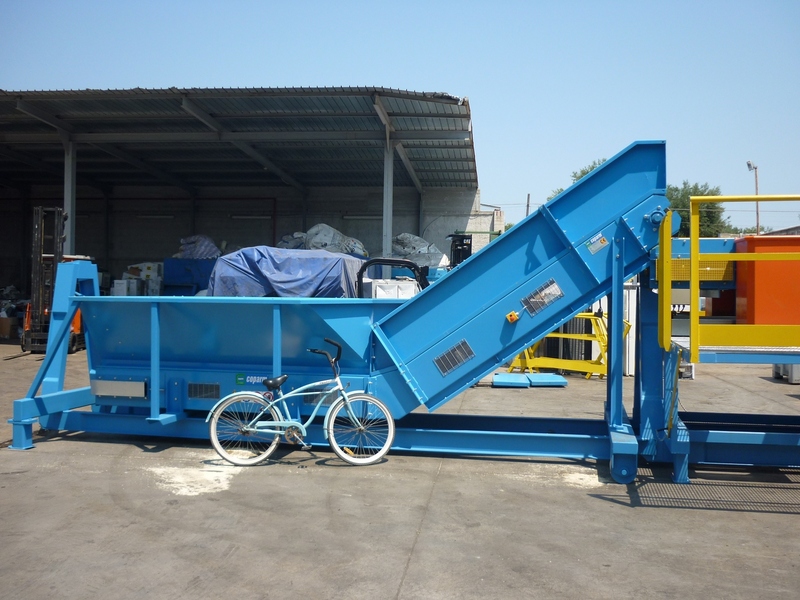 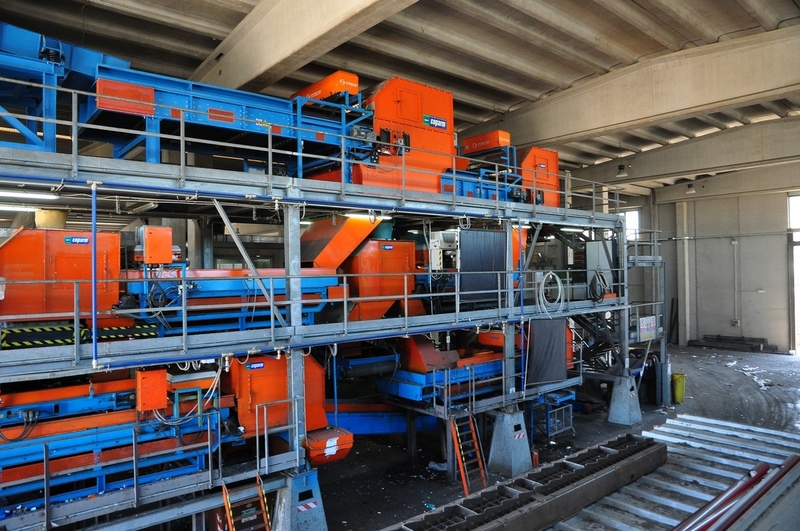 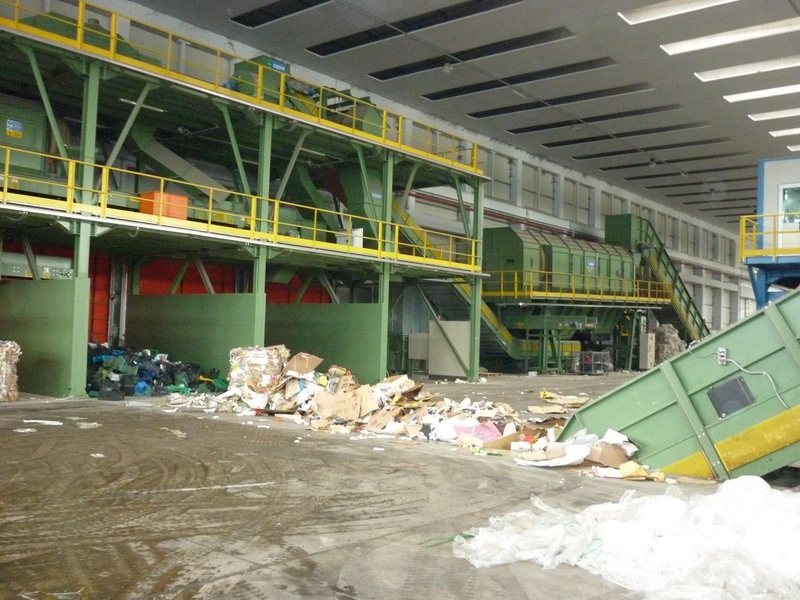 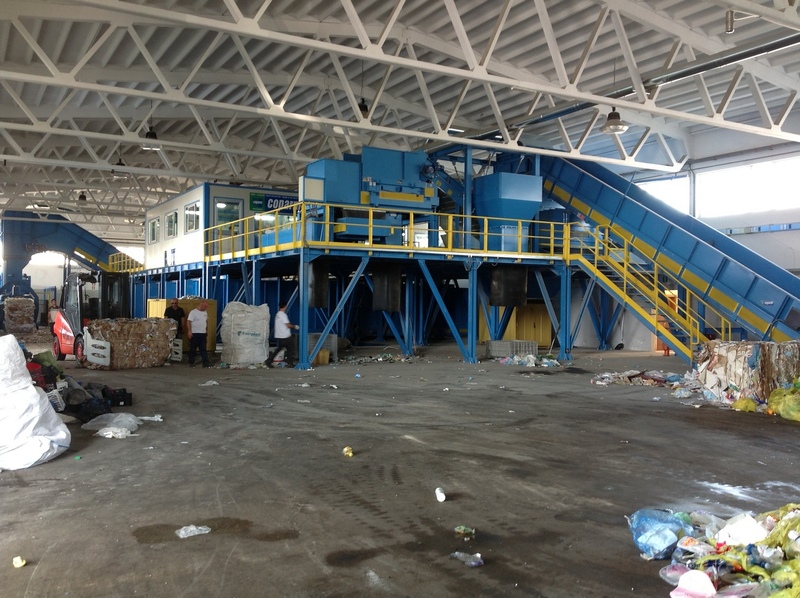 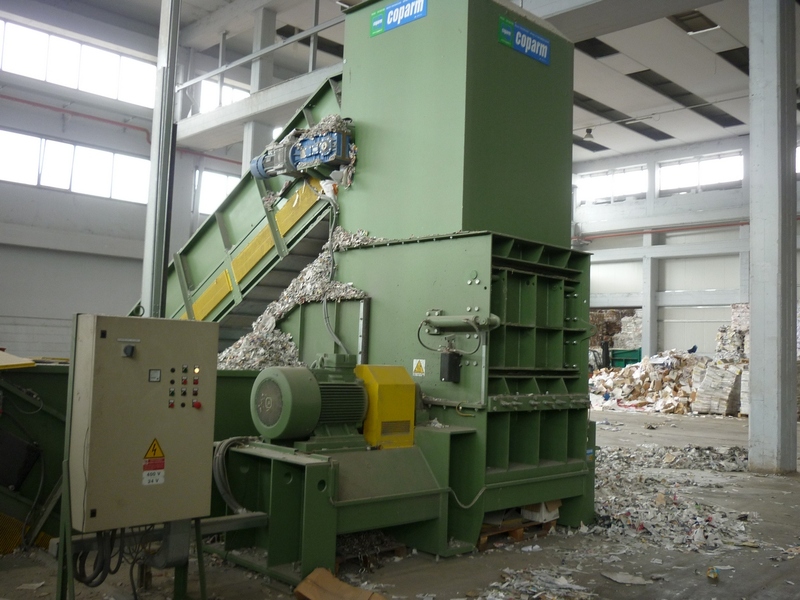 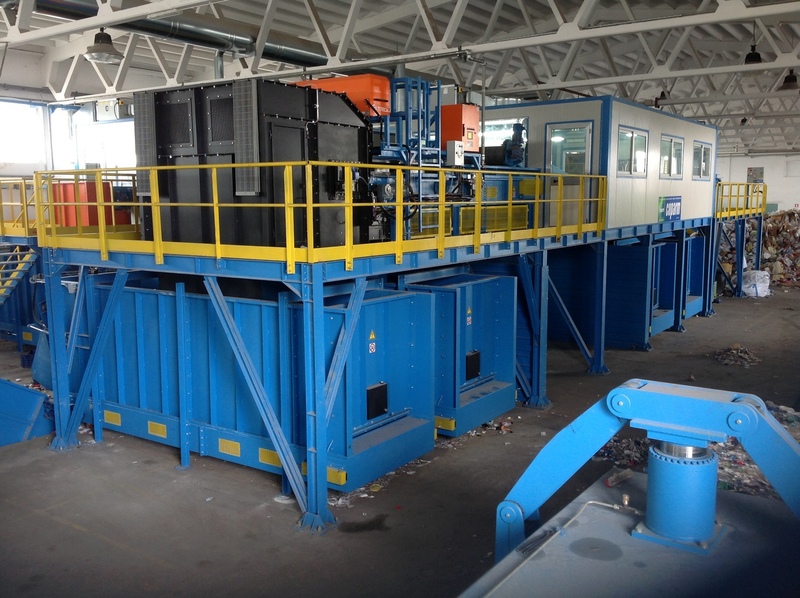 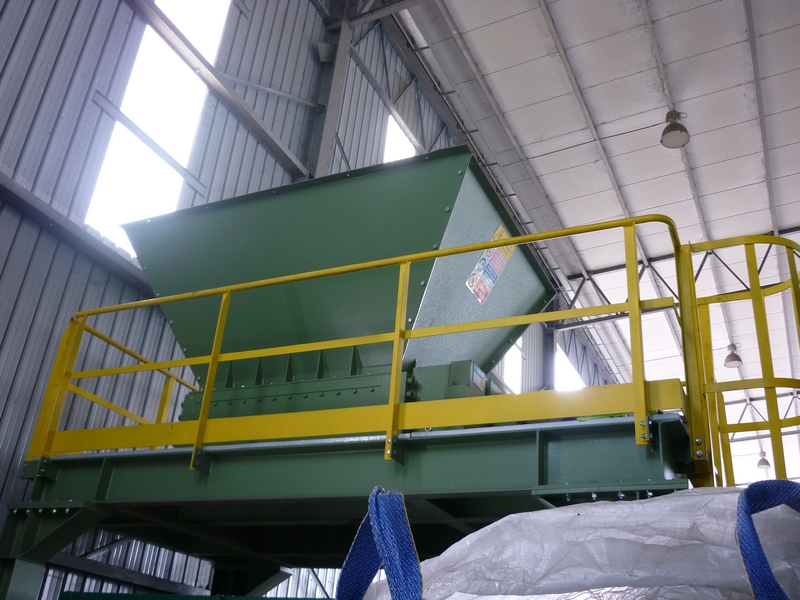 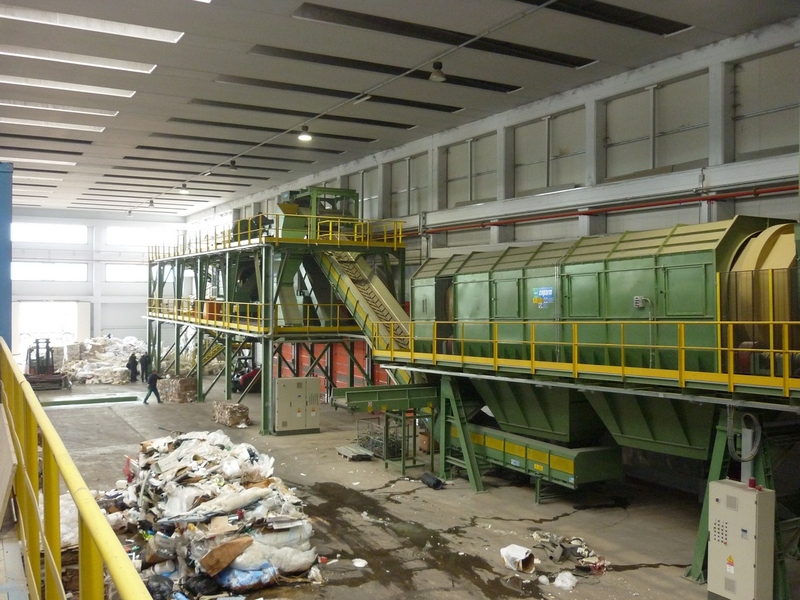 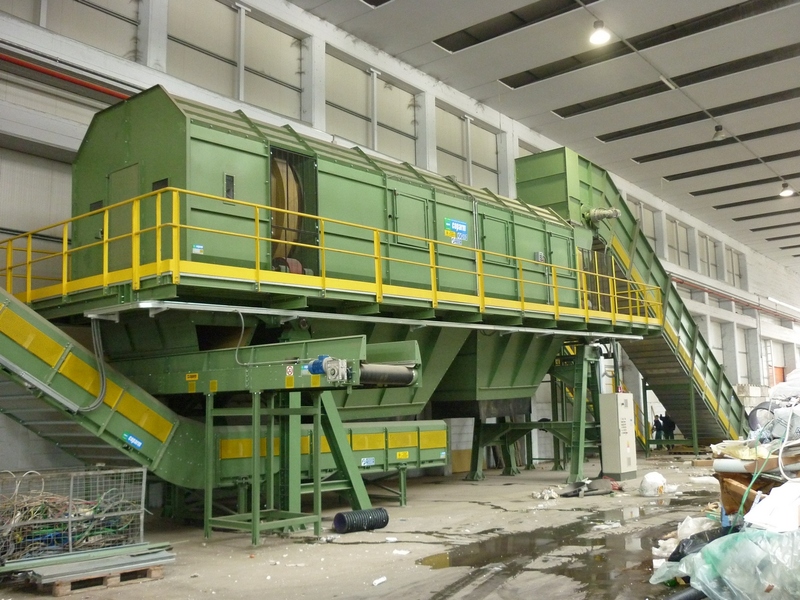 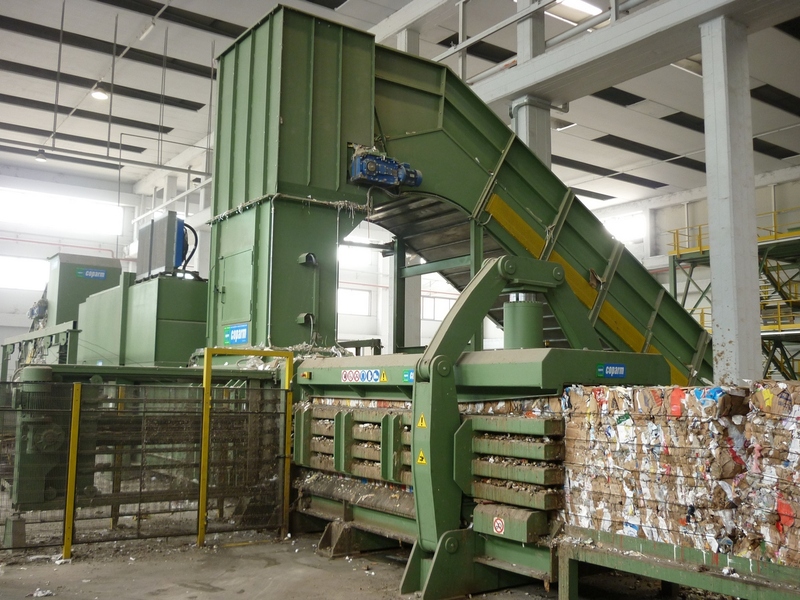 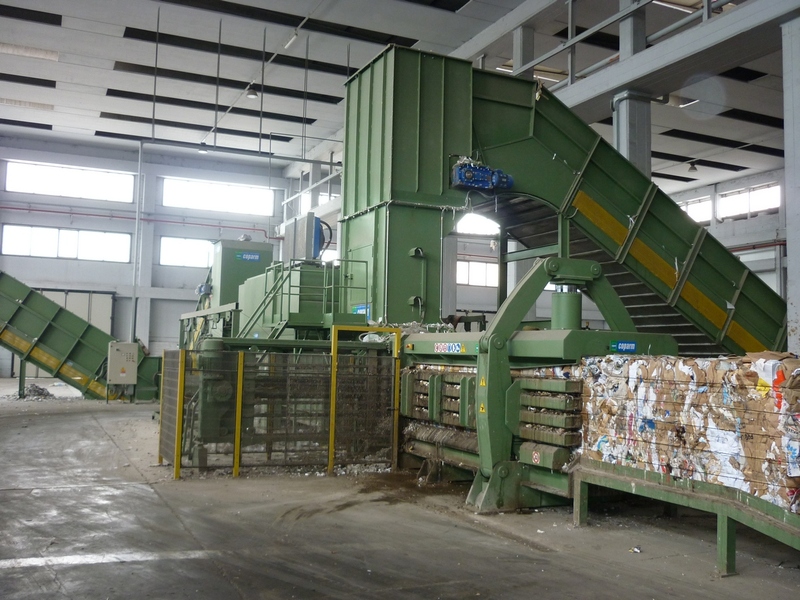 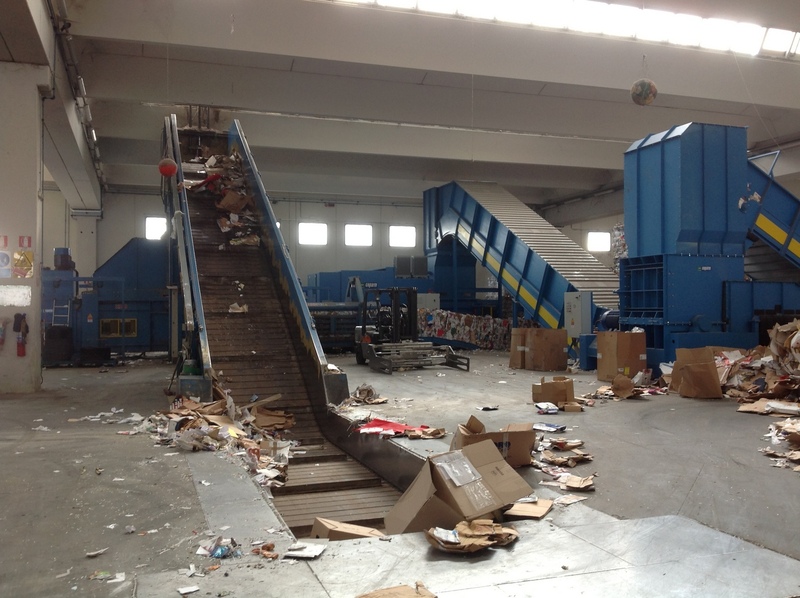 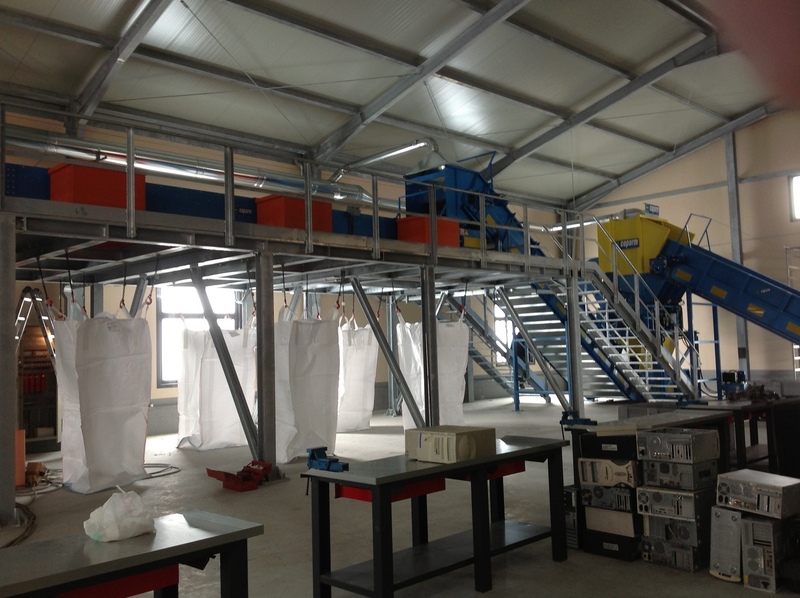 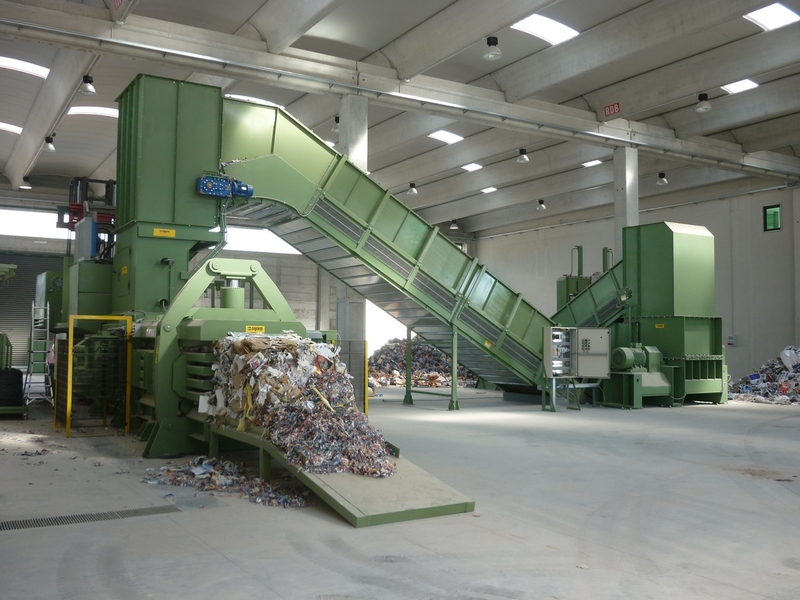 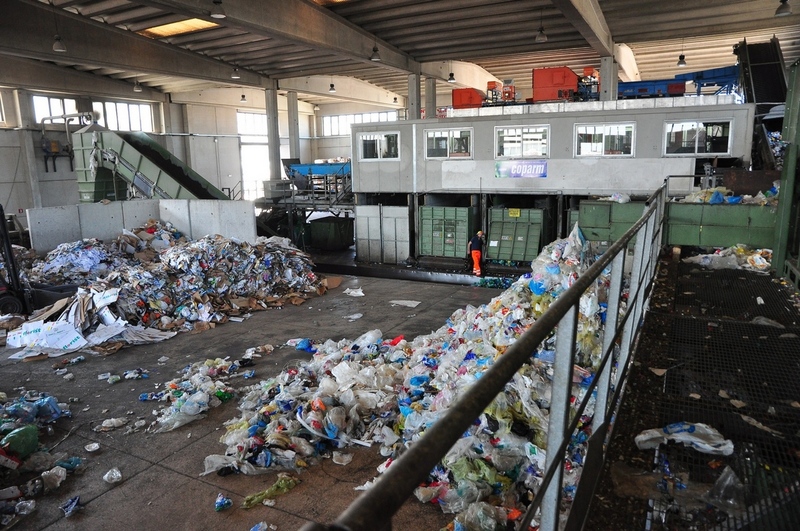 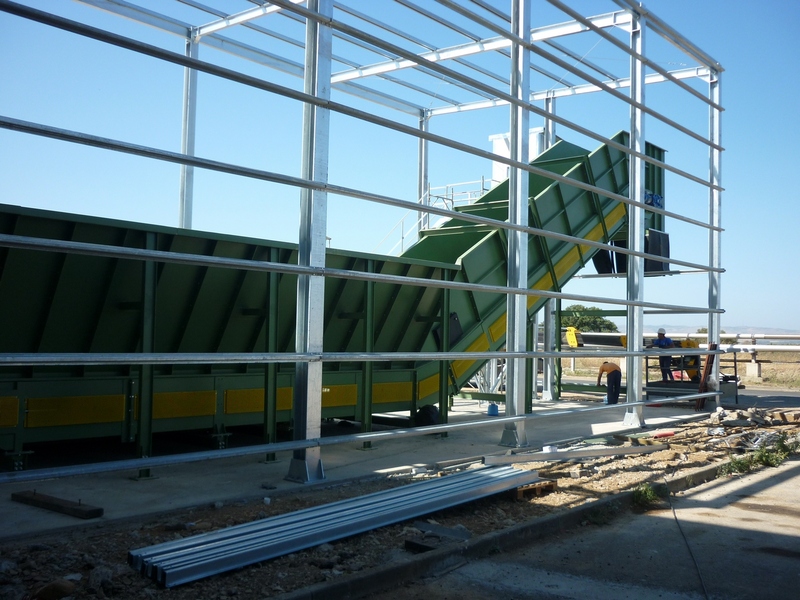 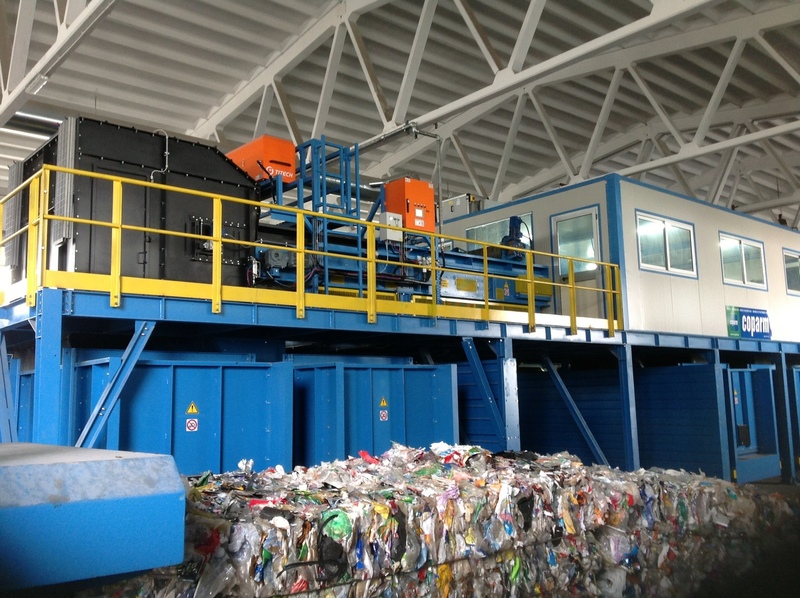 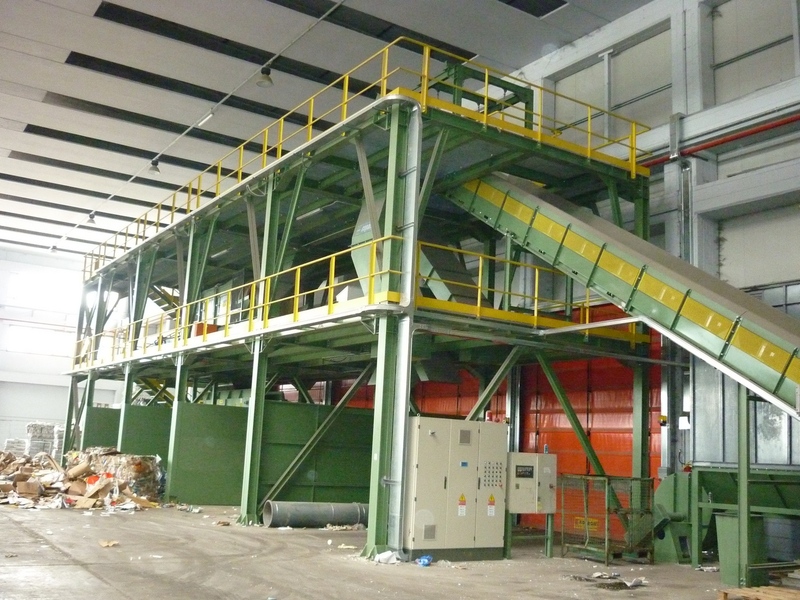 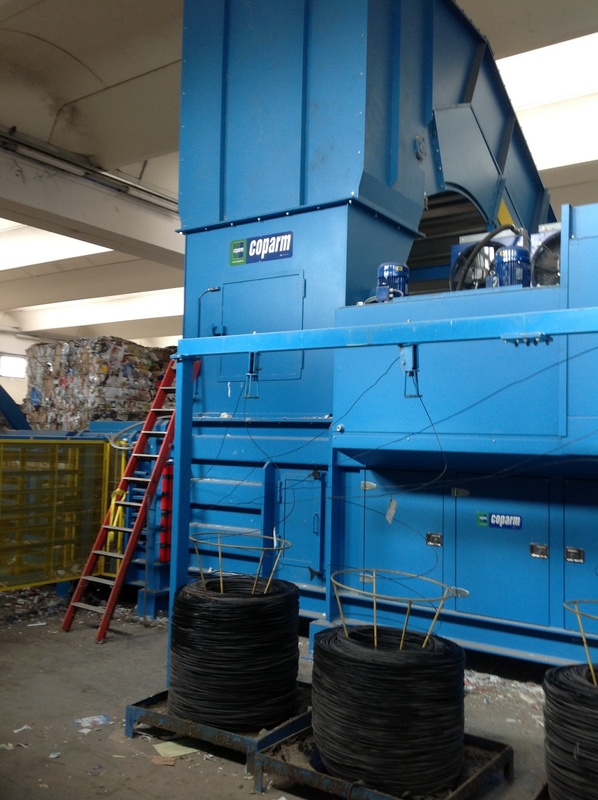 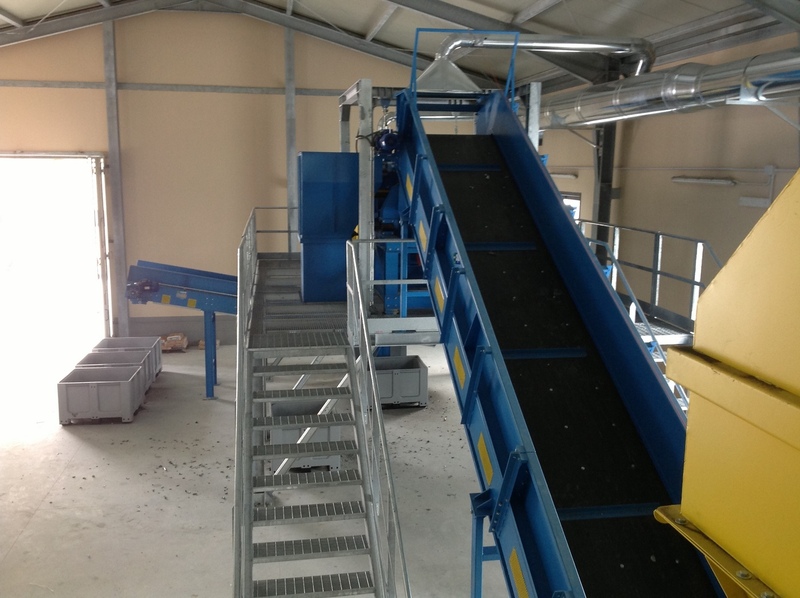 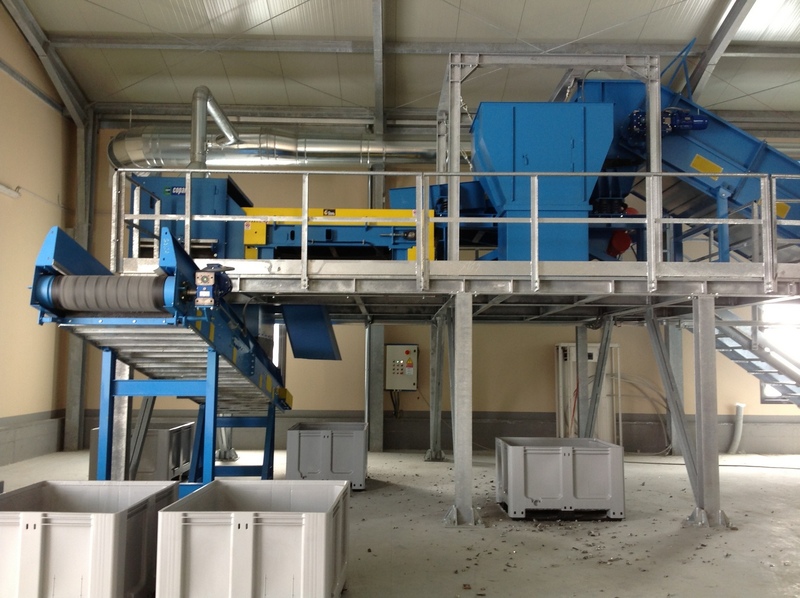 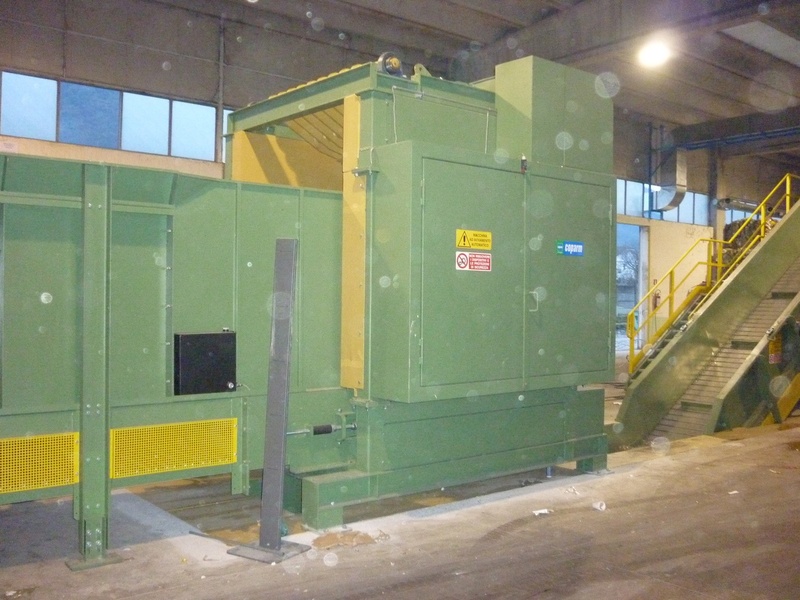 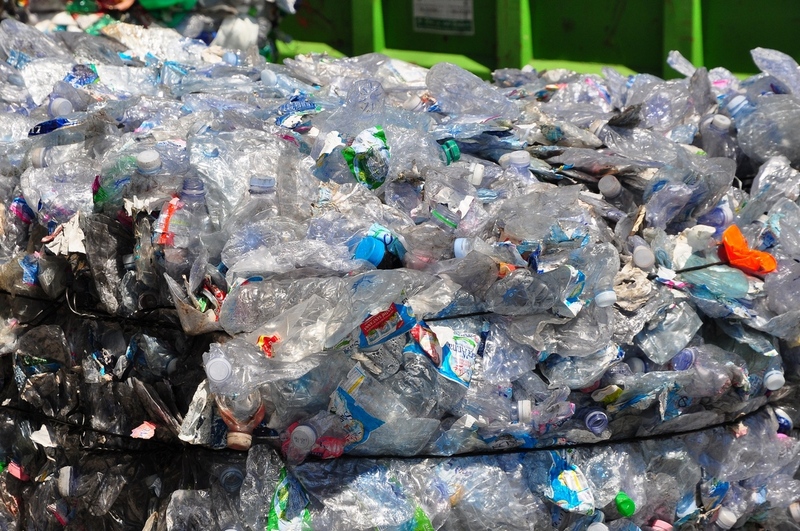 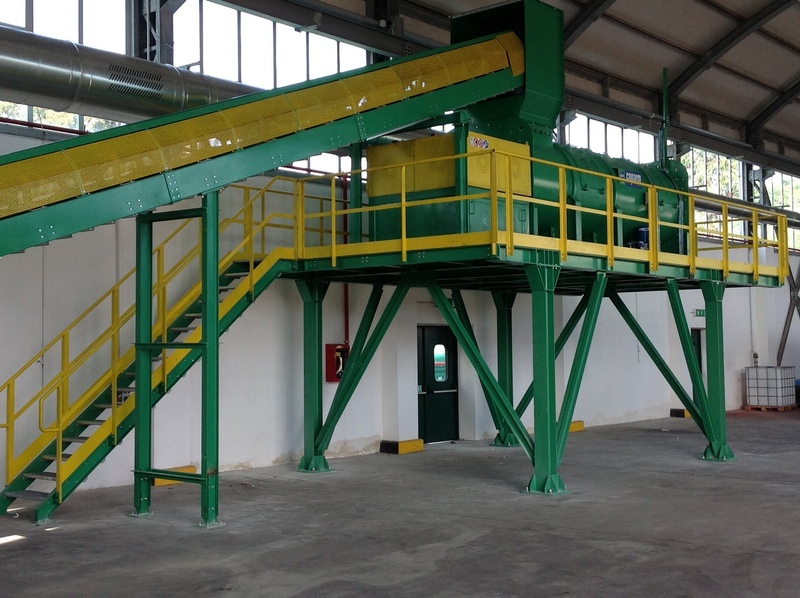 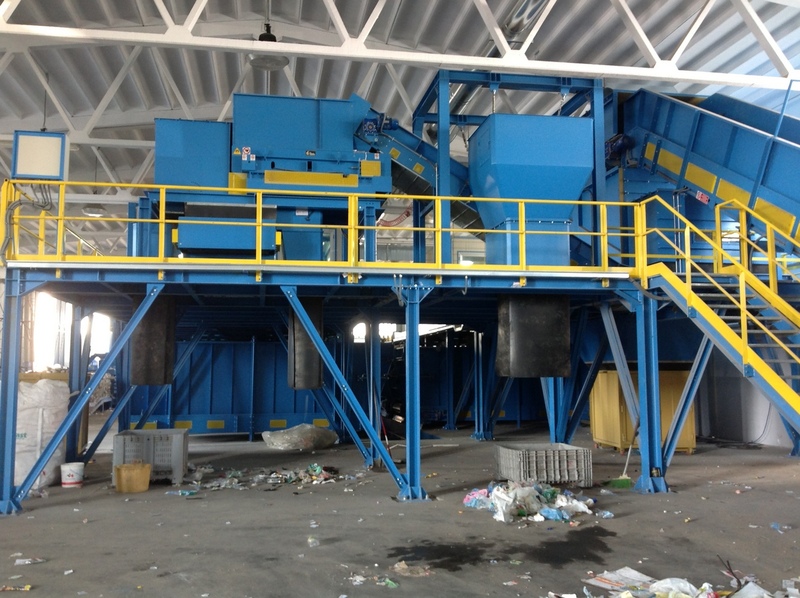 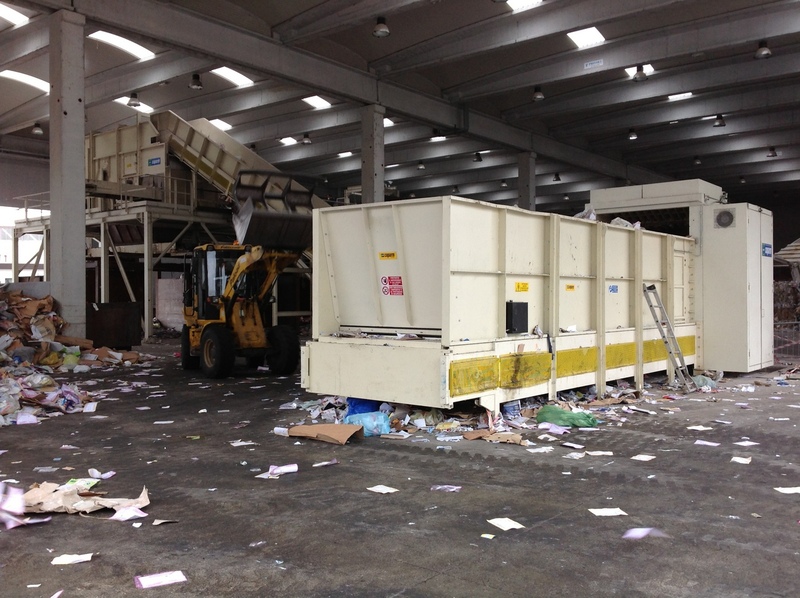 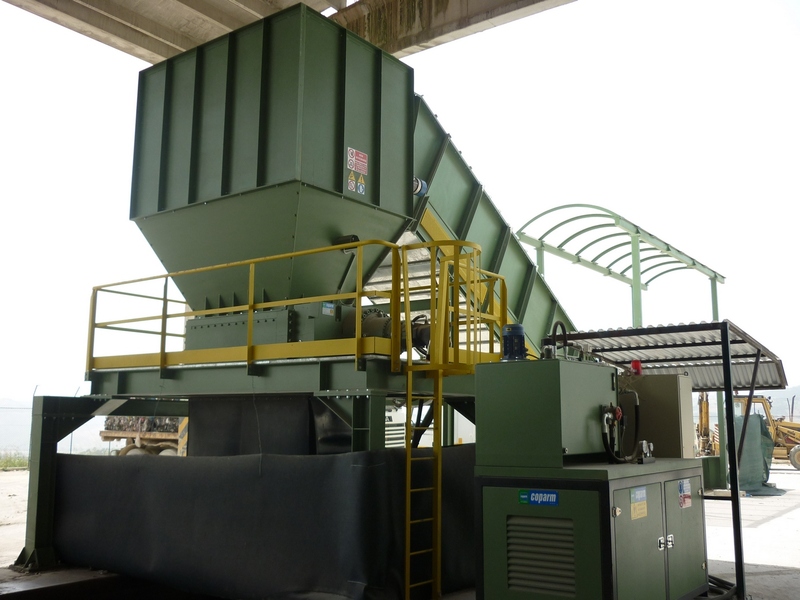 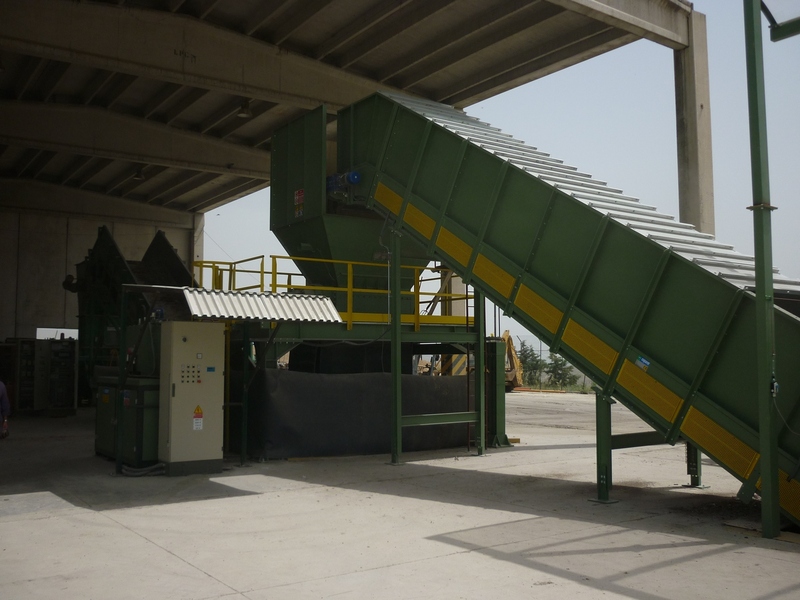 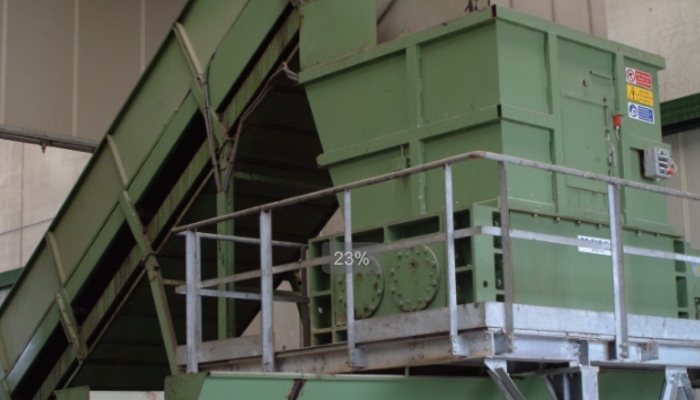 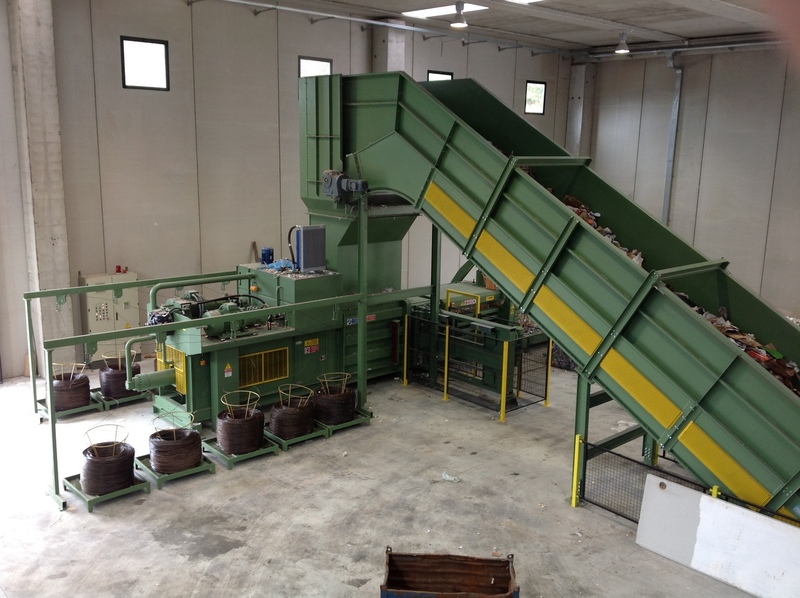 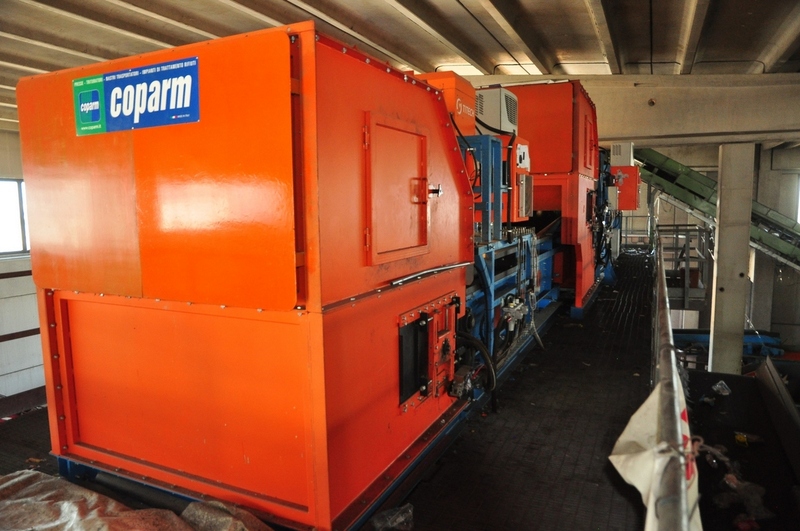 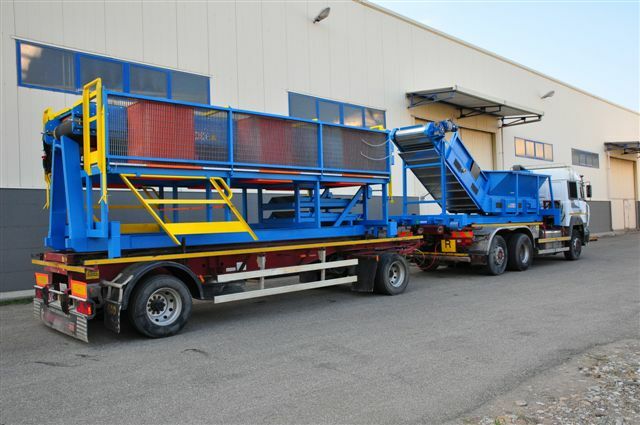 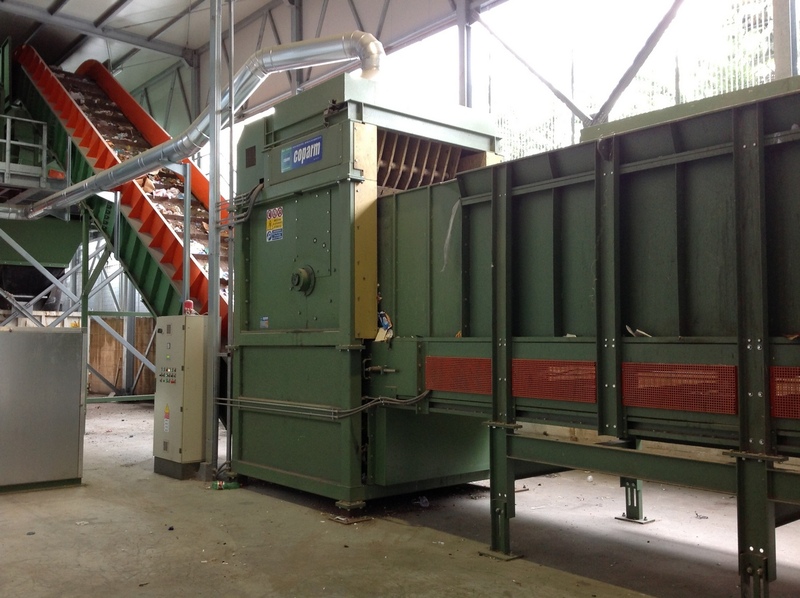 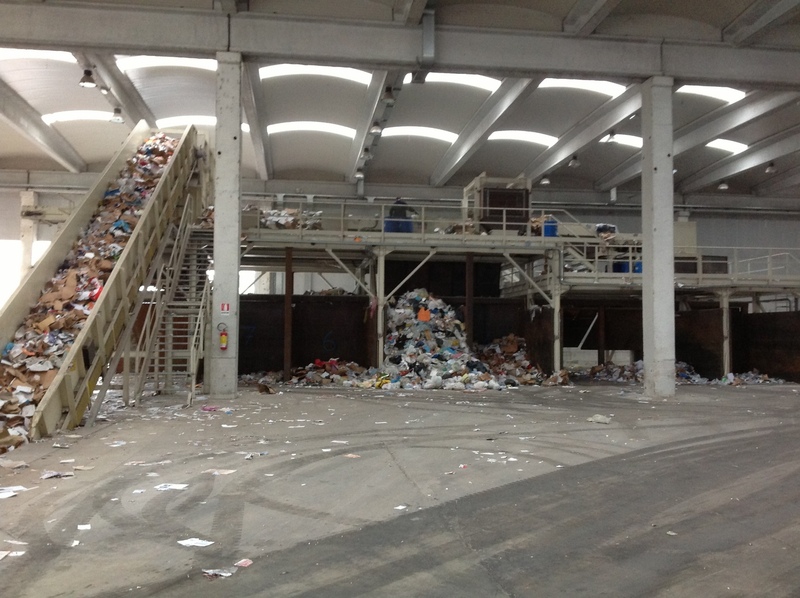 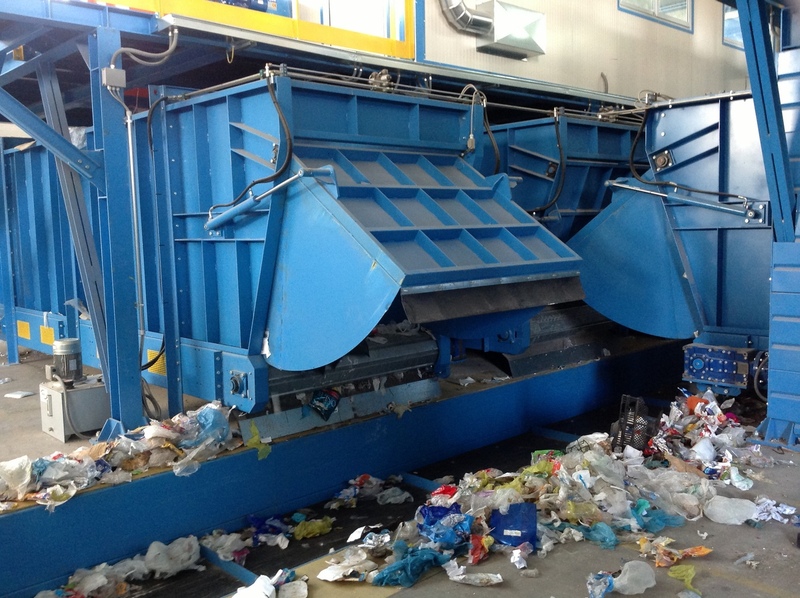 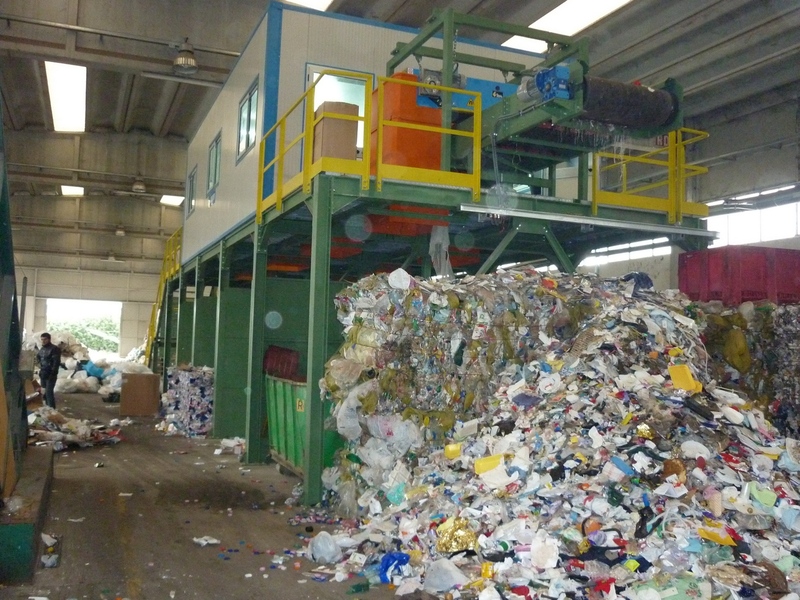 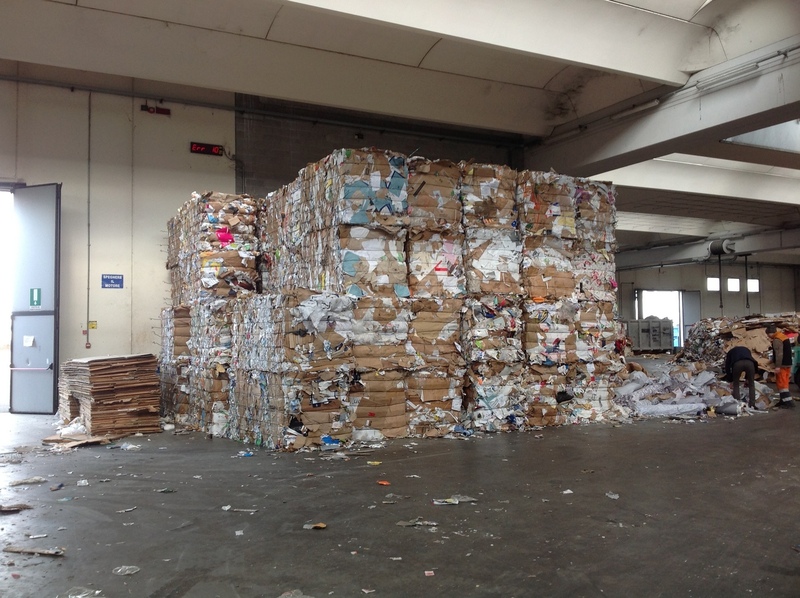 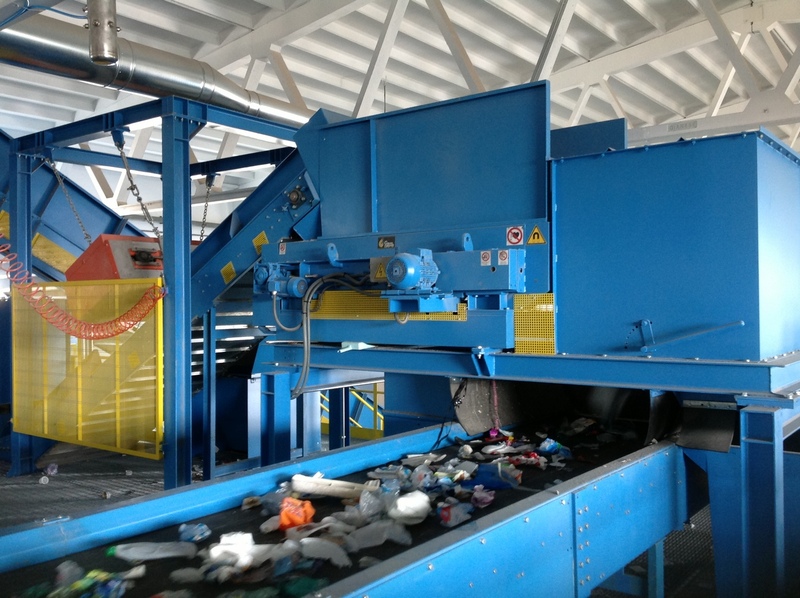 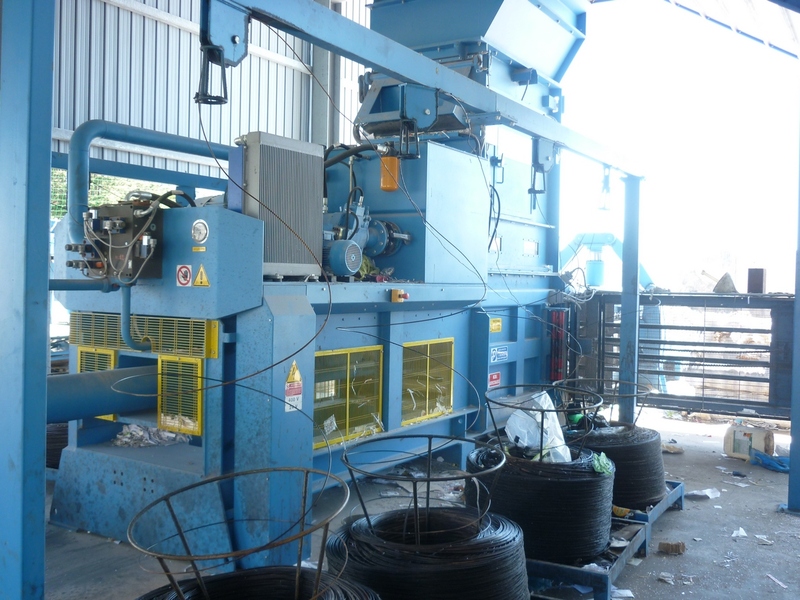 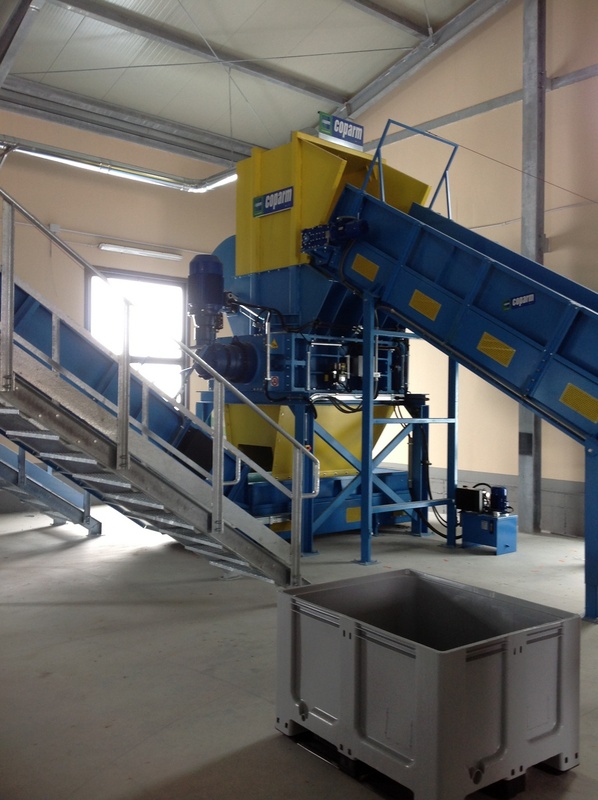 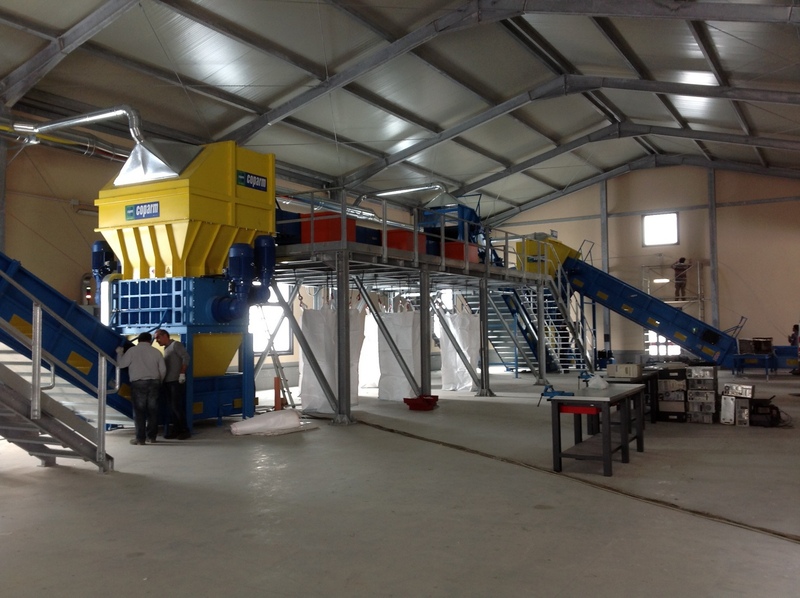 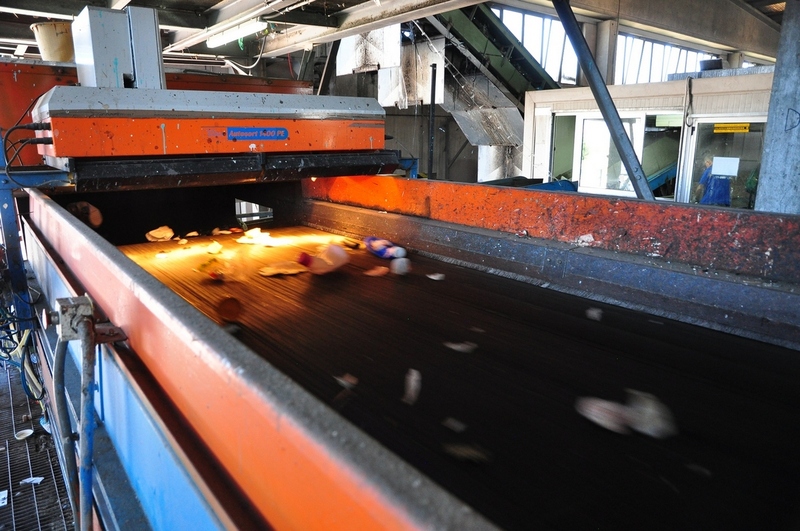 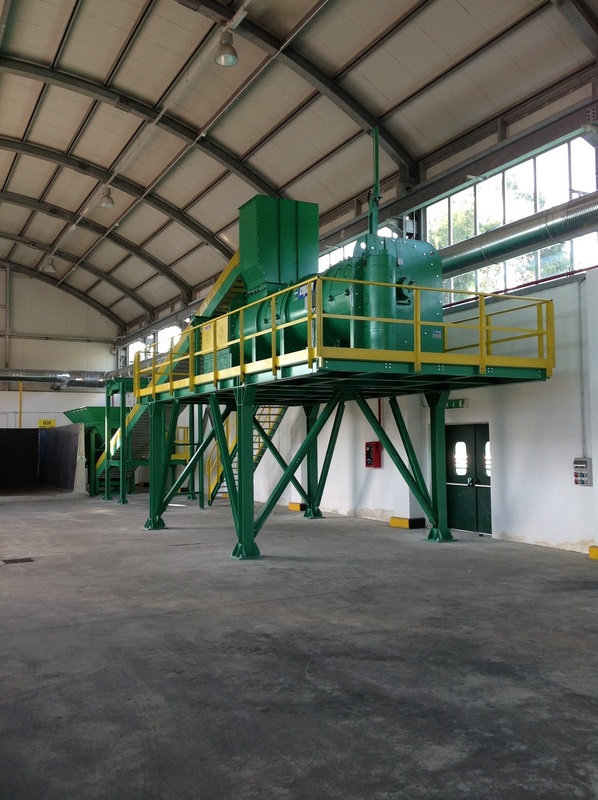 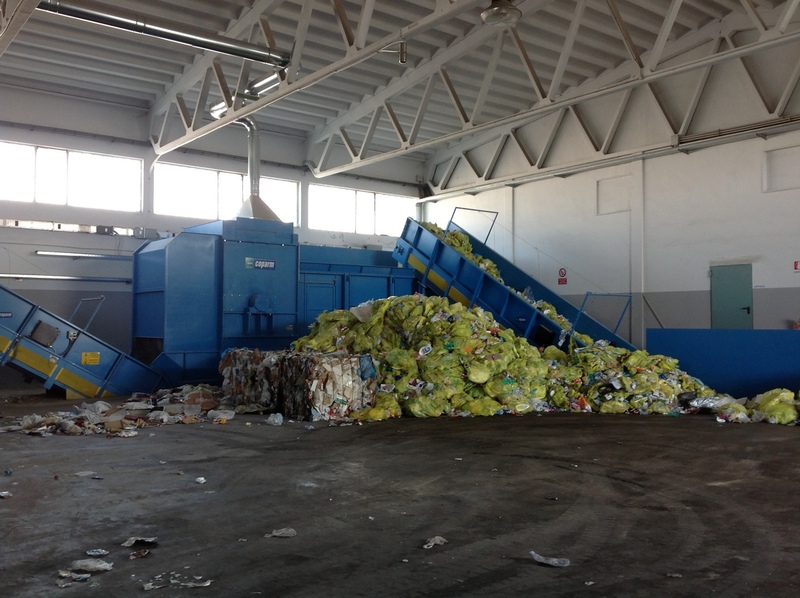 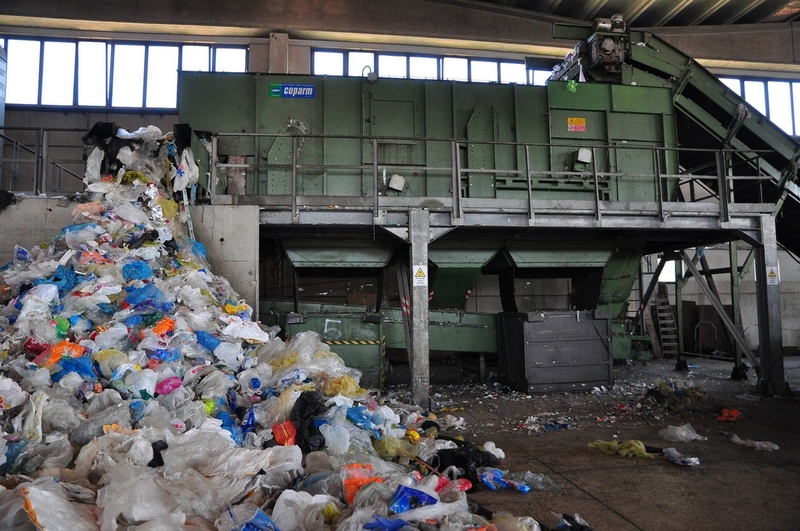 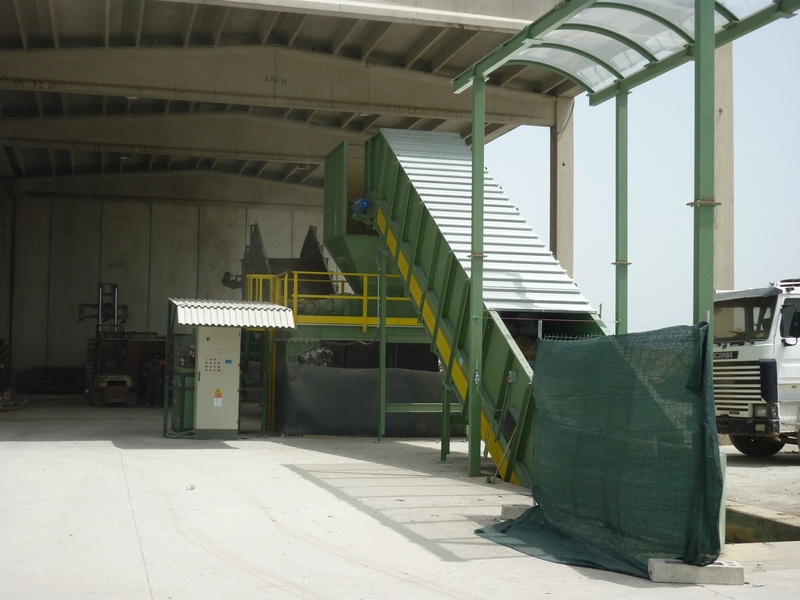 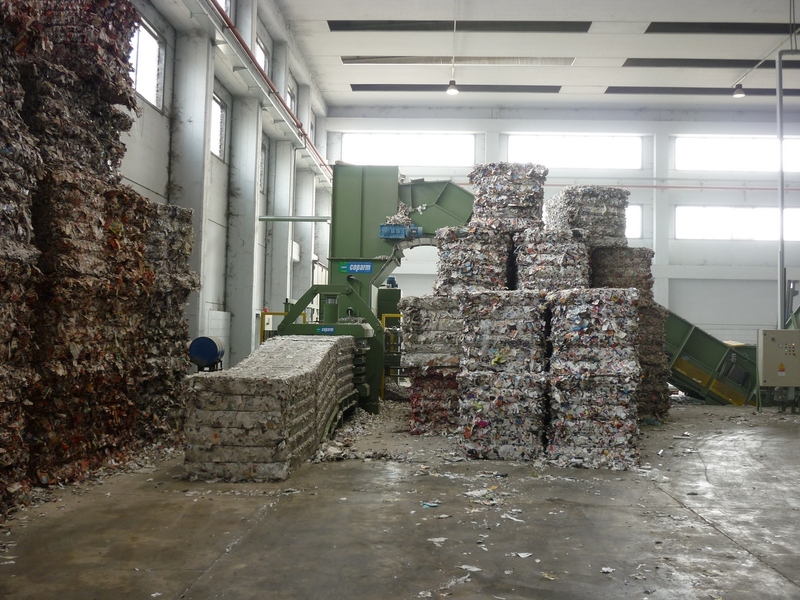 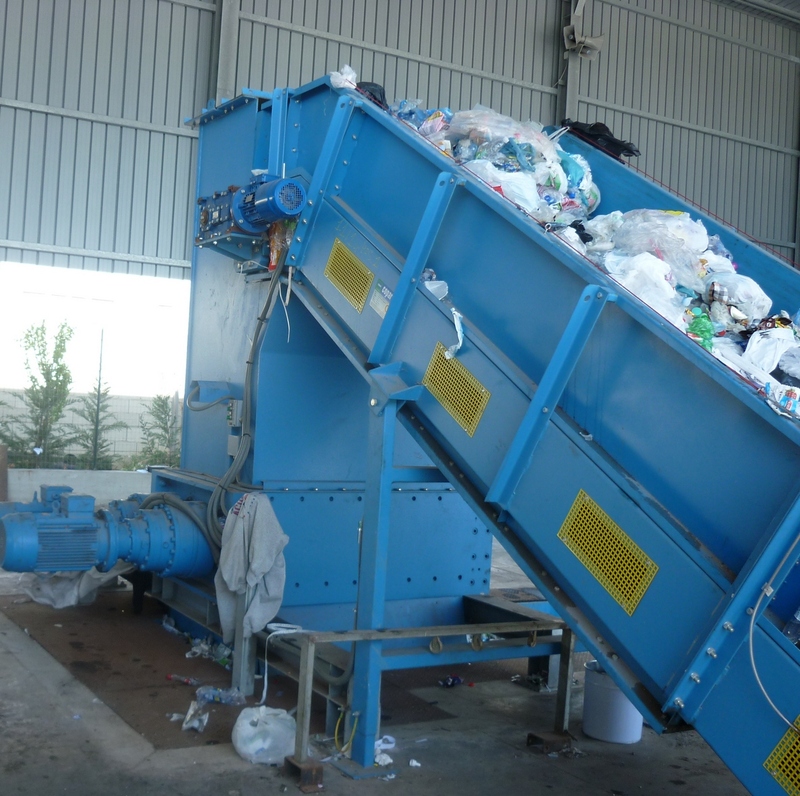 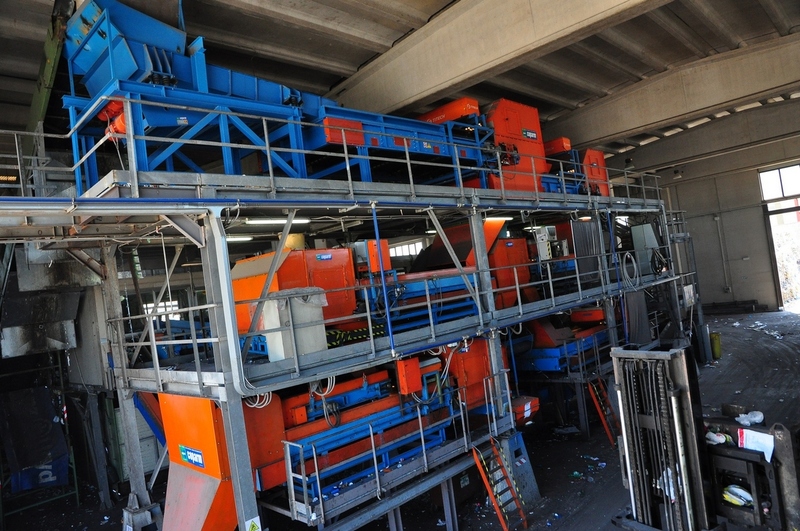 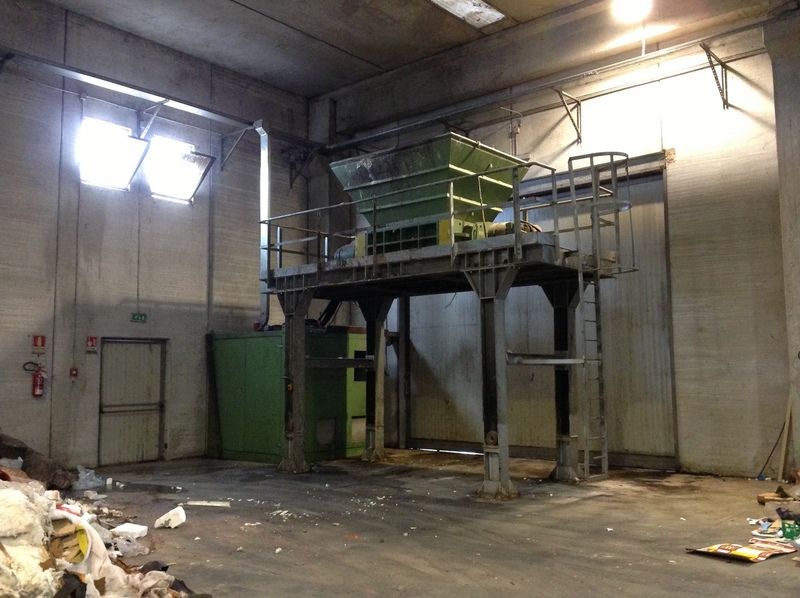 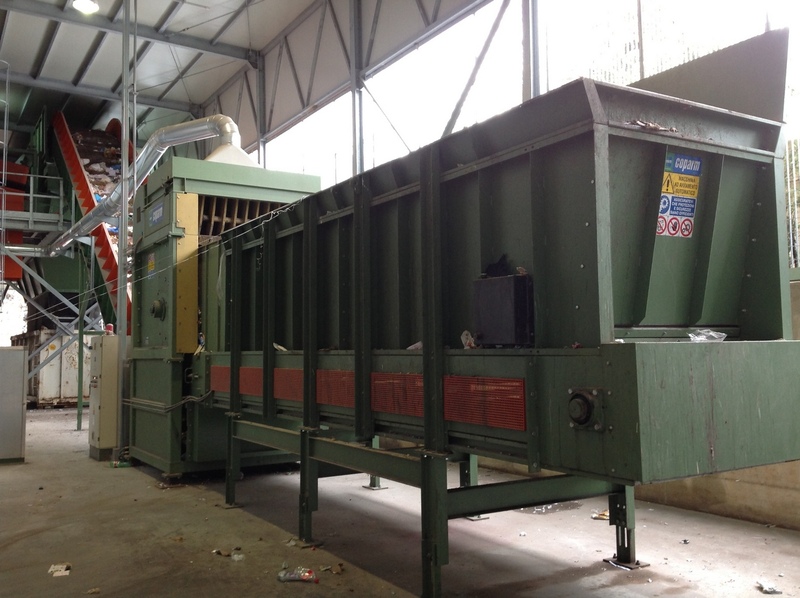 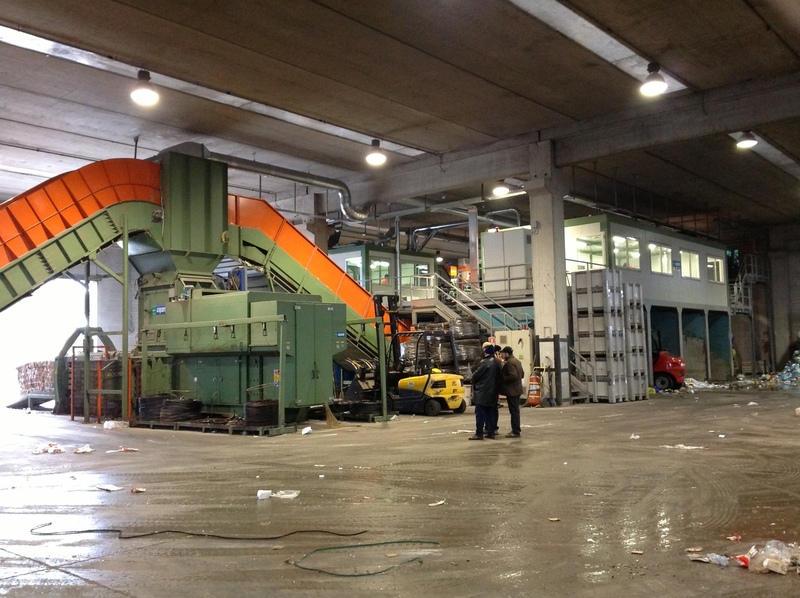 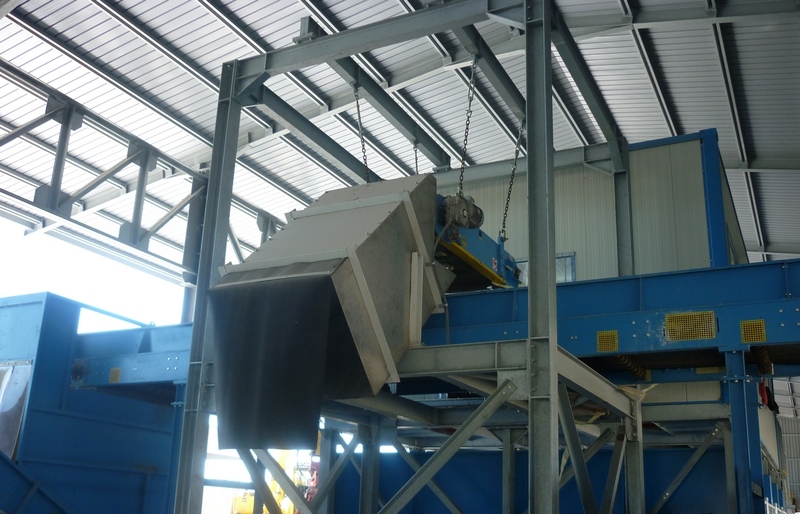 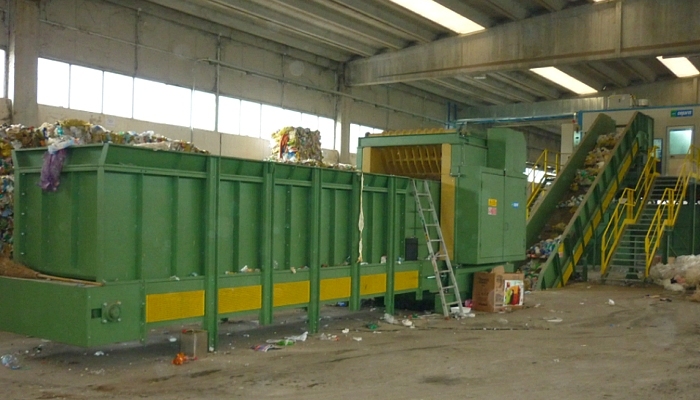 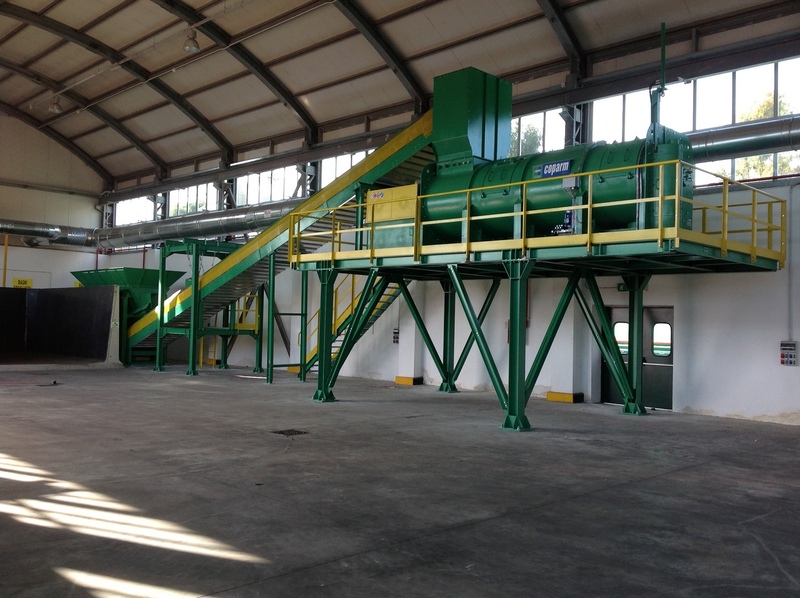 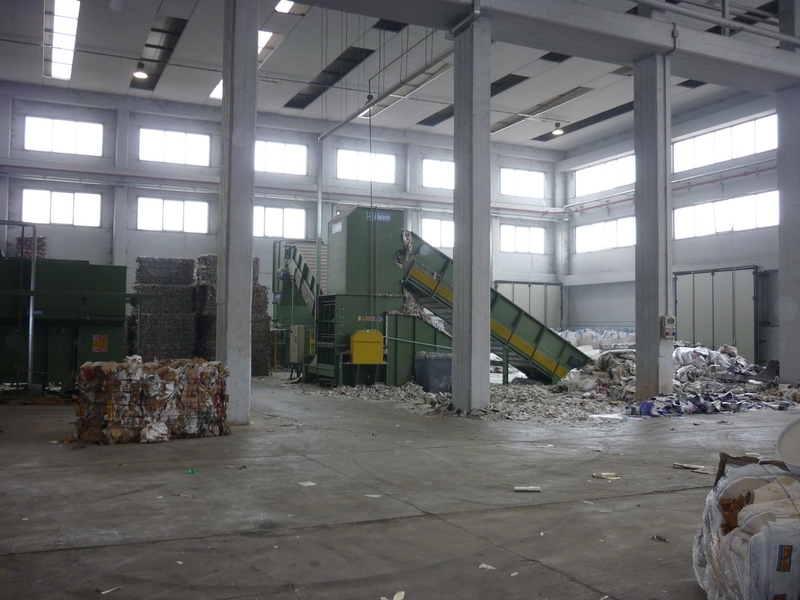 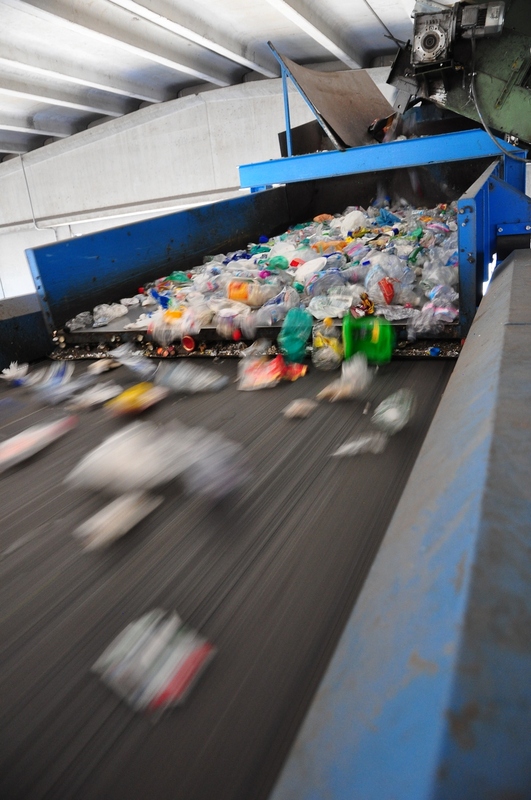 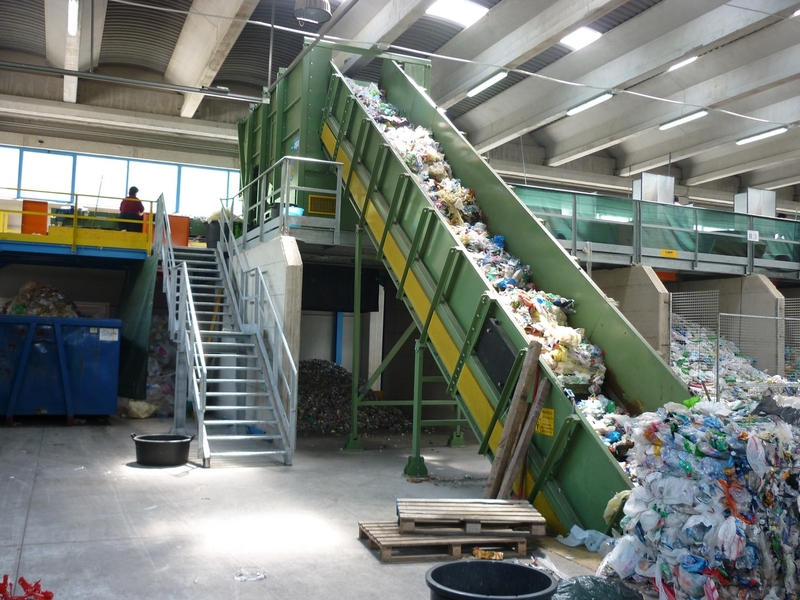 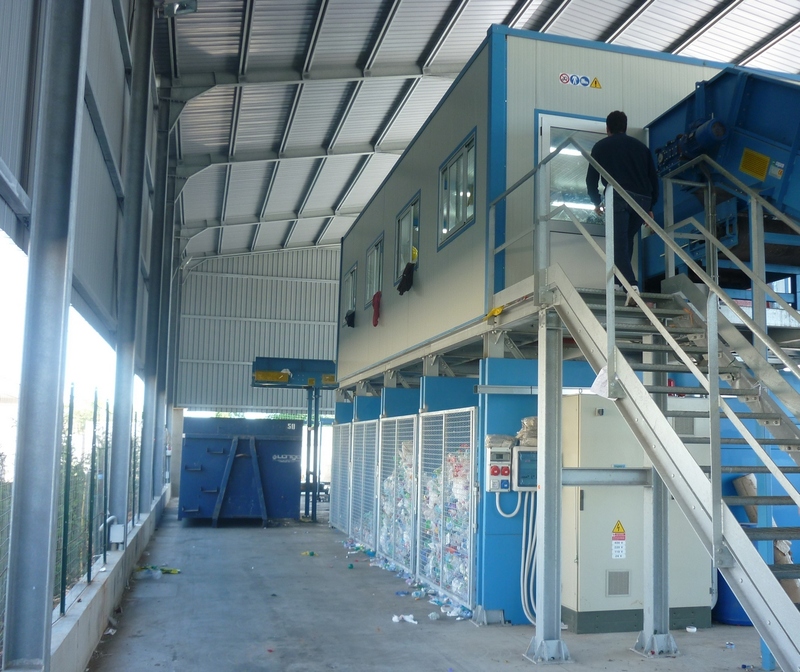 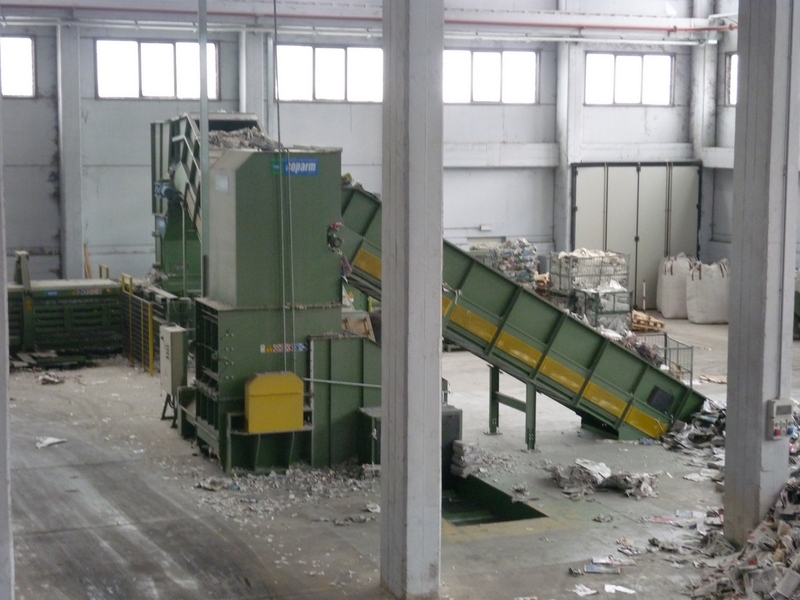 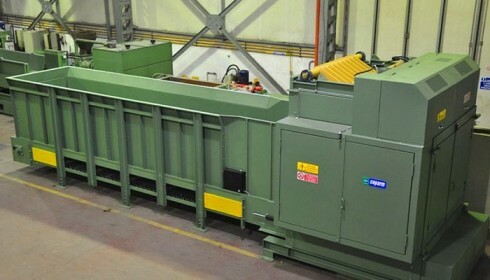 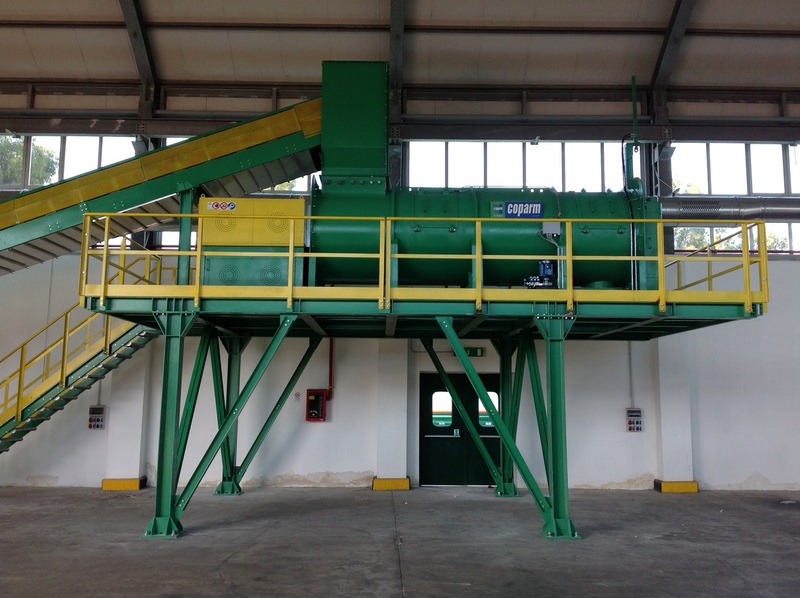 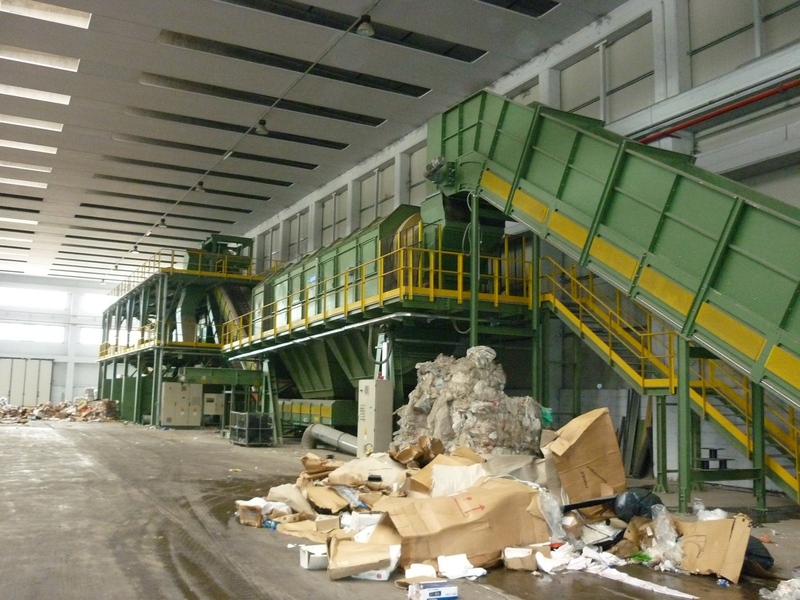 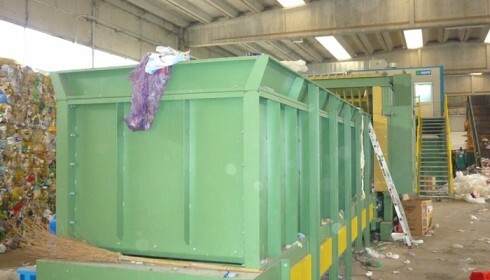 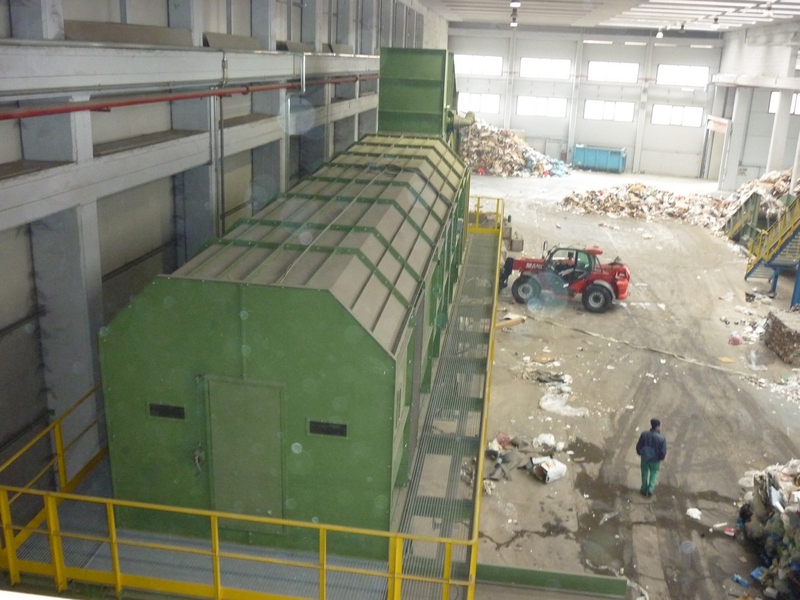 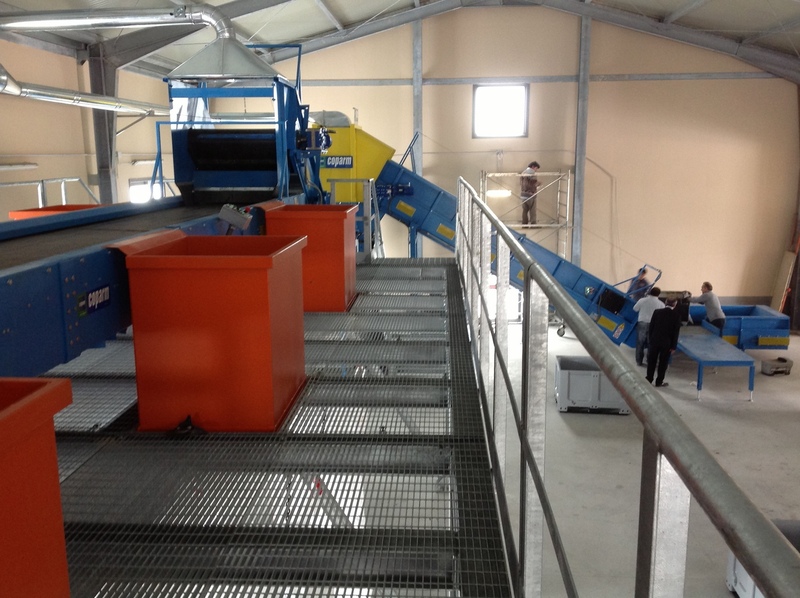 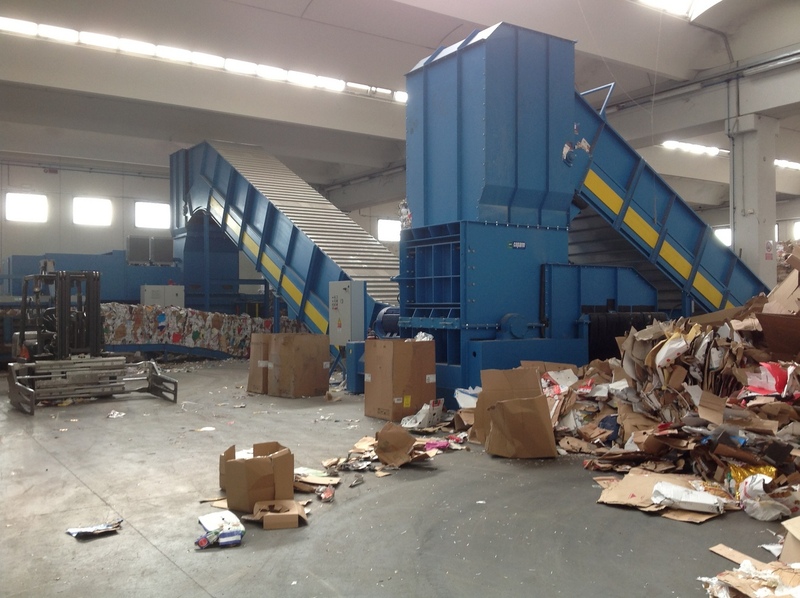 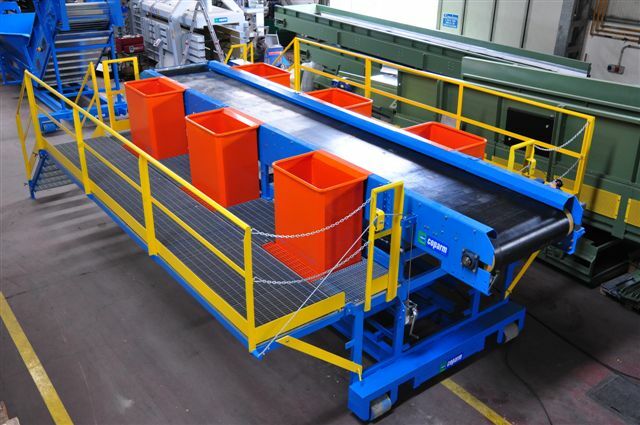 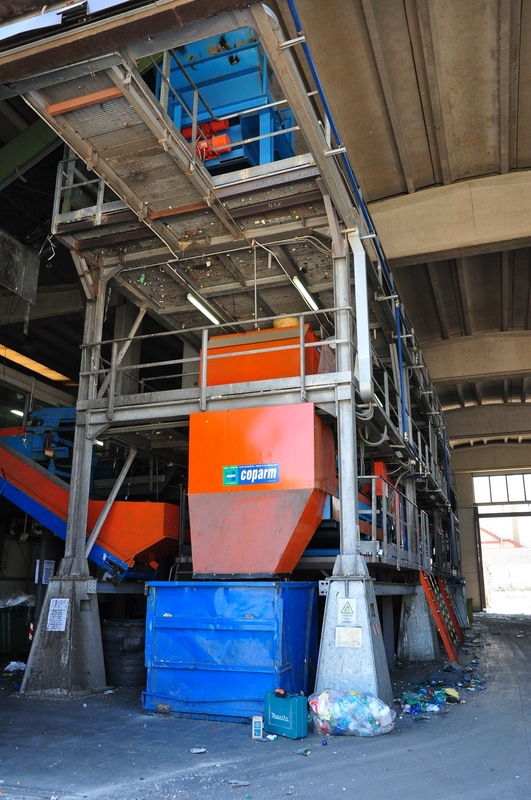 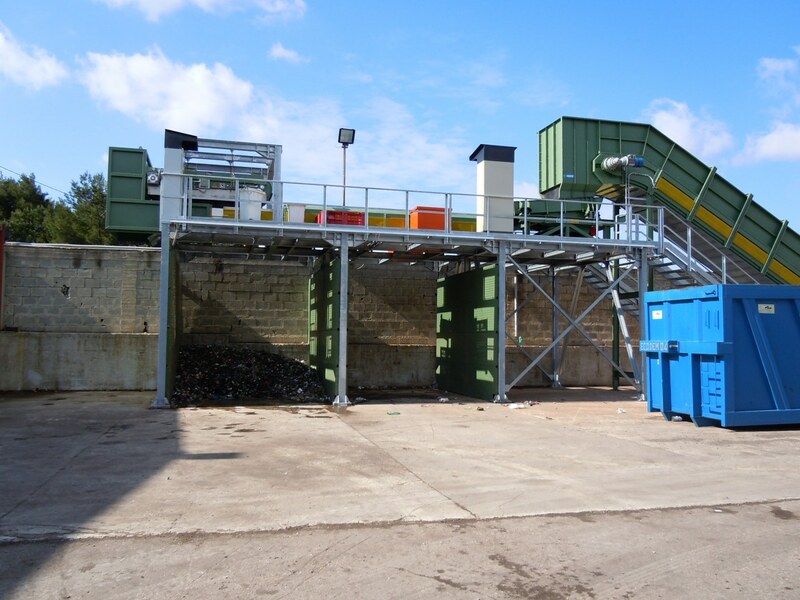 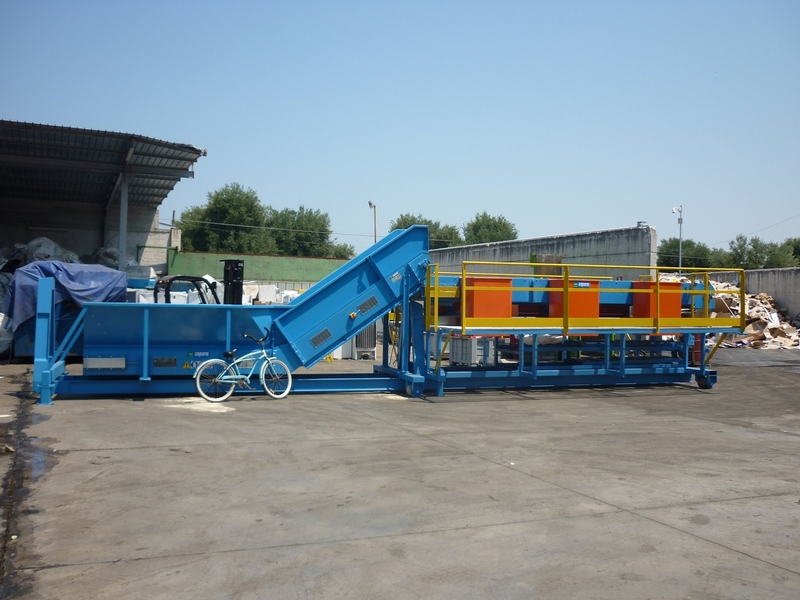 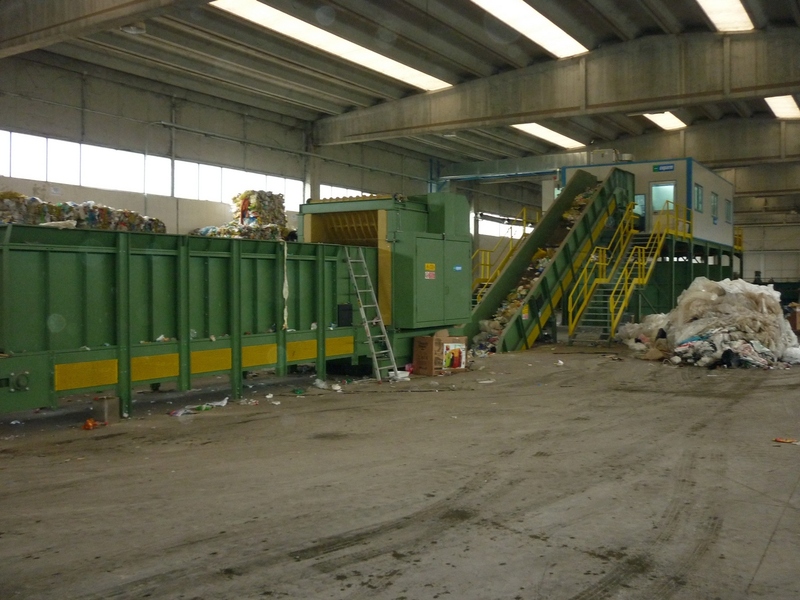 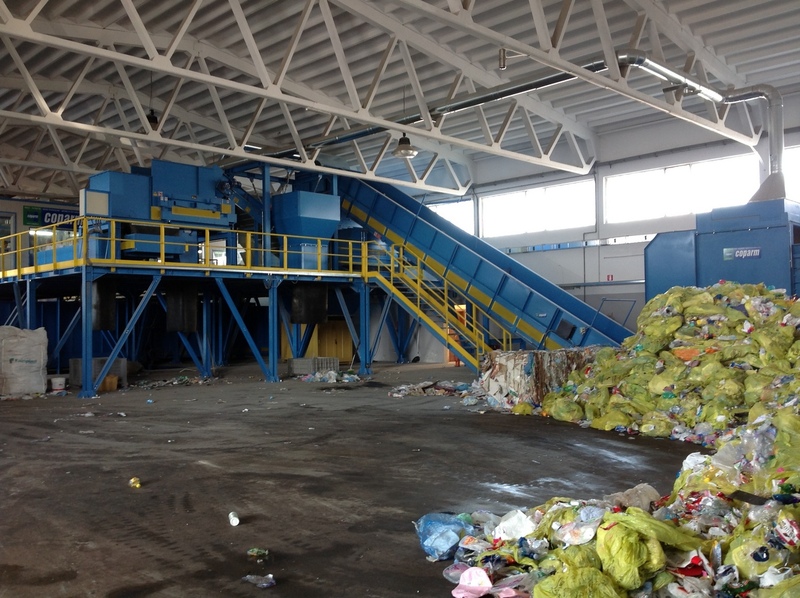 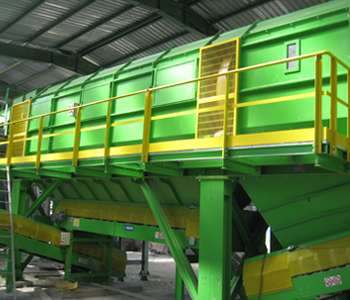 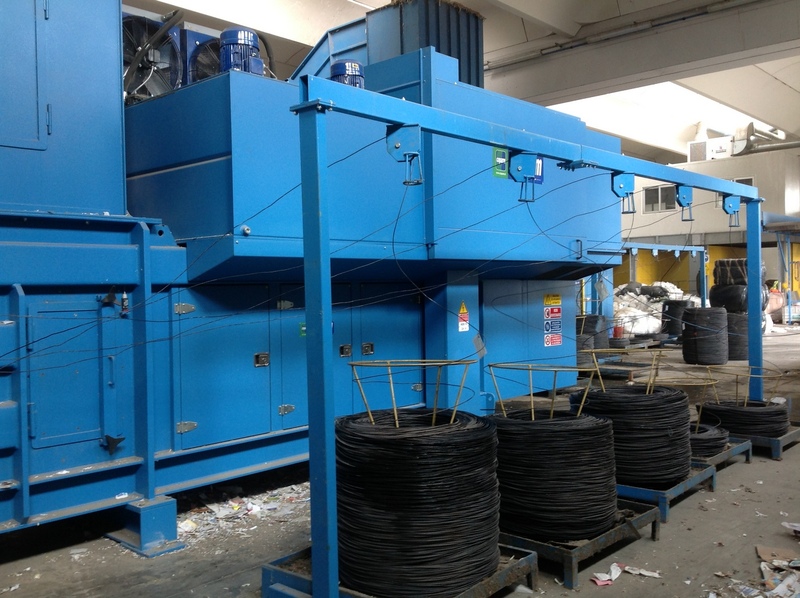 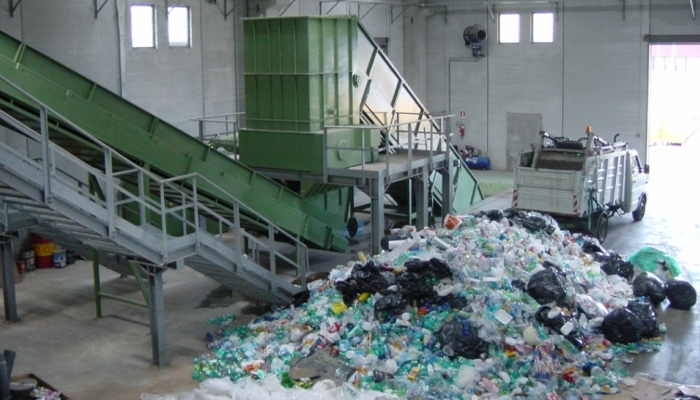 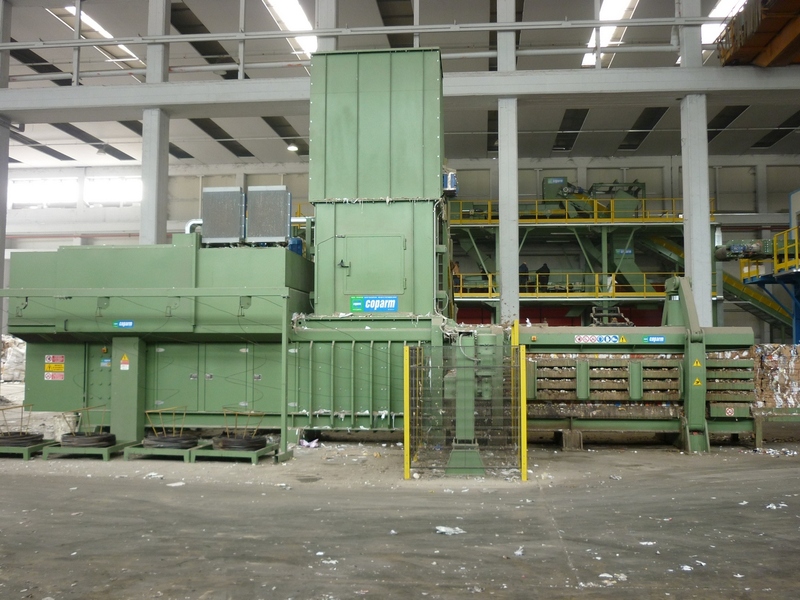 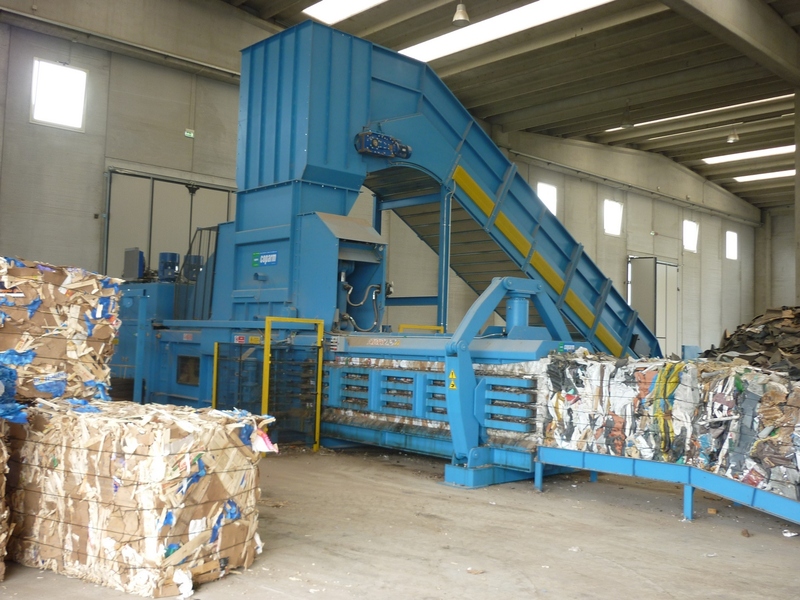 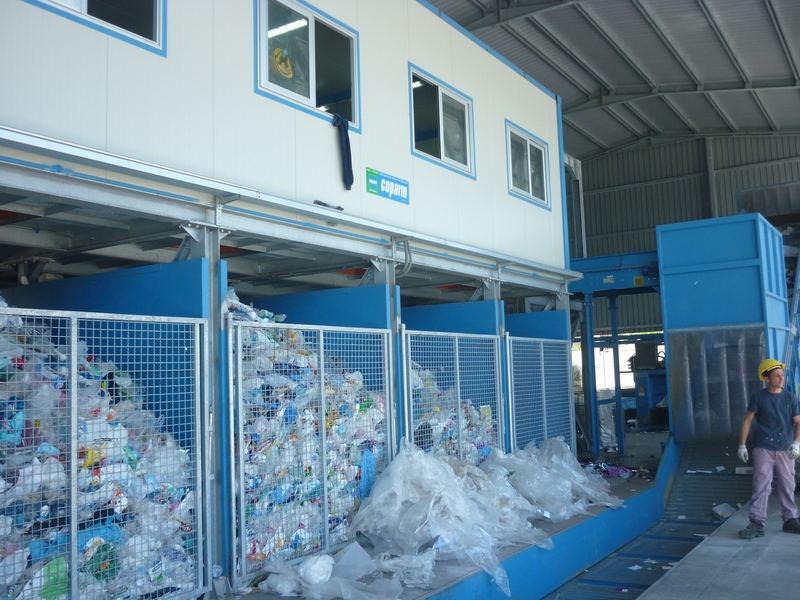 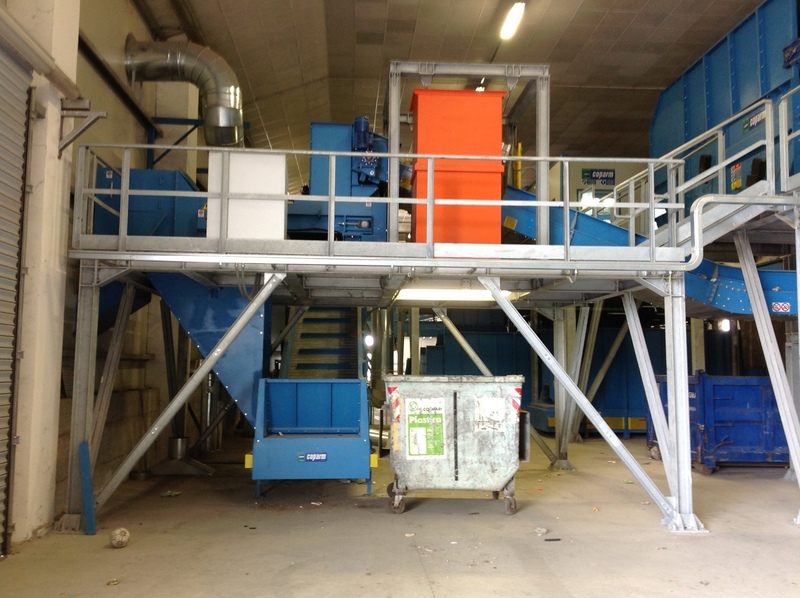 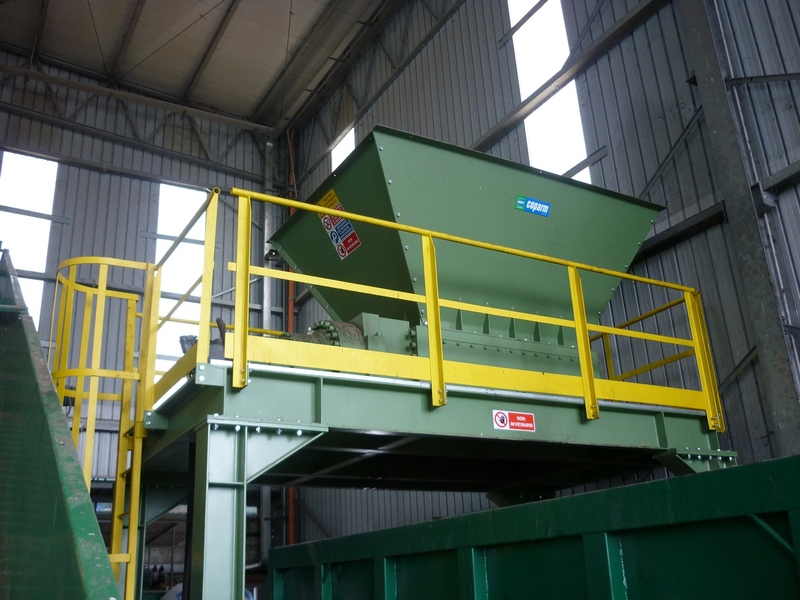 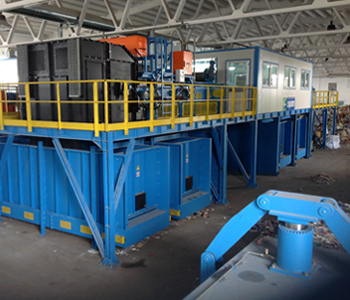 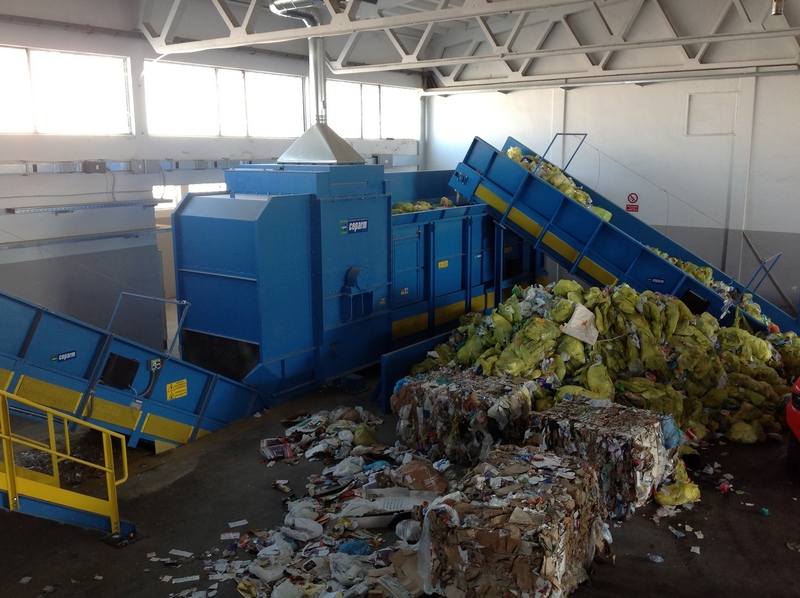 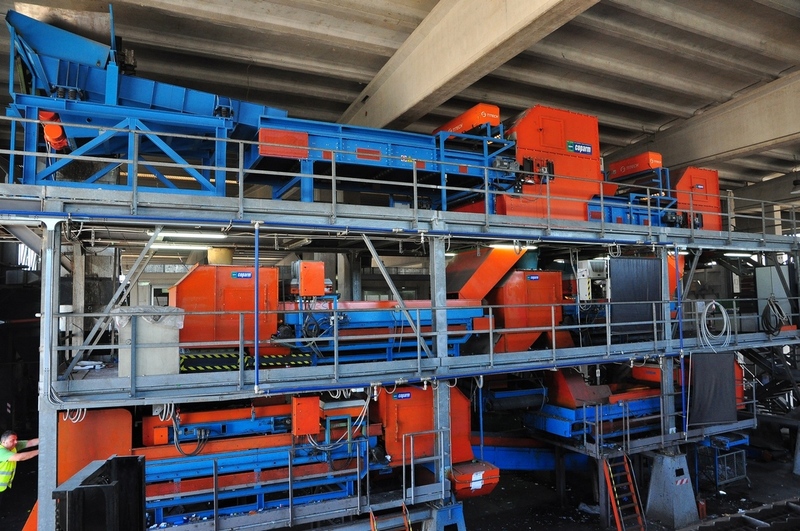 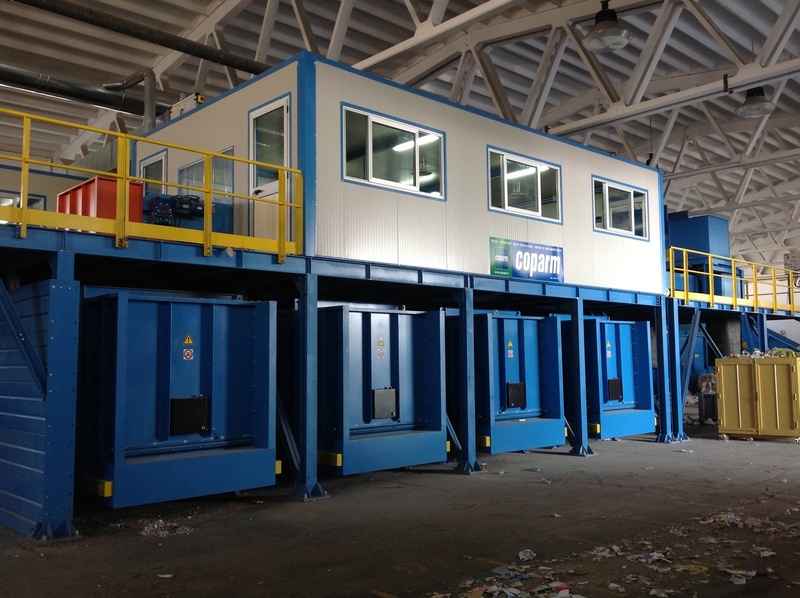 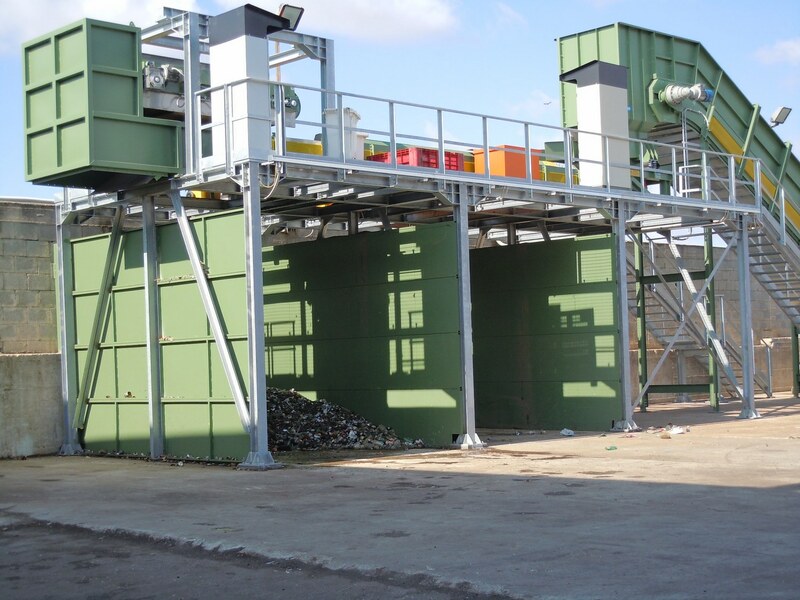 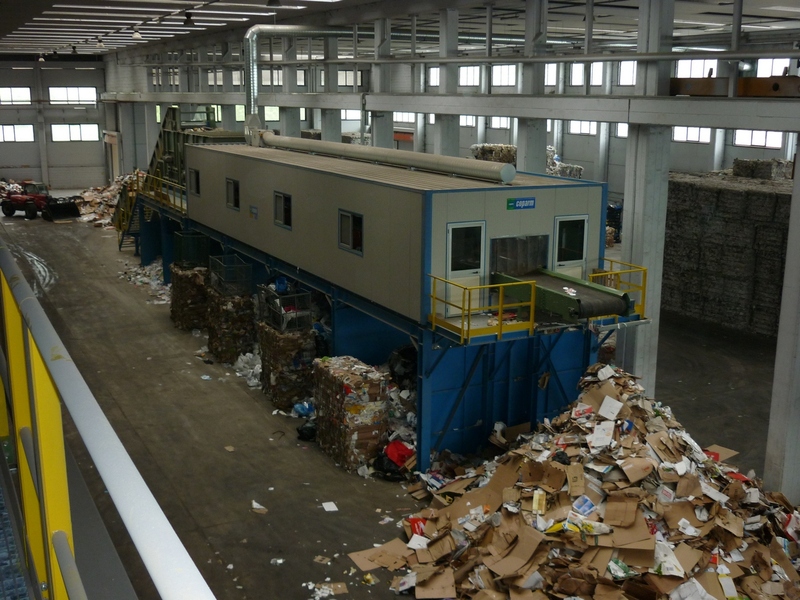 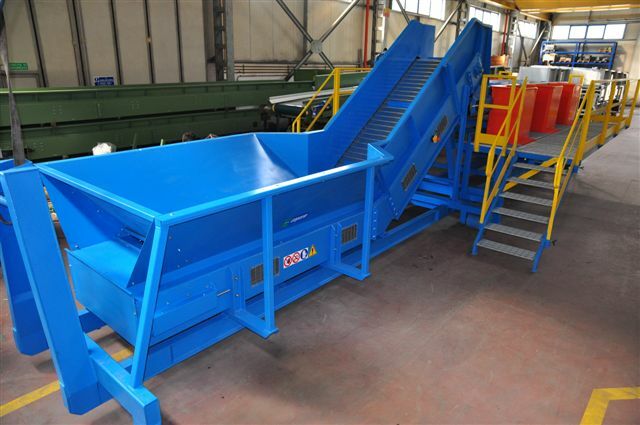 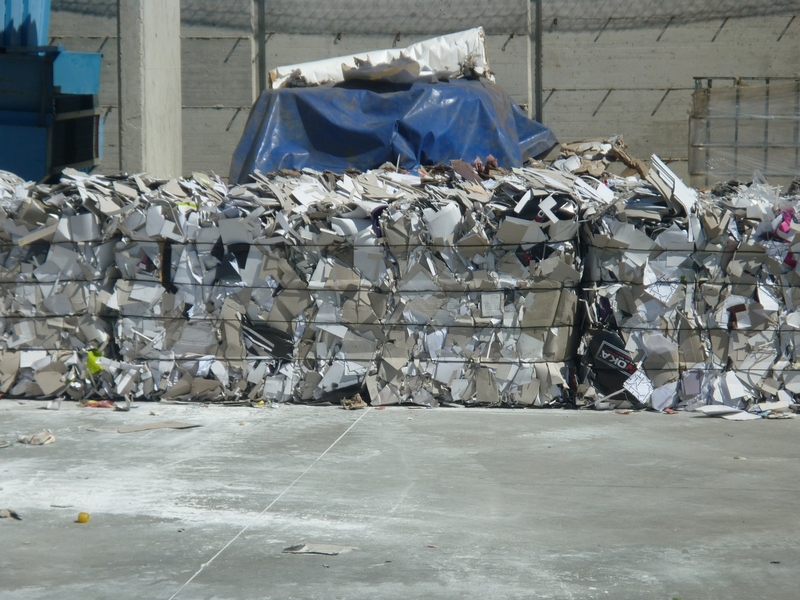 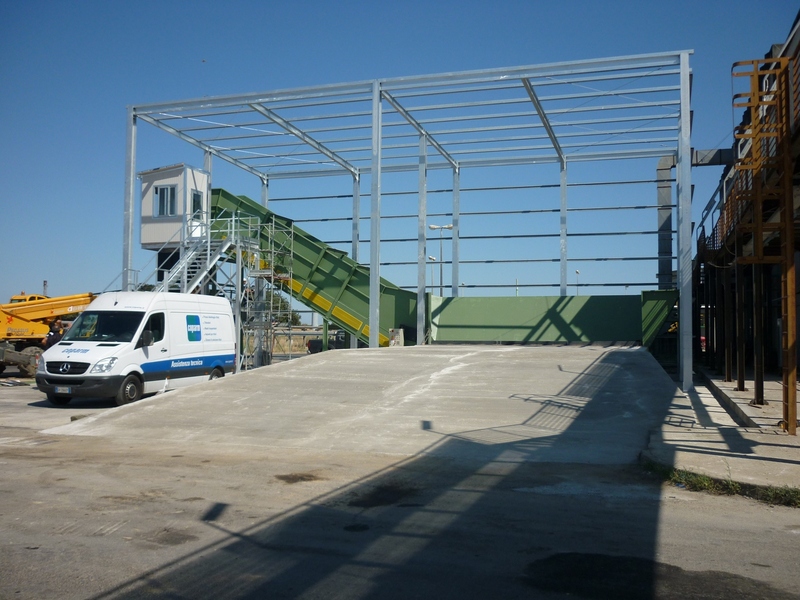 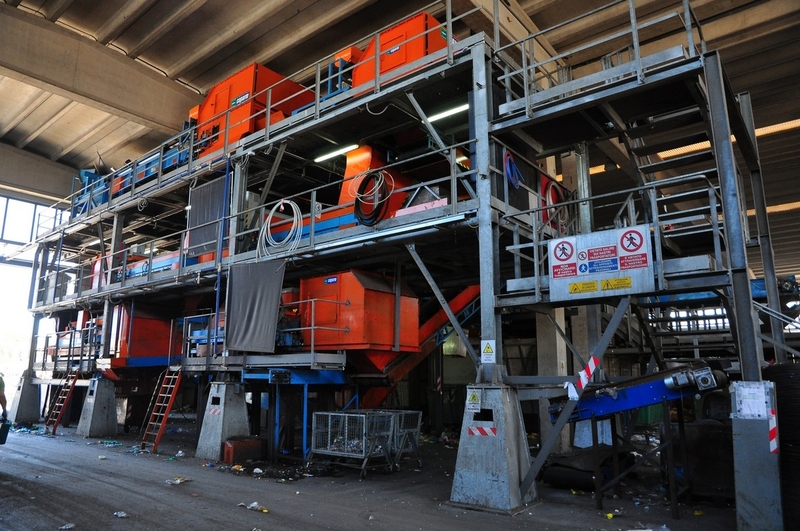 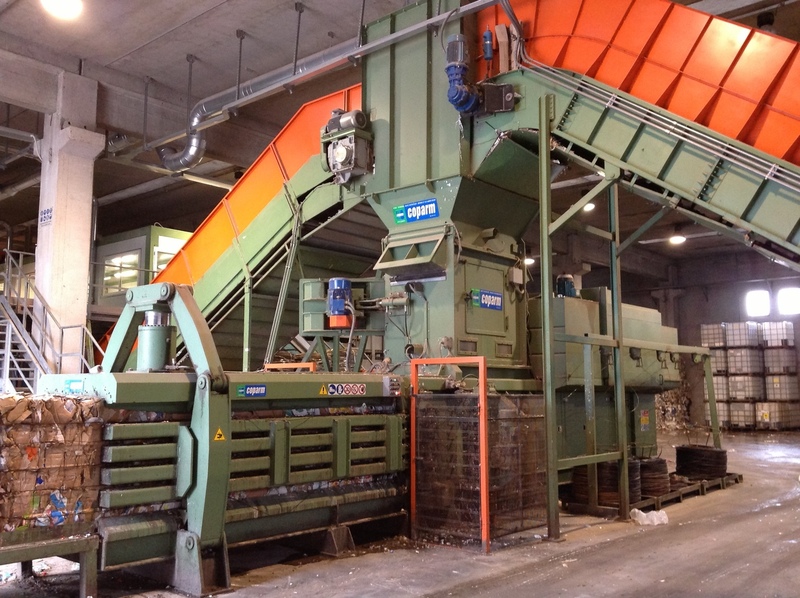 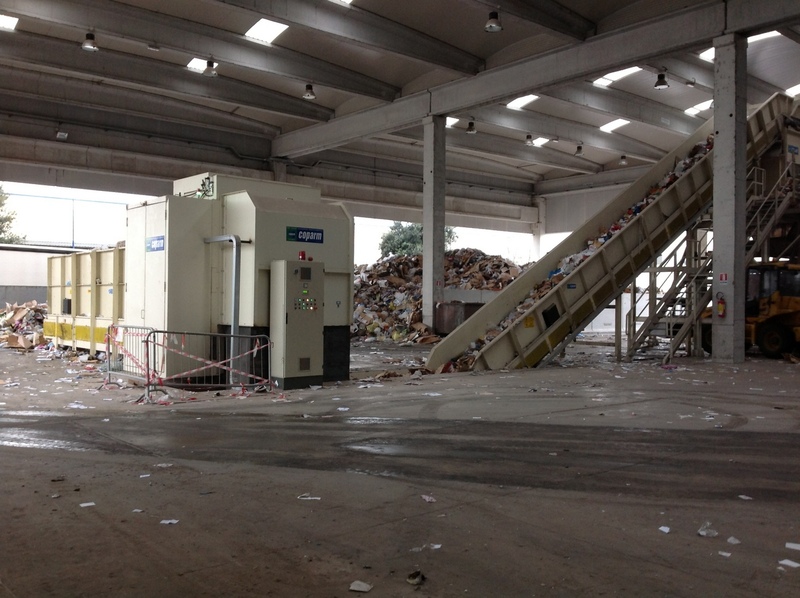 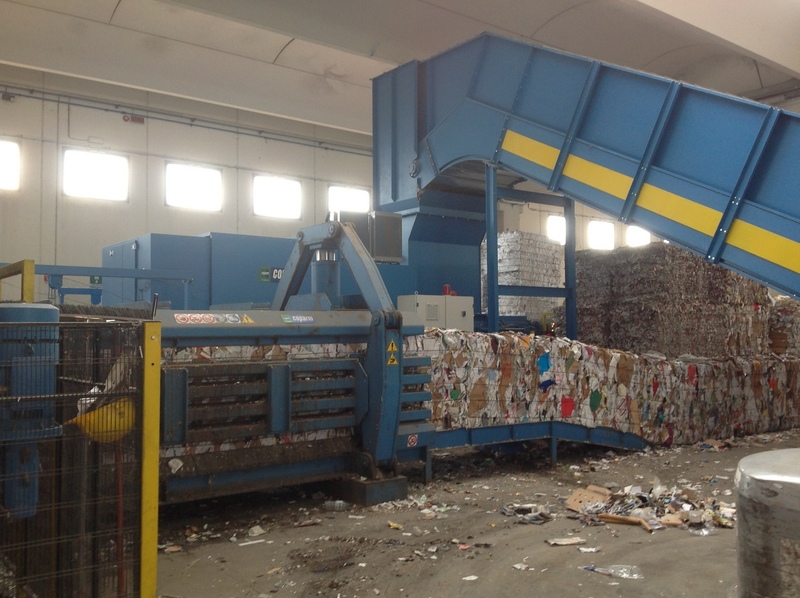 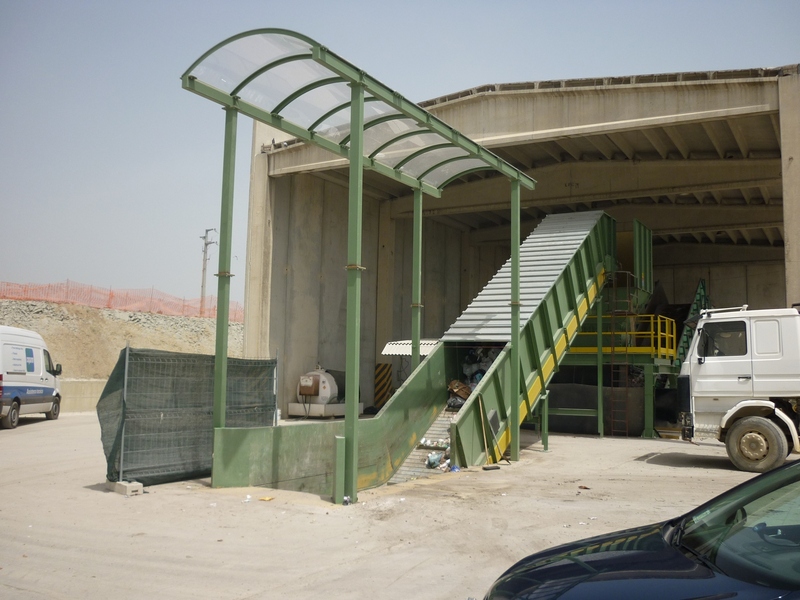 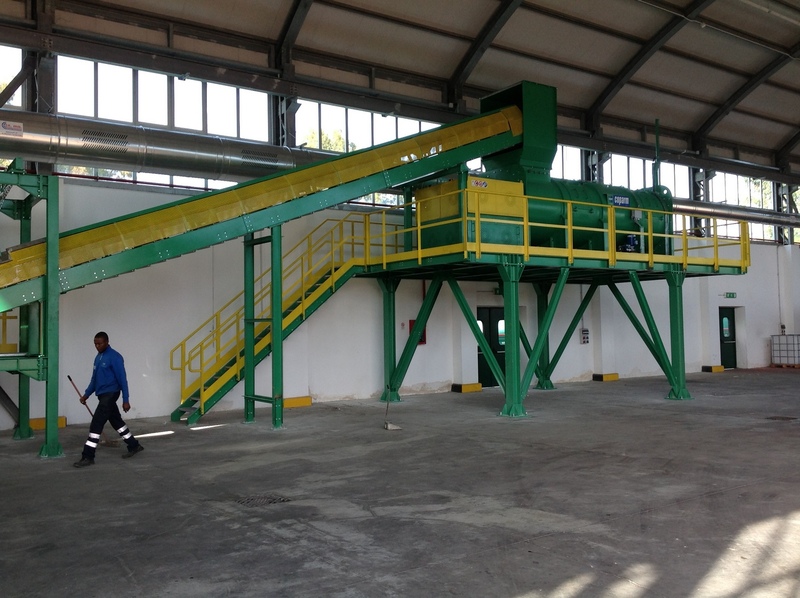 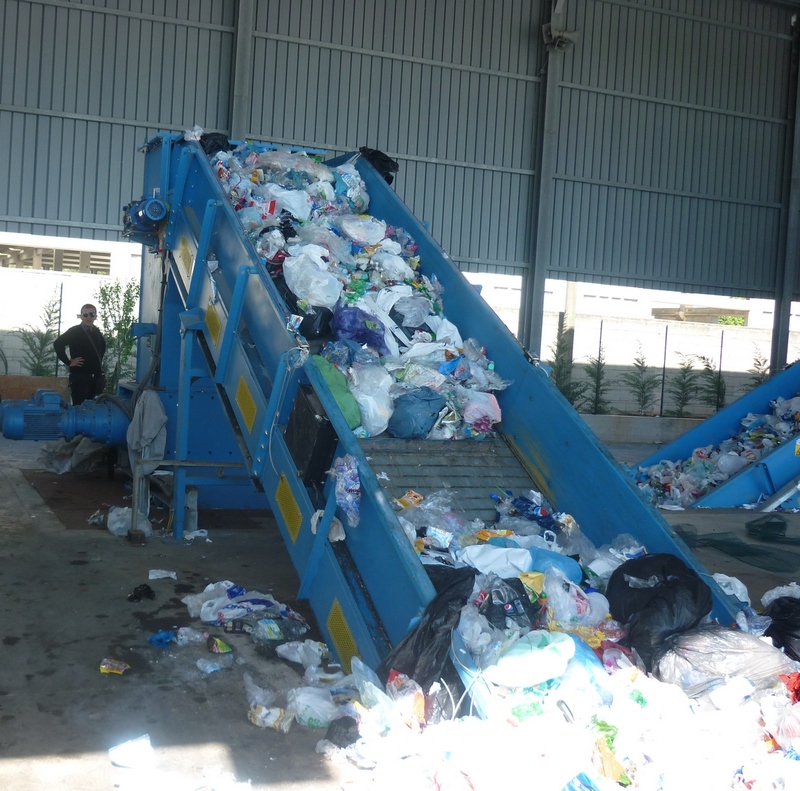 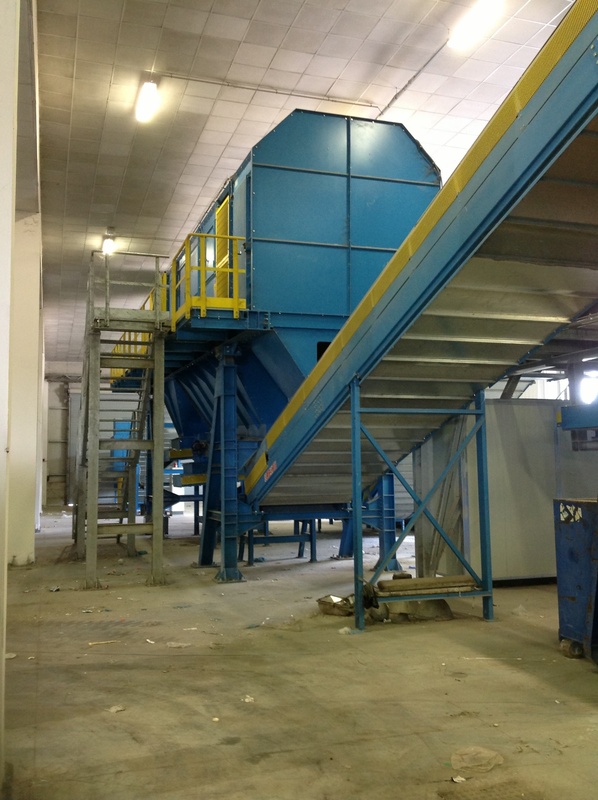 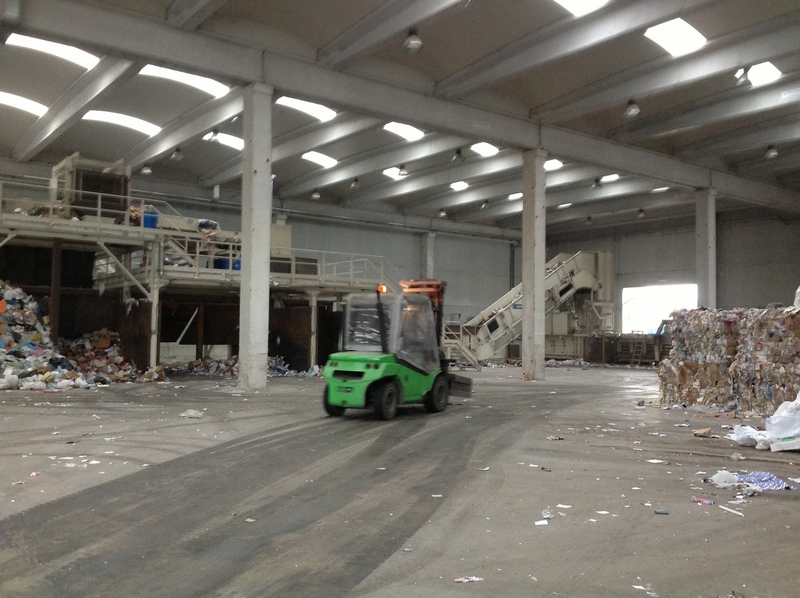 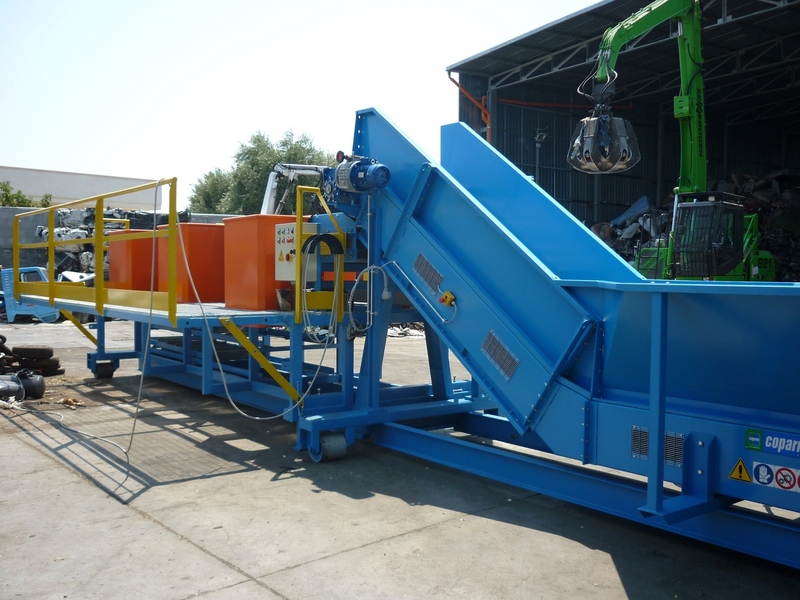 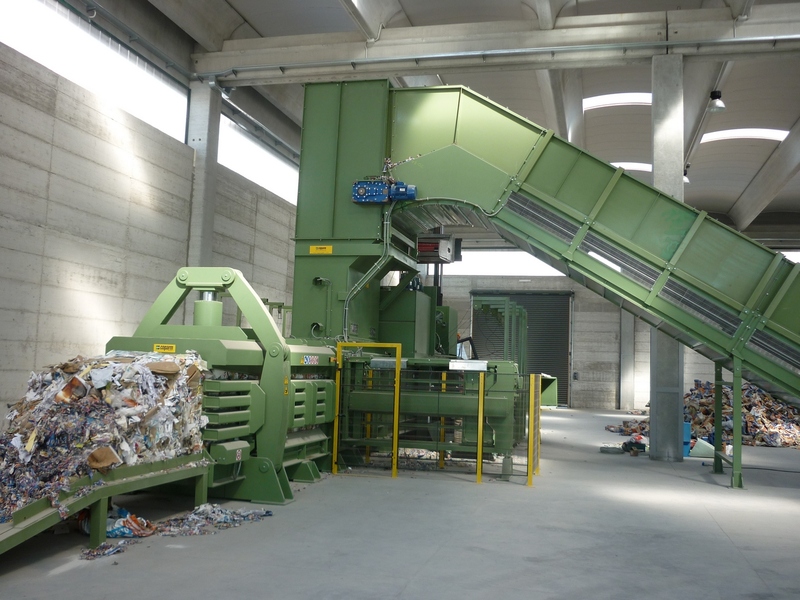 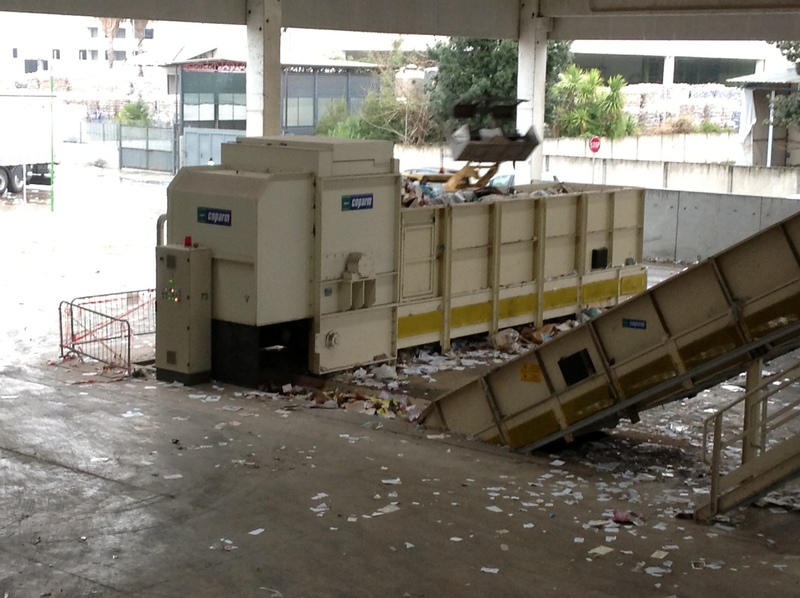 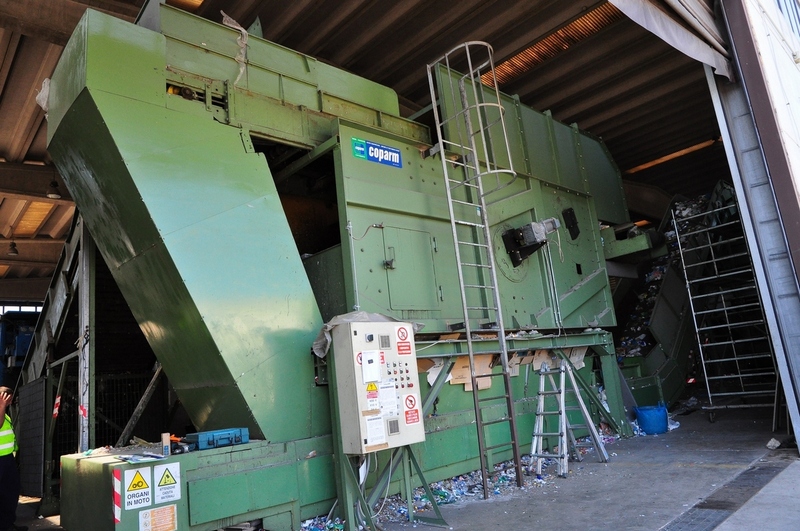 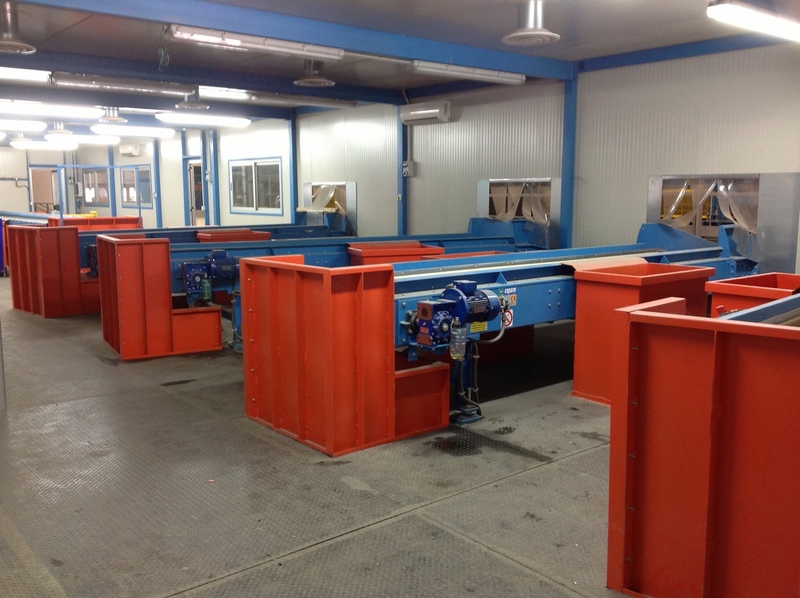 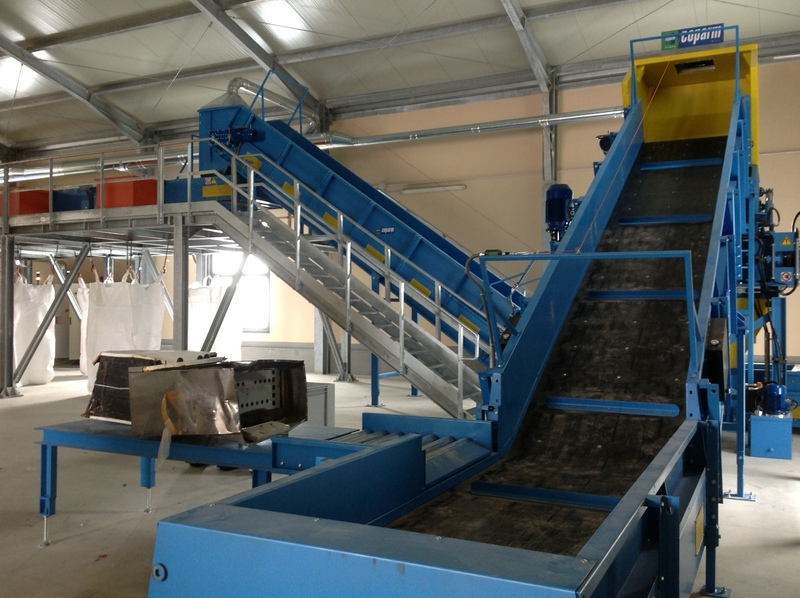 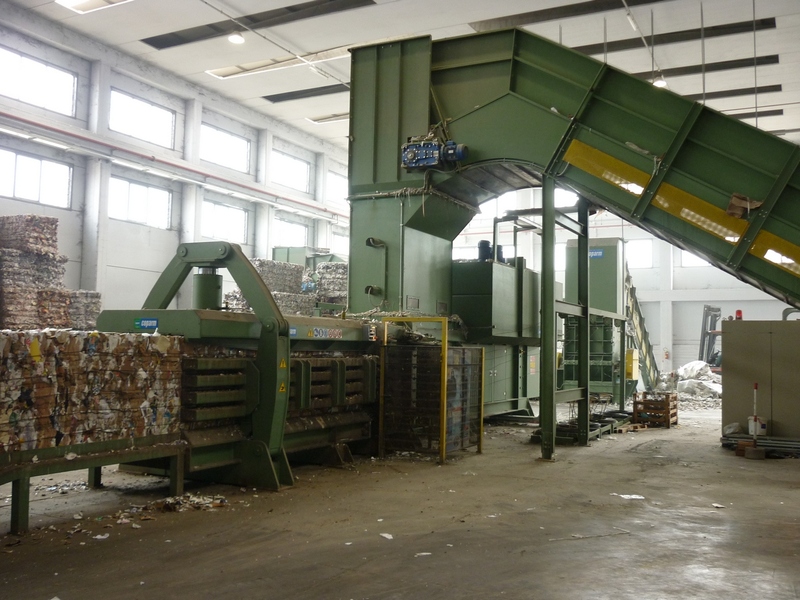 In summary this type of machine is geared to adjusting volume of incoming waste, which is obtained through the process of continuous shearing of: municipal solid waste as such, waste from waste collection, waste of twigs and other material to be composted, waste wood, pallets etc. 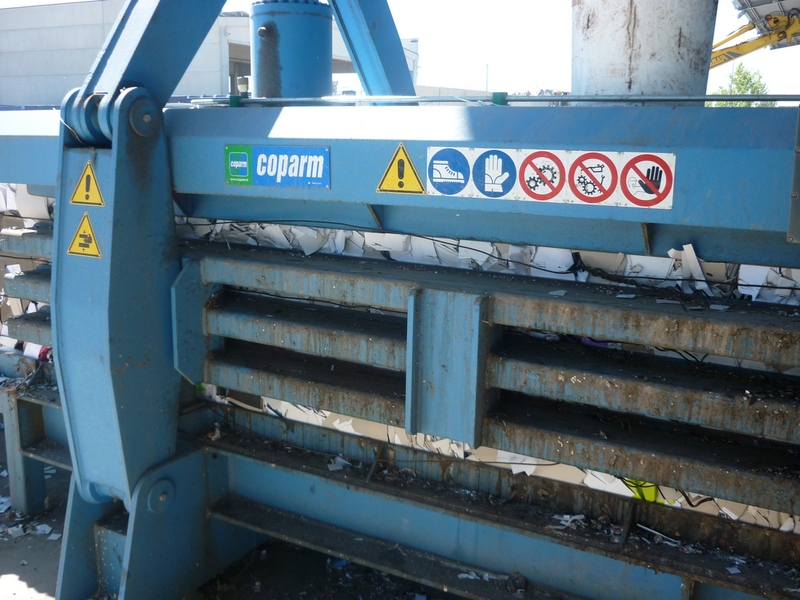 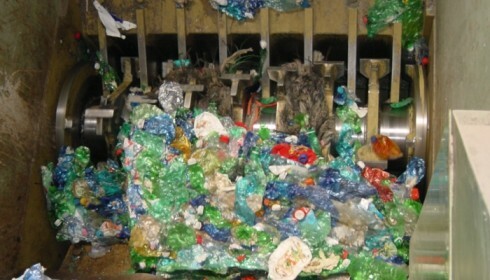 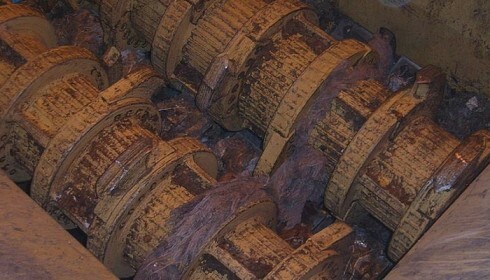 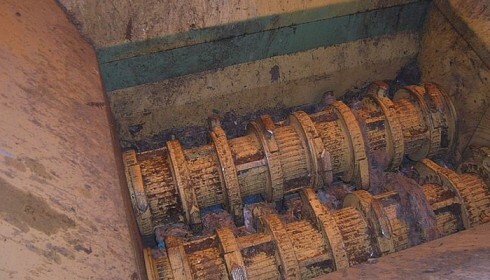 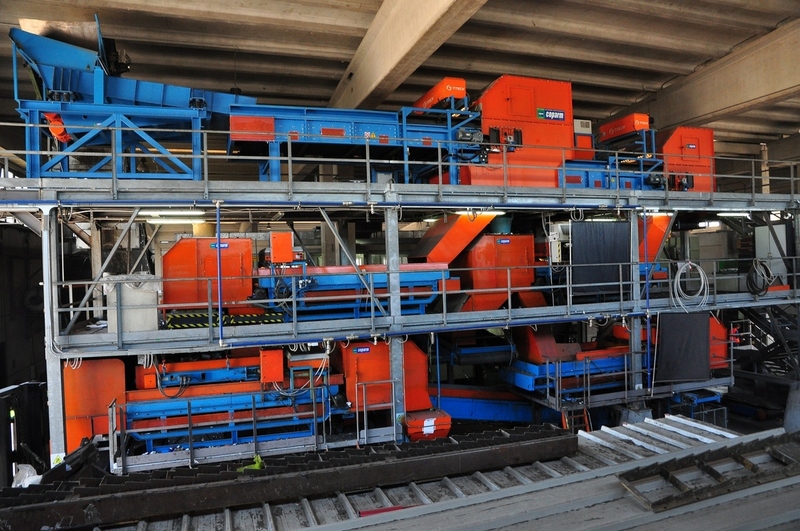 The uniqueness of this application lies in the fact that these machines do not subject the material to be treated to a third cut but rather ‘to a break for tearing. 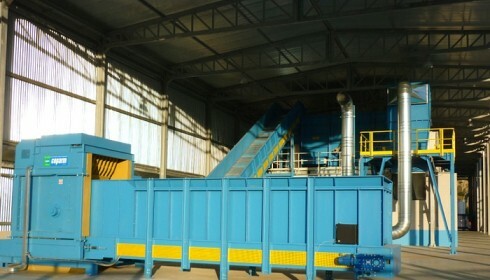 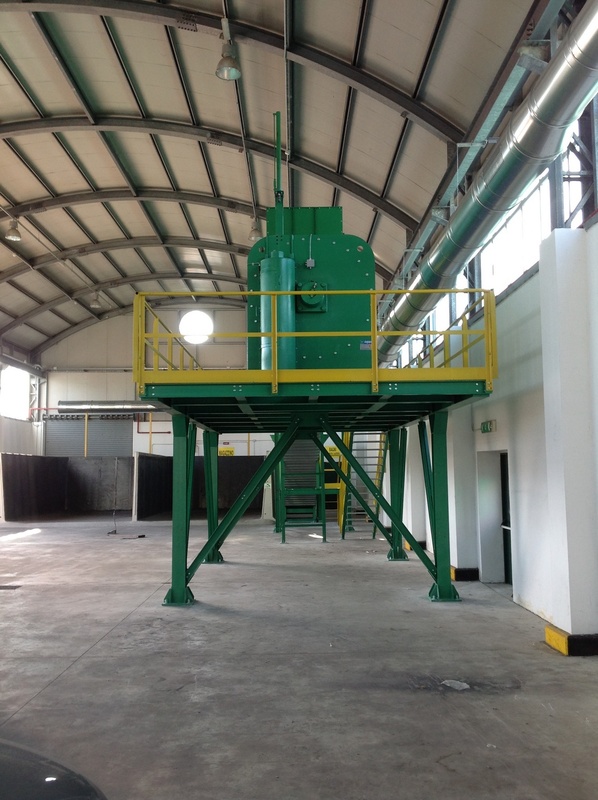 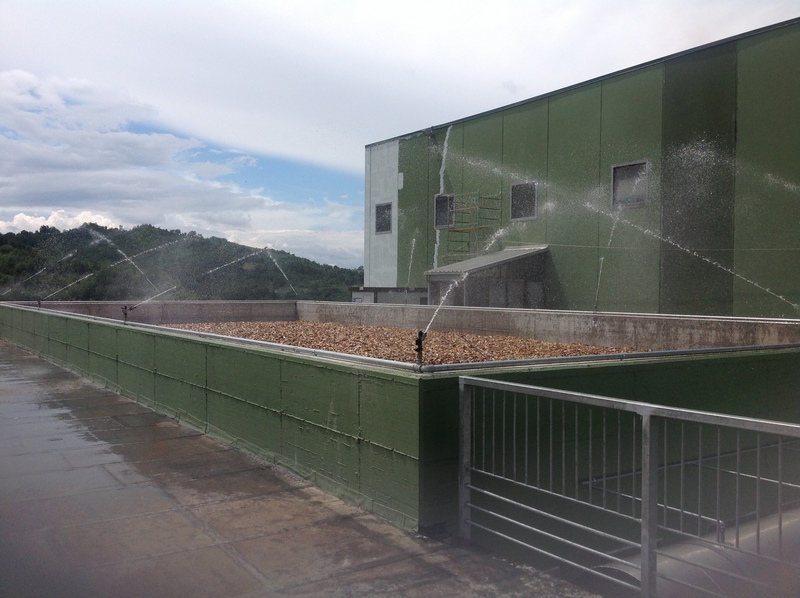 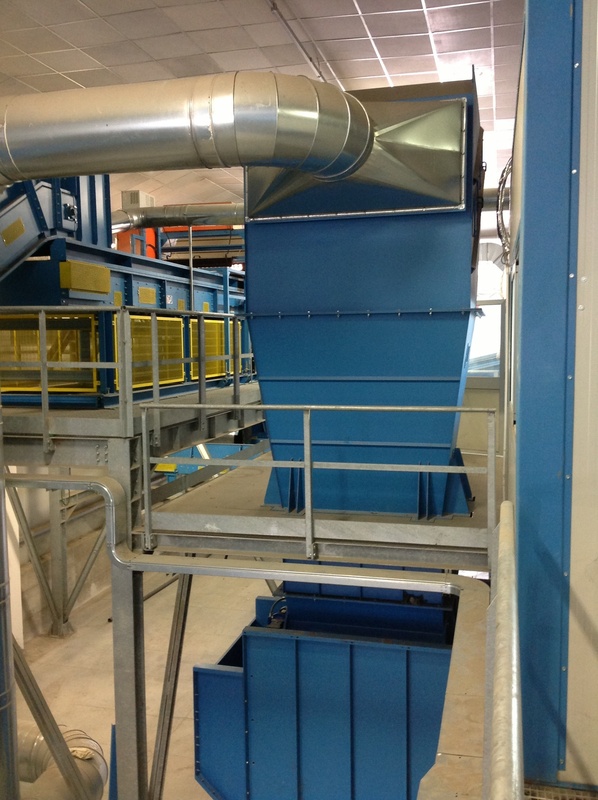 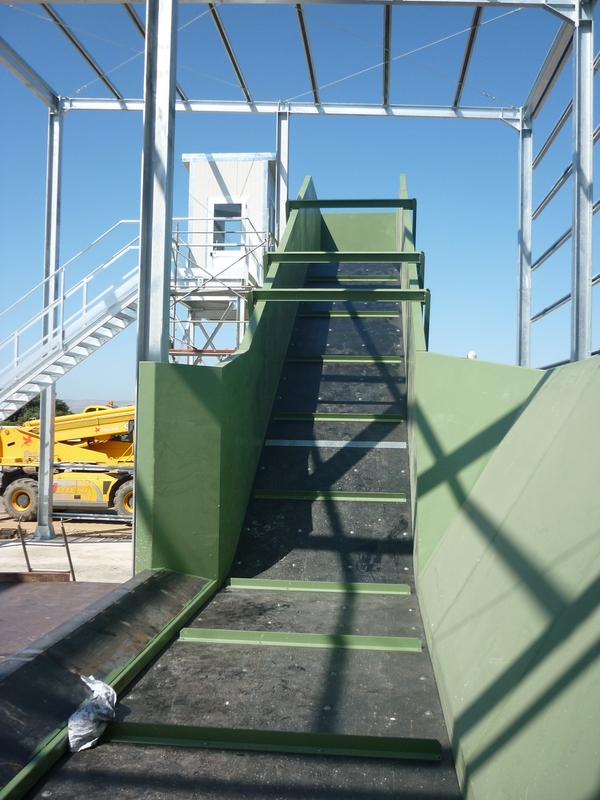 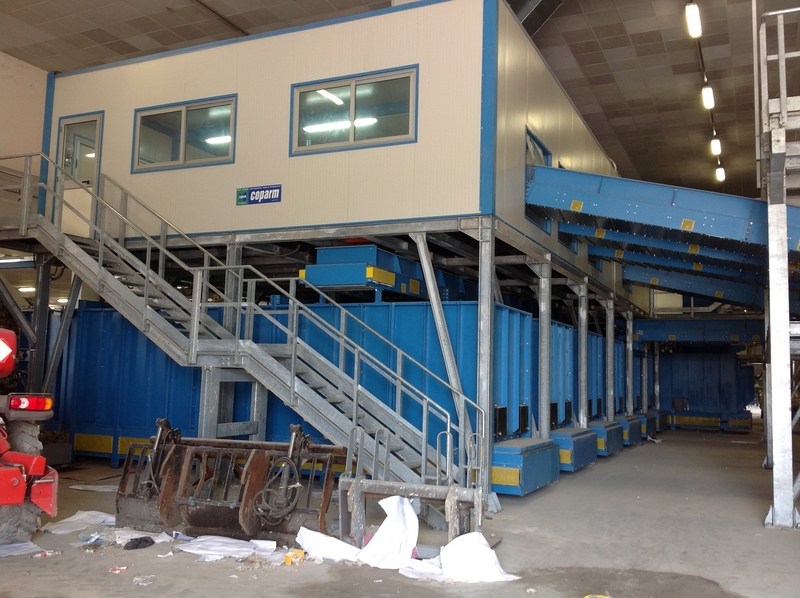 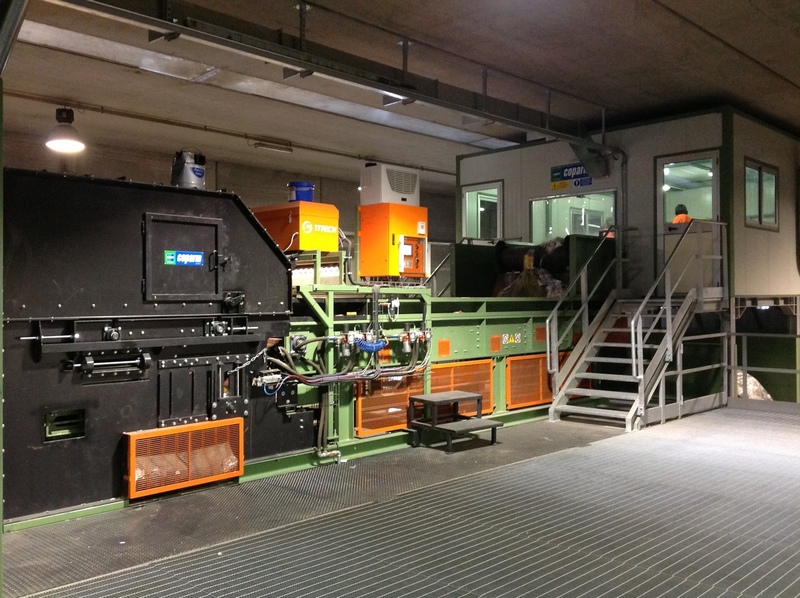 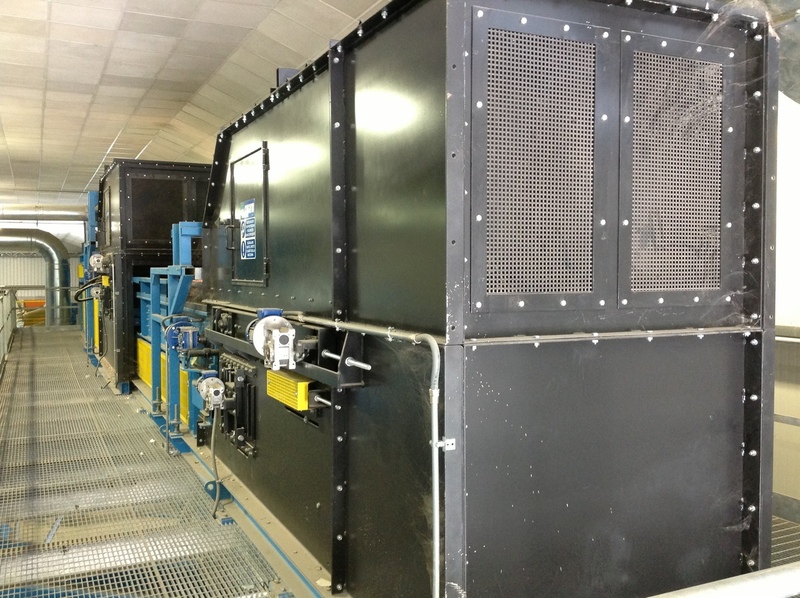 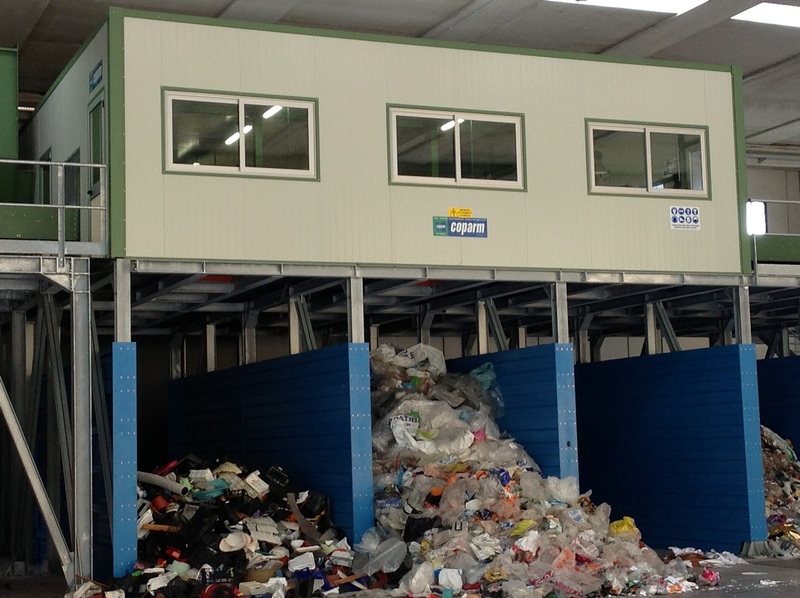 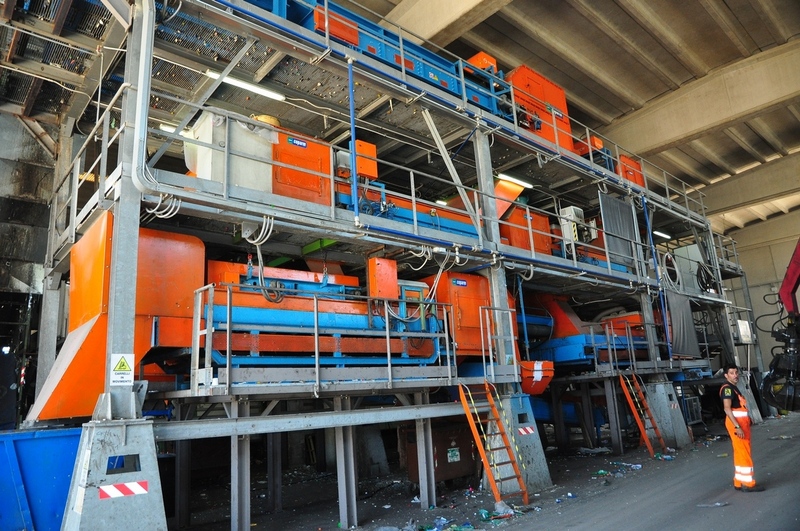 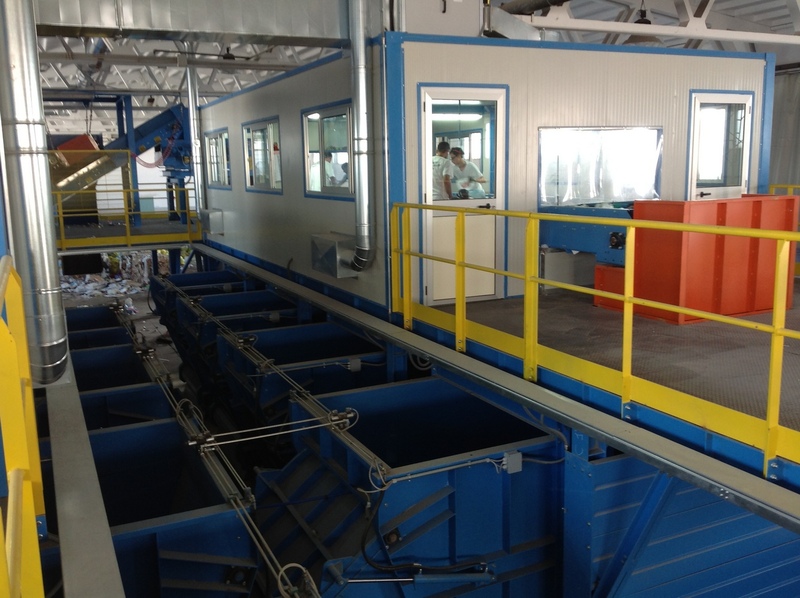 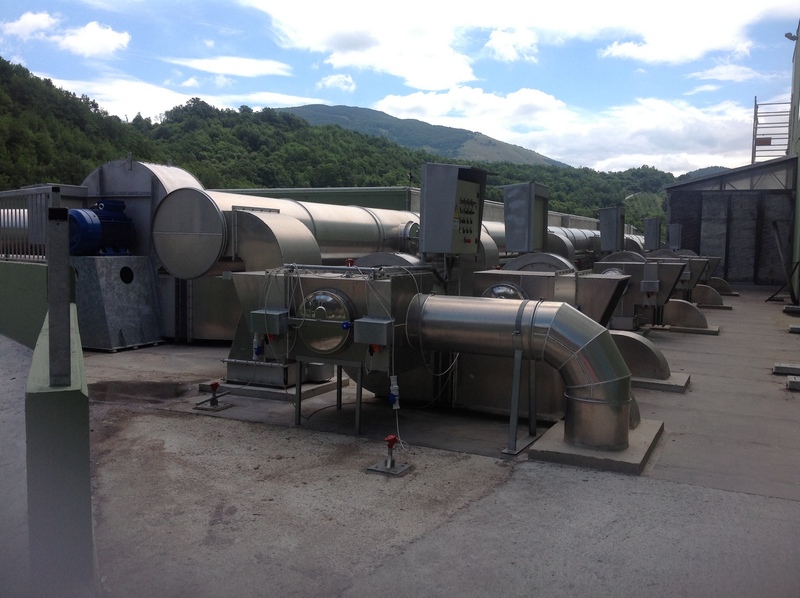 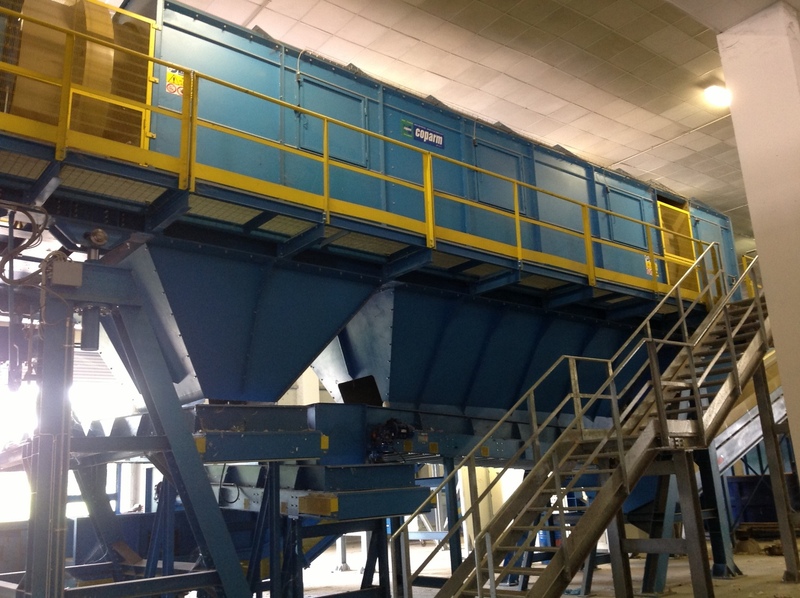 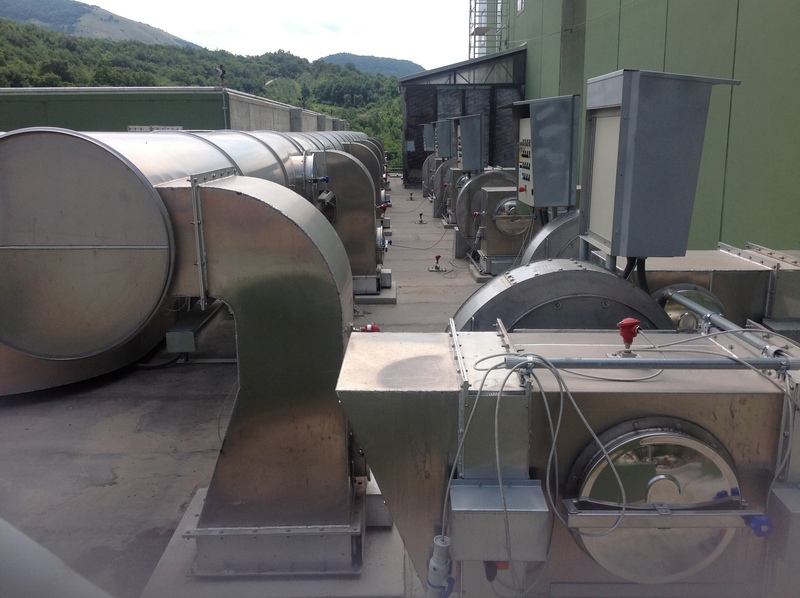 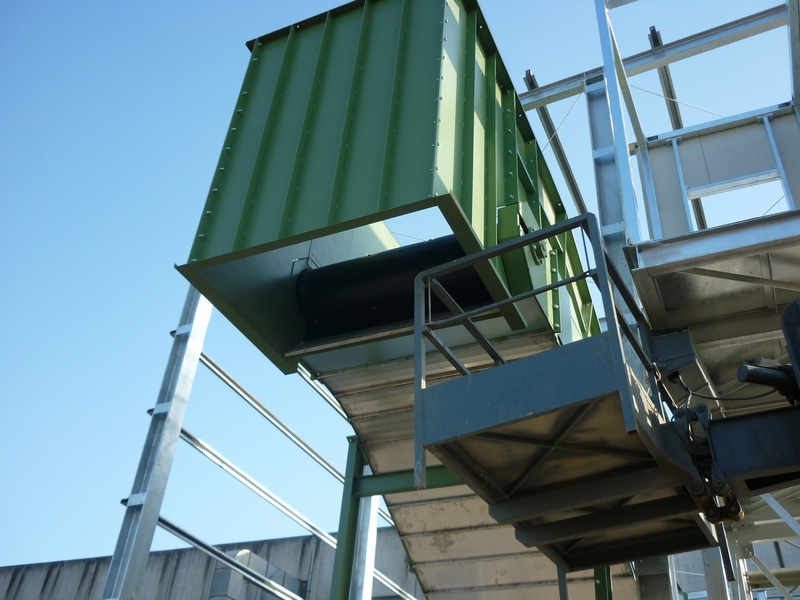 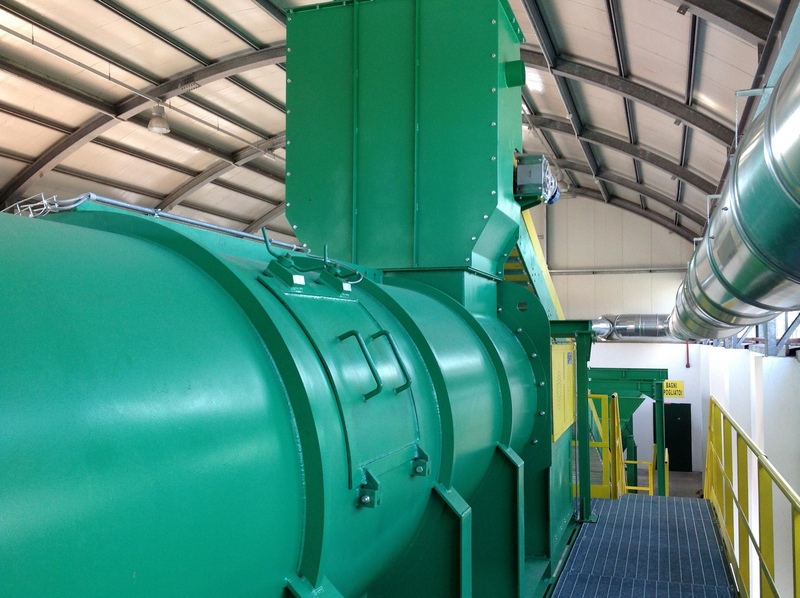 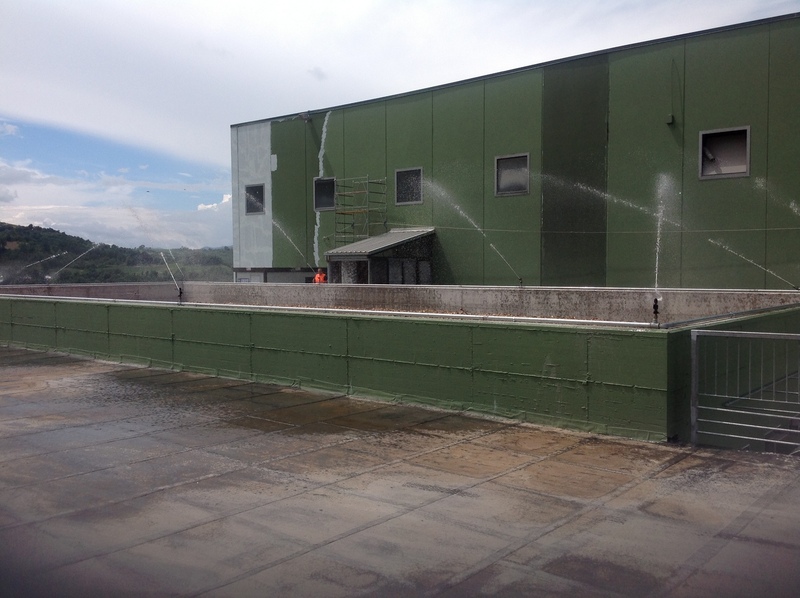 Everything ‘are specifically designed for treatment plants as selection RSU, incineration, waste from waste collection, etc. 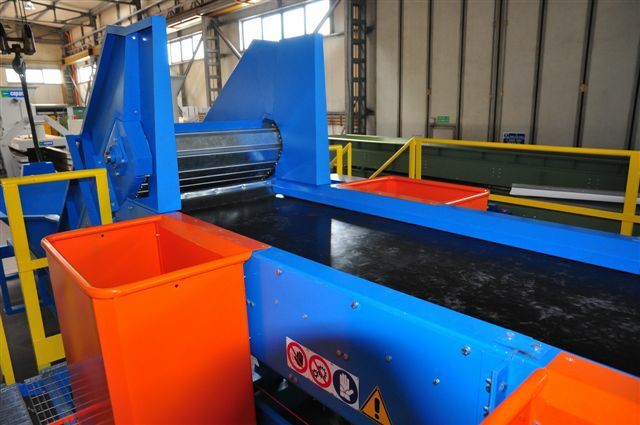 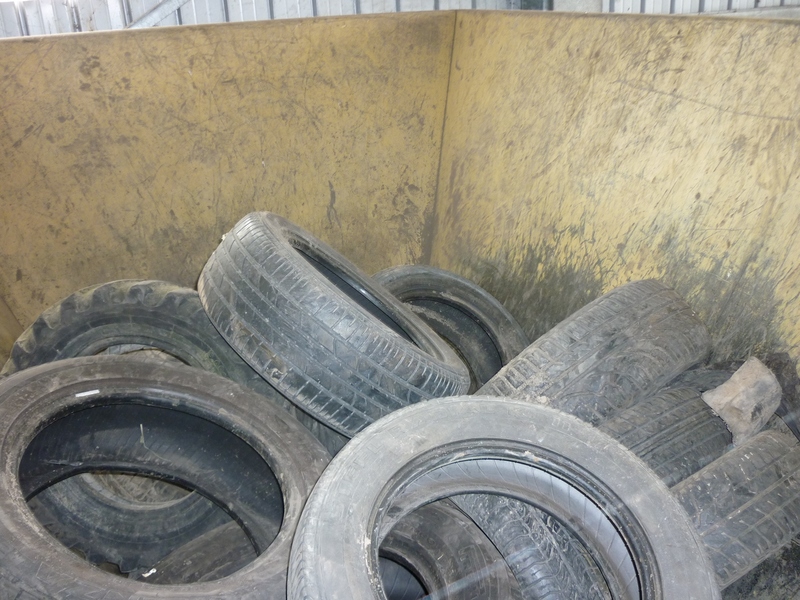 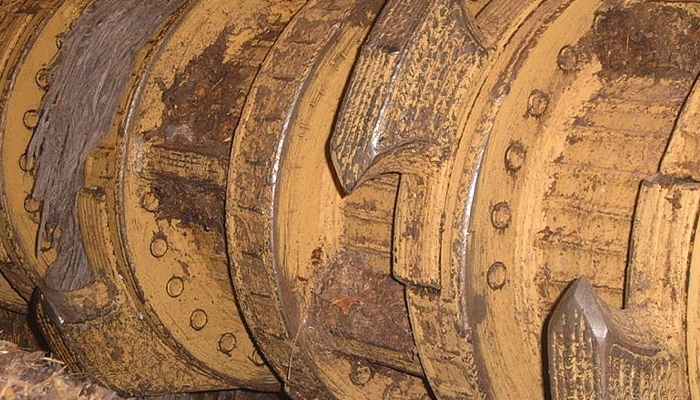 The blades of these machines are made of alloy steel and wear.